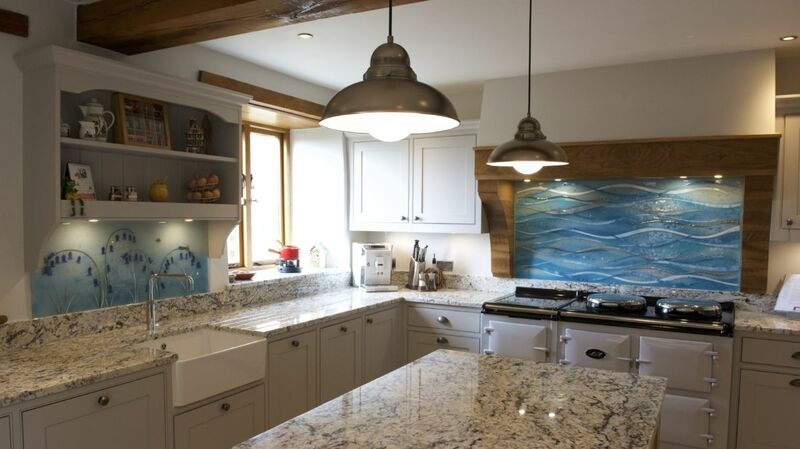 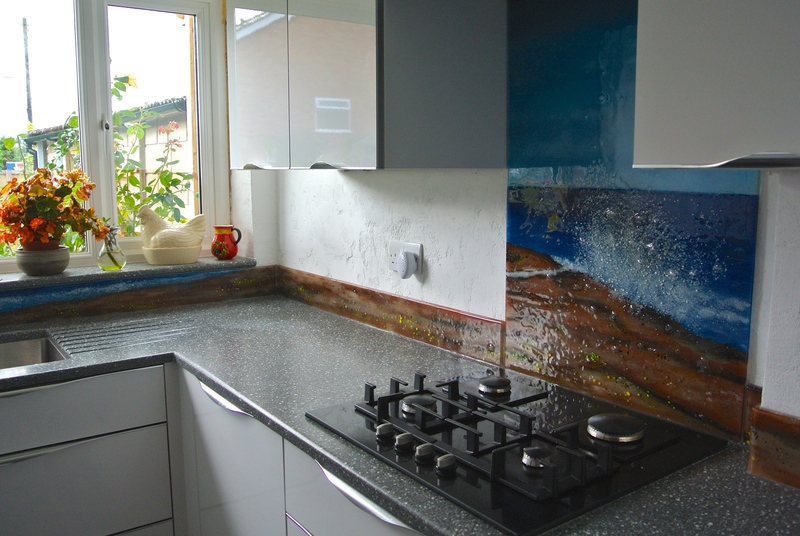 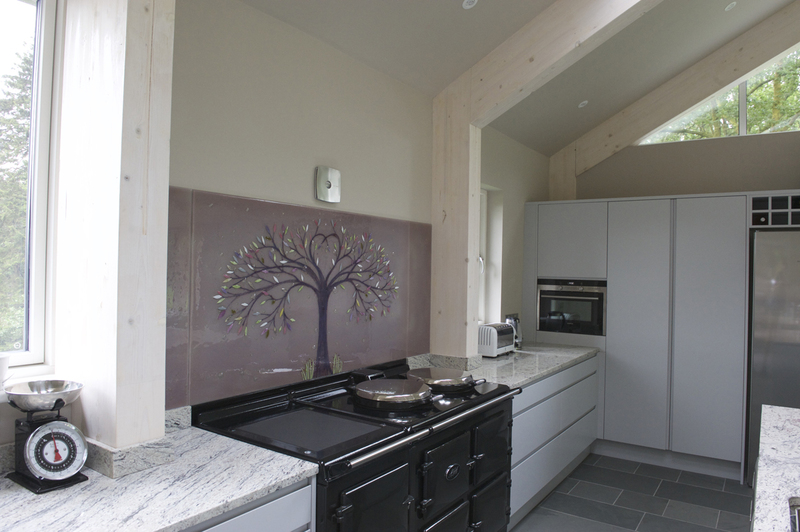 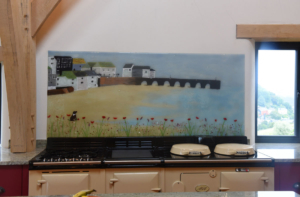 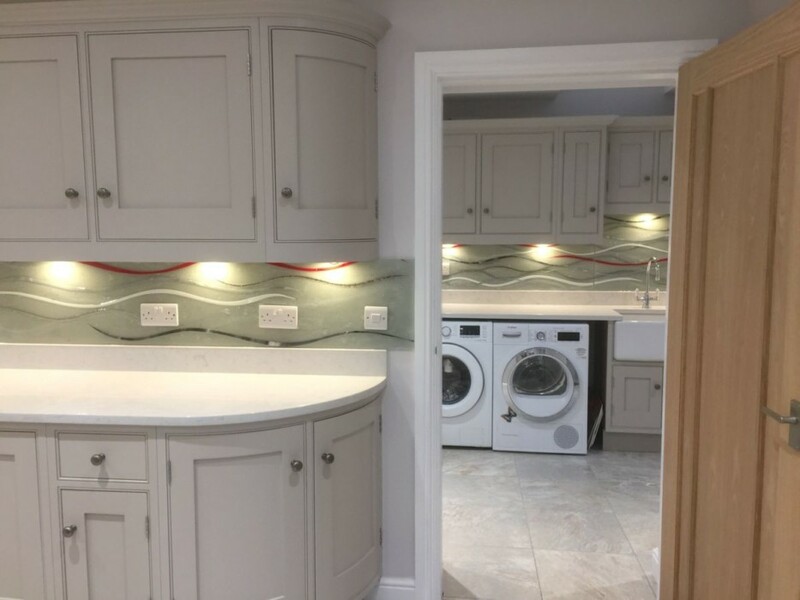 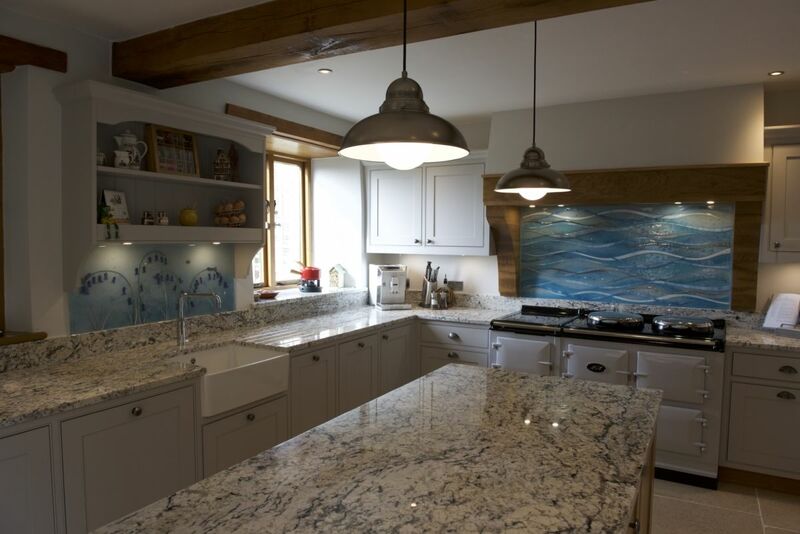 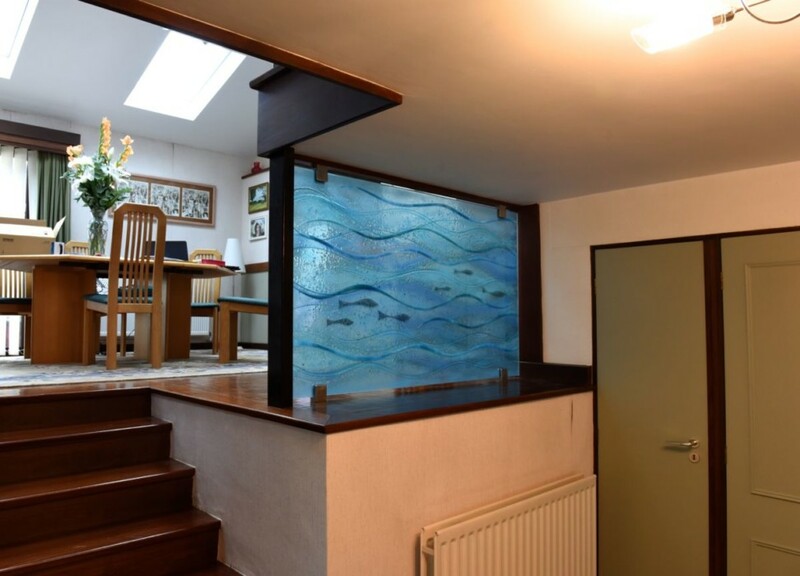 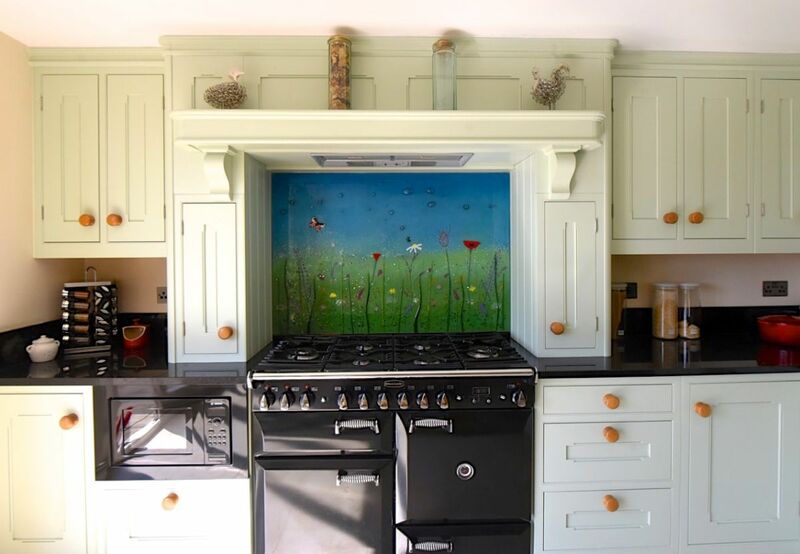 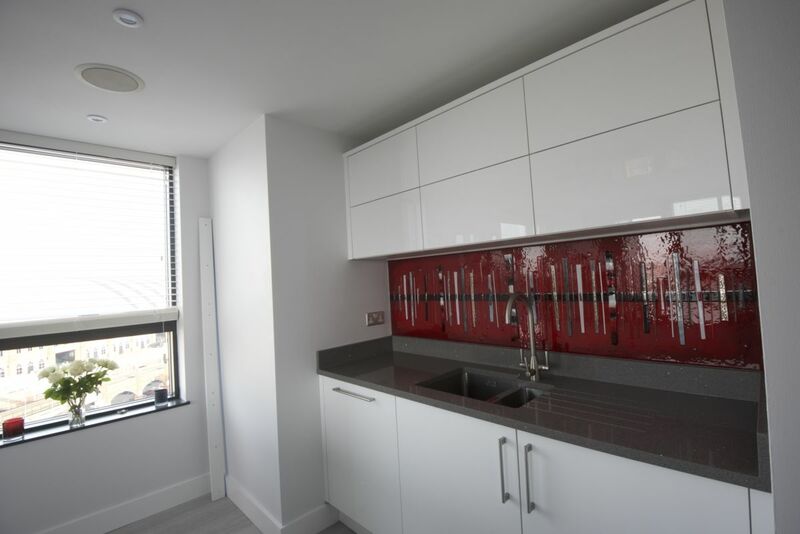 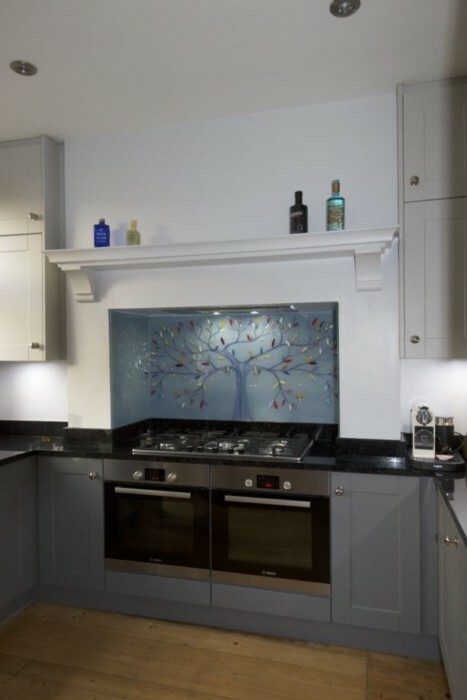 Even if you’ve never heard of The House of the Ugly Fish or visited our website before, you’ll probably already know about kitchen splashbacks. 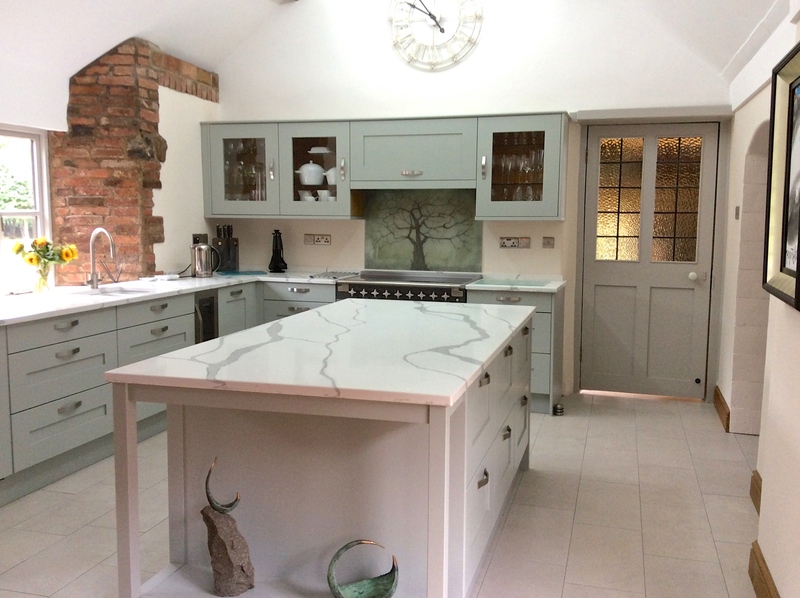 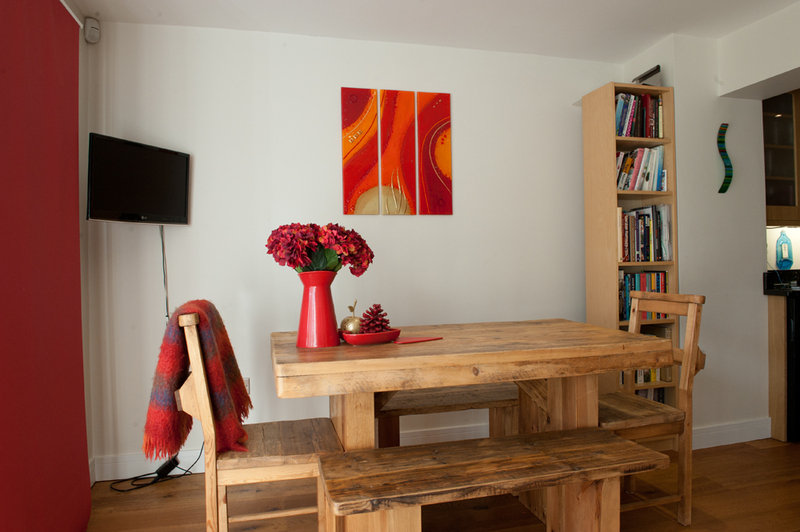 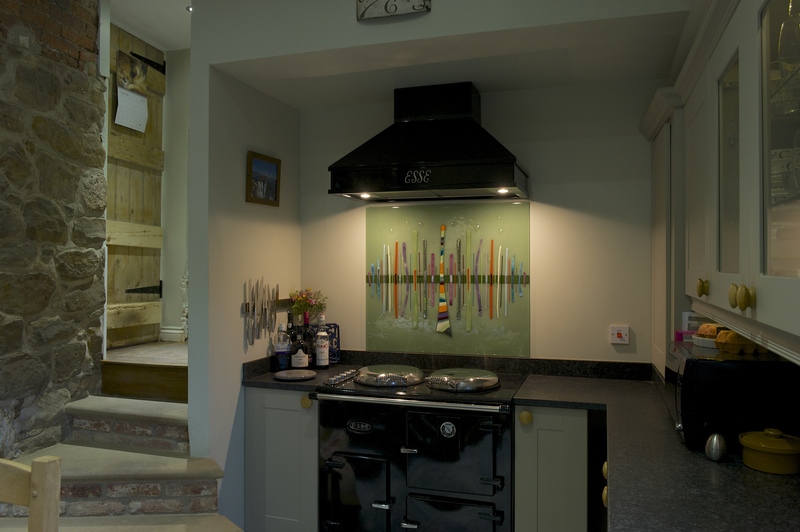 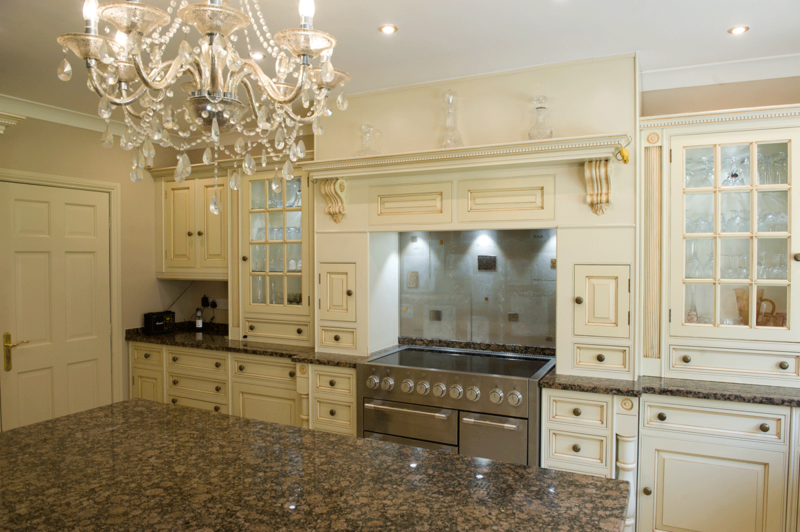 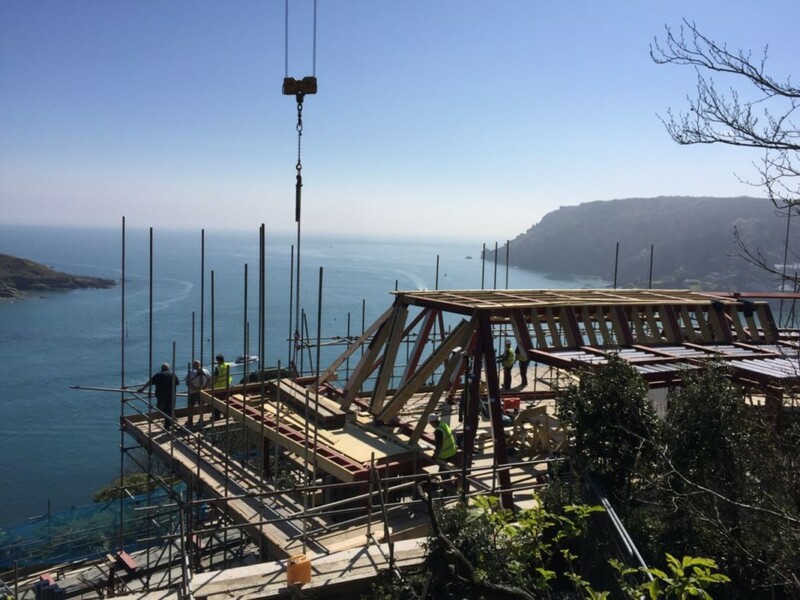 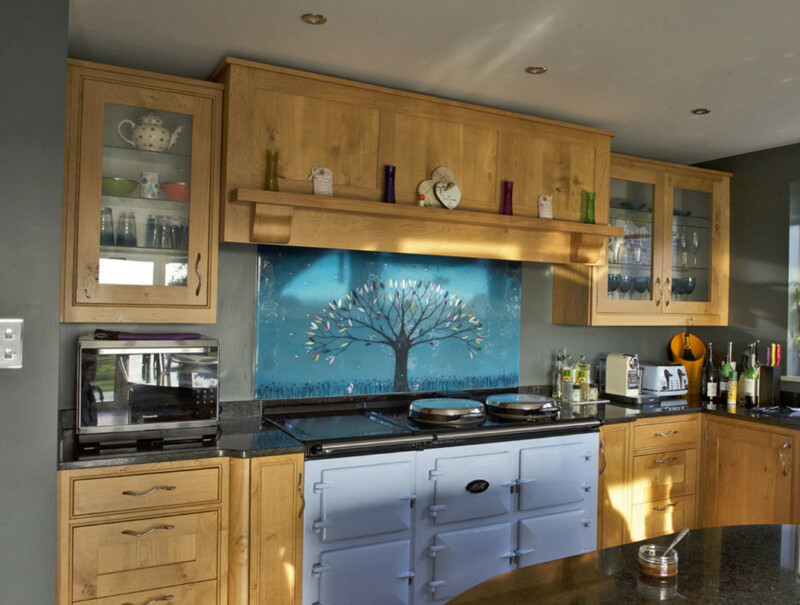 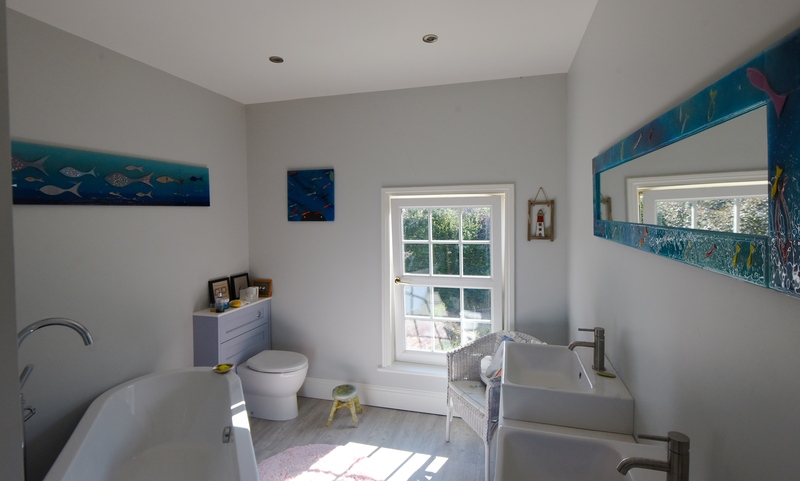 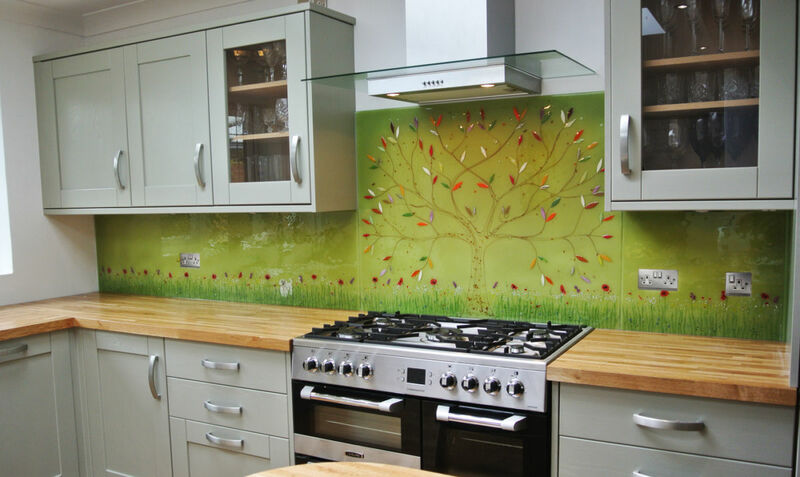 Over the past few years, they’ve been something of a revolution in the way we think about decorating our kitchens, getting rid of the old fashioned look of tiled walls for something entirely more modern. 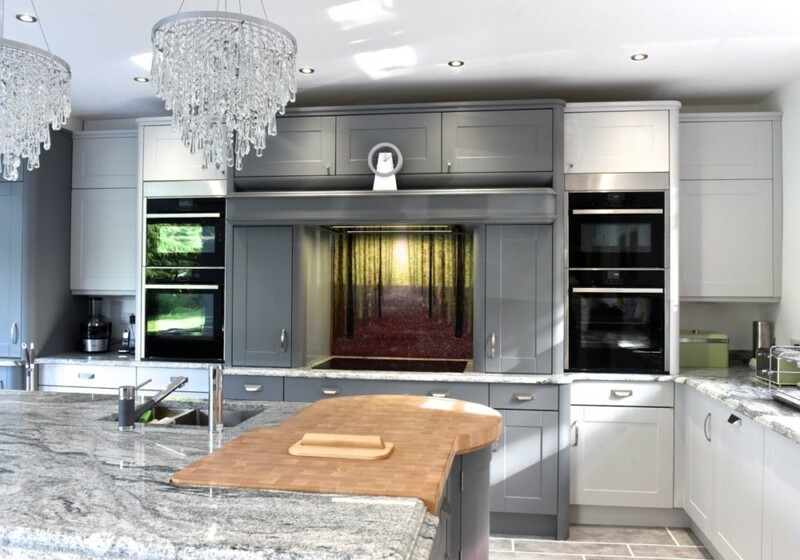 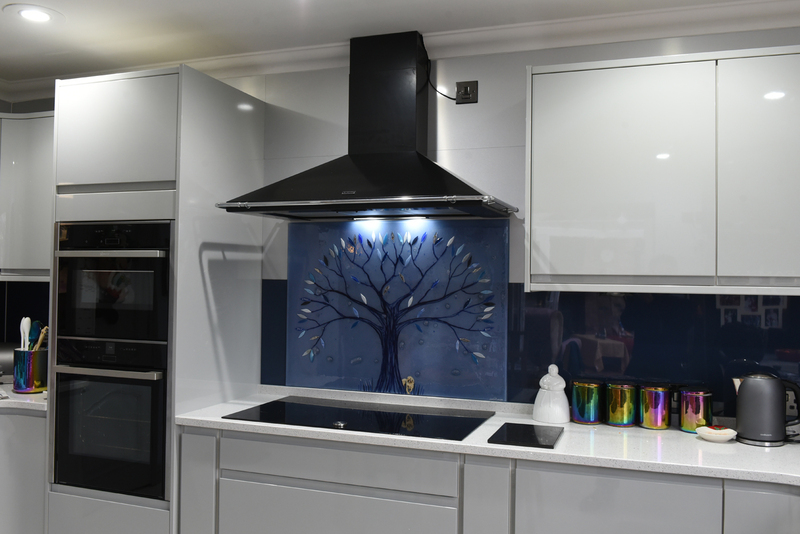 We’re now at the point where splashbacks and surrounding complements are a common sight, but that doesn’t mean that innovation has slowed down one bit. 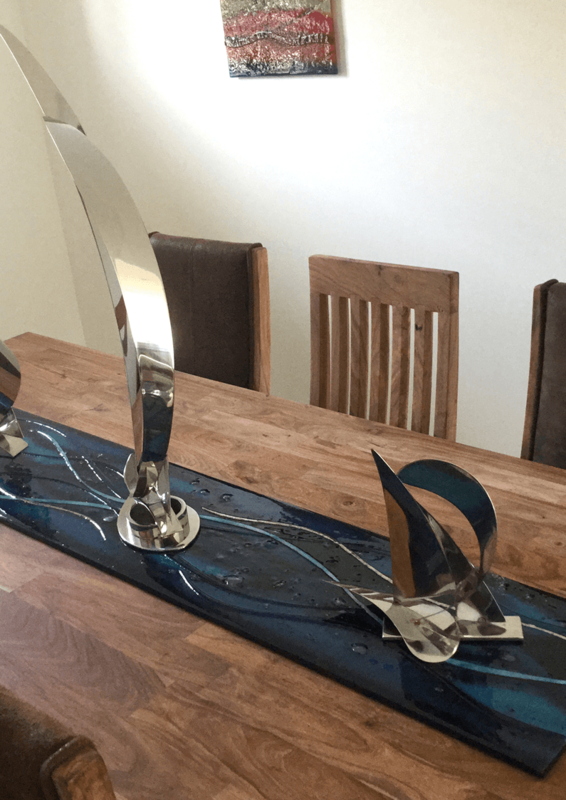 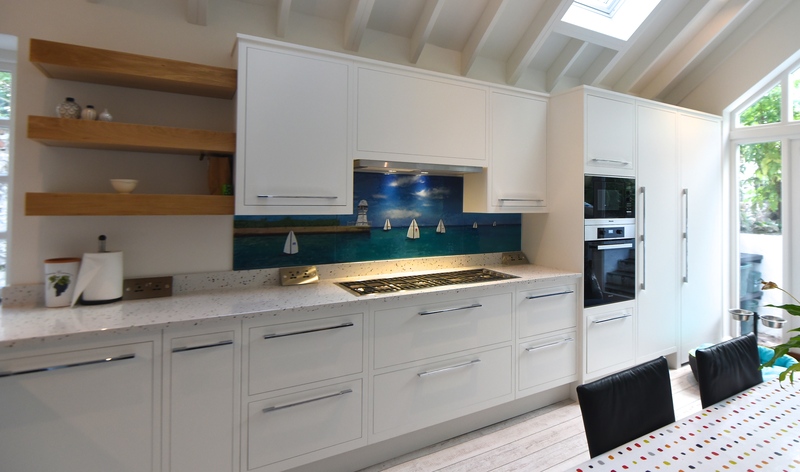 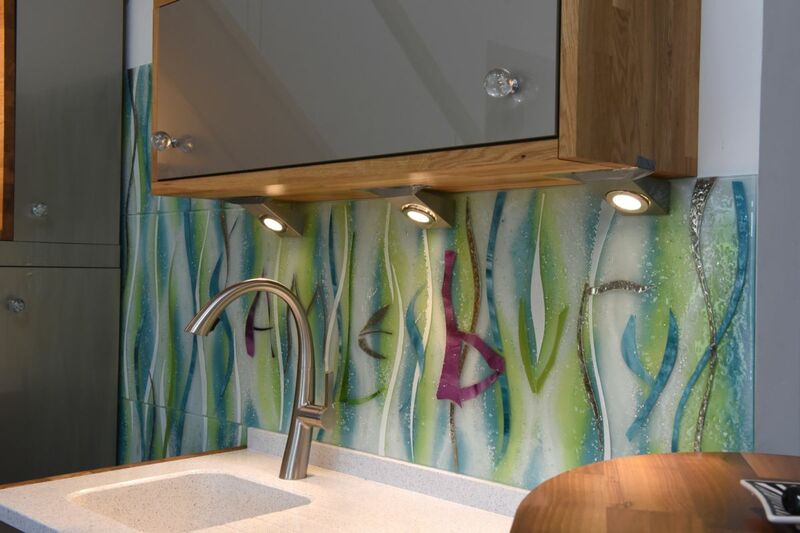 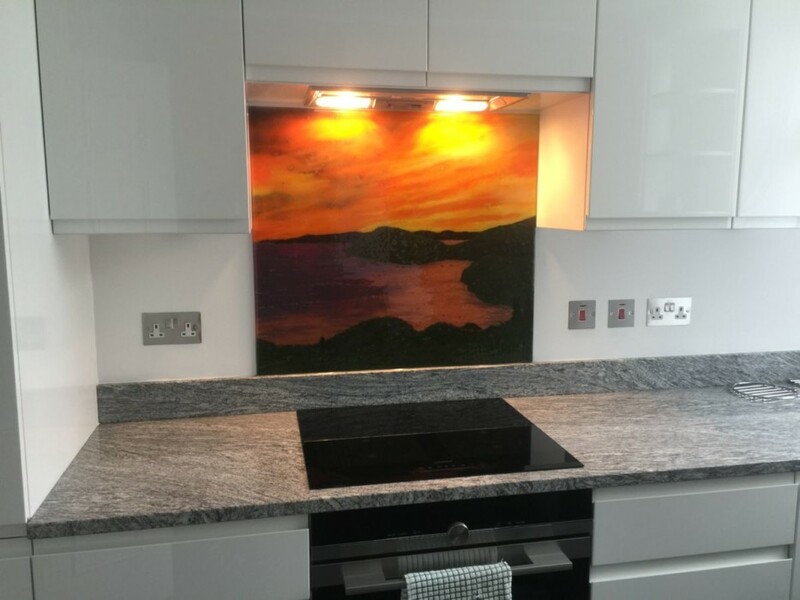 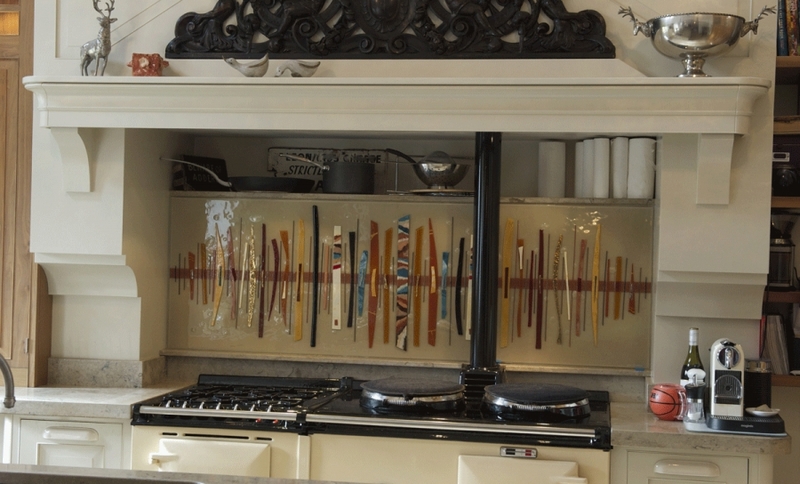 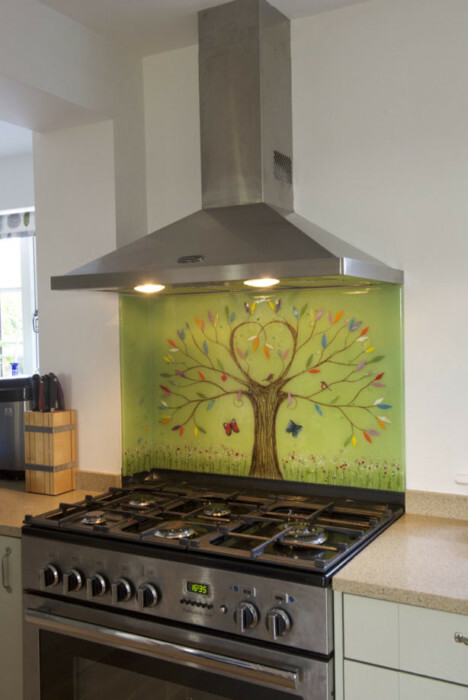 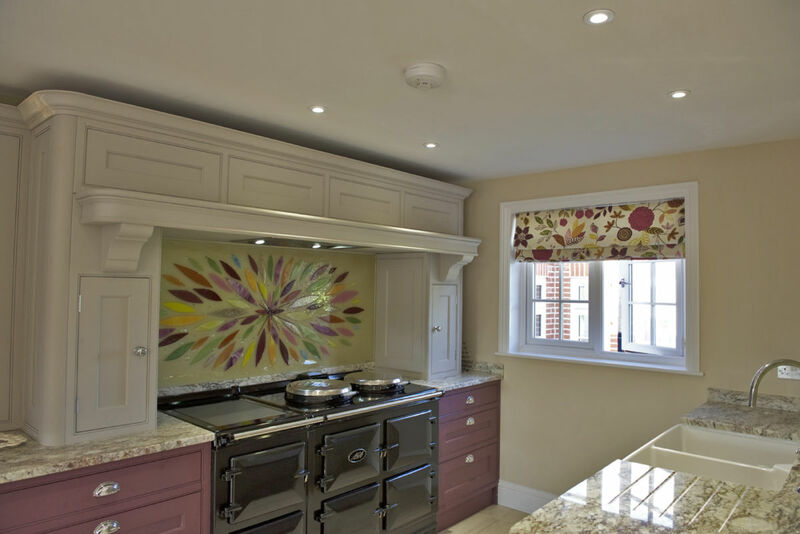 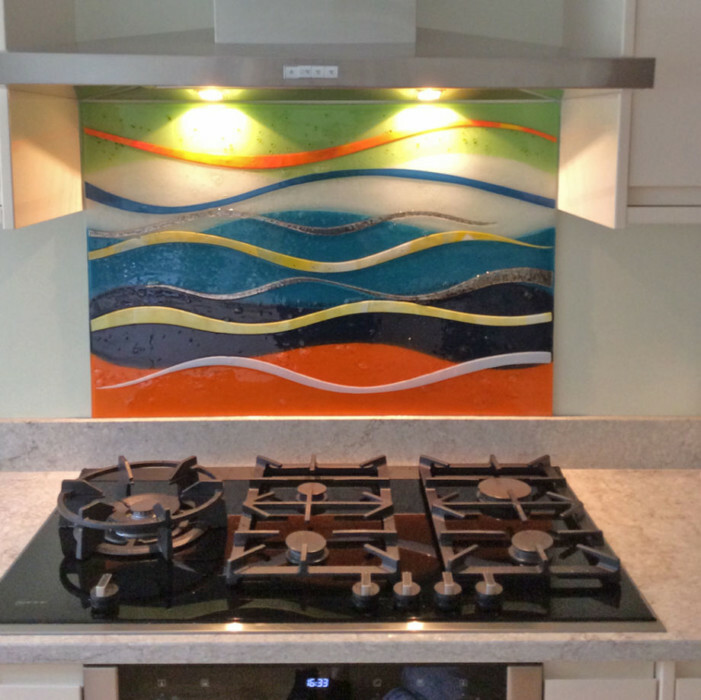 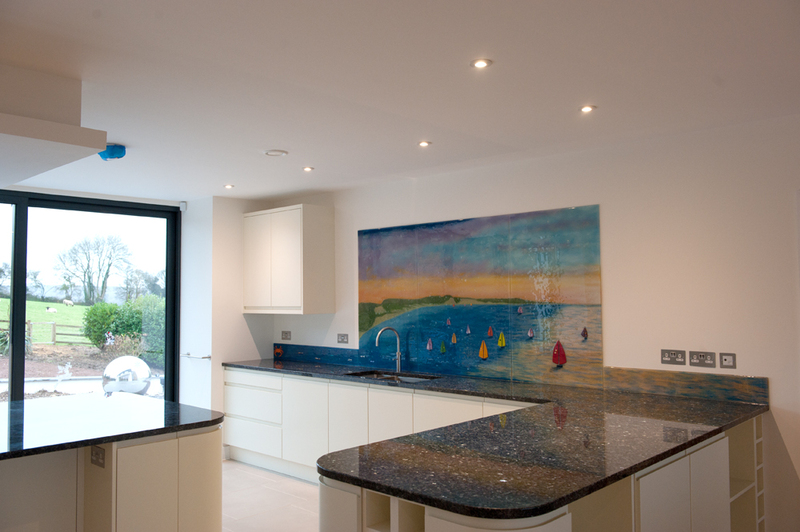 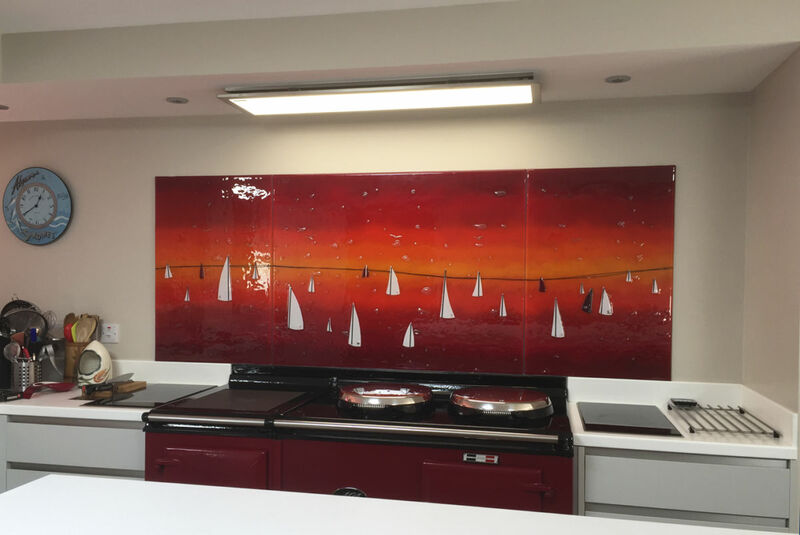 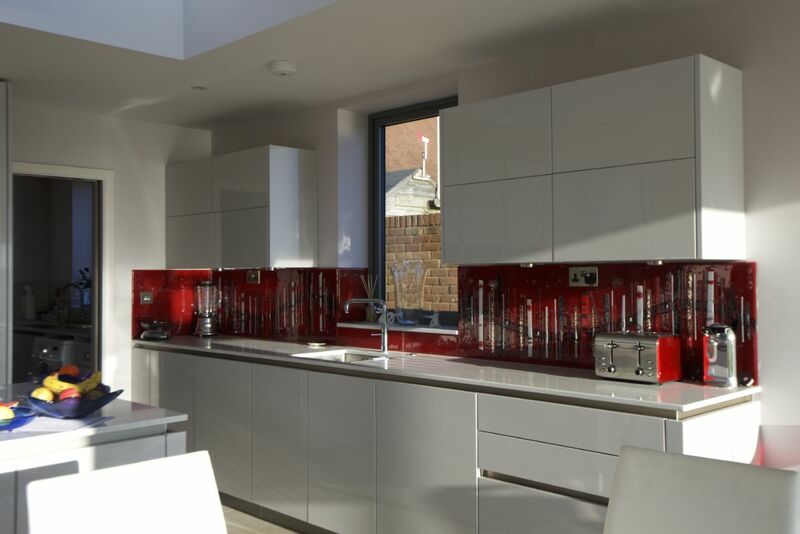 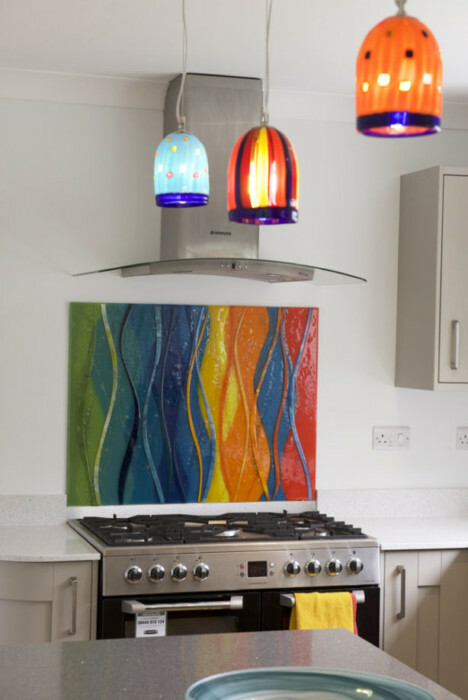 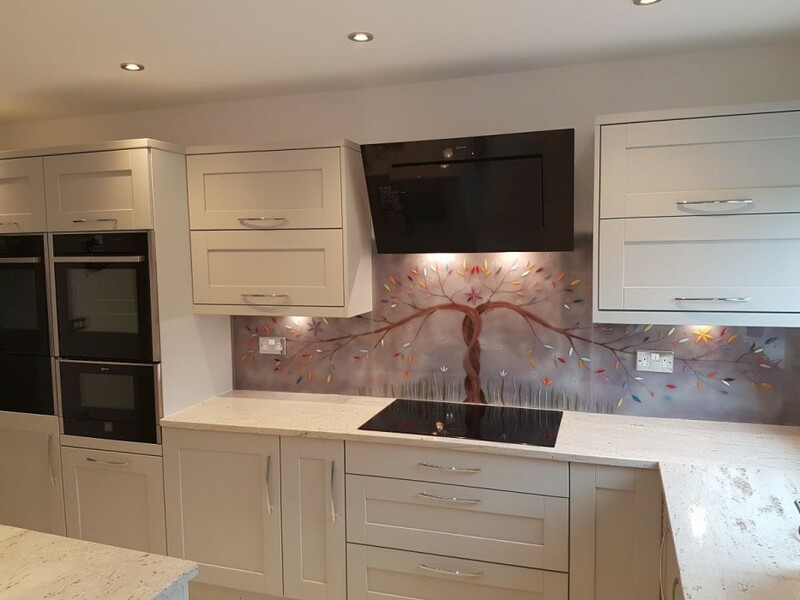 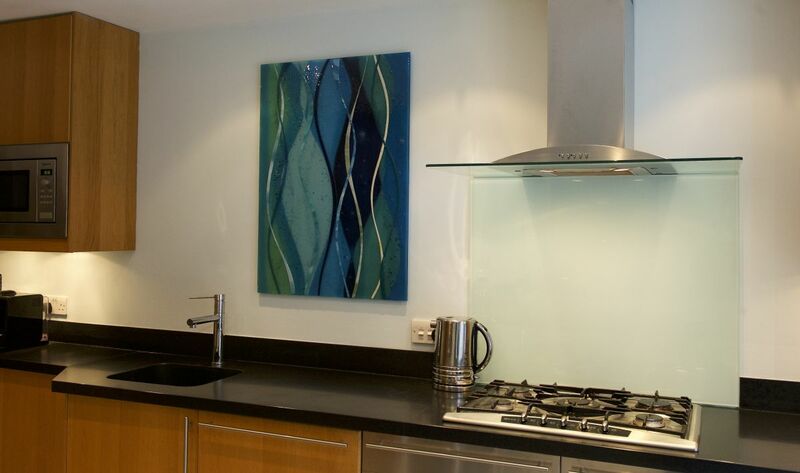 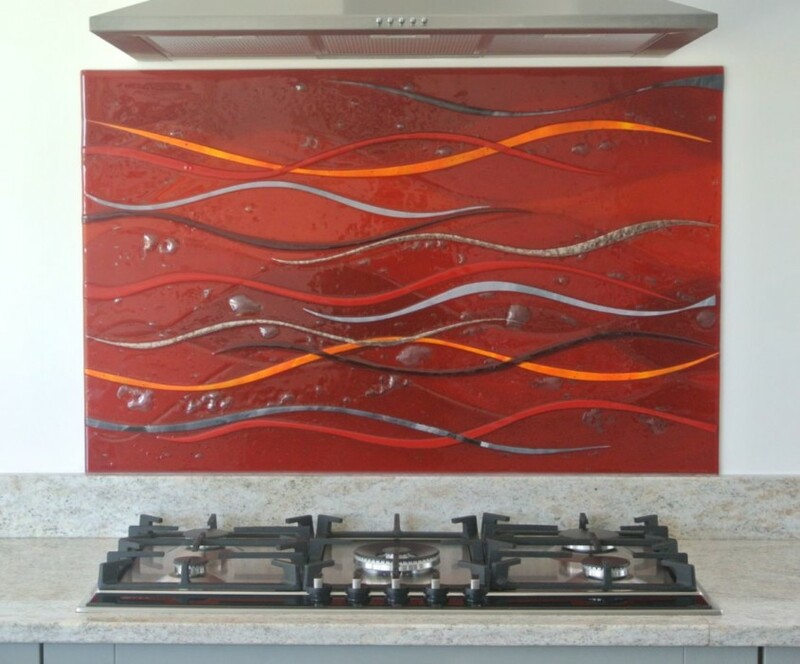 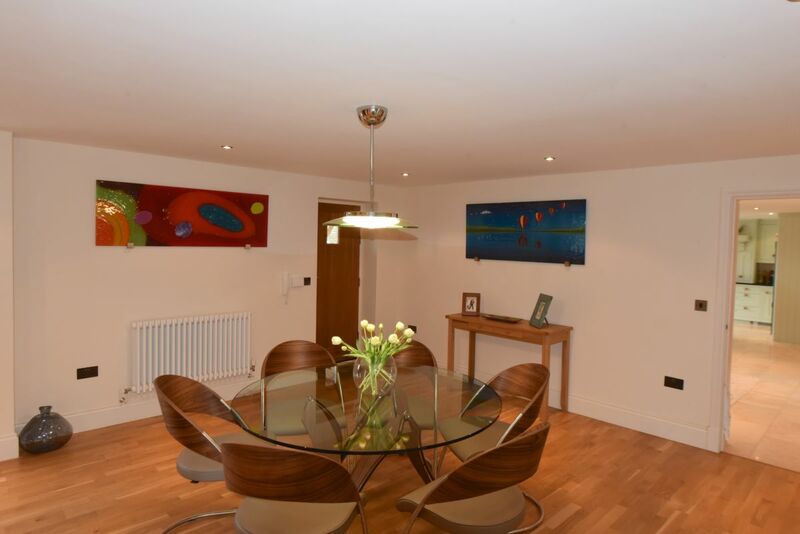 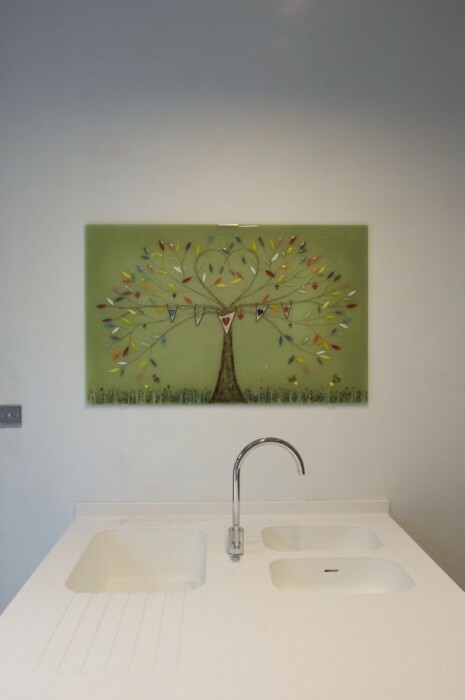 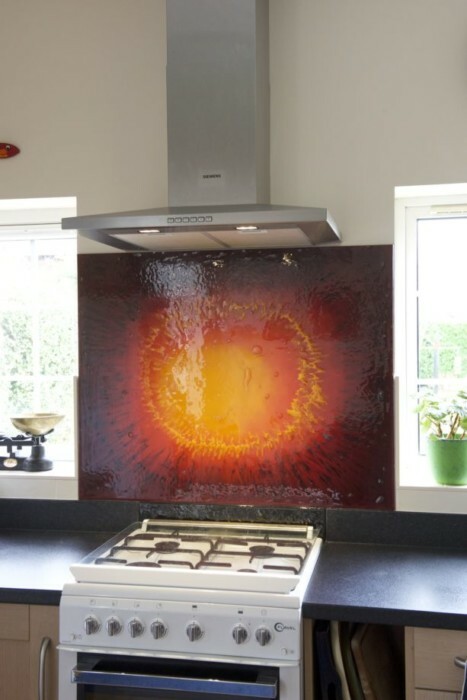 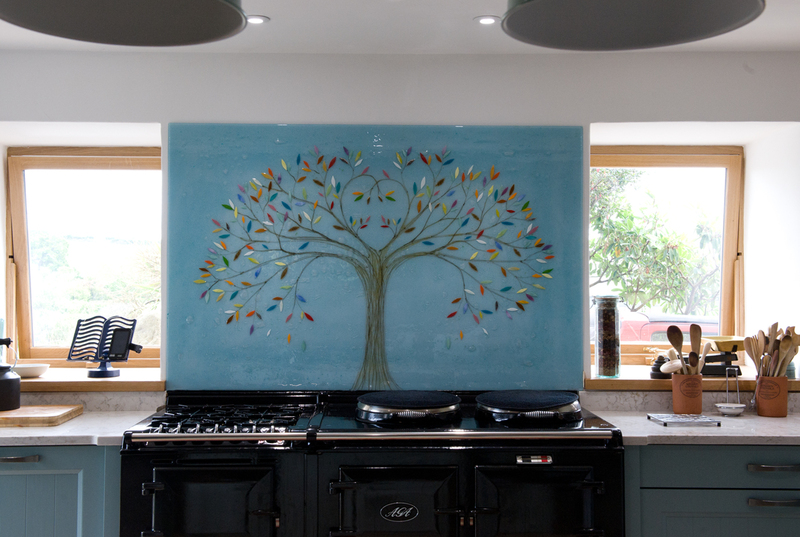 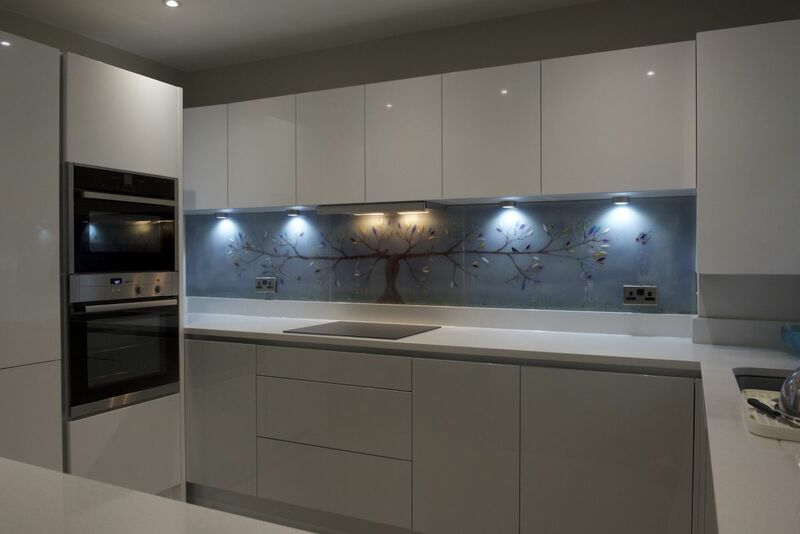 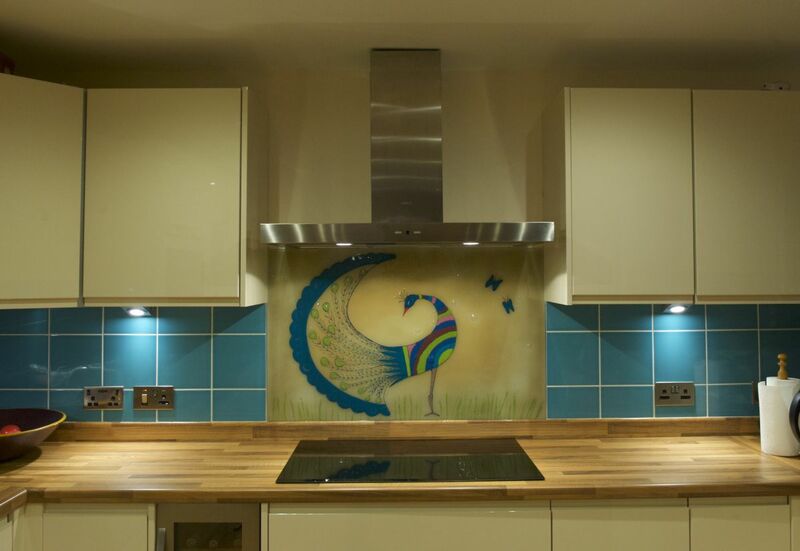 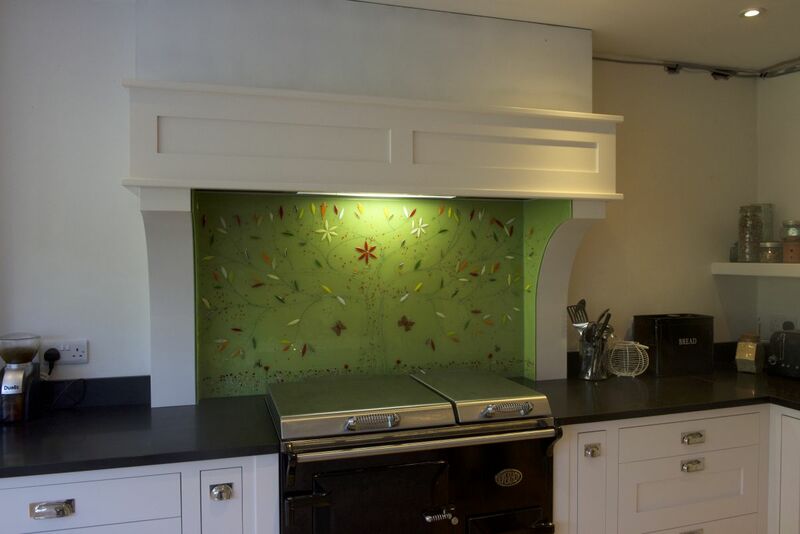 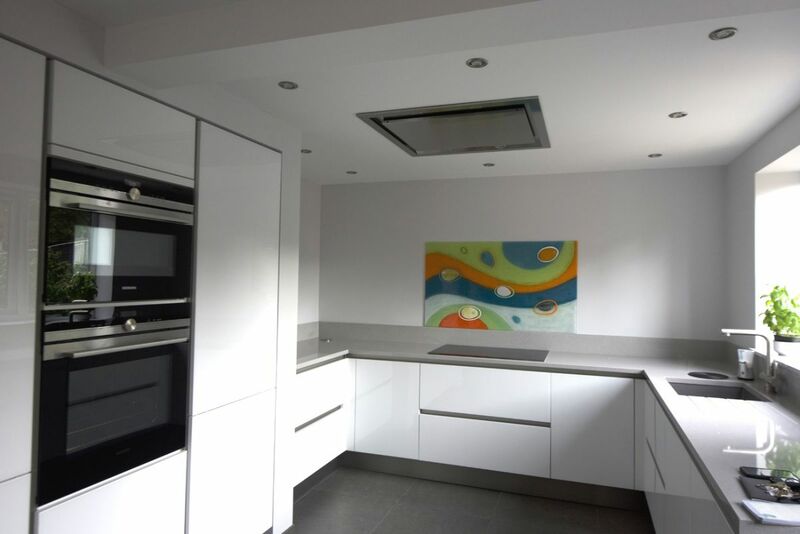 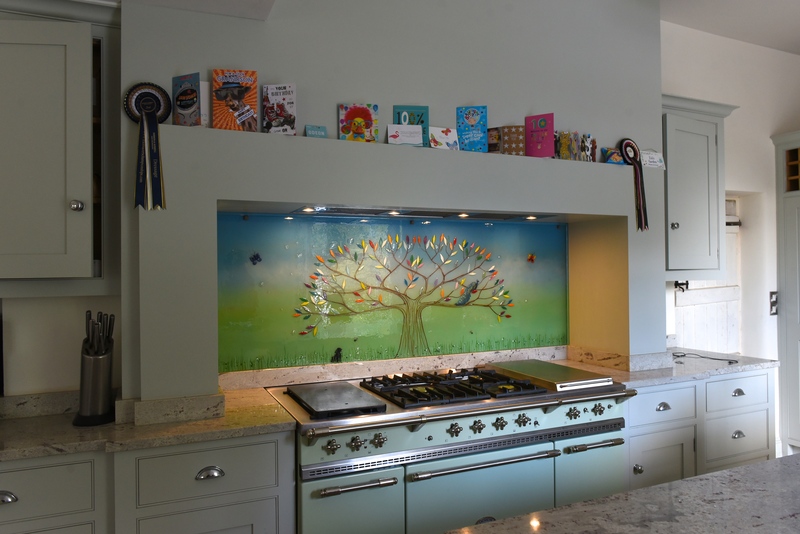 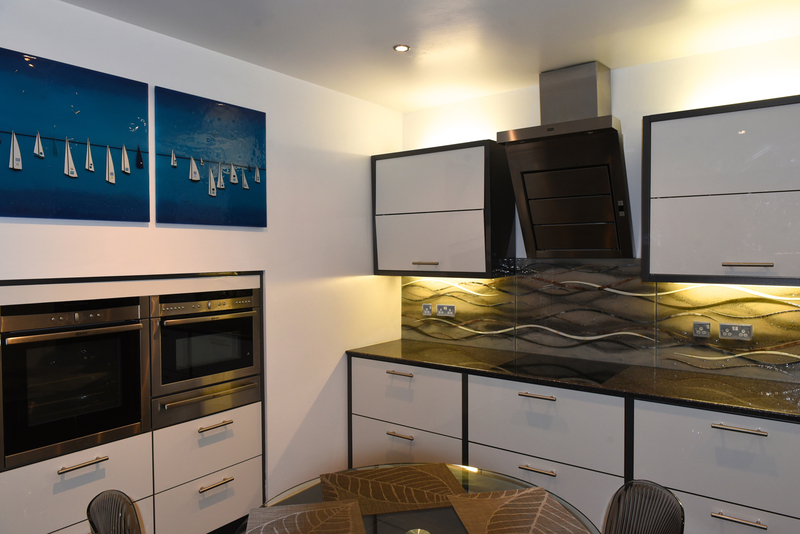 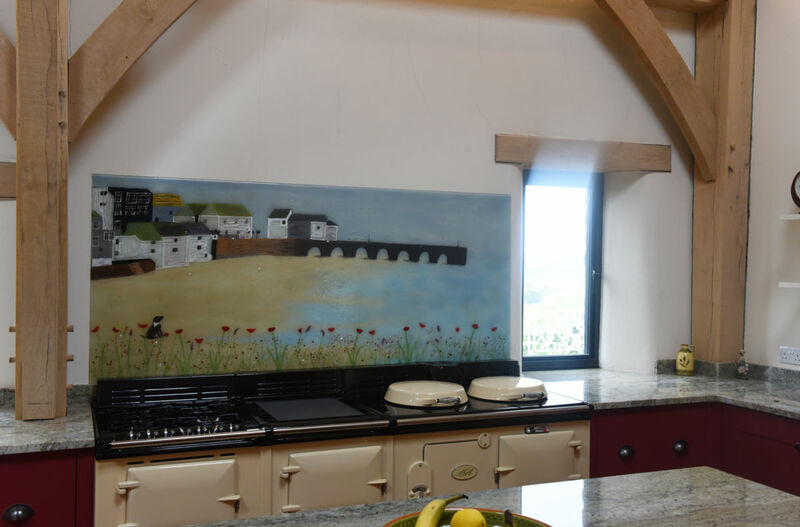 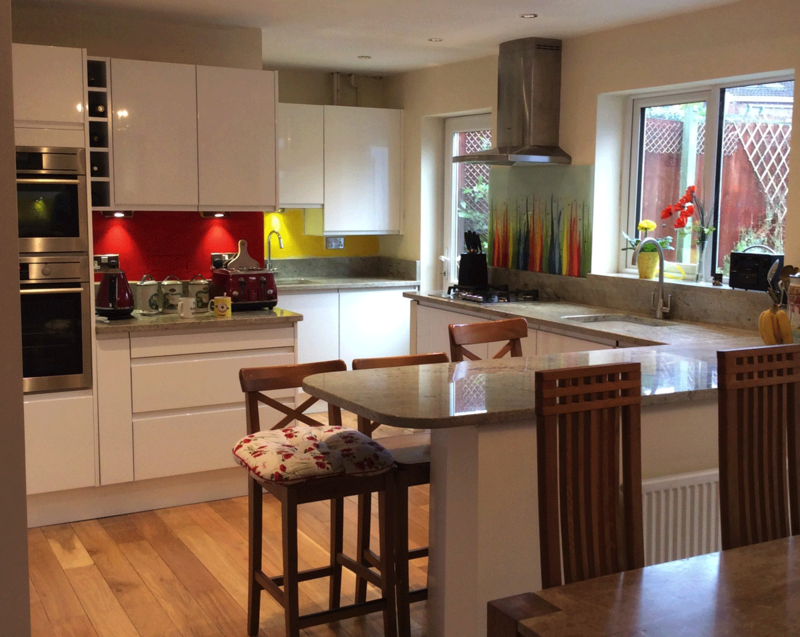 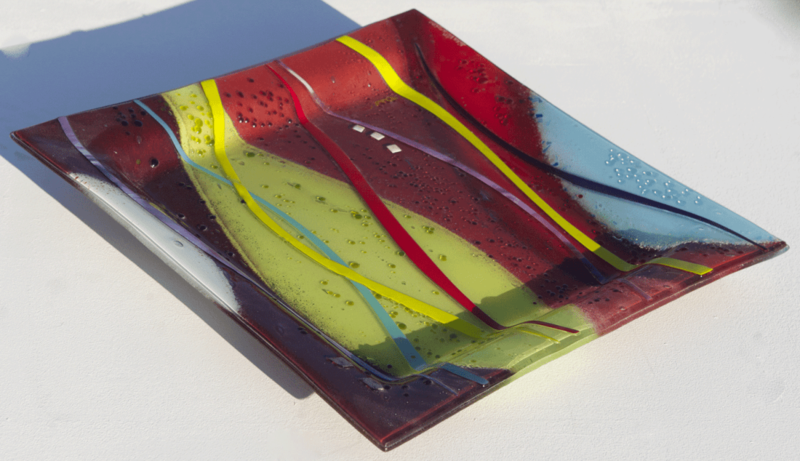 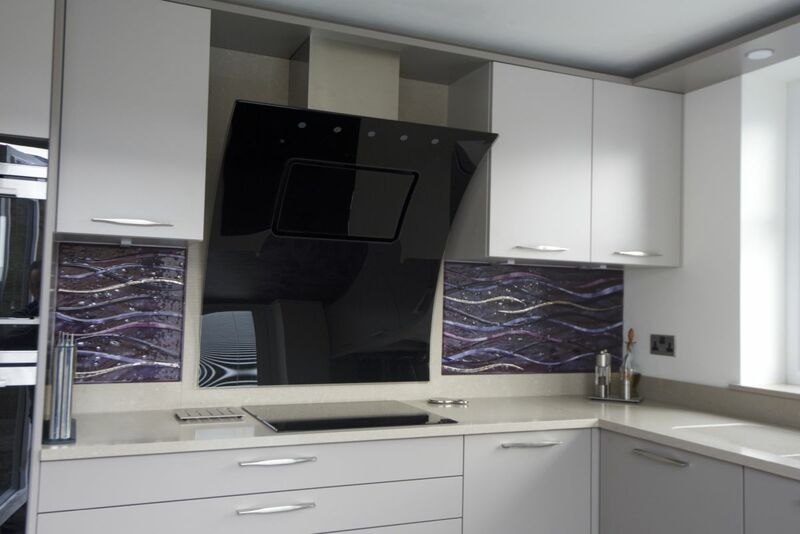 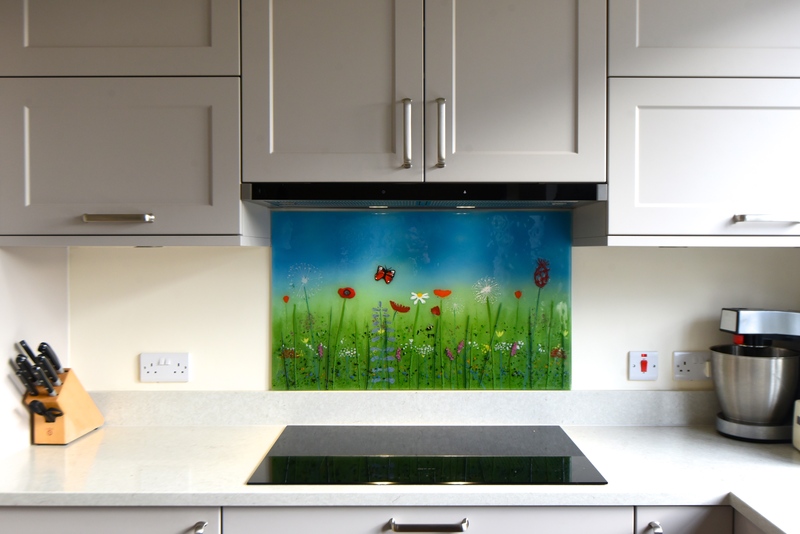 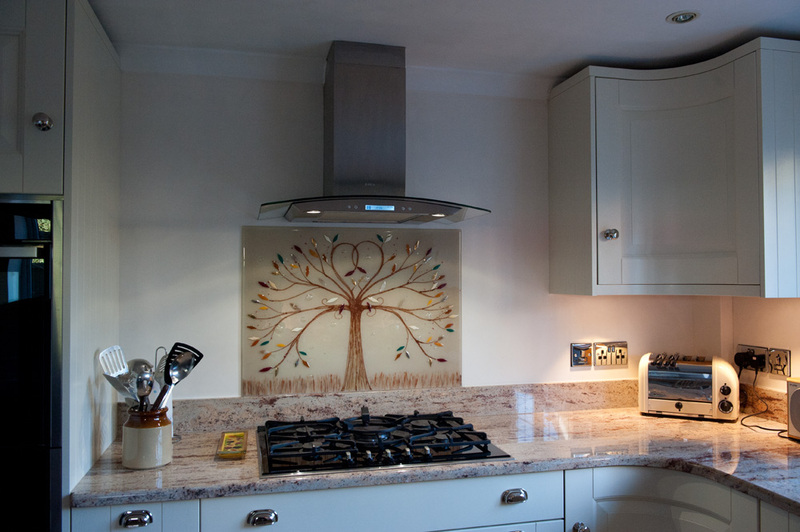 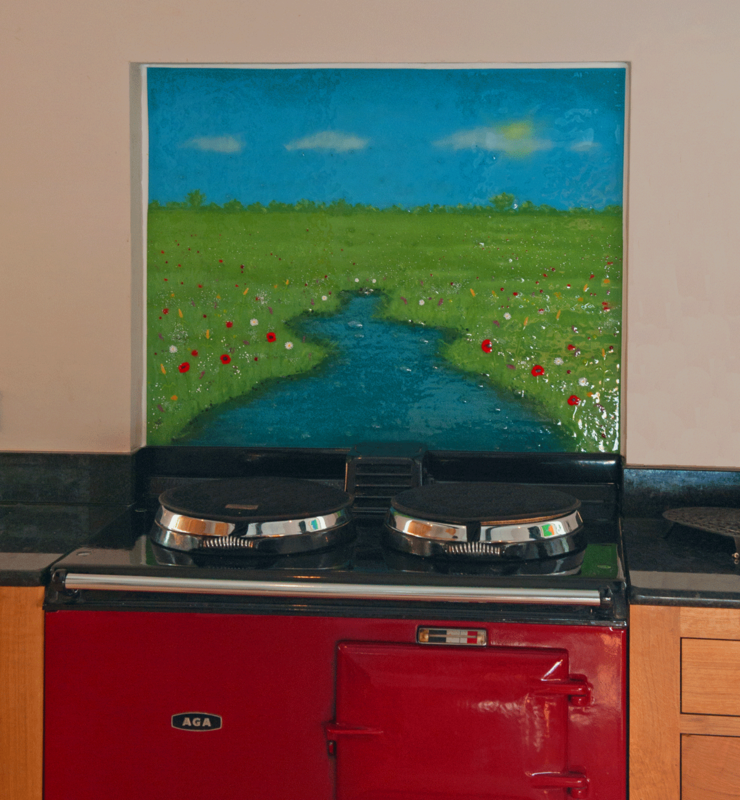 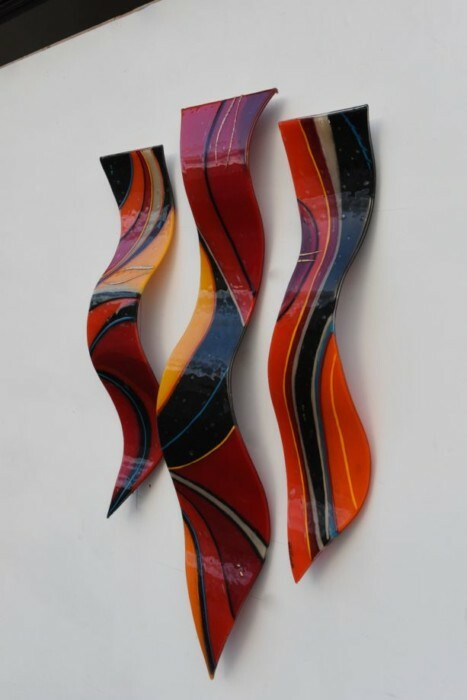 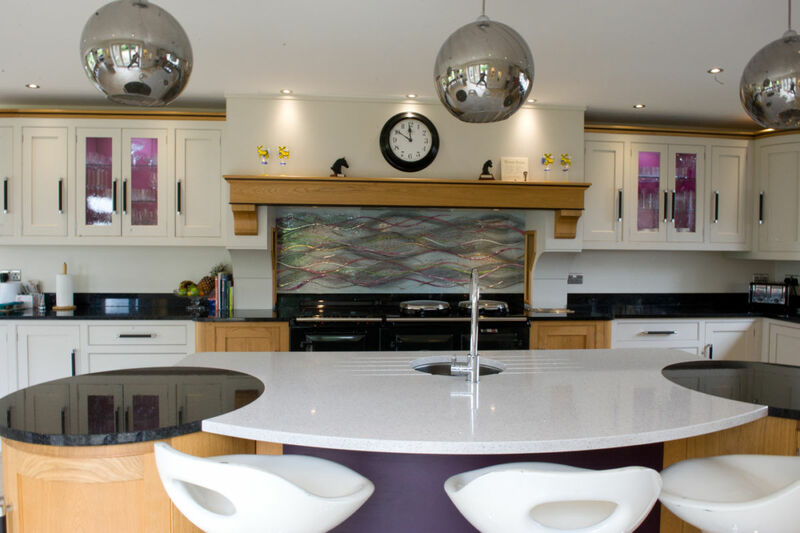 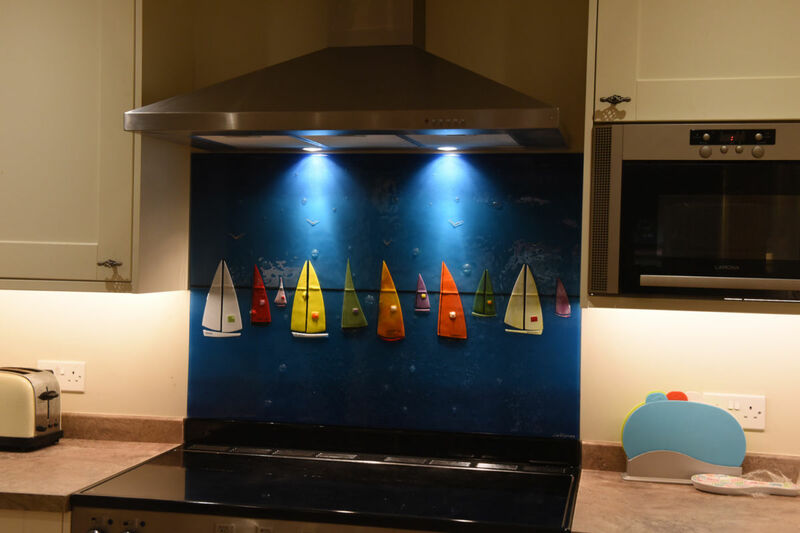 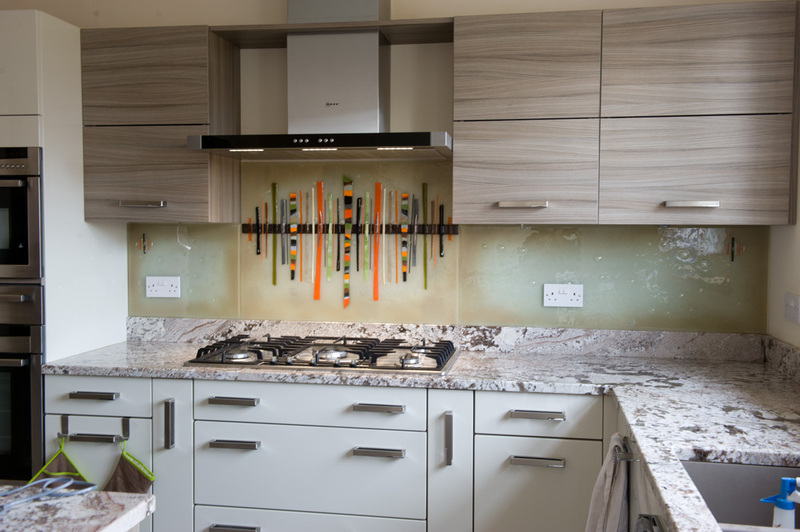 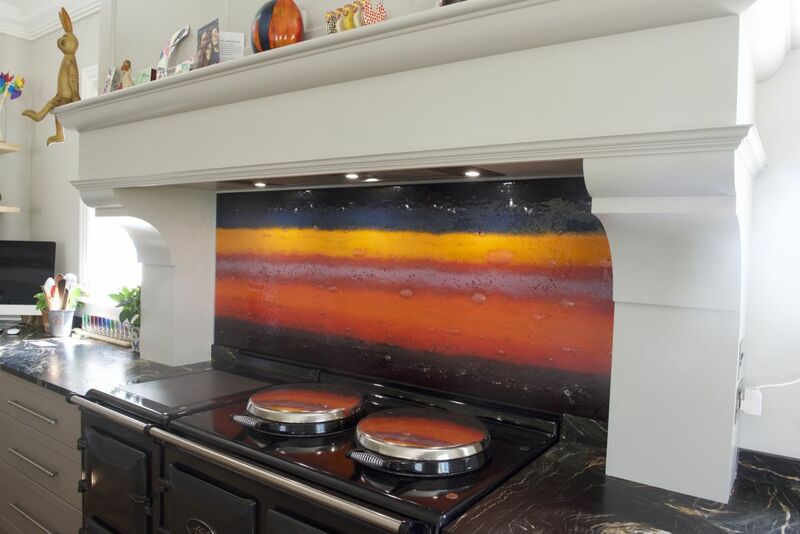 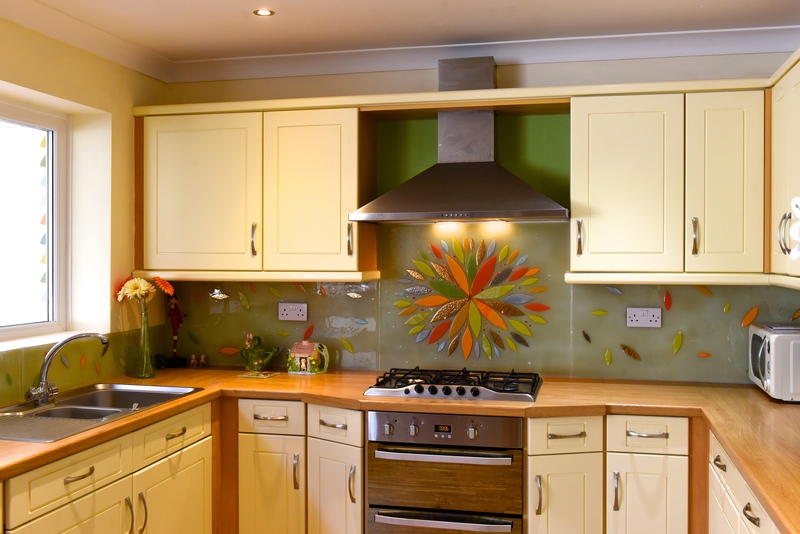 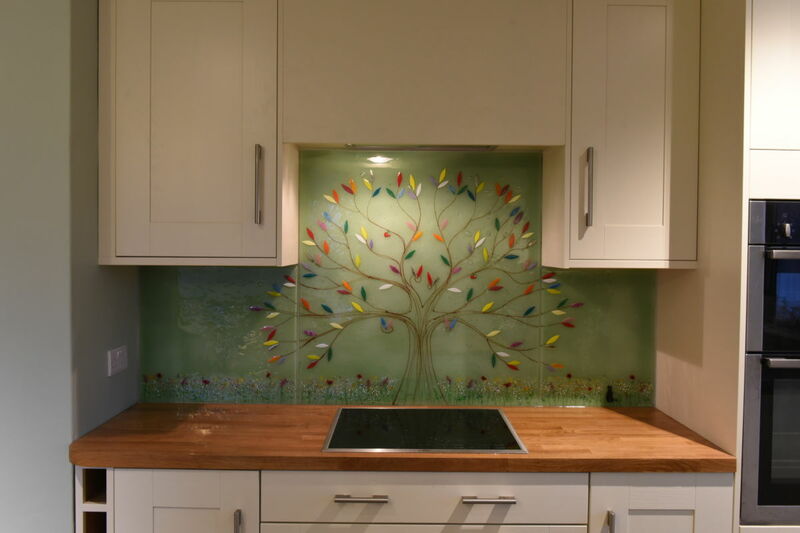 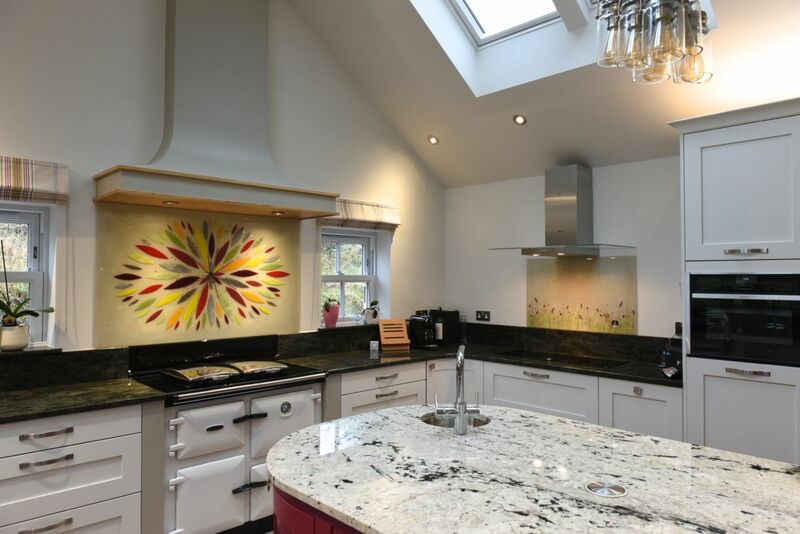 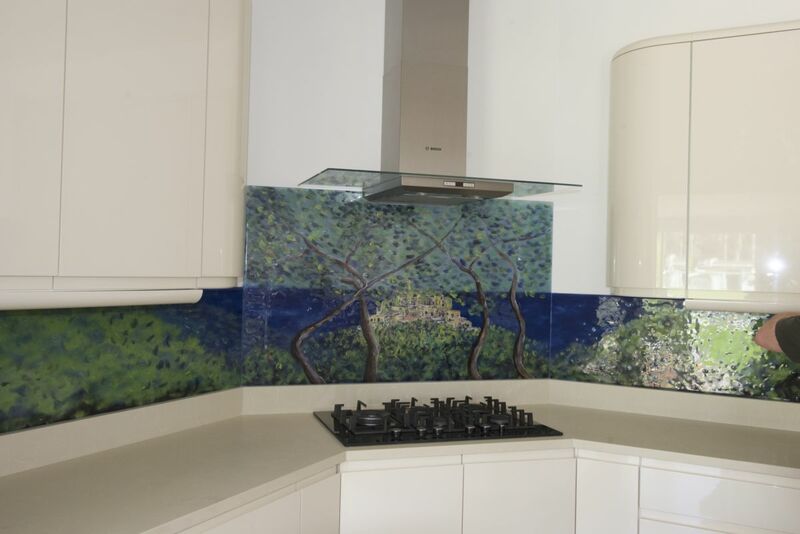 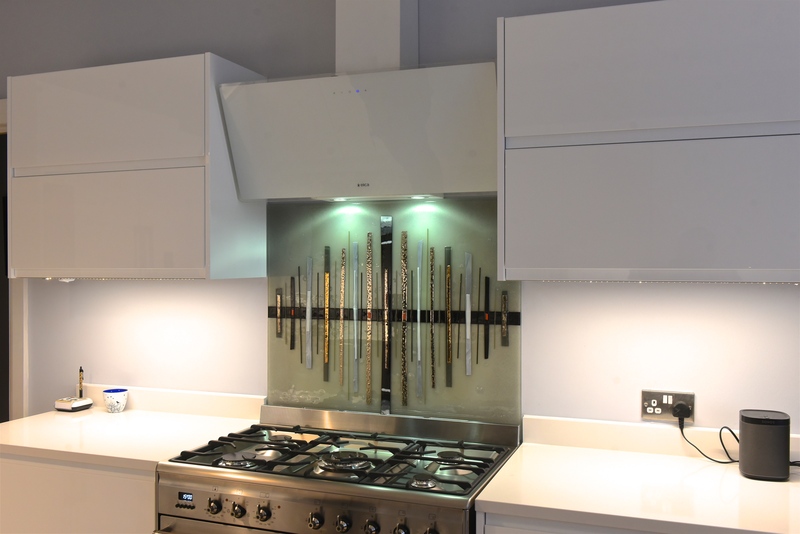 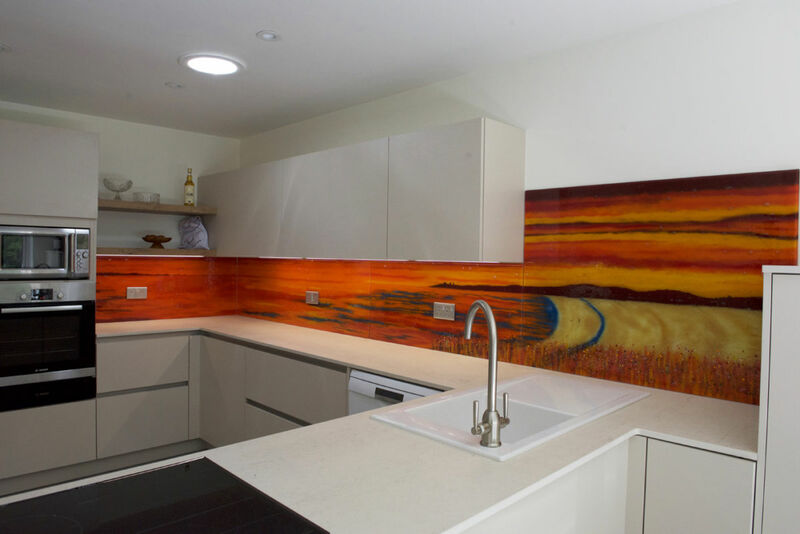 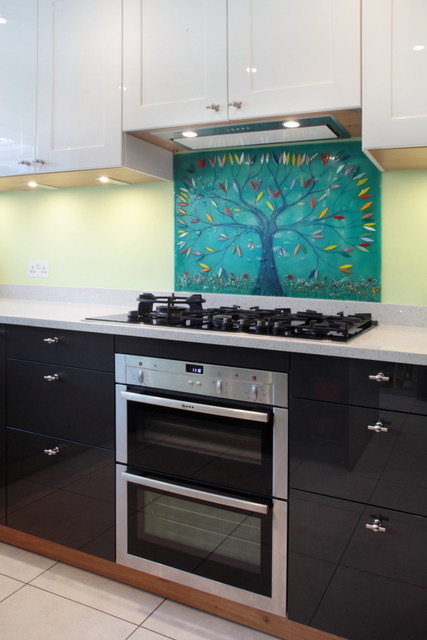 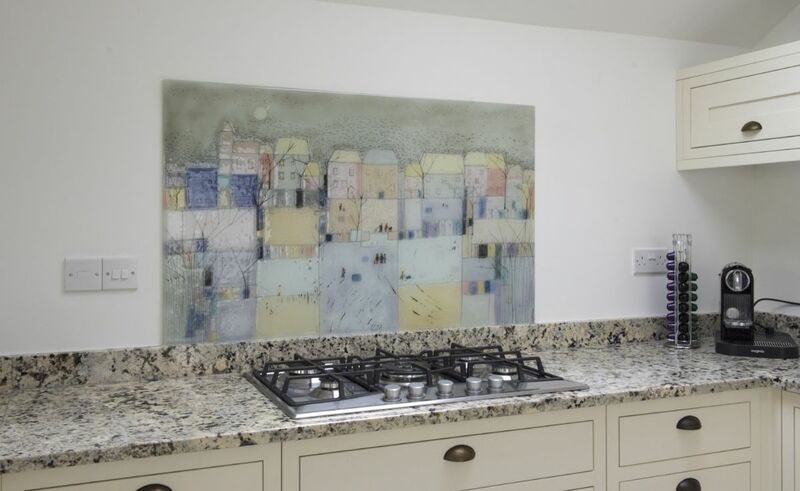 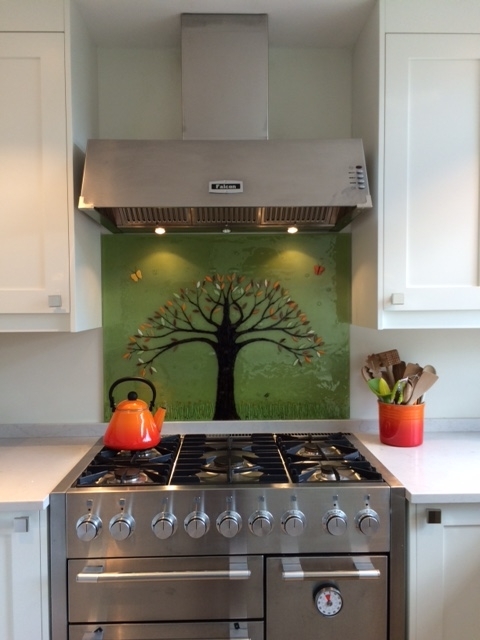 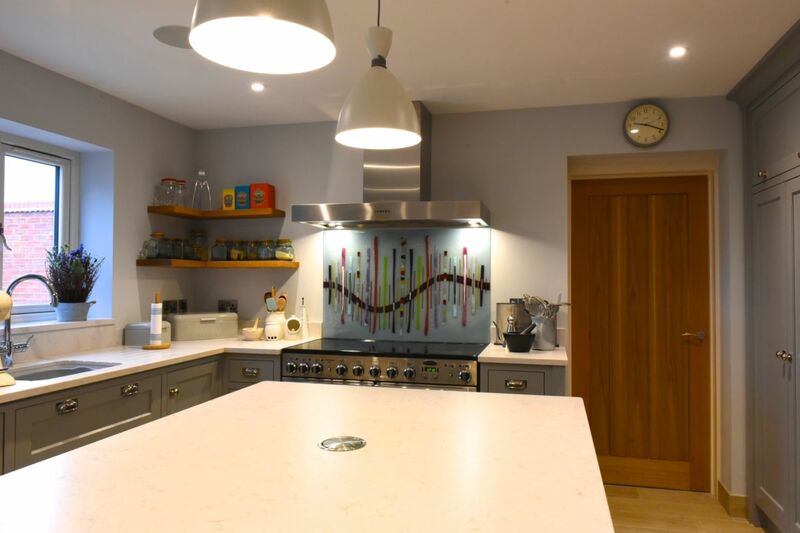 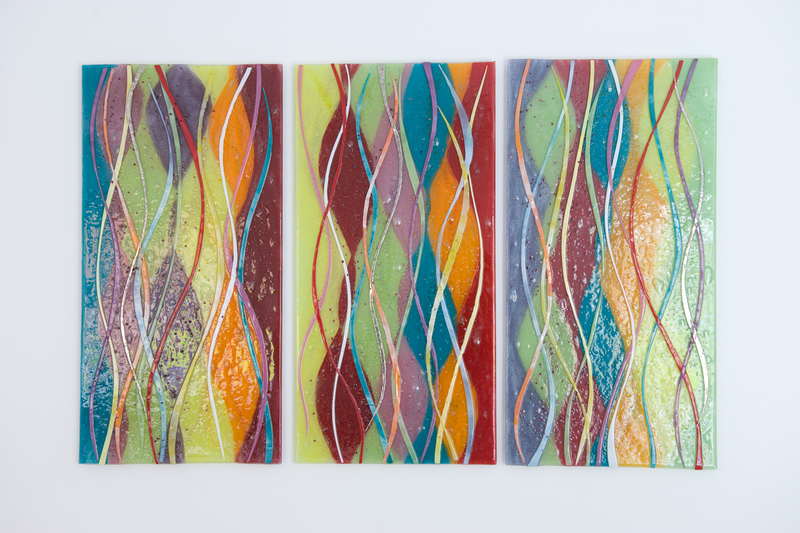 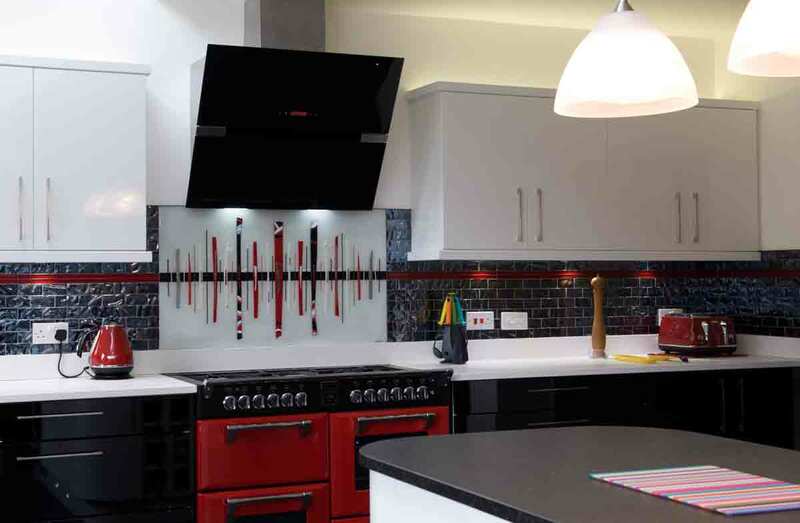 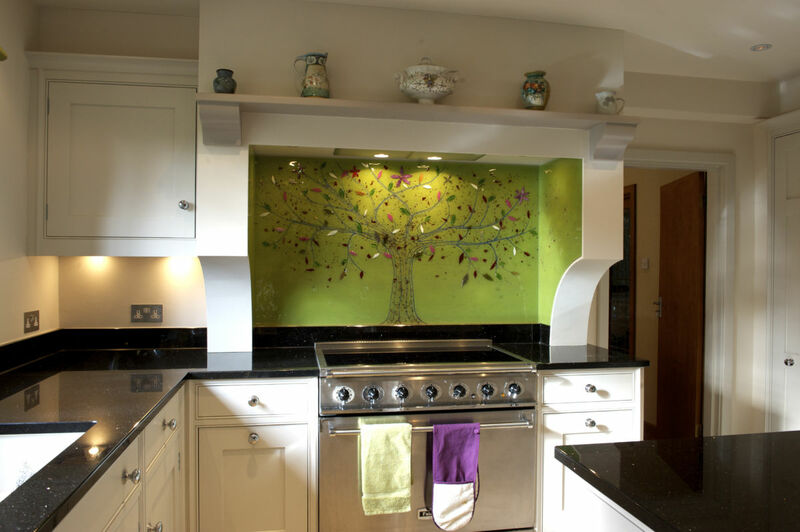 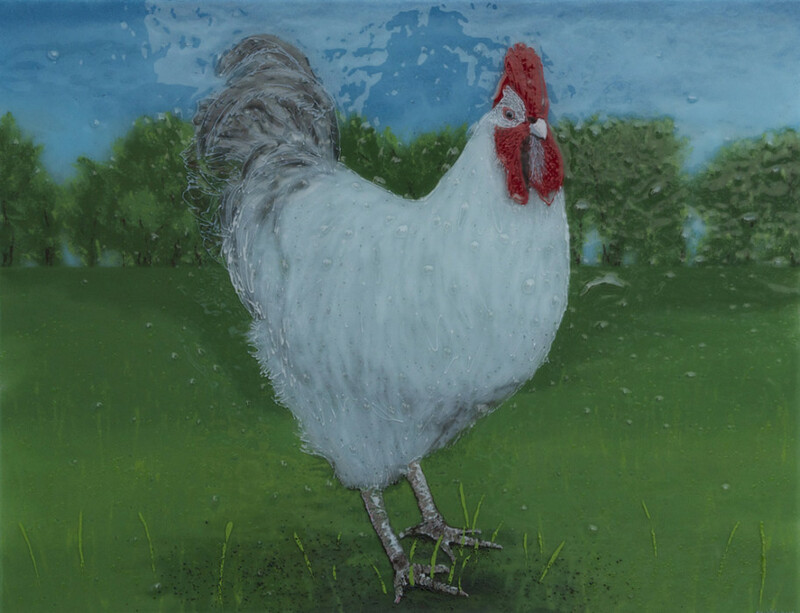 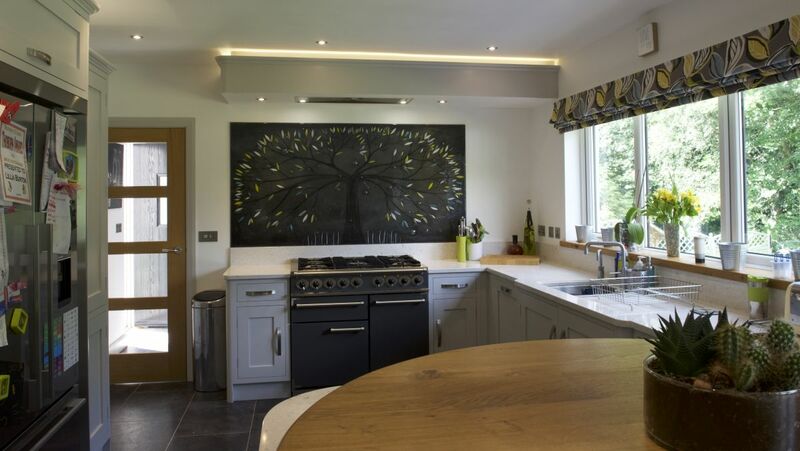 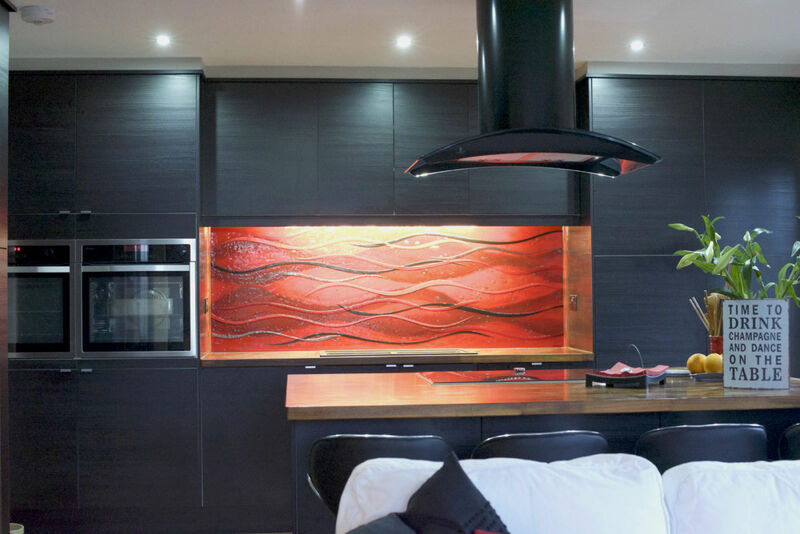 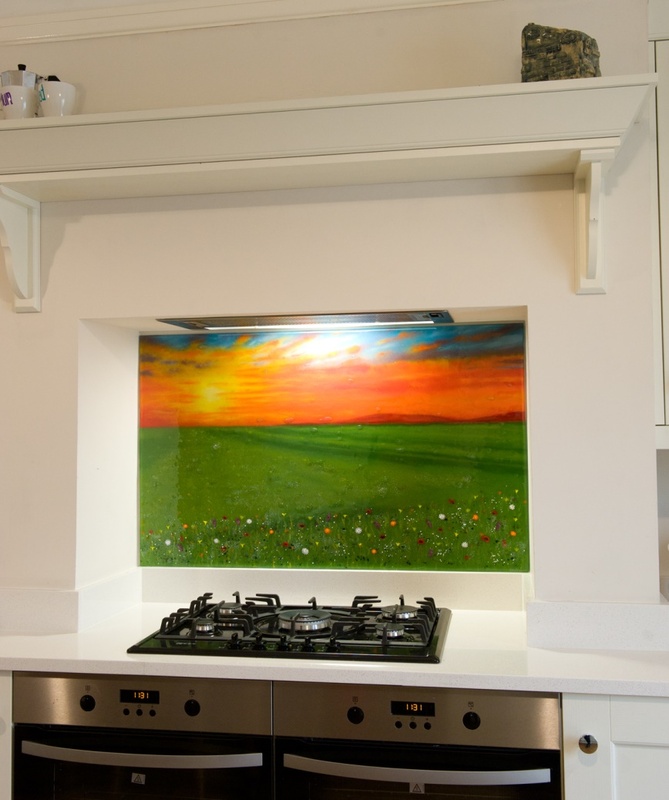 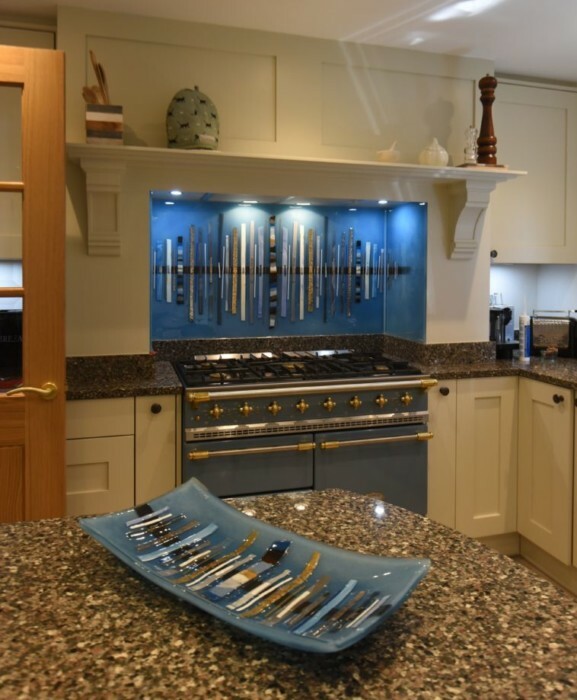 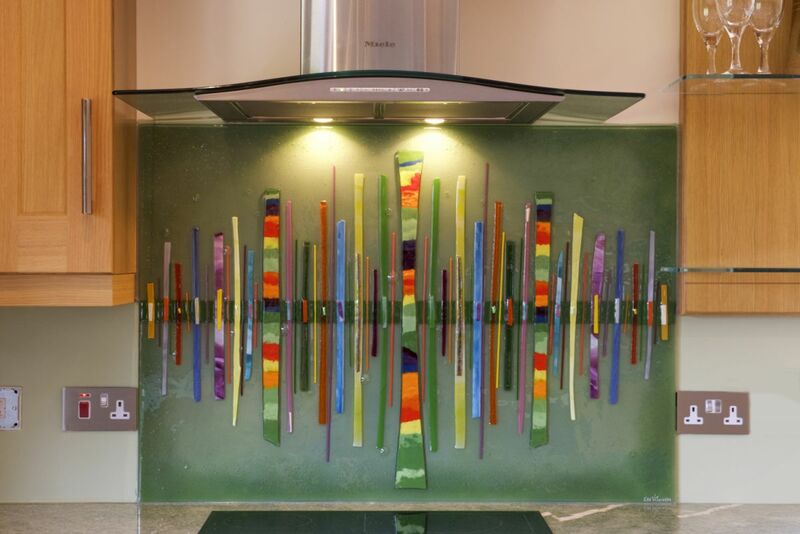 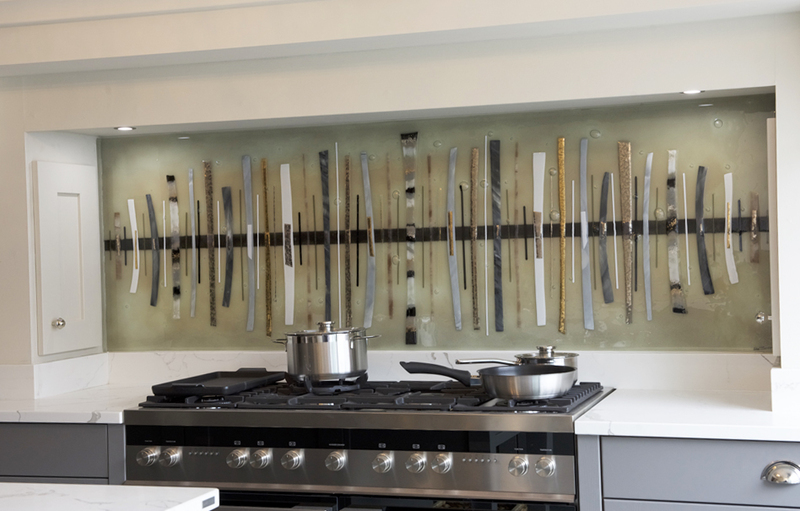 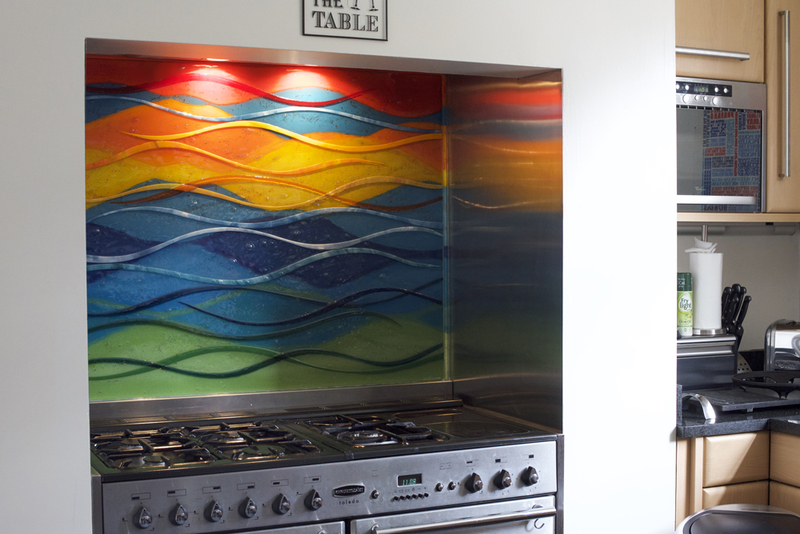 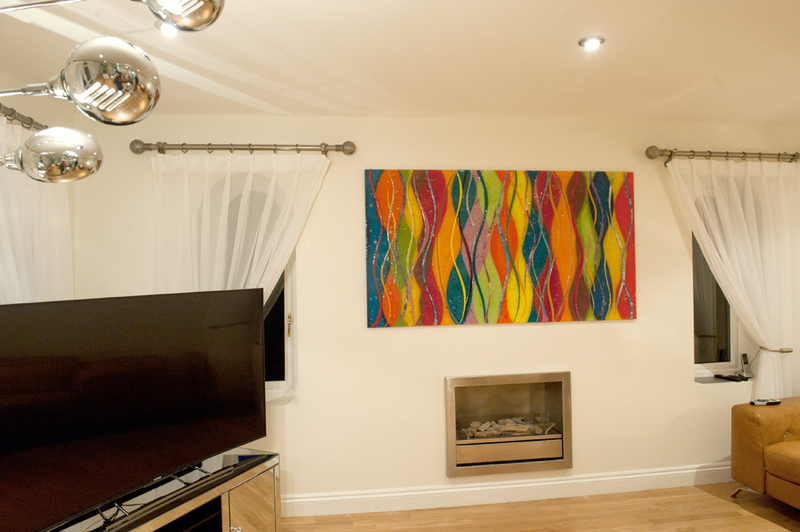 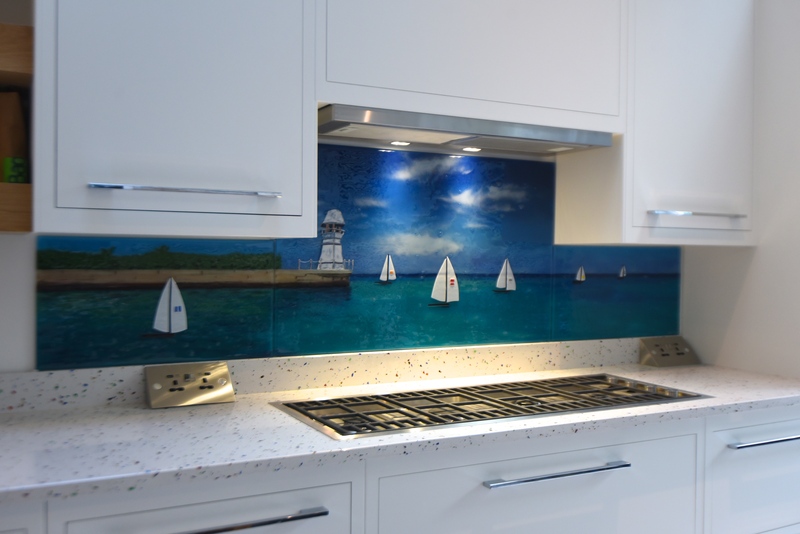 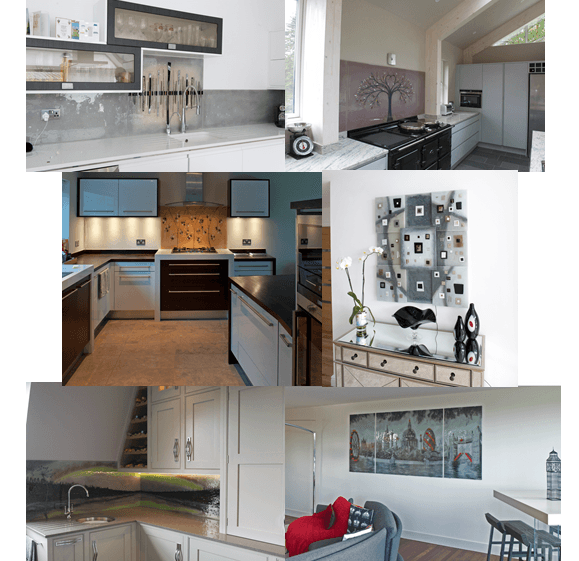 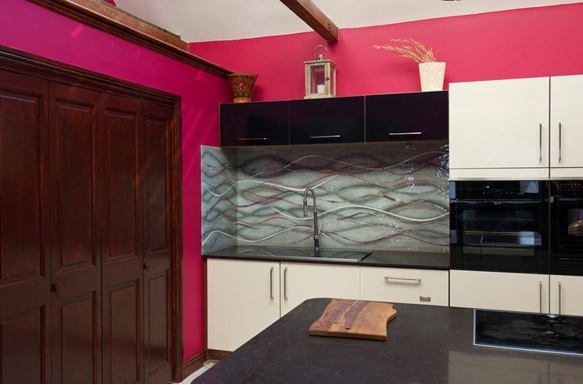 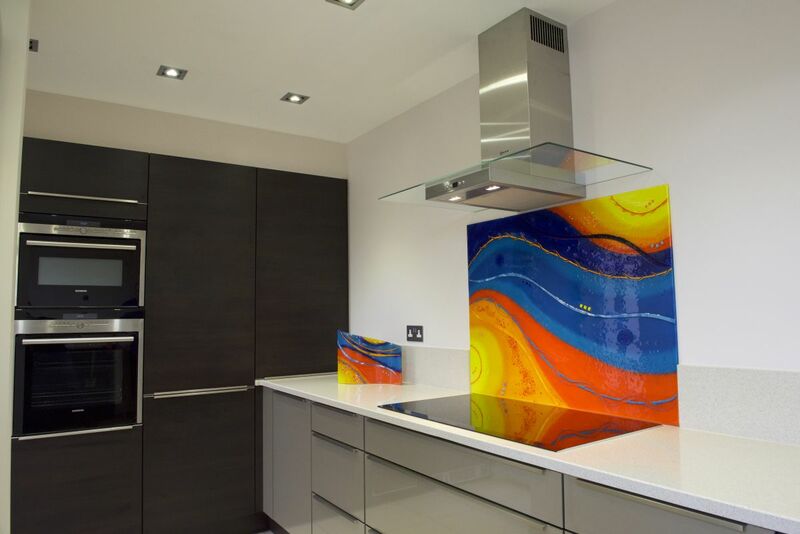 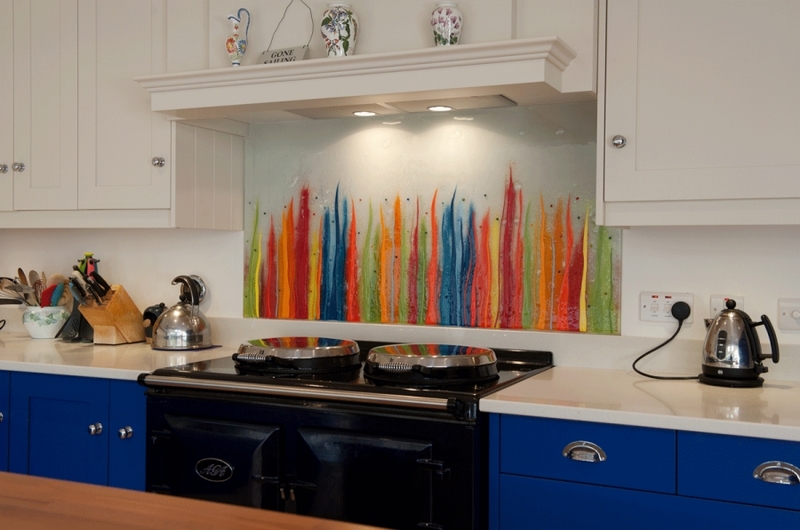 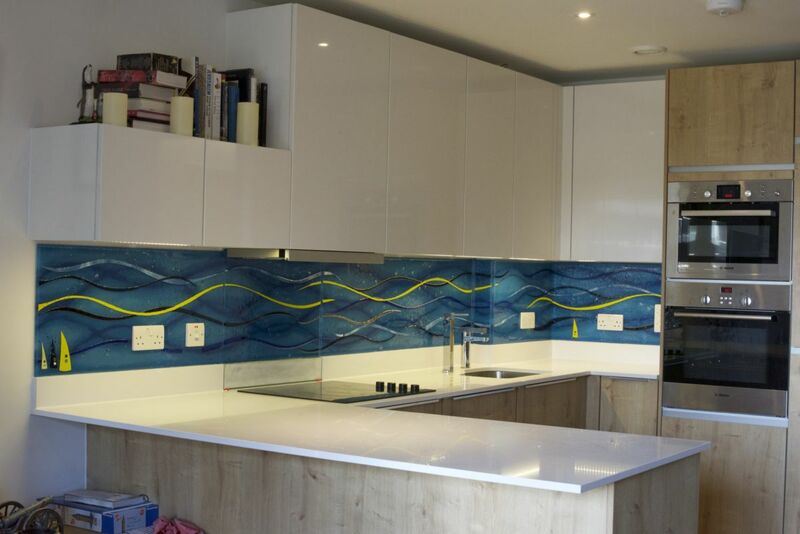 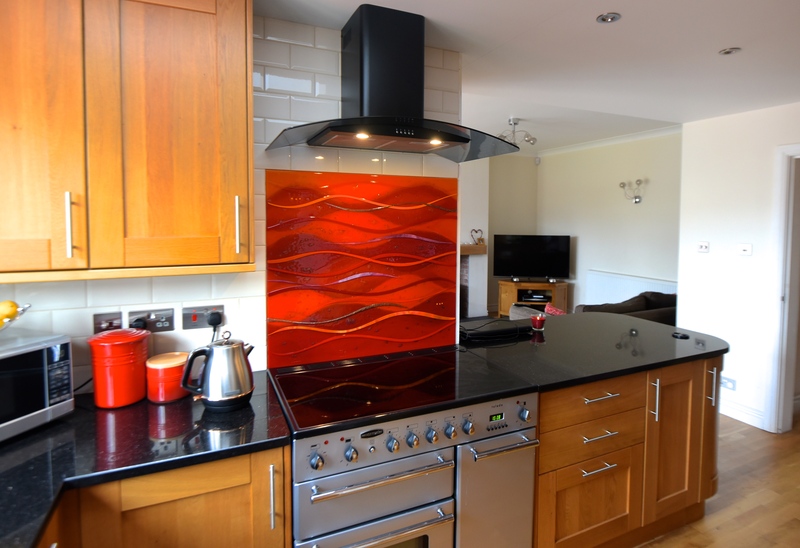 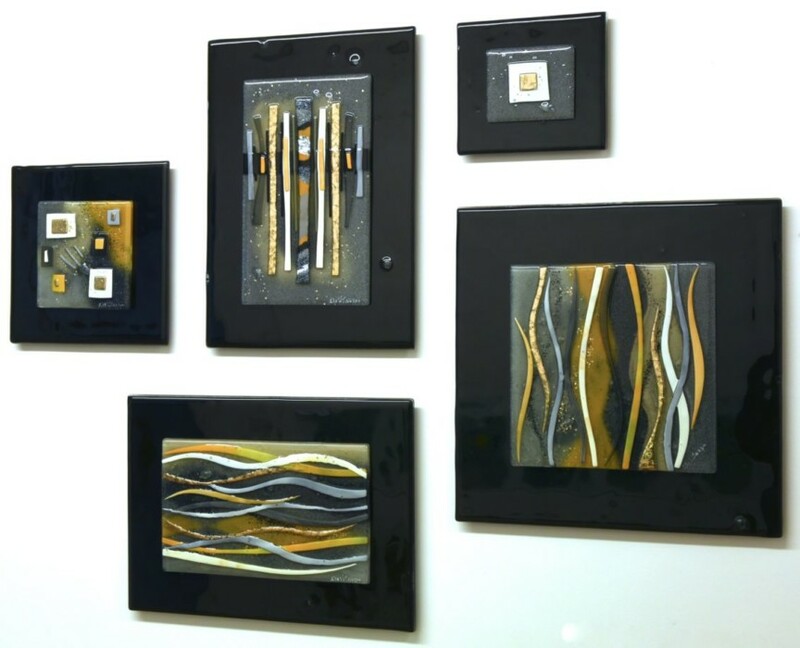 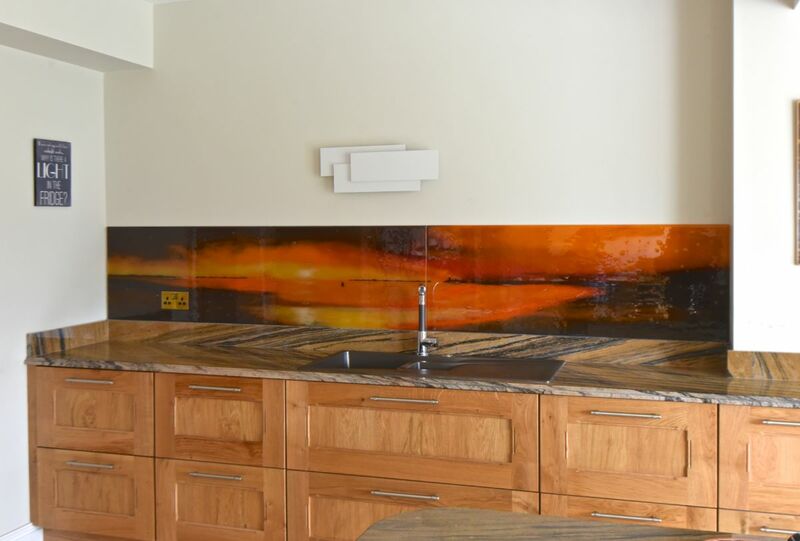 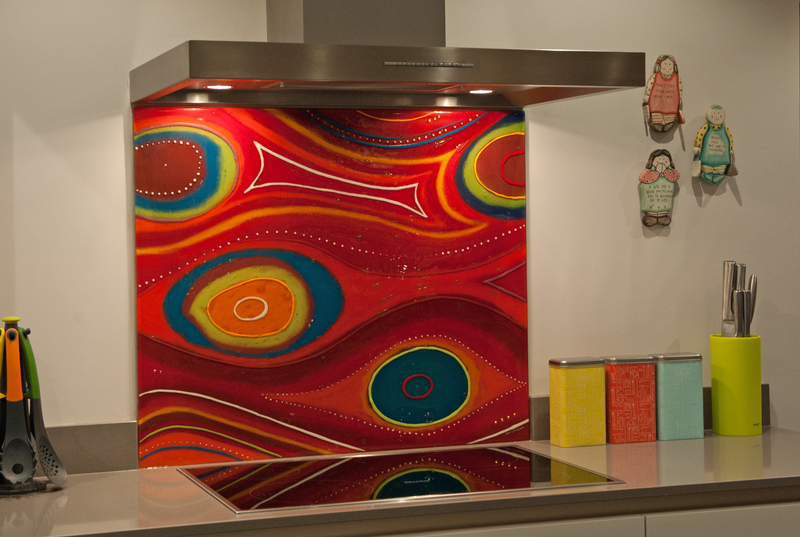 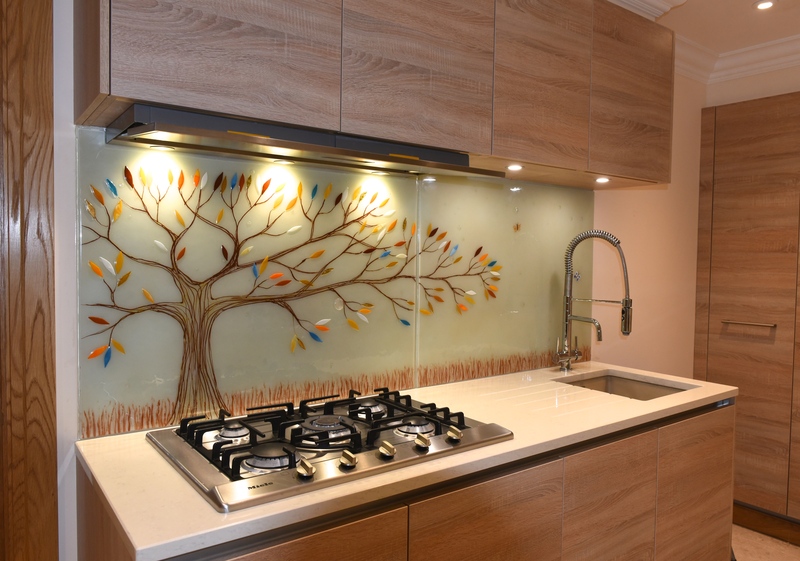 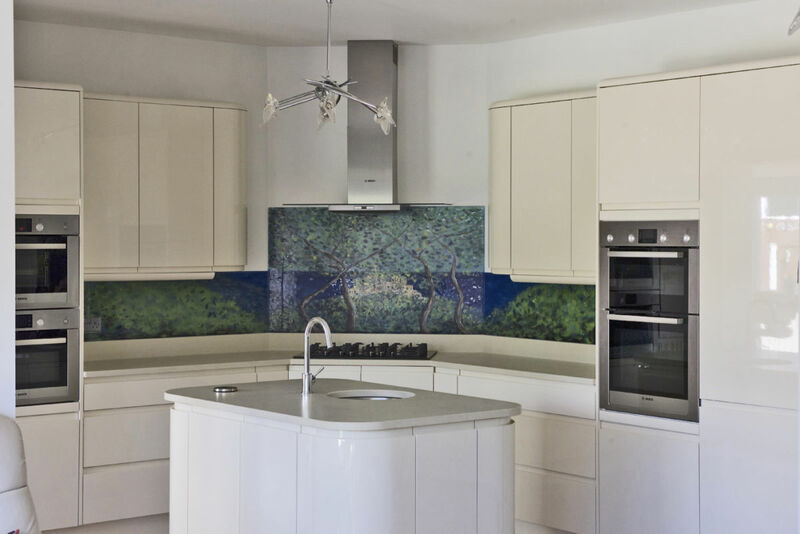 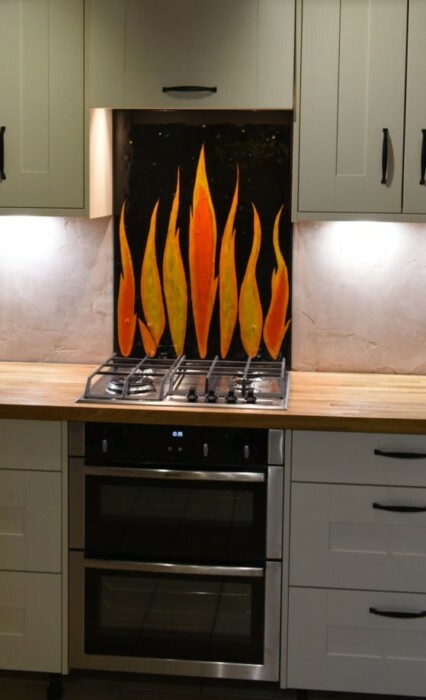 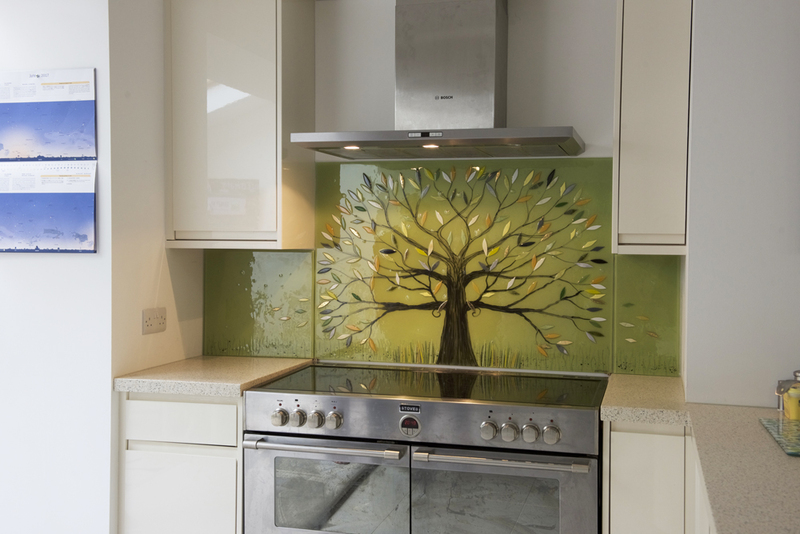 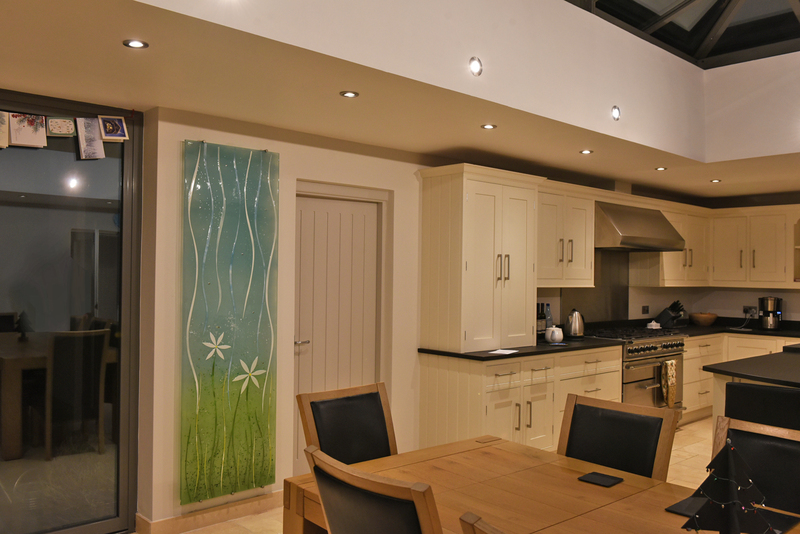 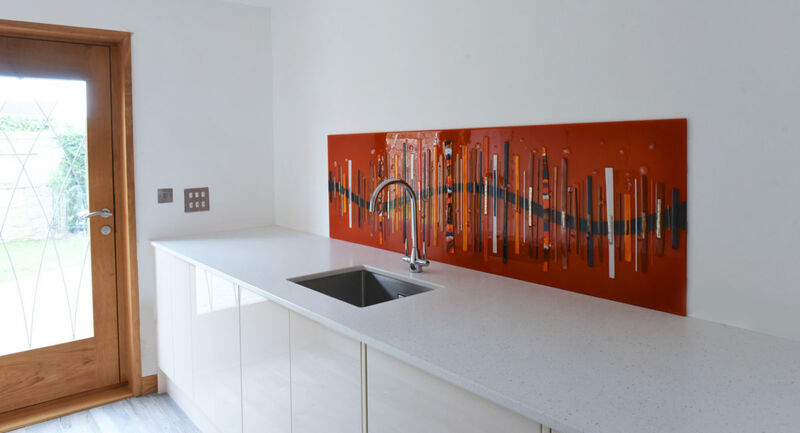 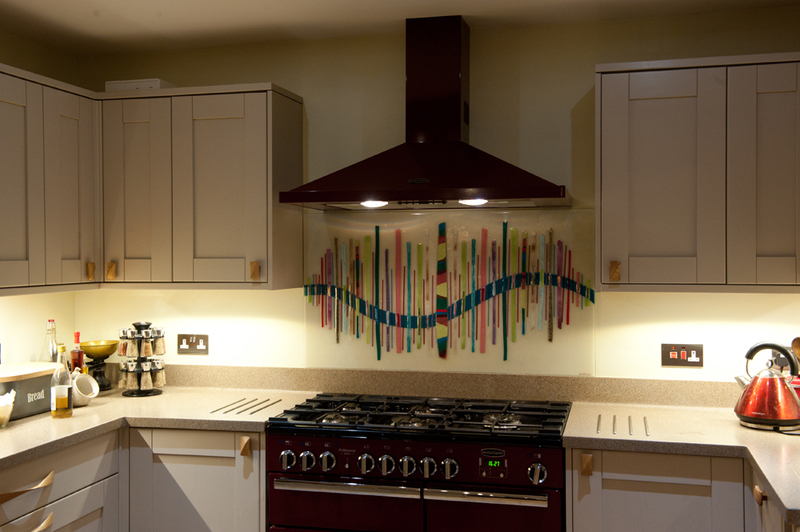 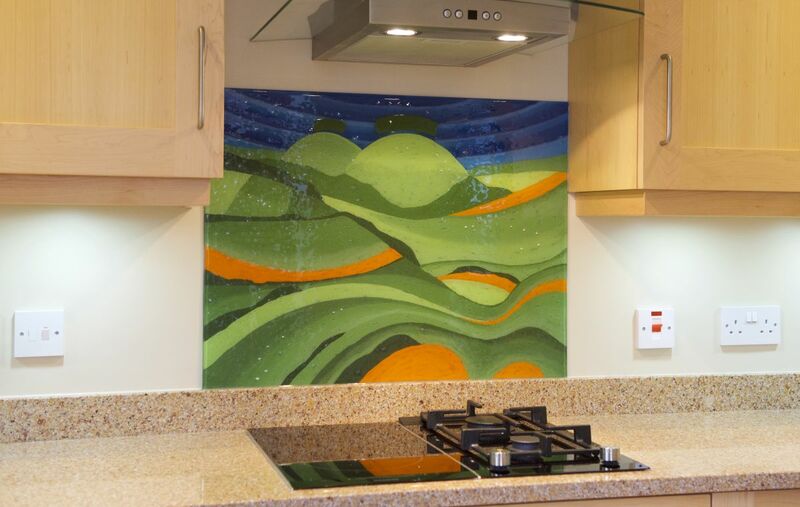 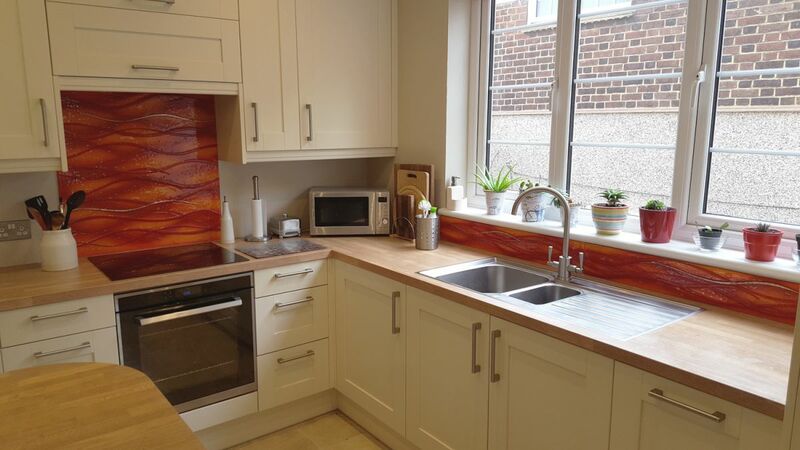 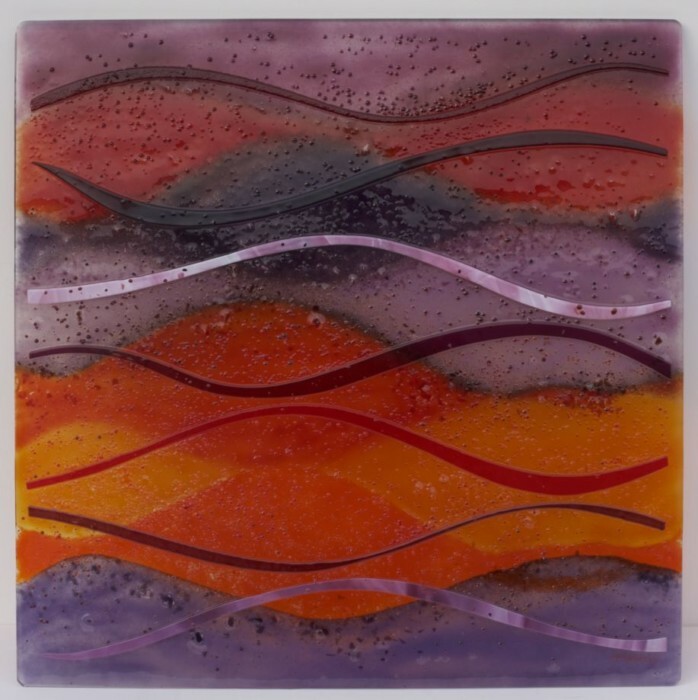 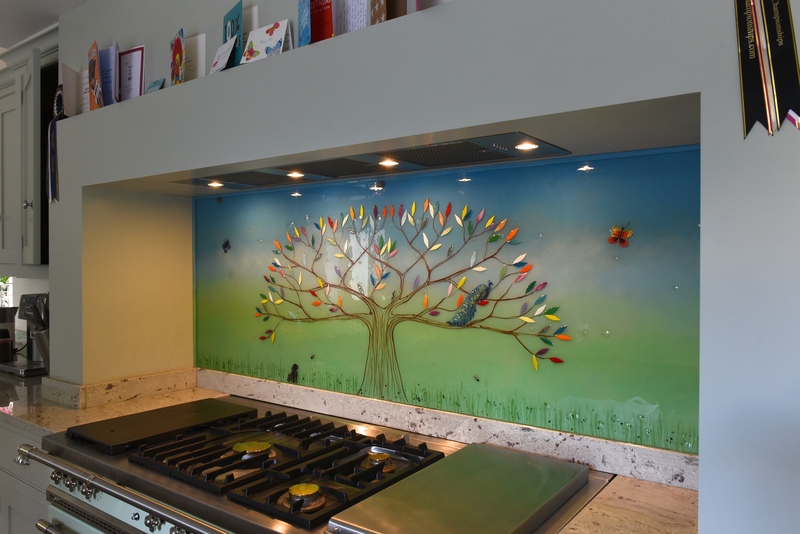 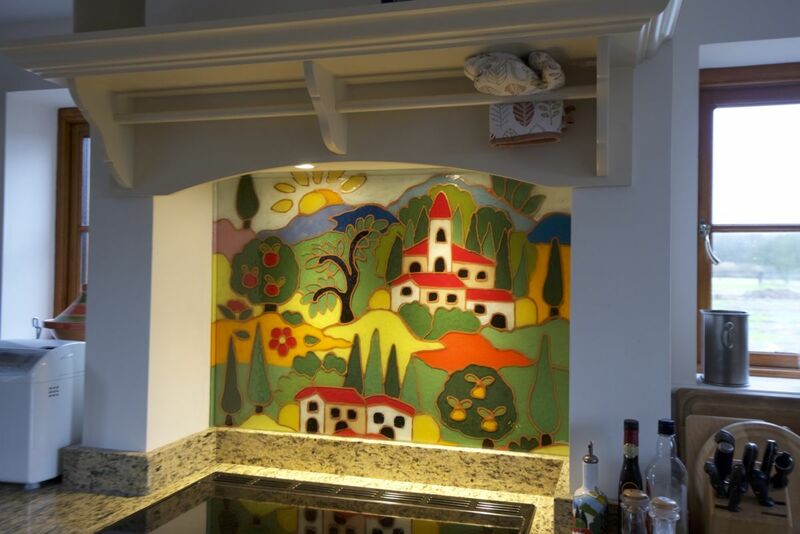 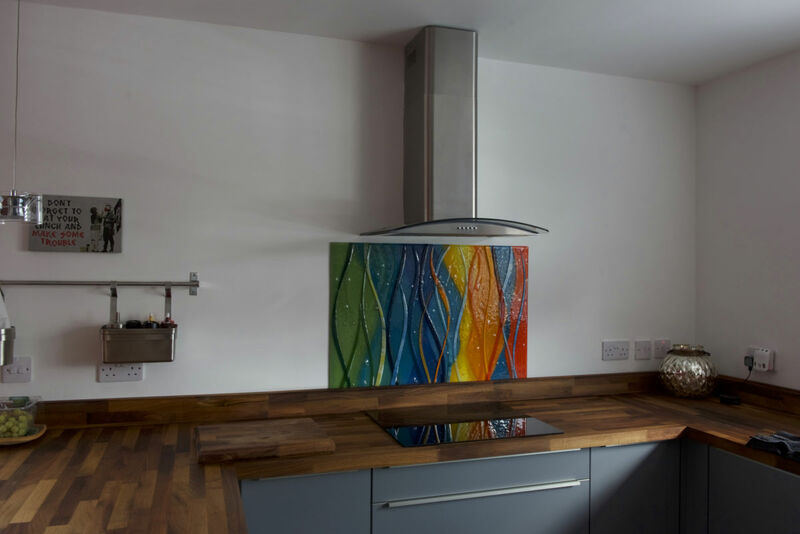 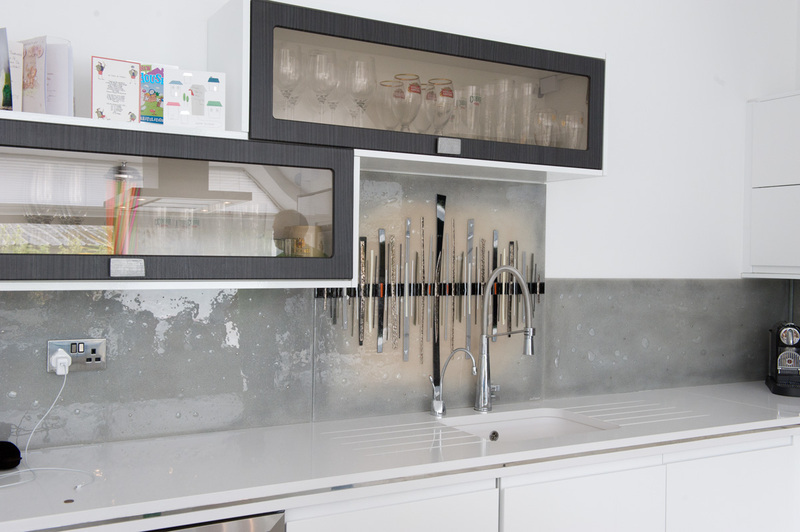 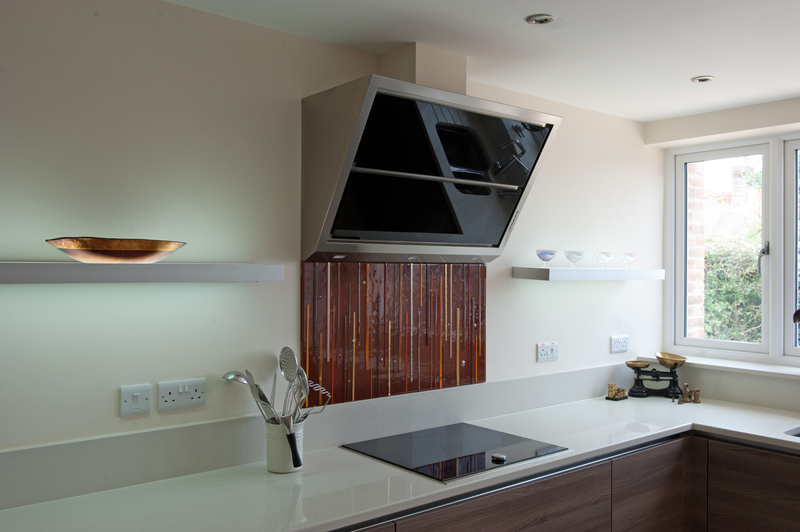 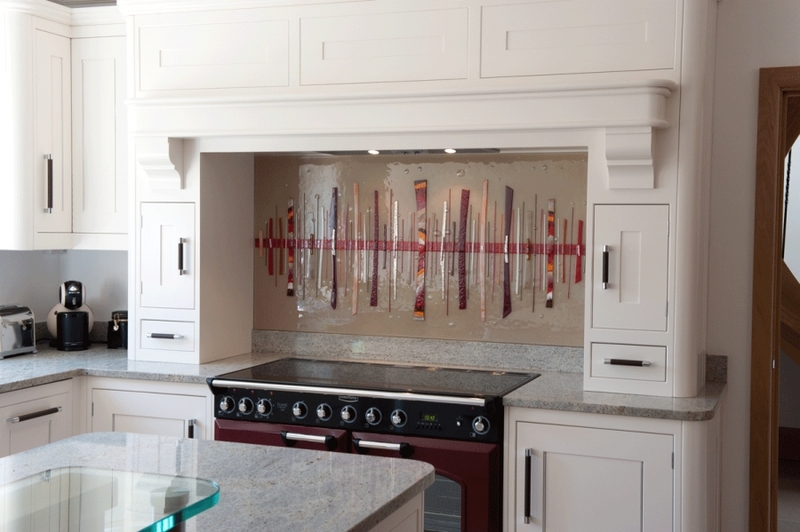 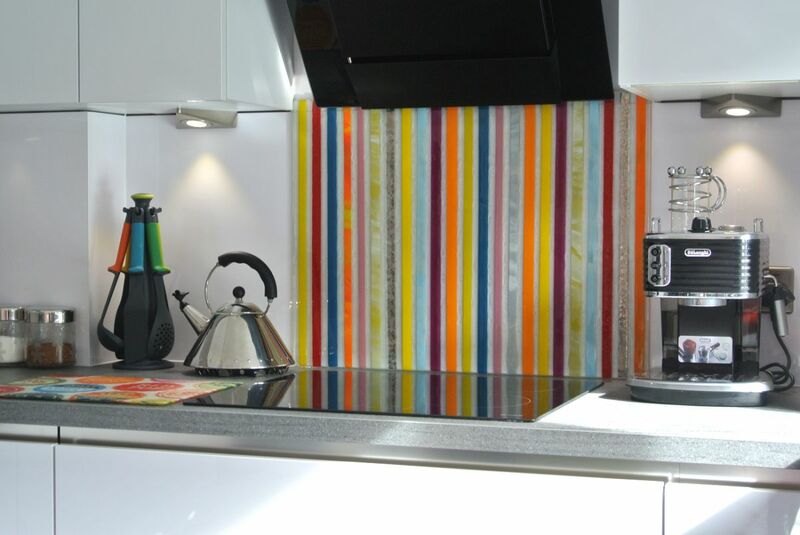 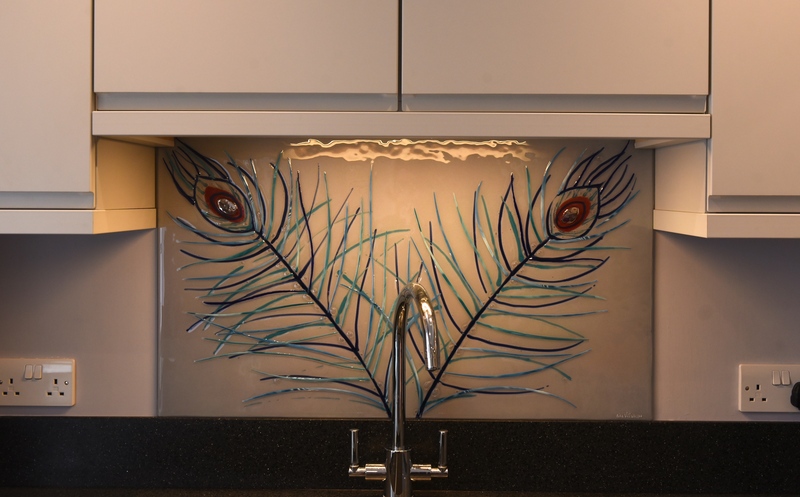 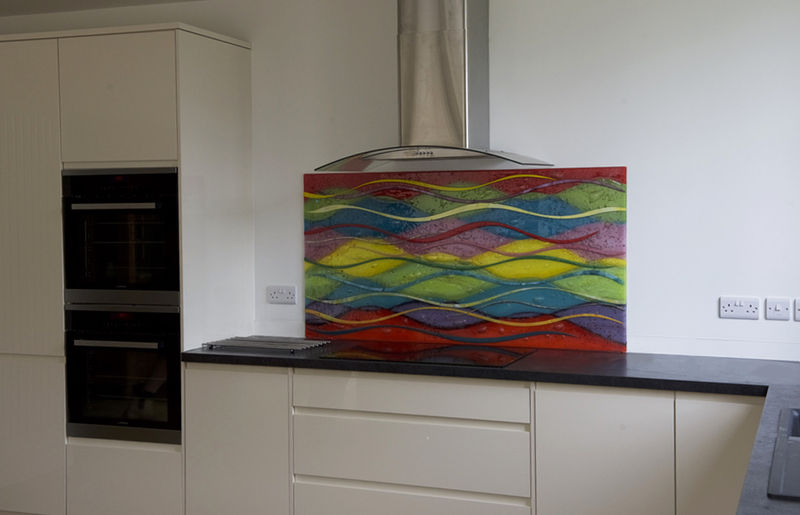 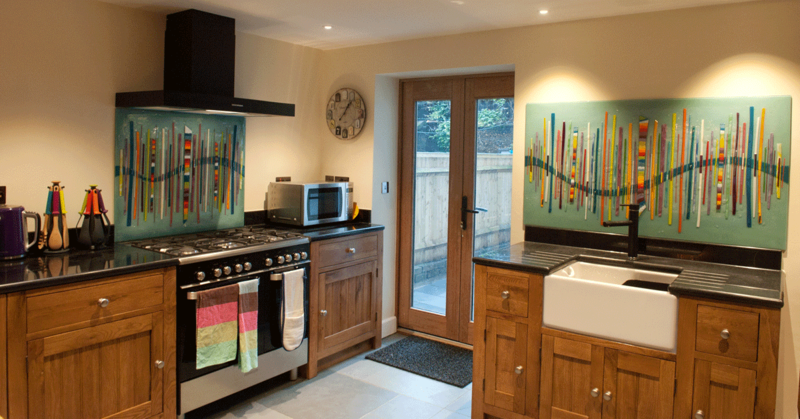 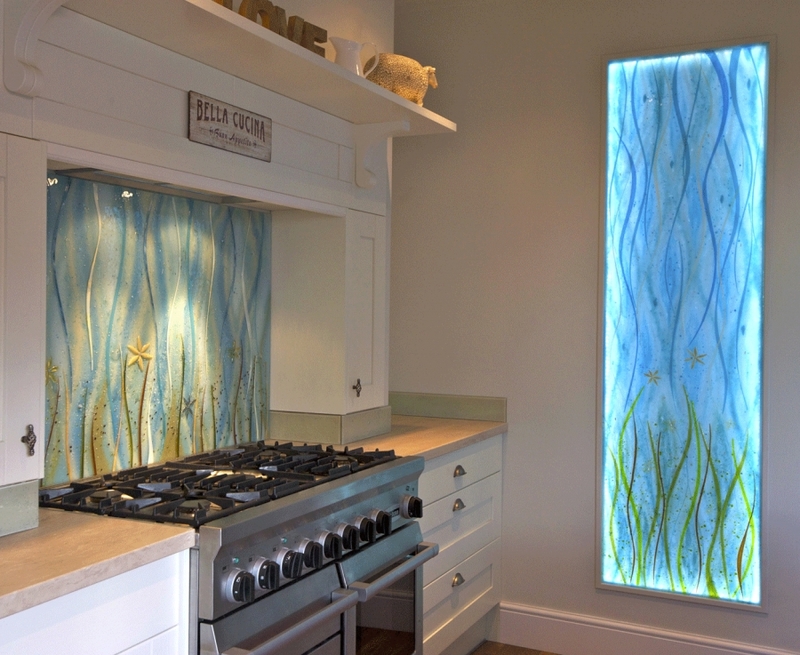 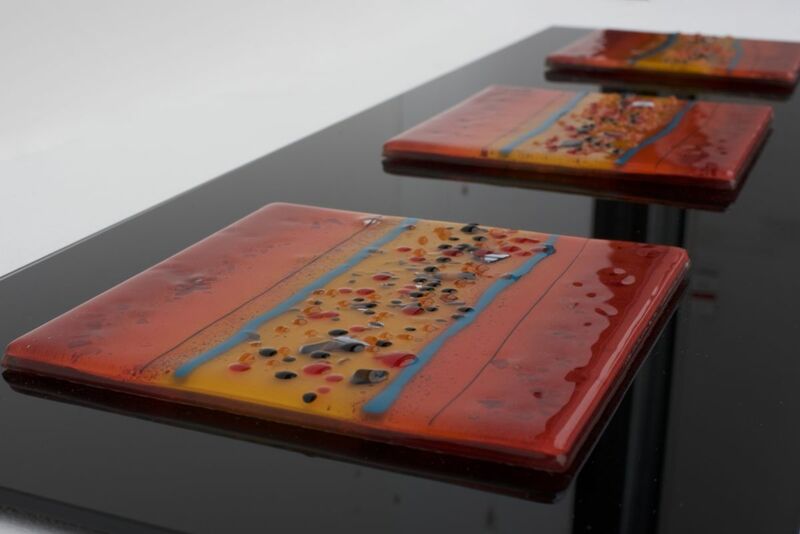 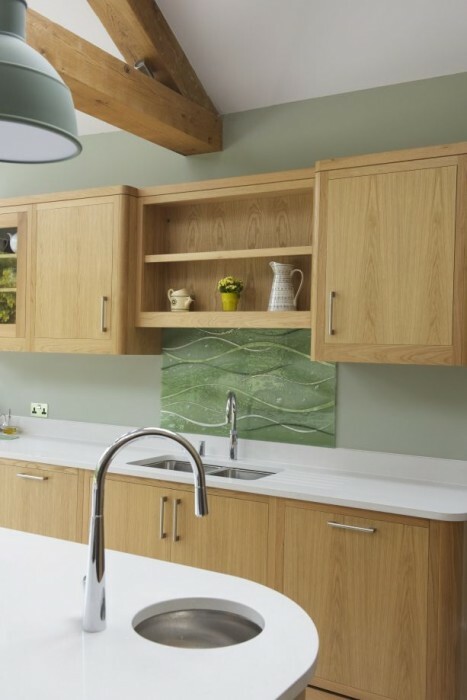 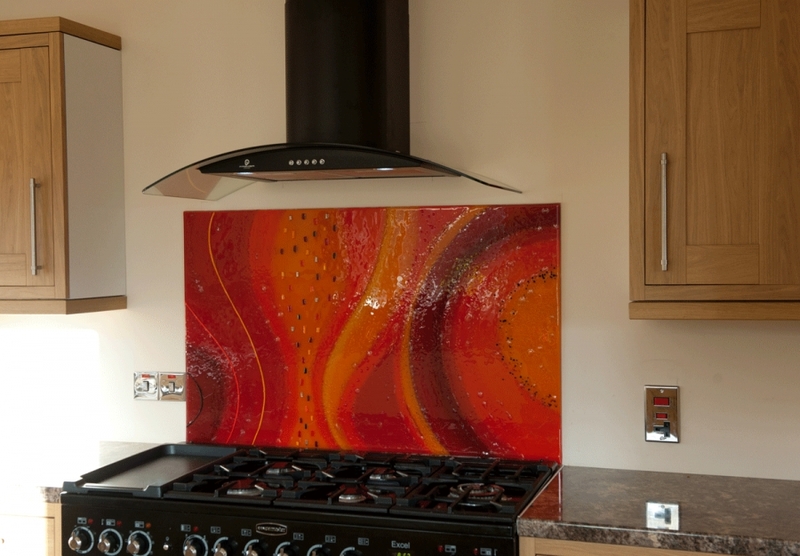 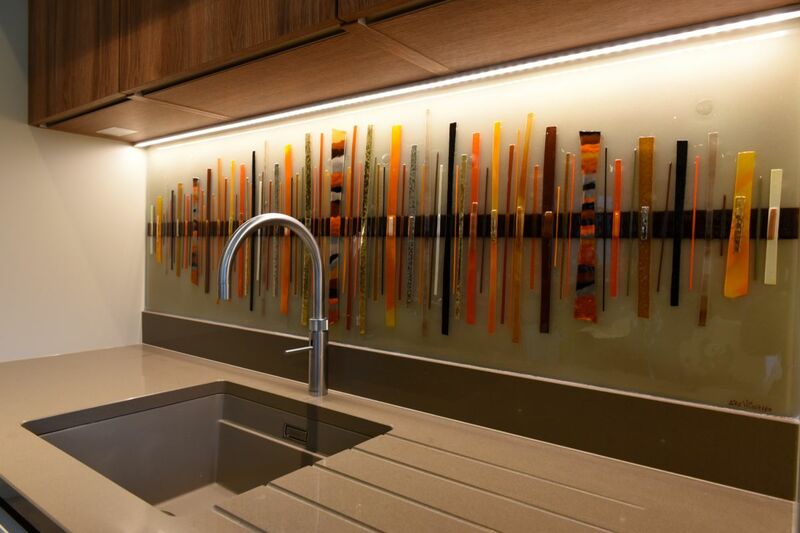 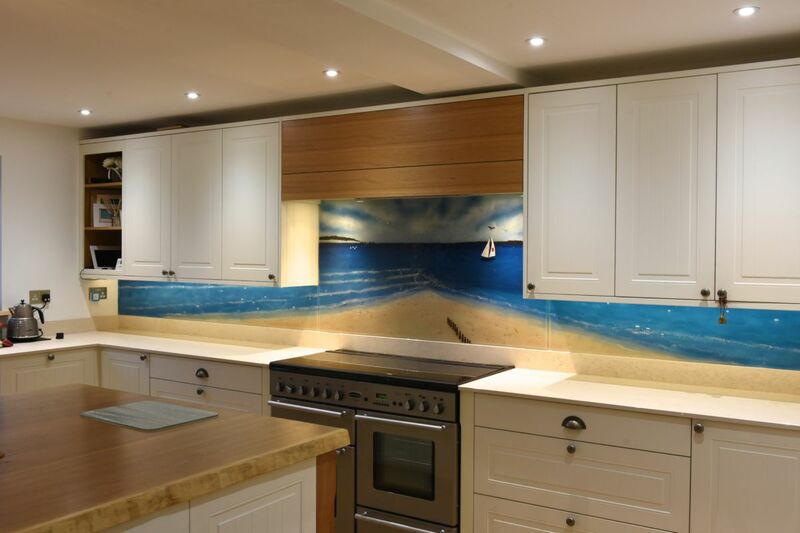 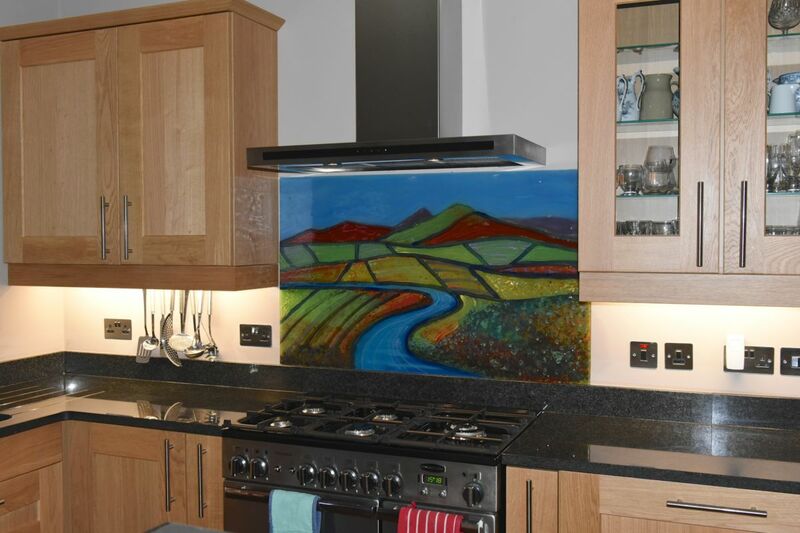 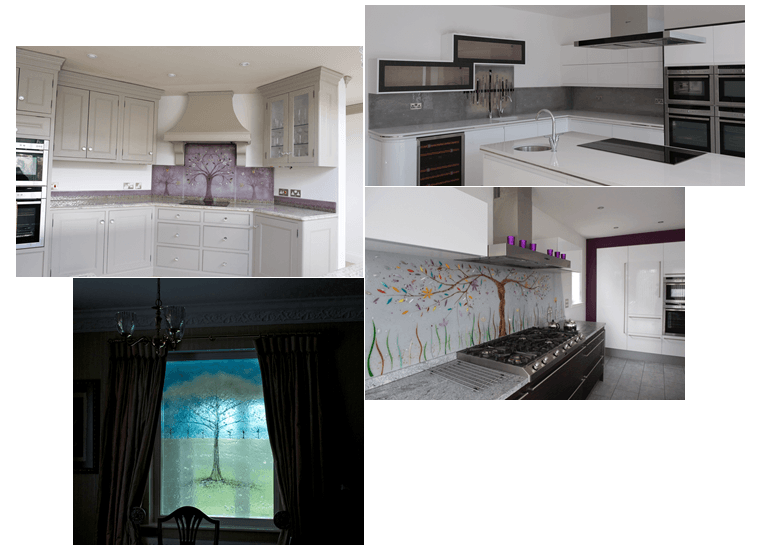 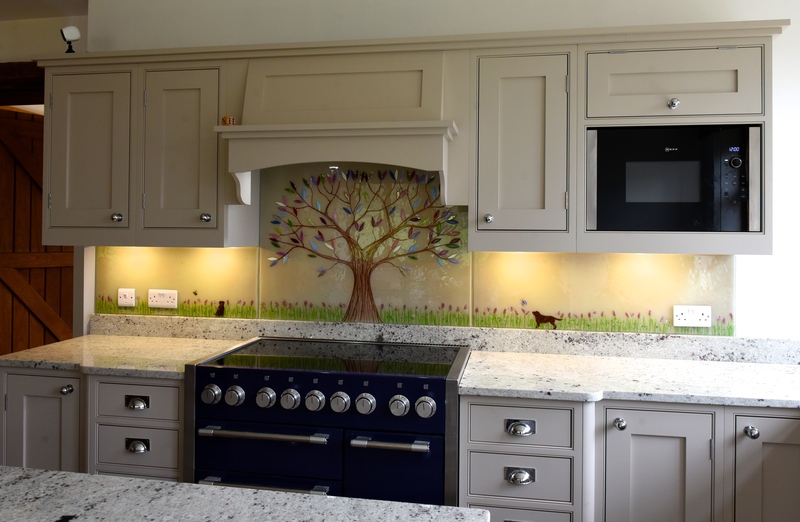 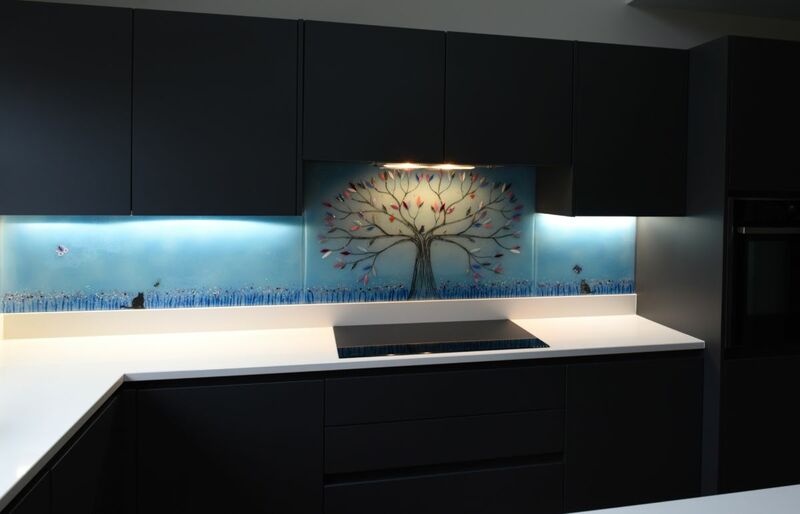 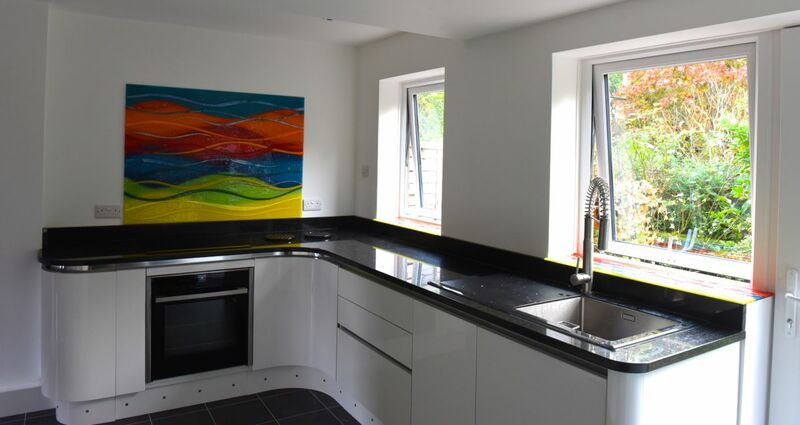 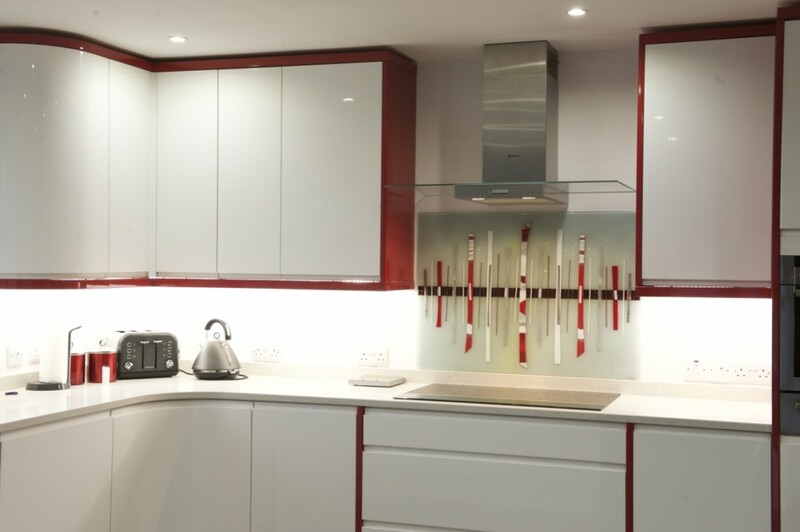 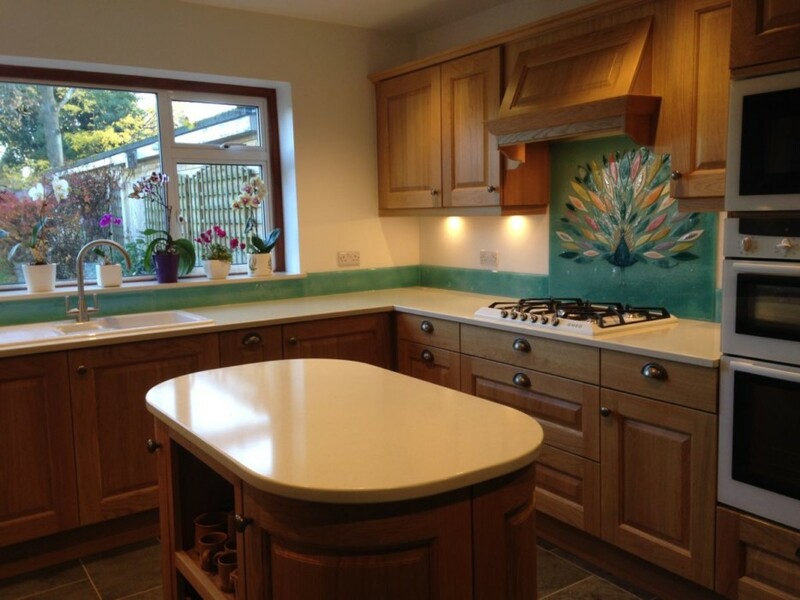 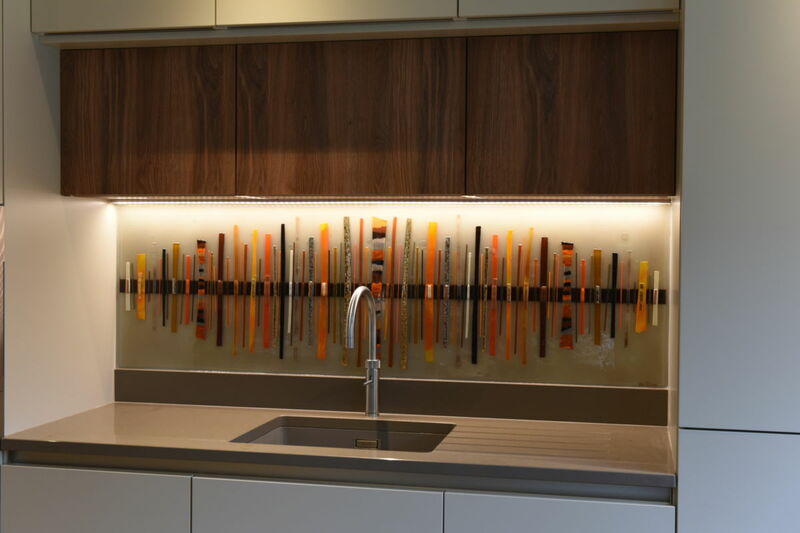 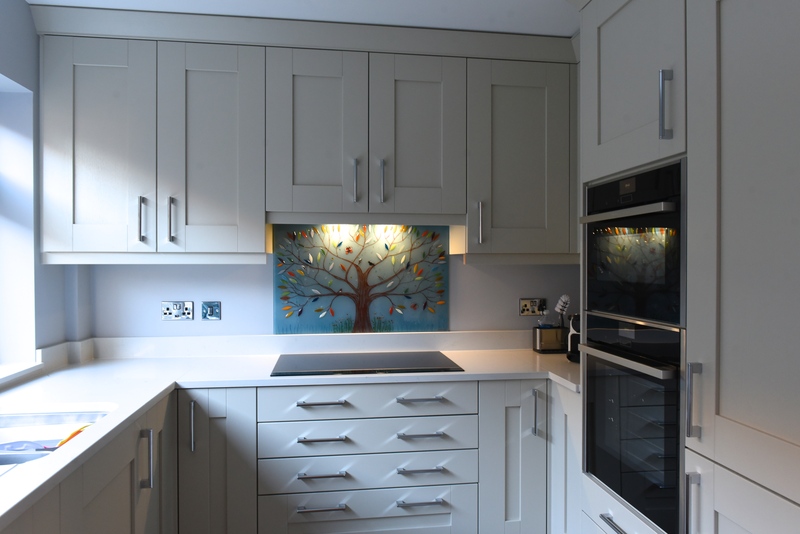 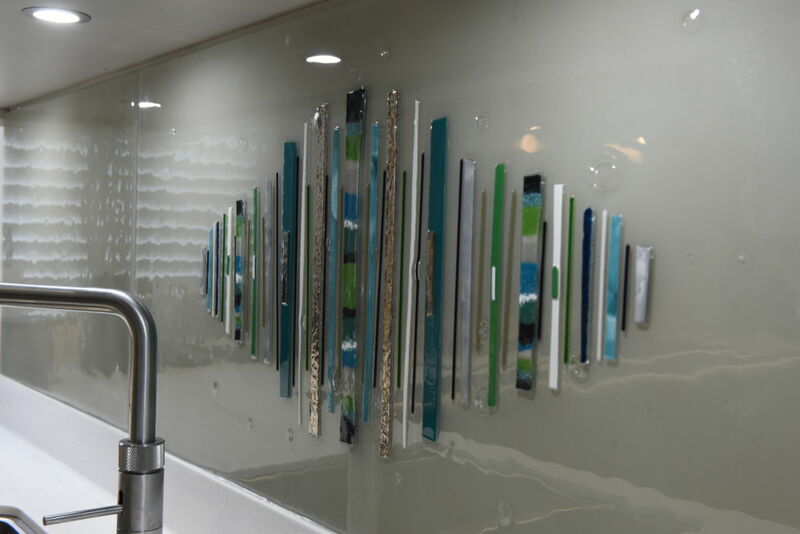 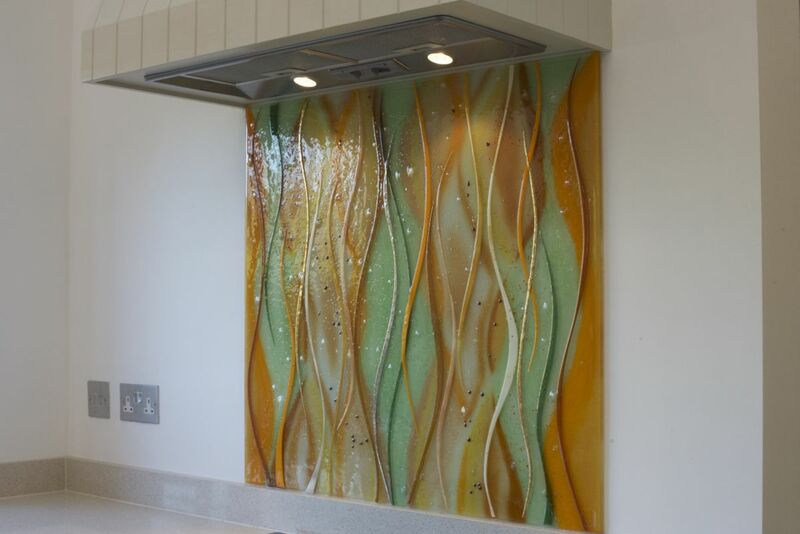 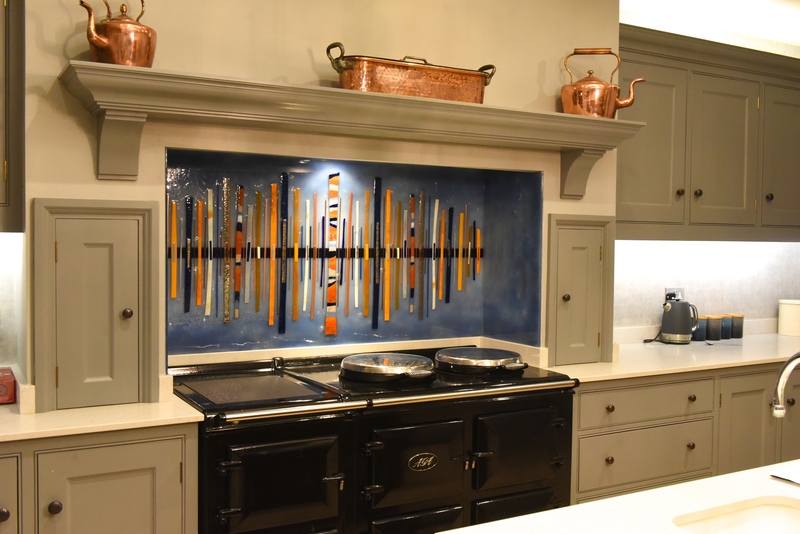 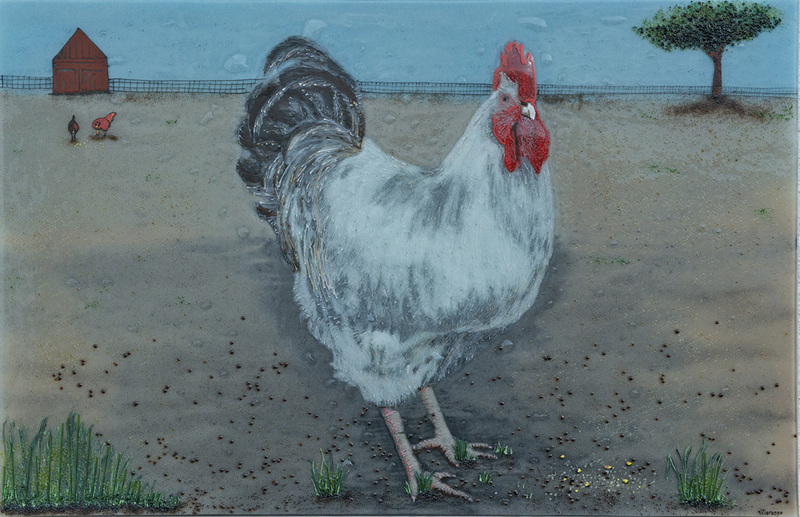 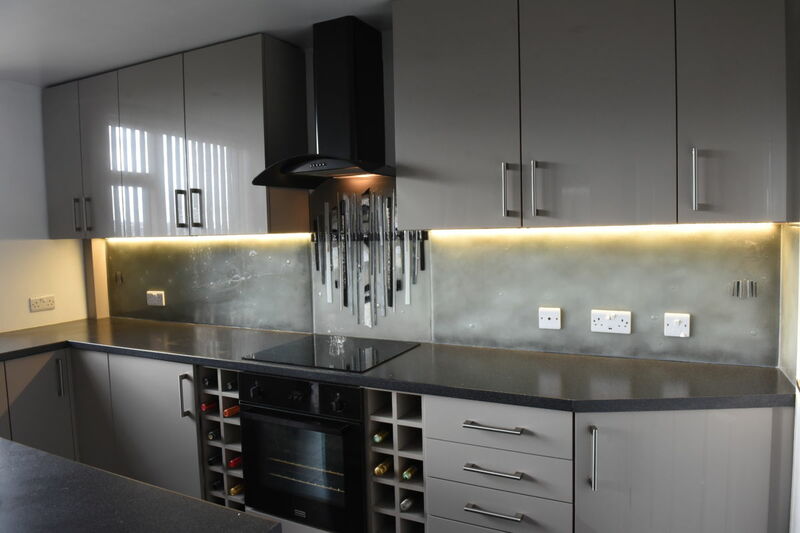 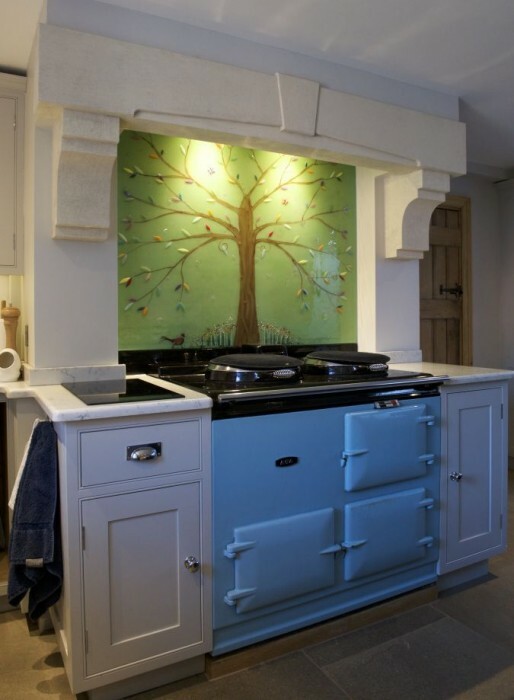 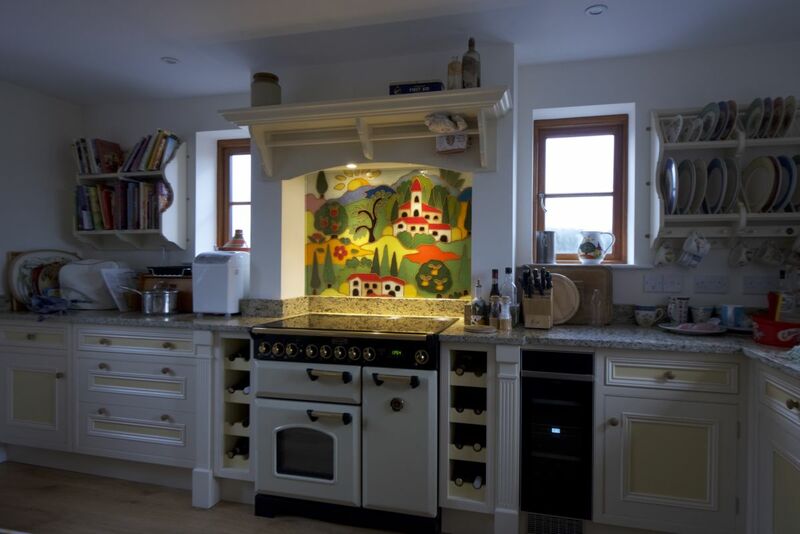 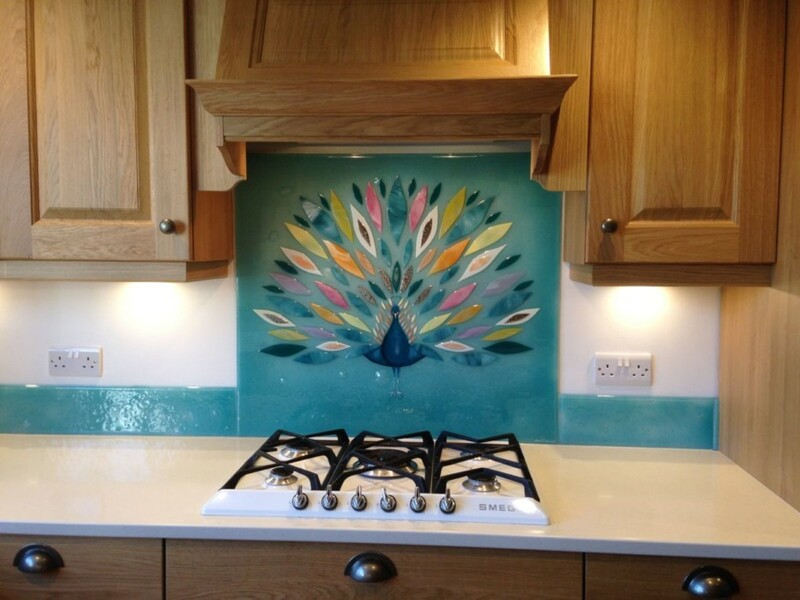 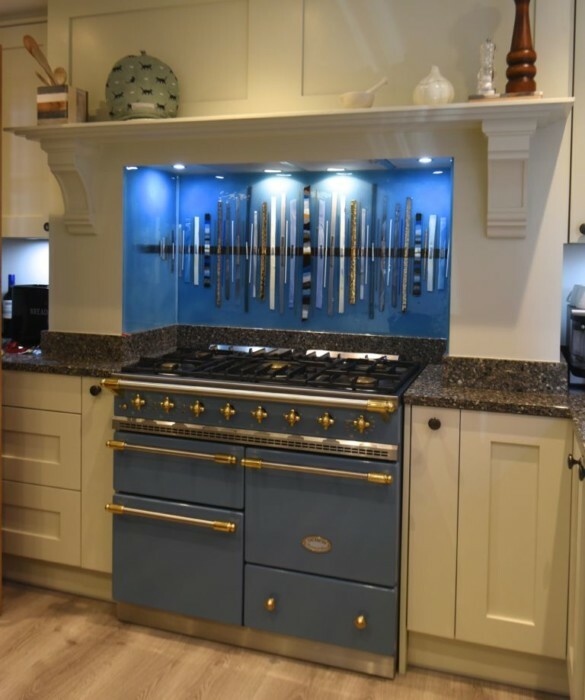 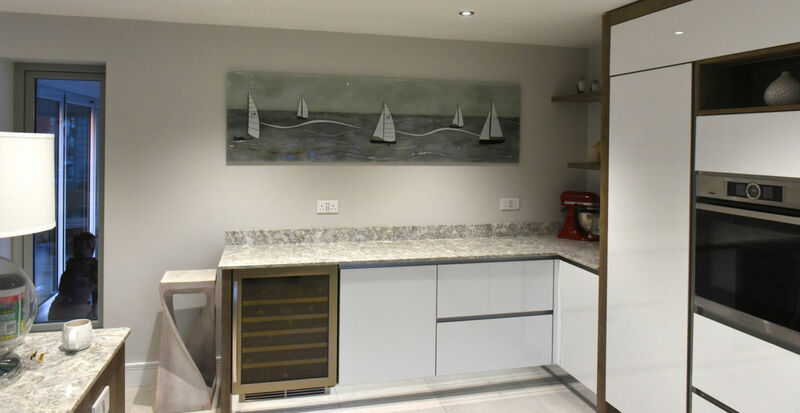 You only need to take a look at our range of fused glass art kitchen splashbacks to know what we’re talking about, and how they shape up compared to traditional coloured splashbacks. 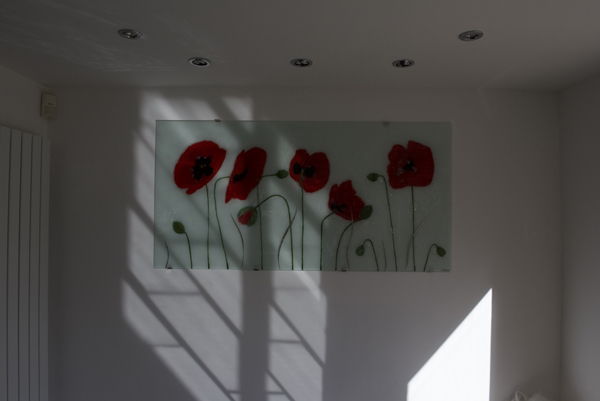 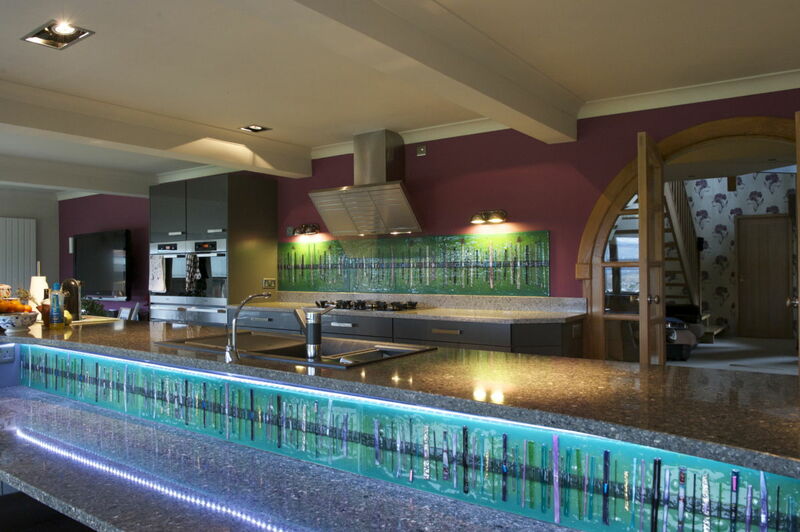 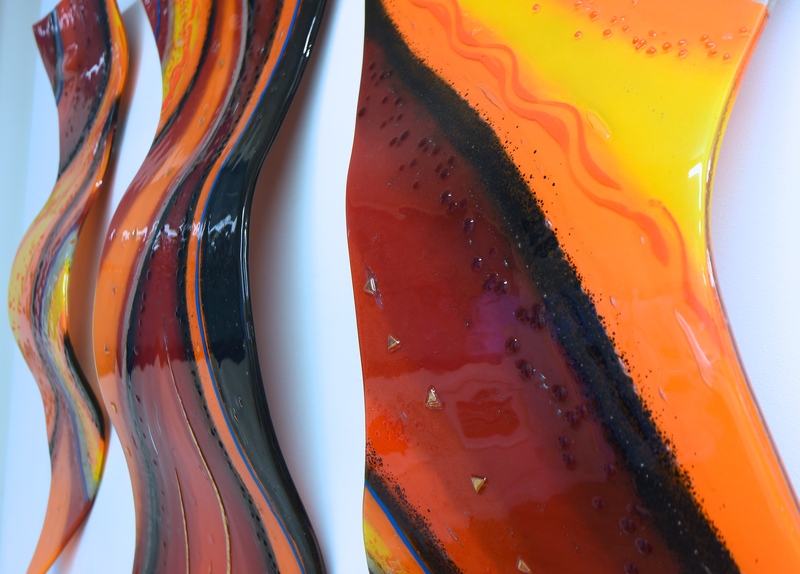 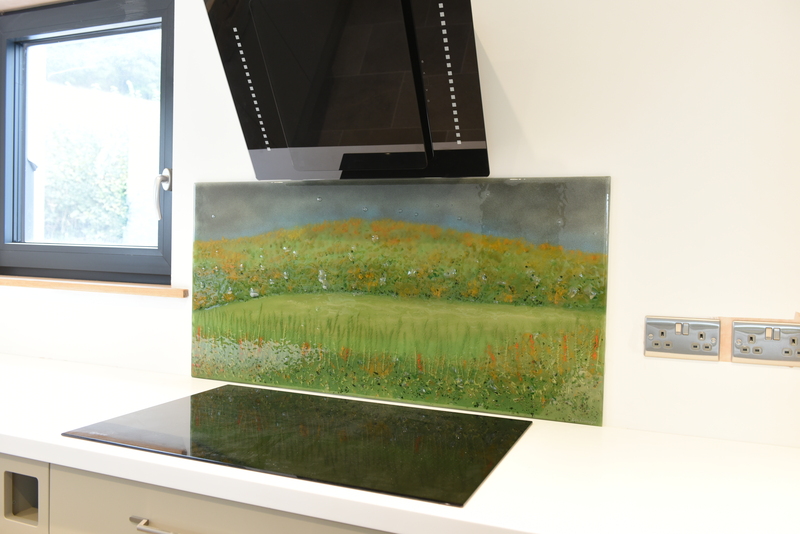 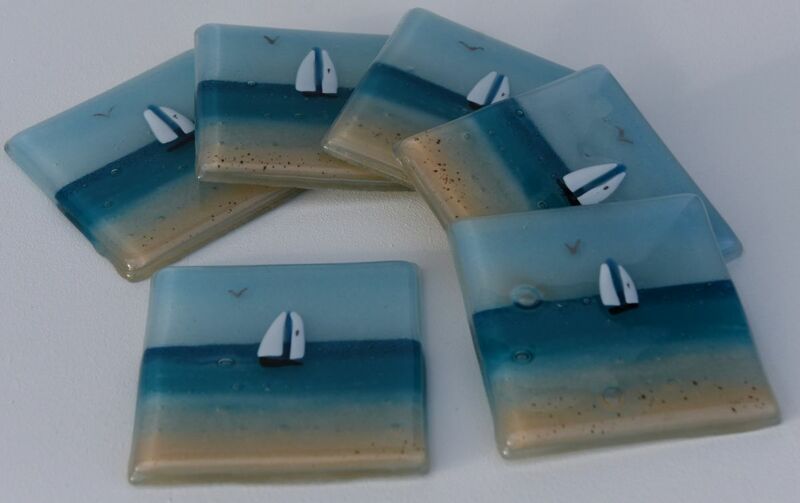 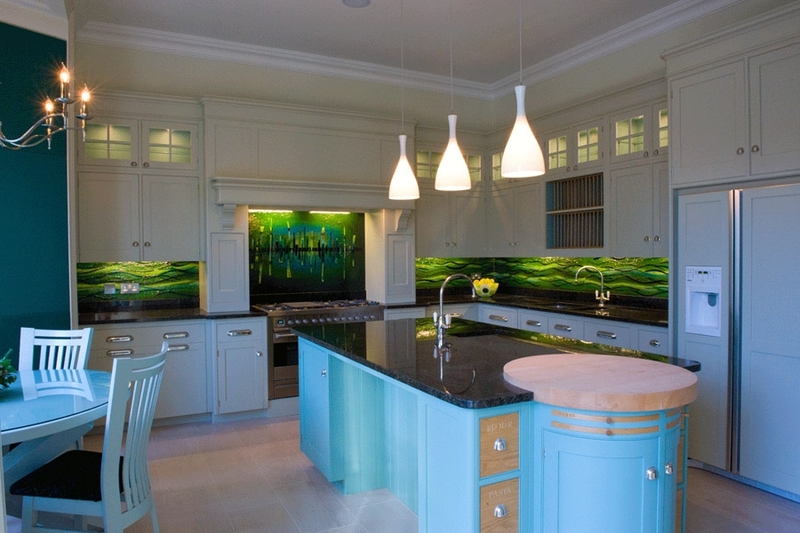 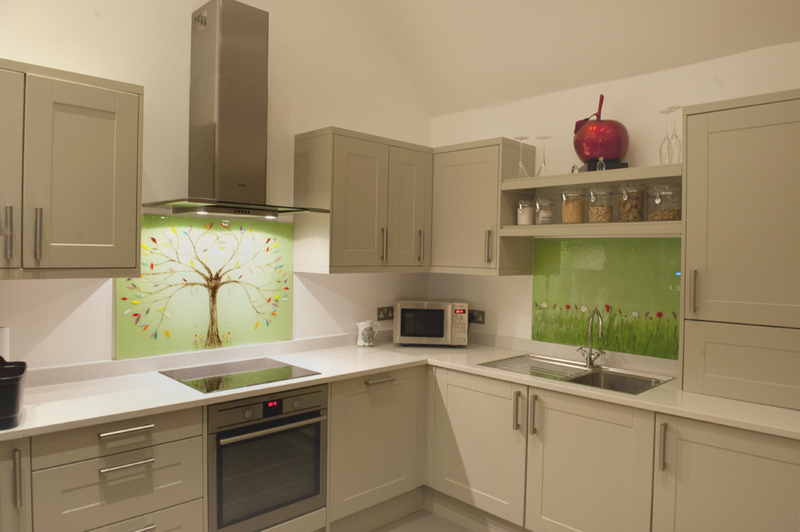 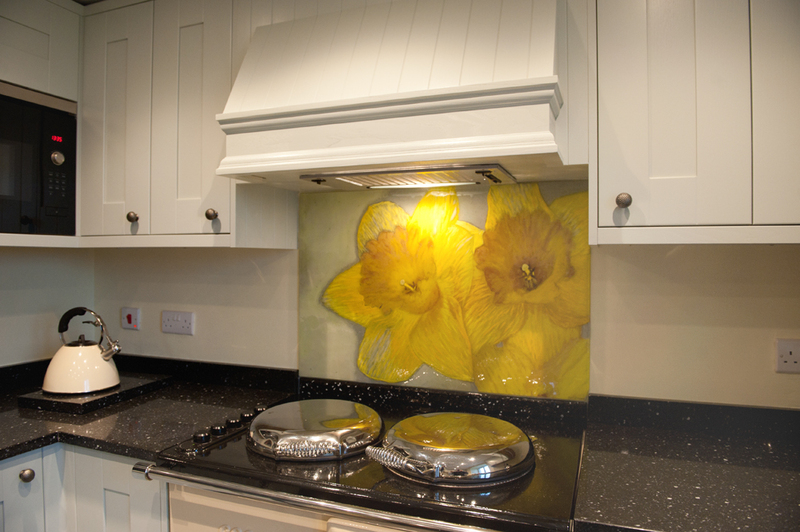 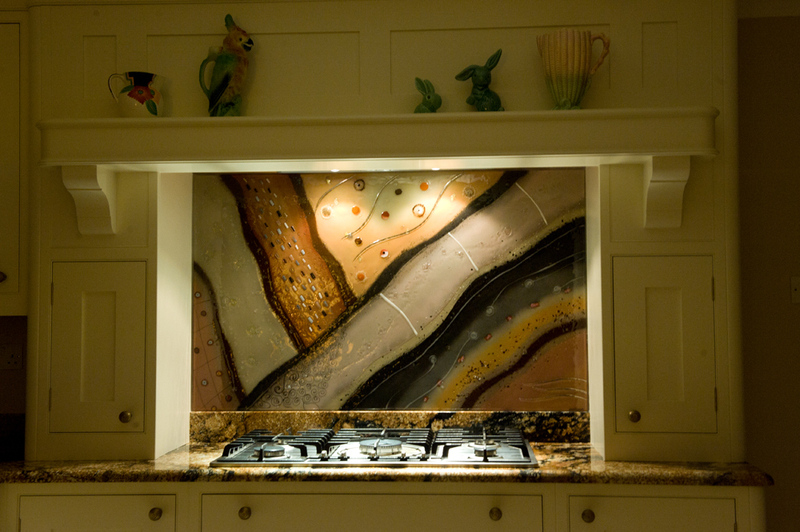 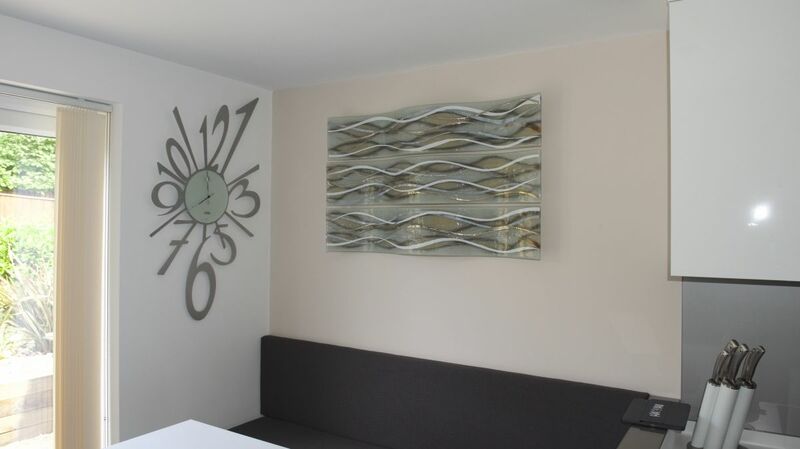 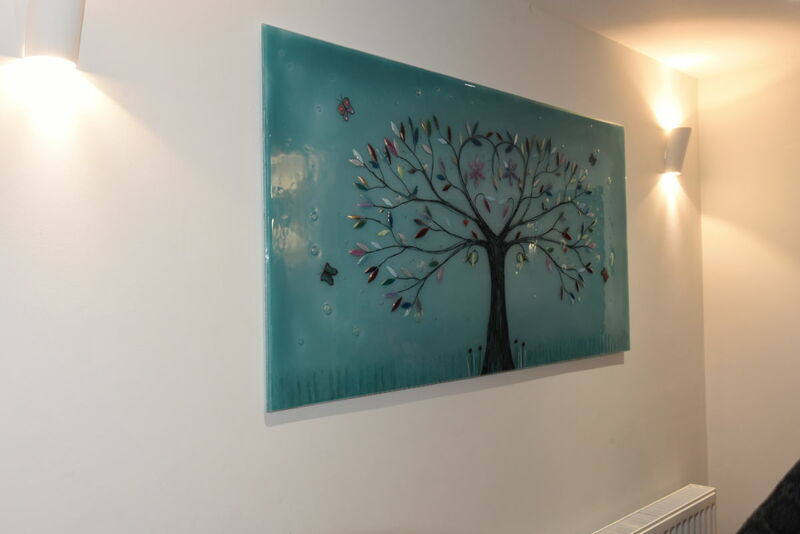 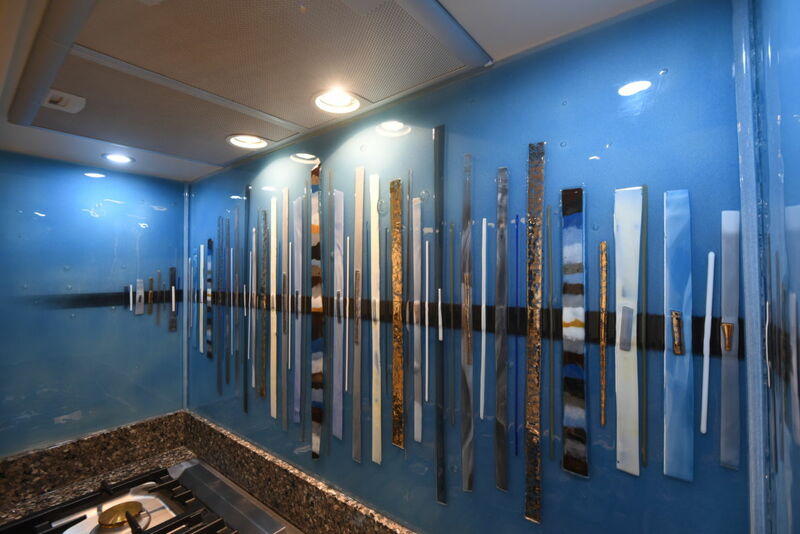 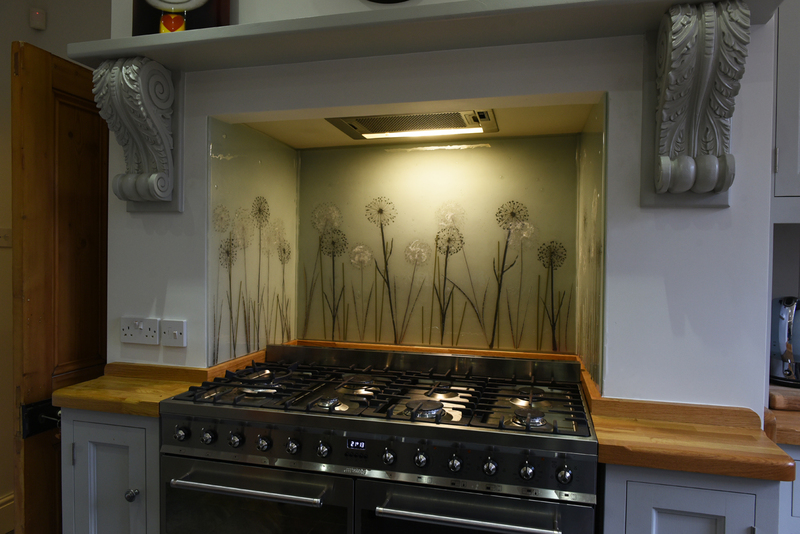 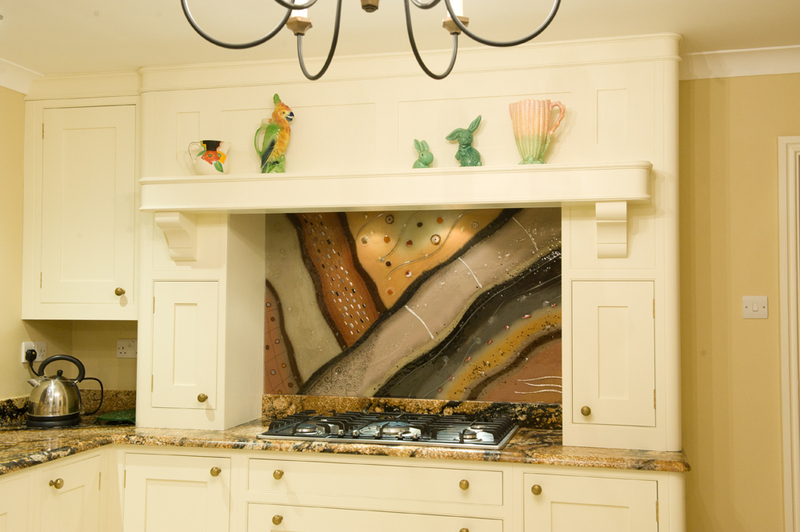 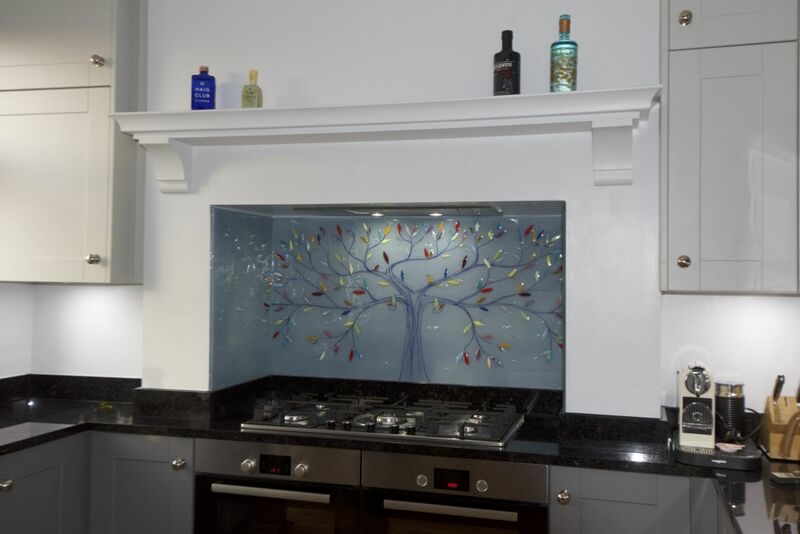 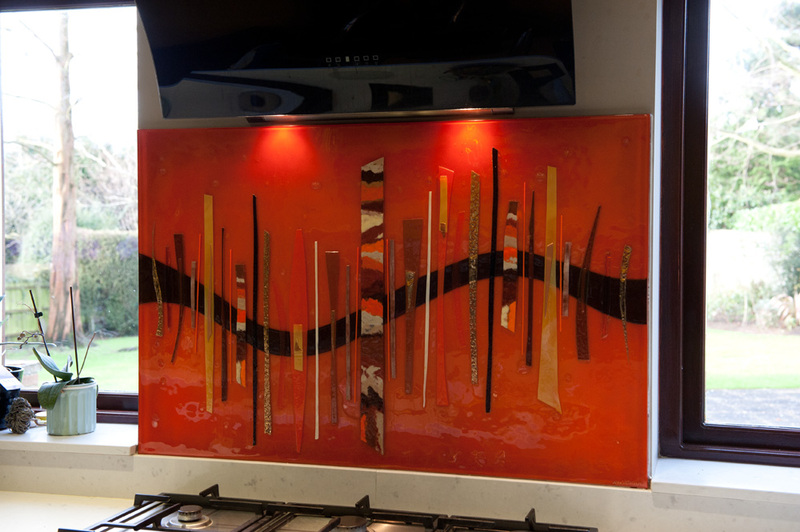 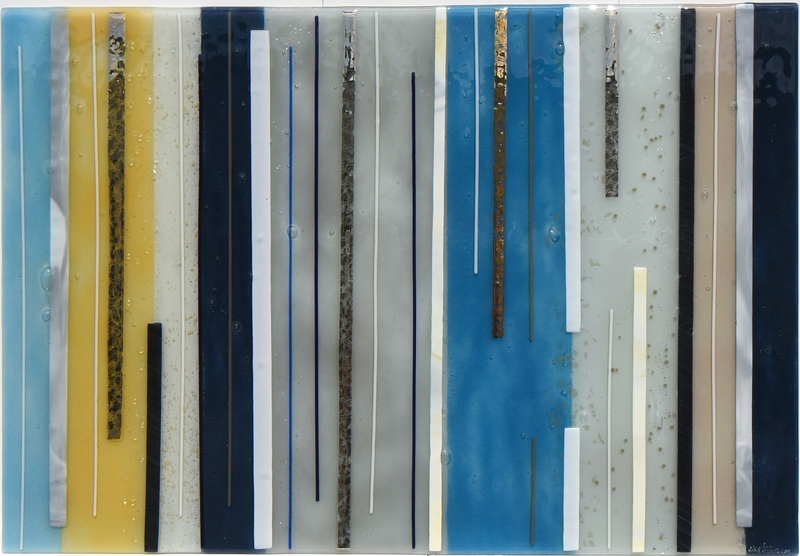 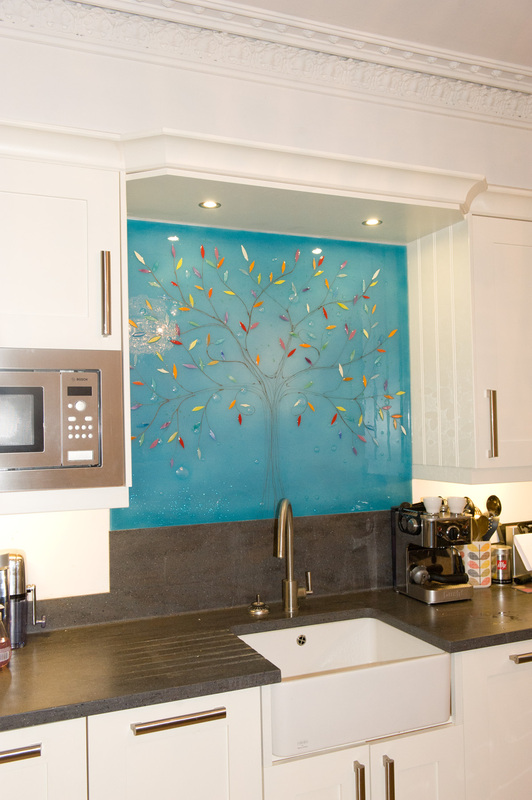 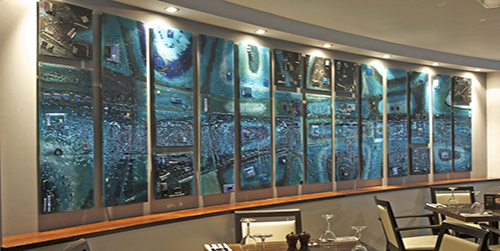 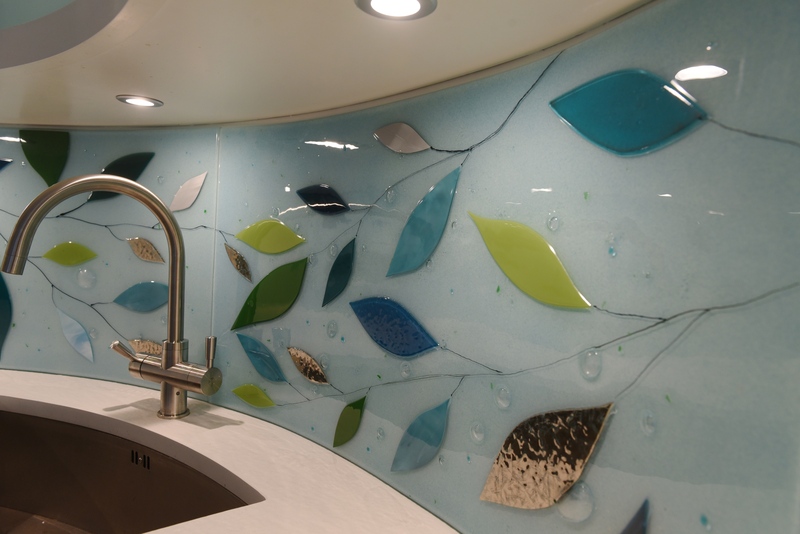 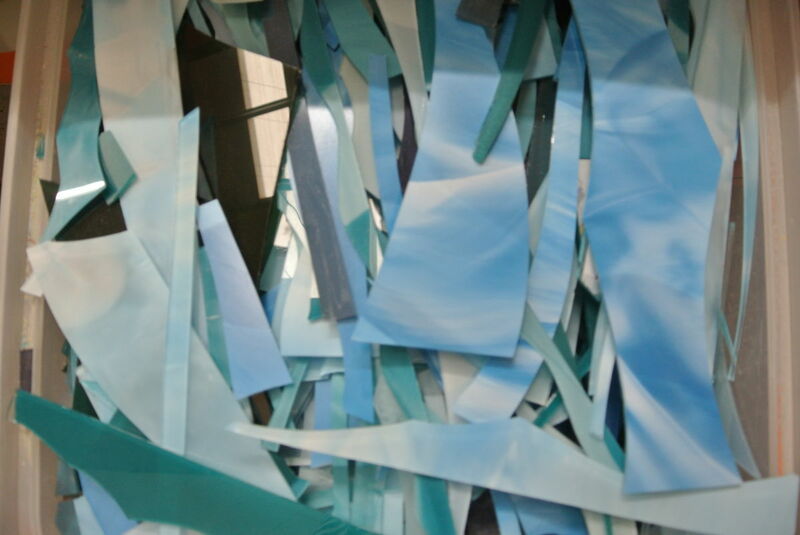 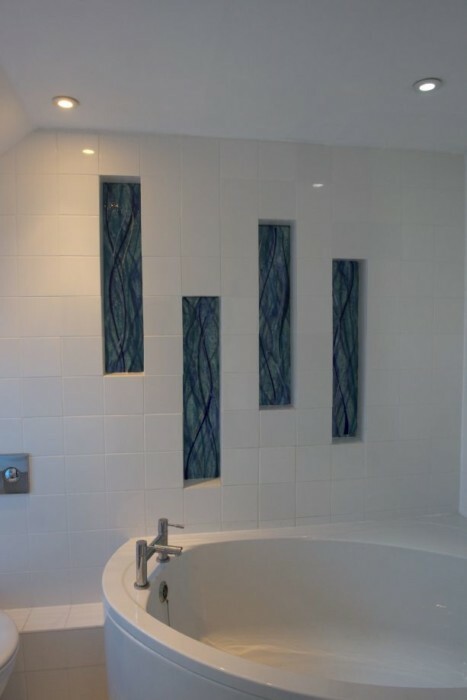 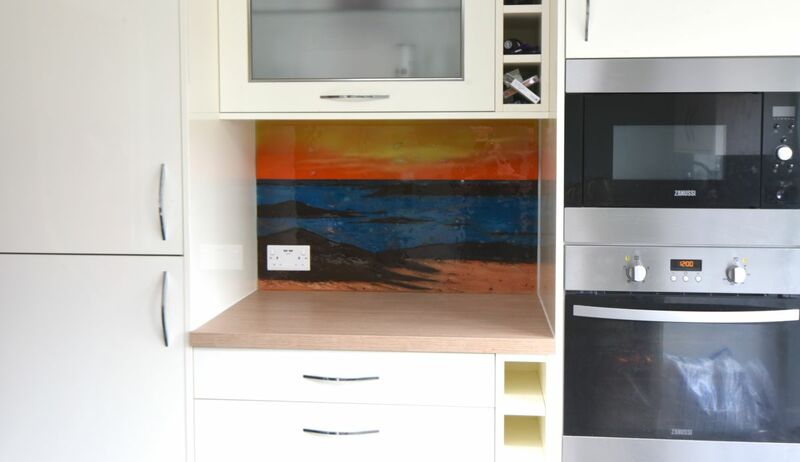 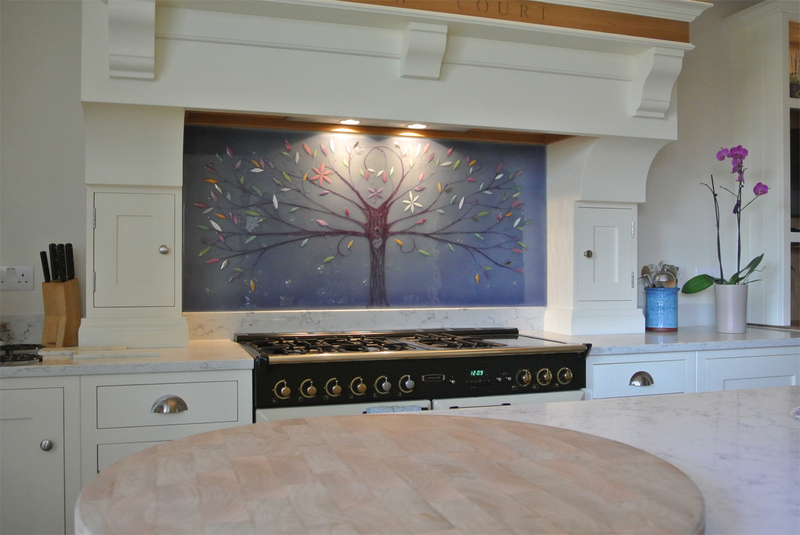 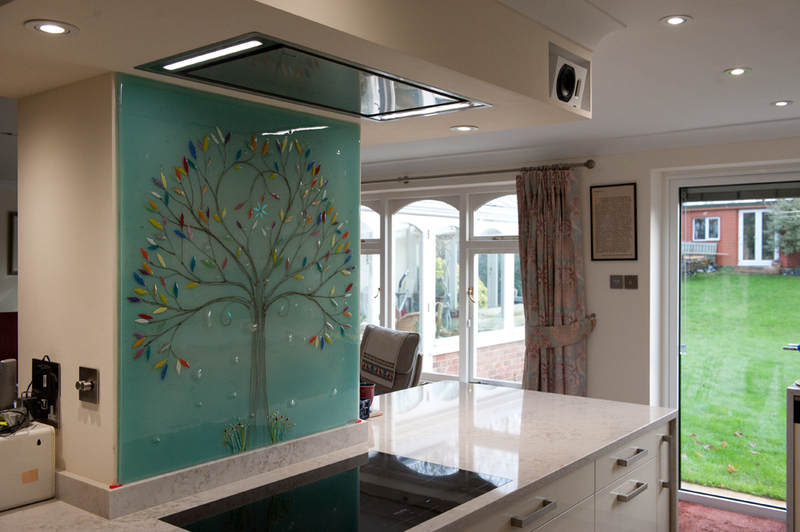 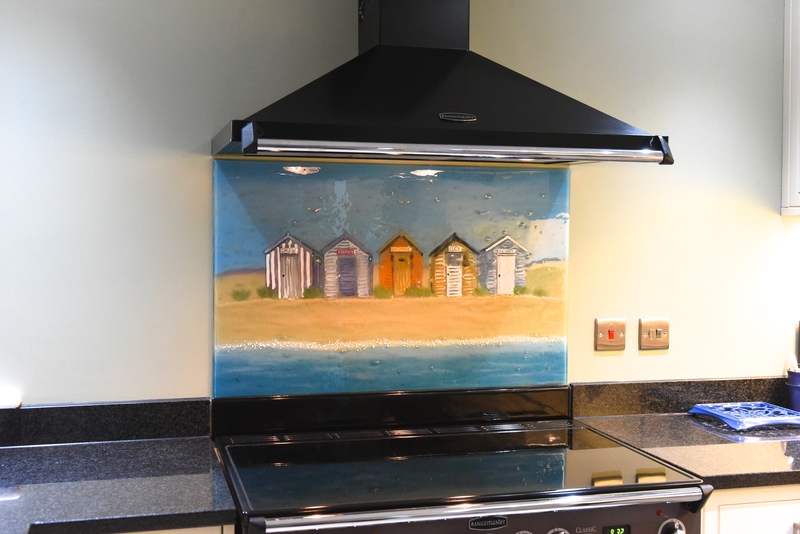 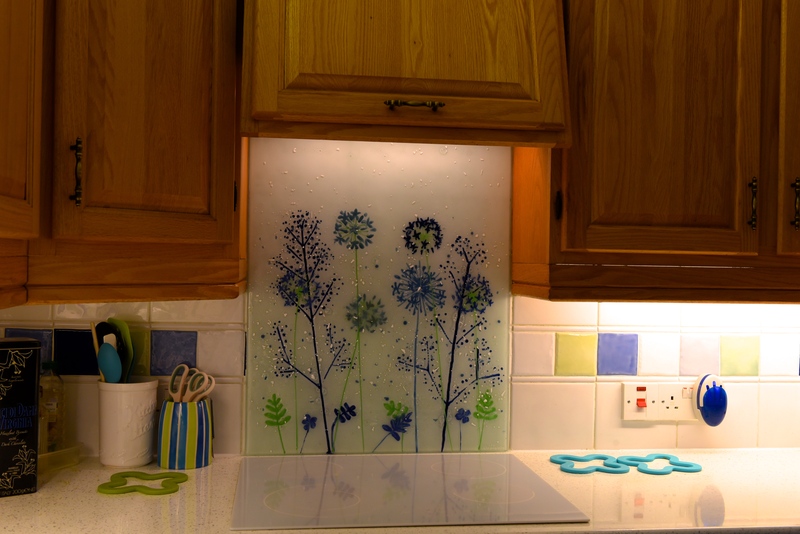 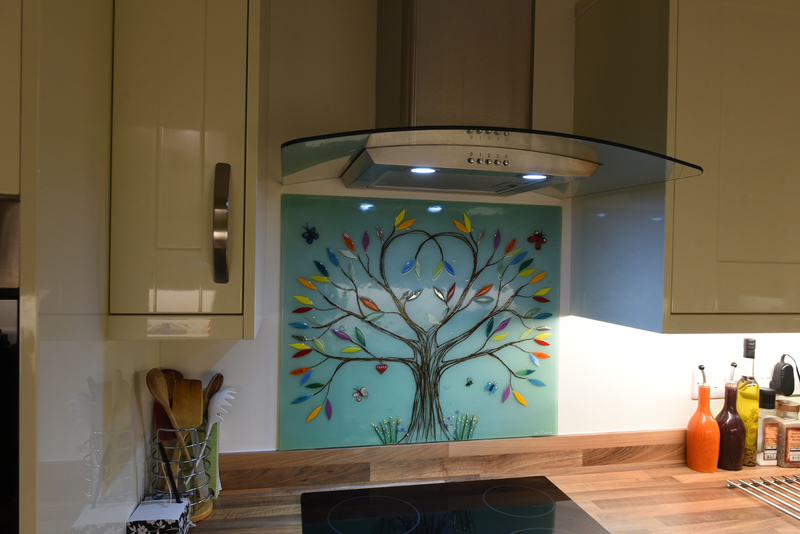 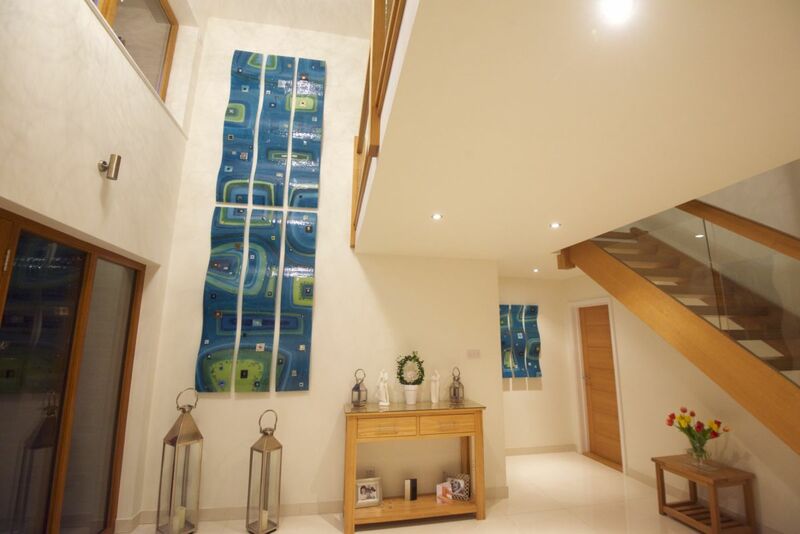 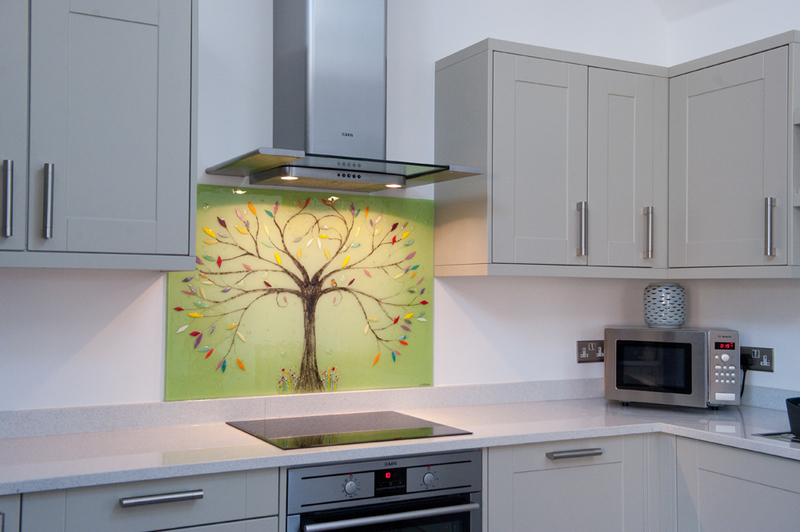 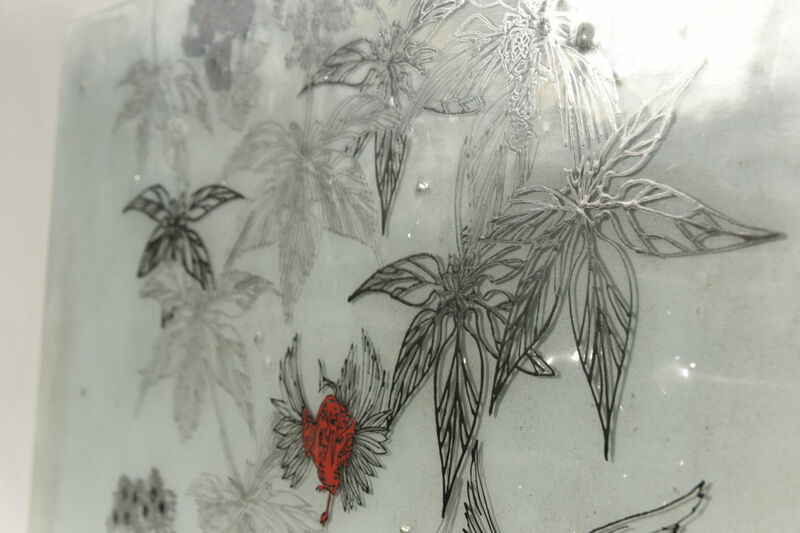 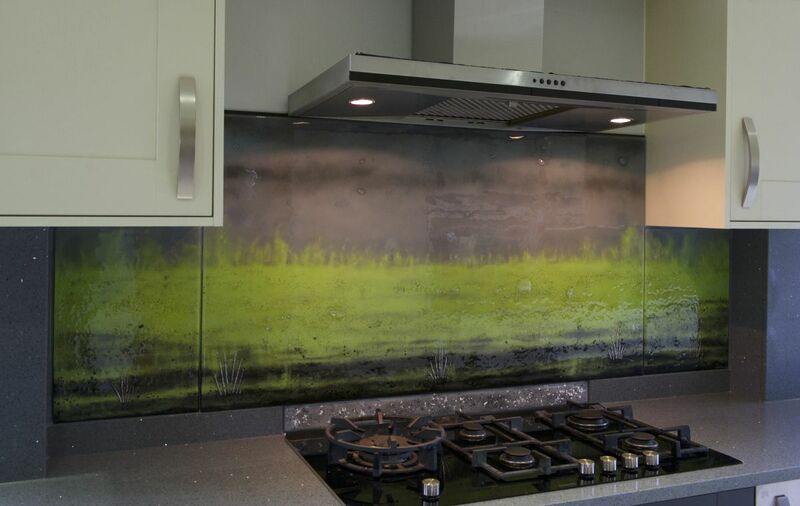 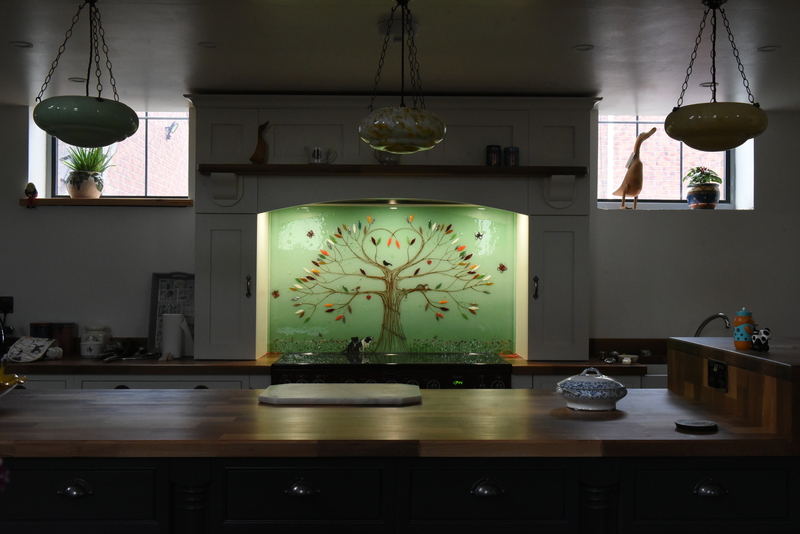 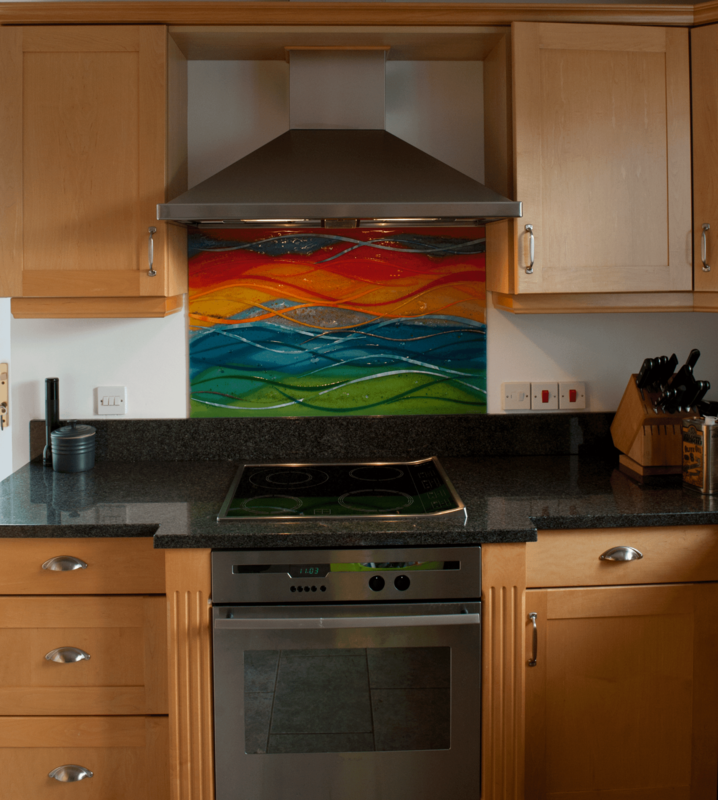 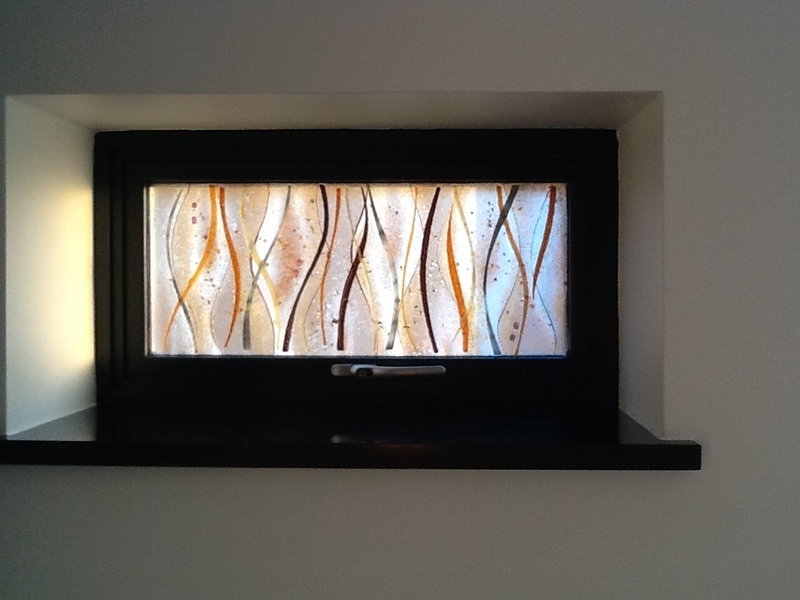 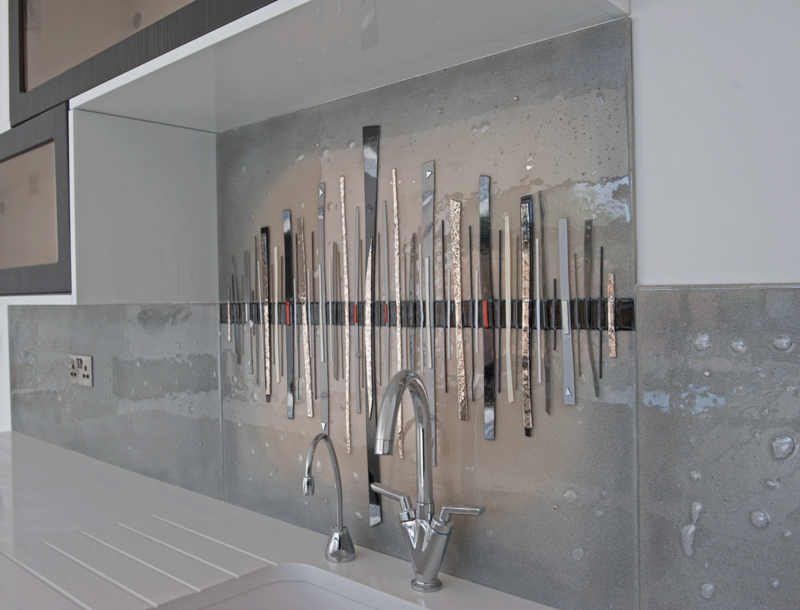 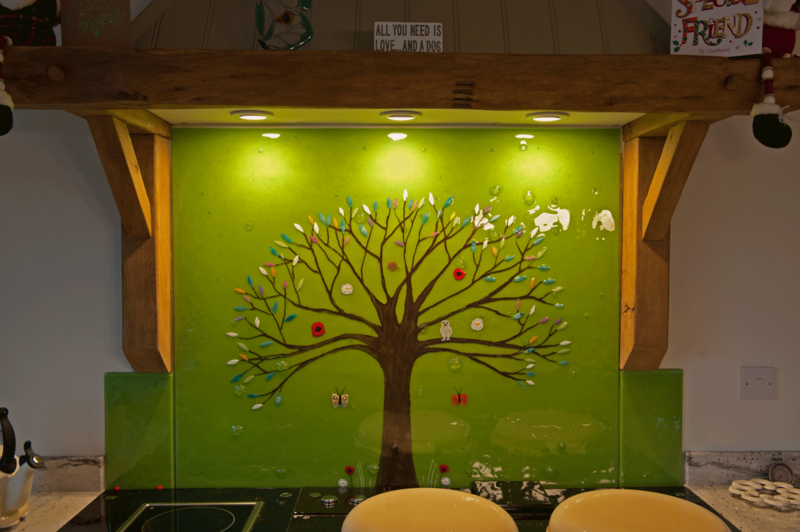 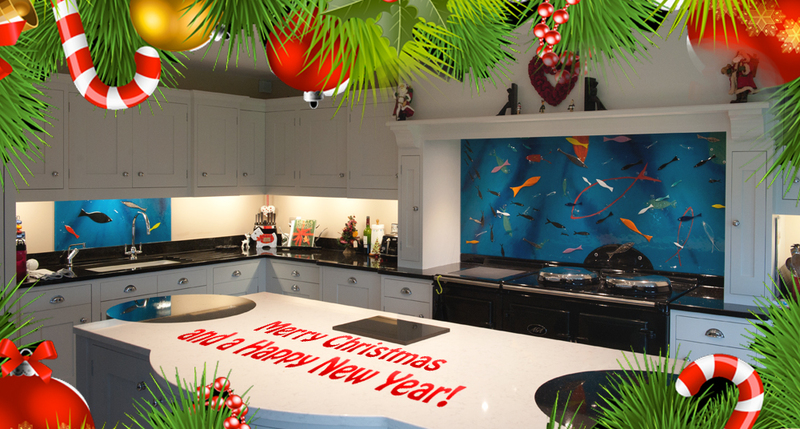 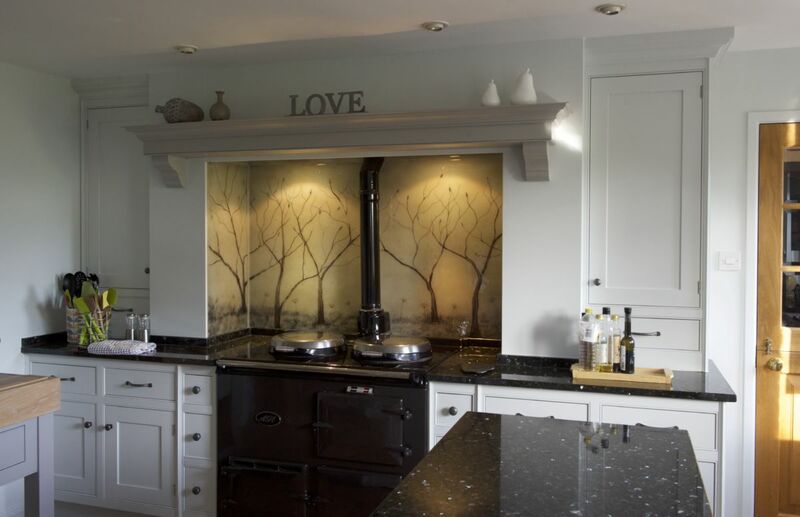 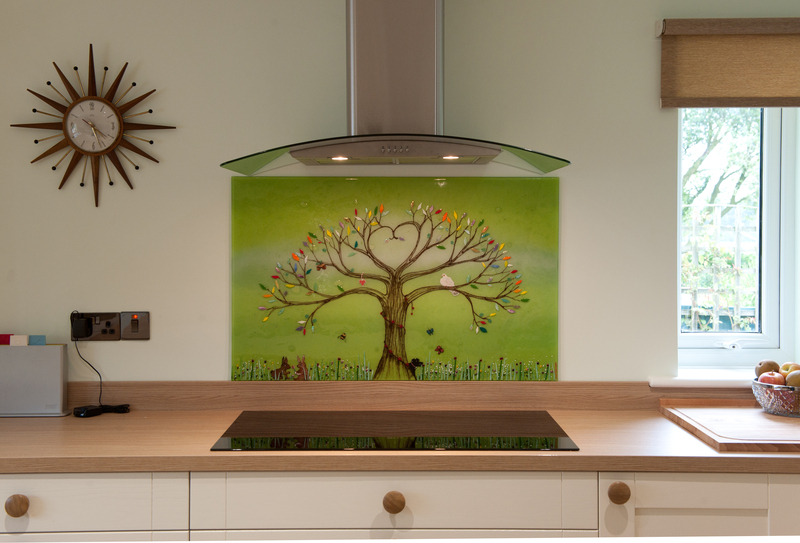 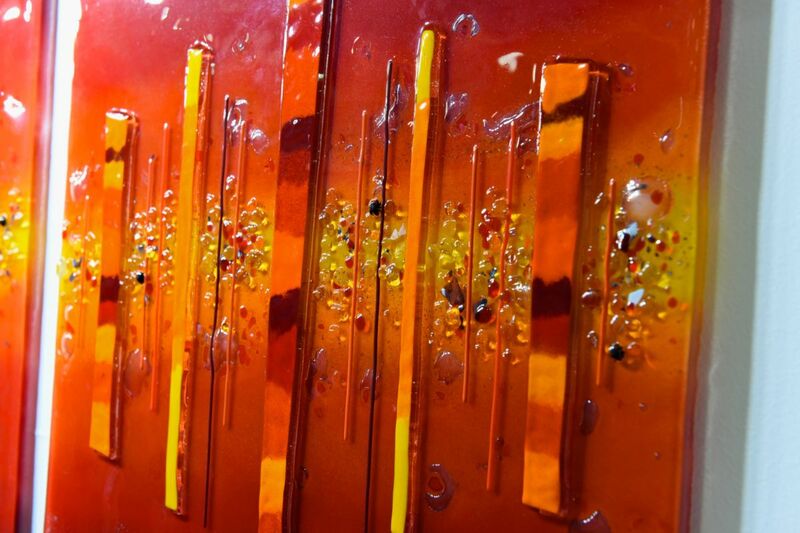 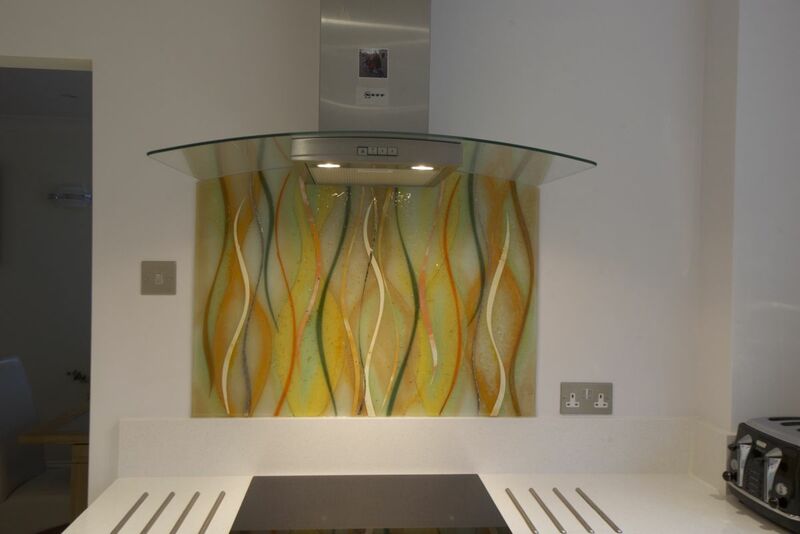 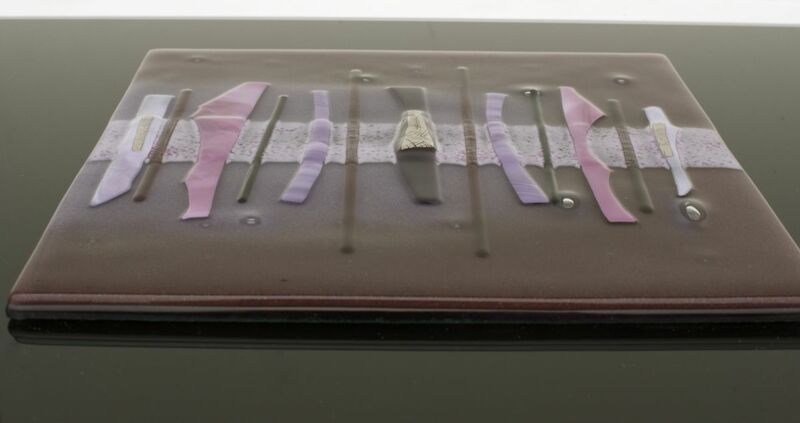 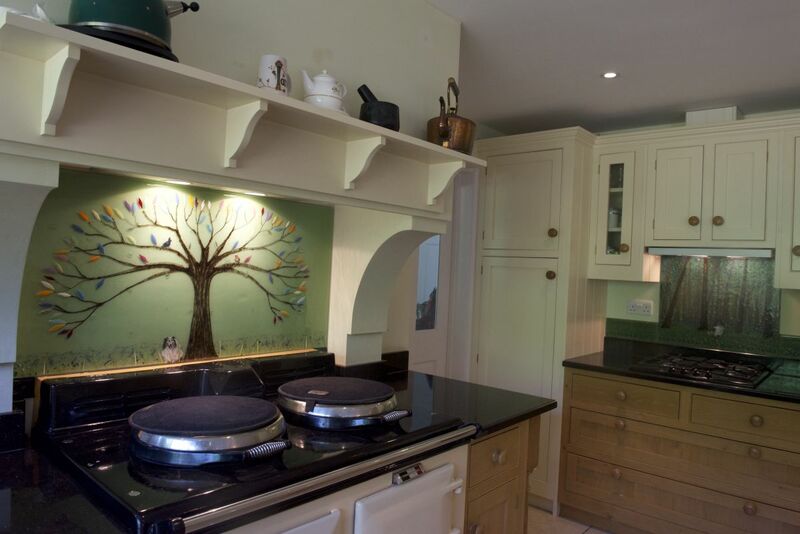 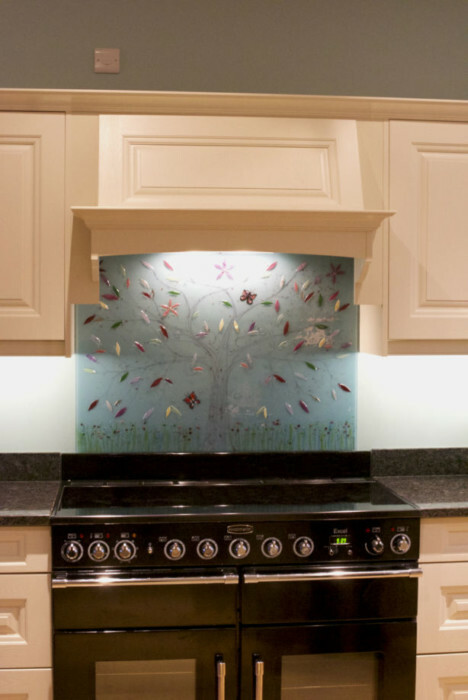 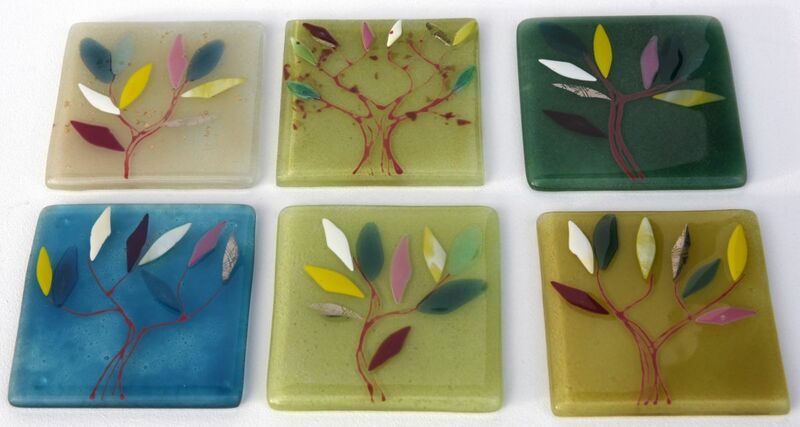 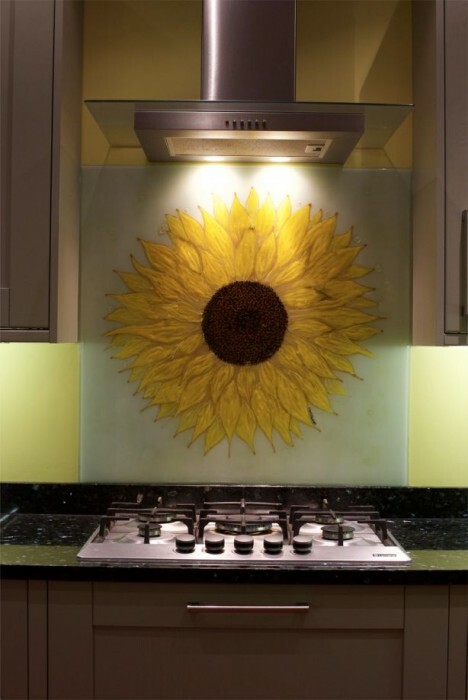 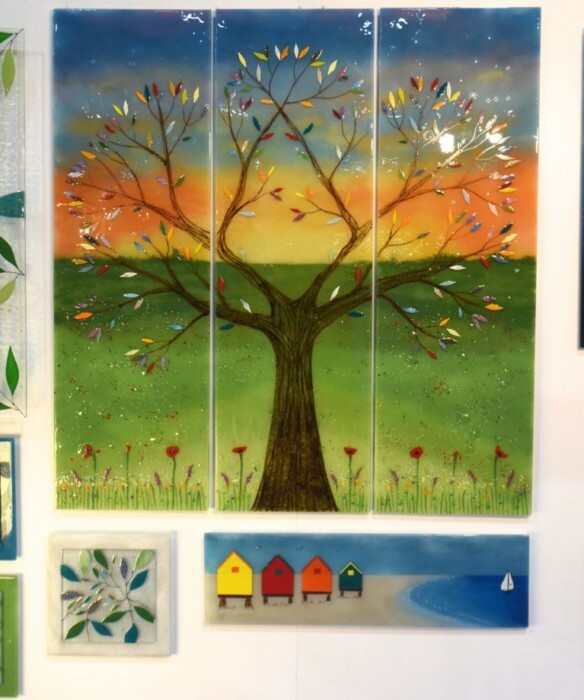 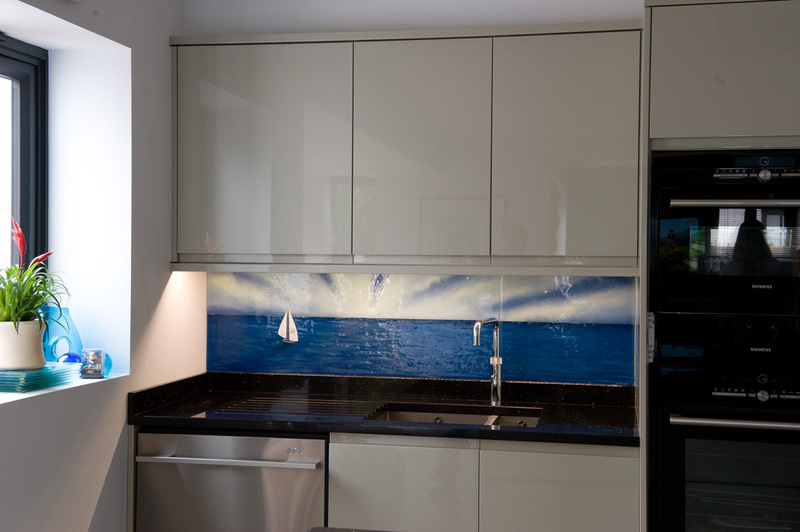 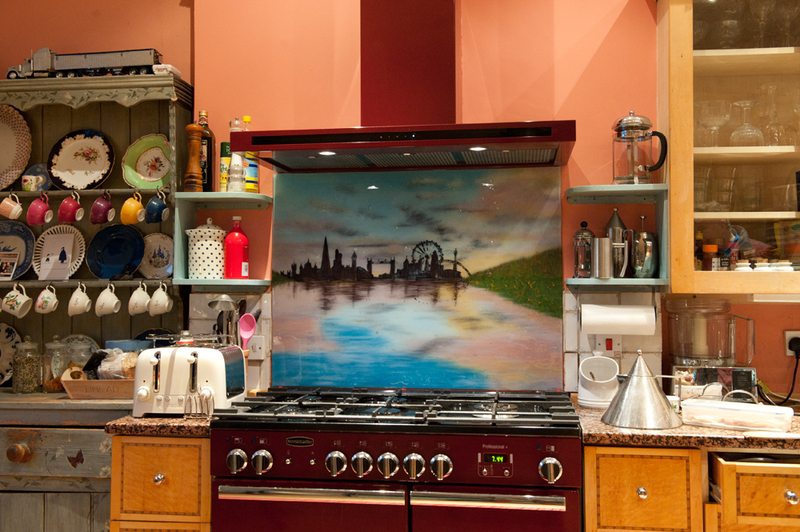 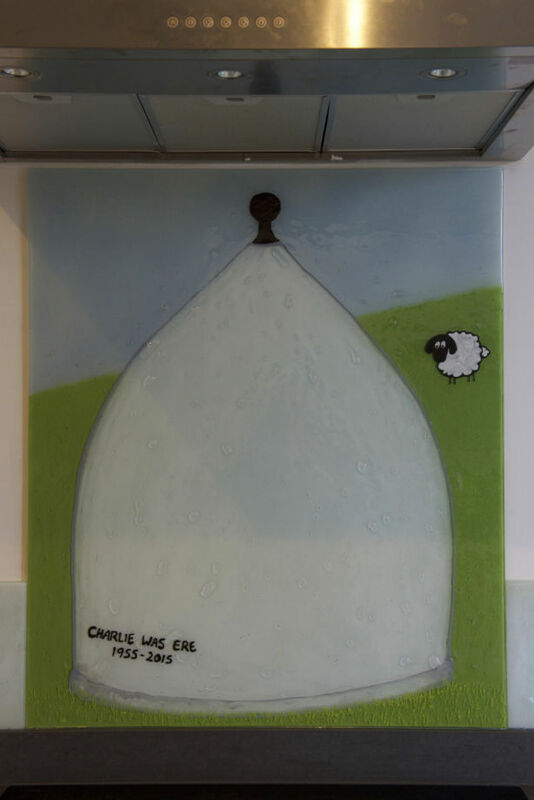 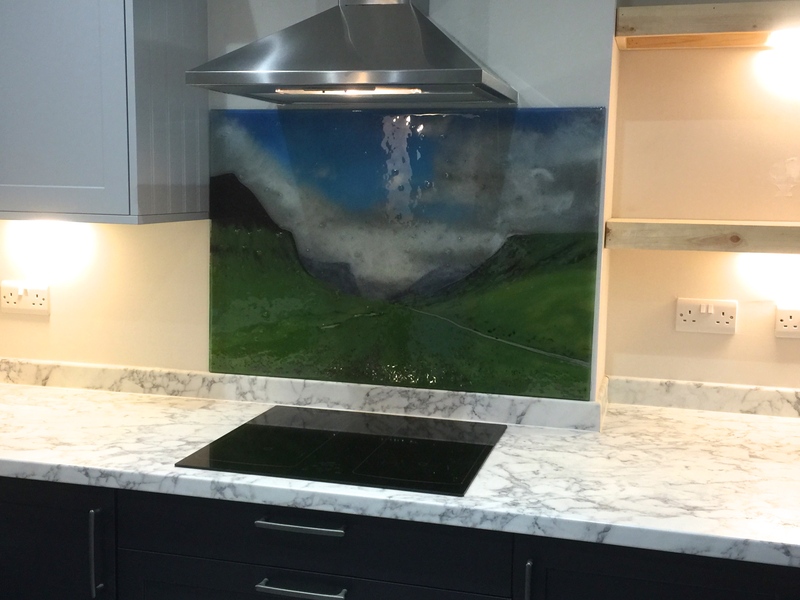 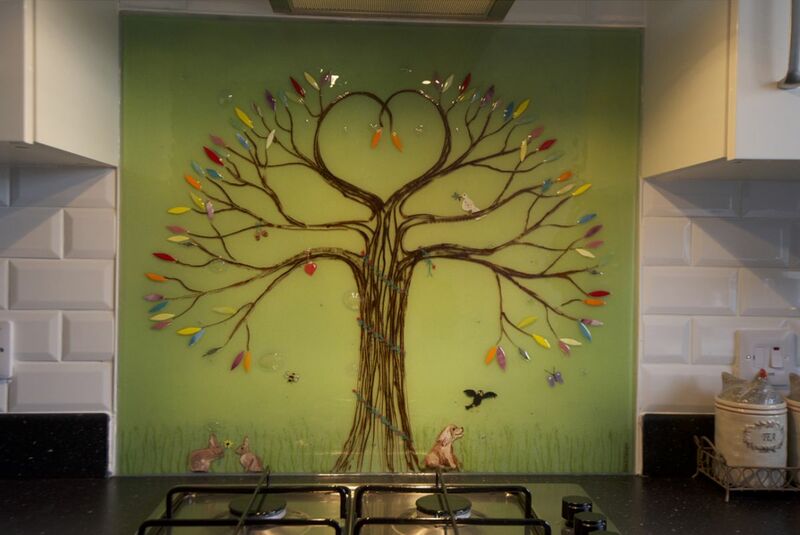 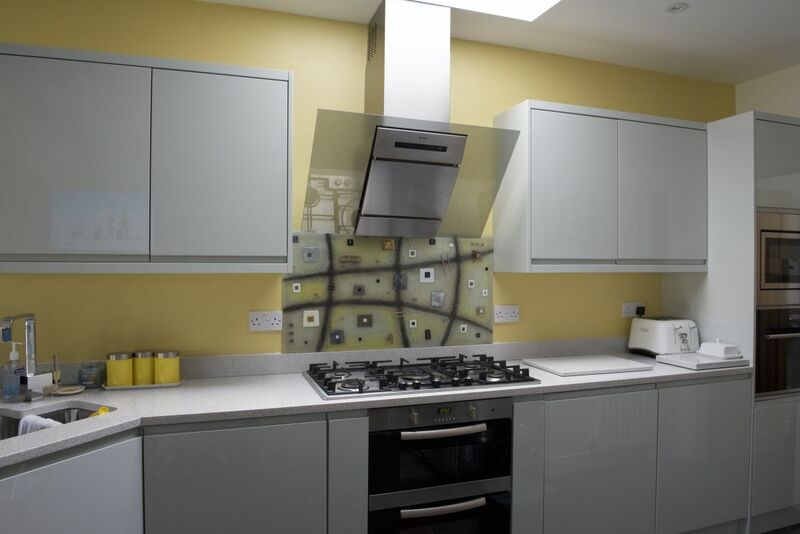 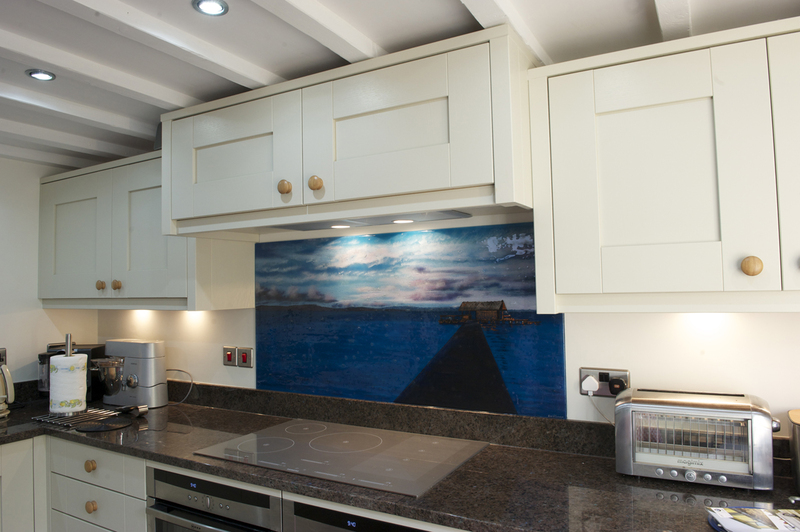 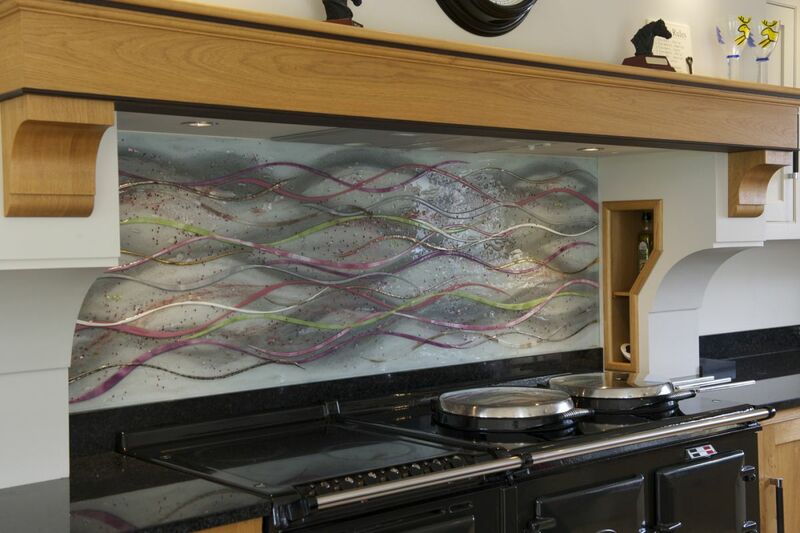 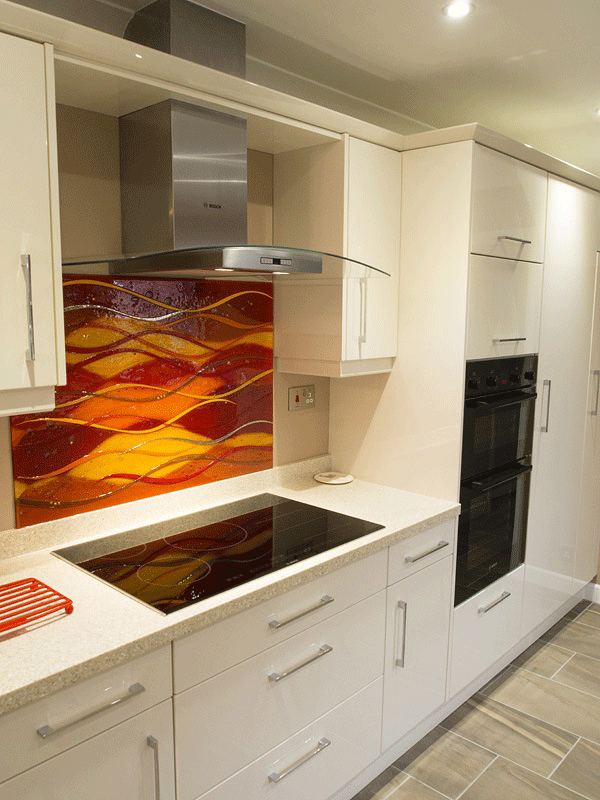 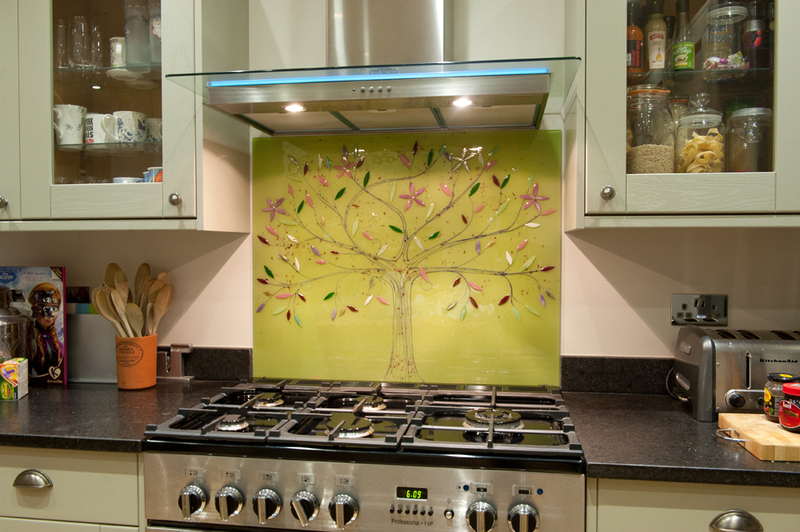 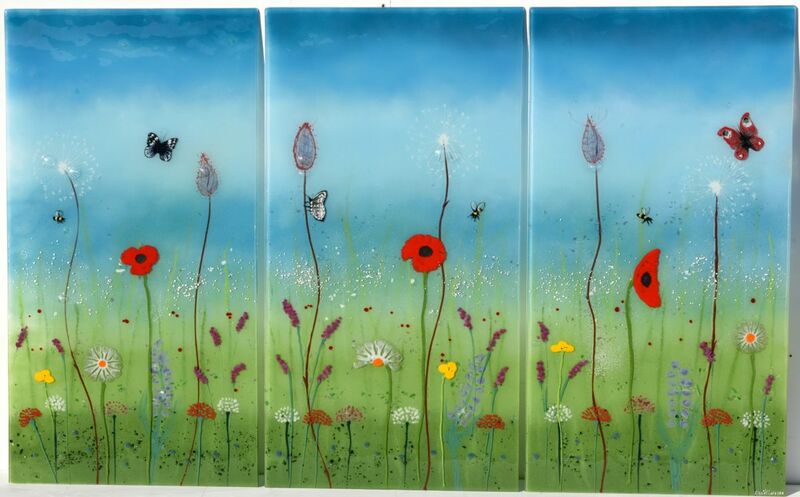 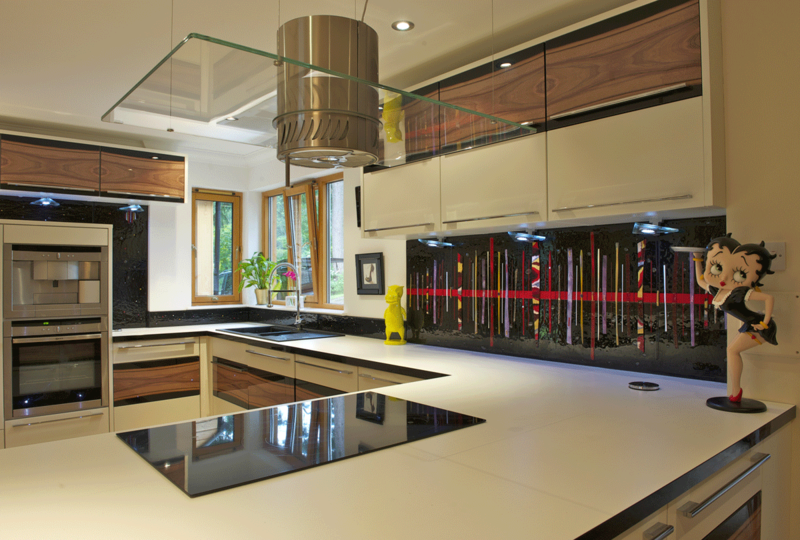 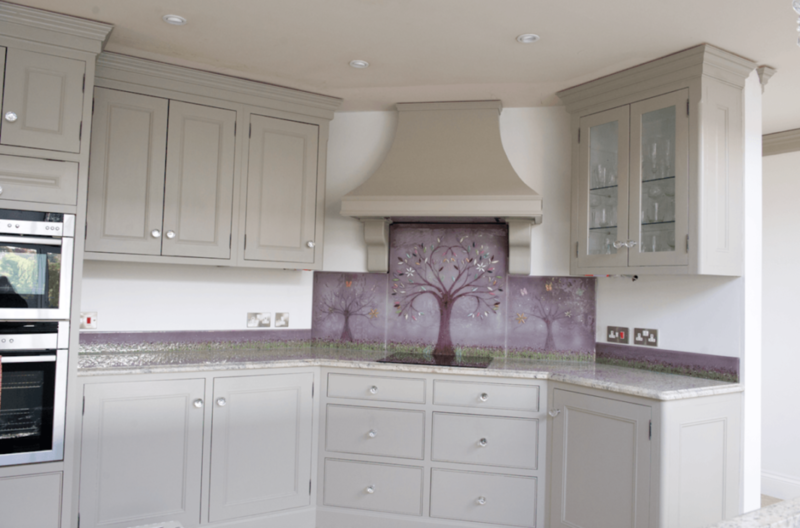 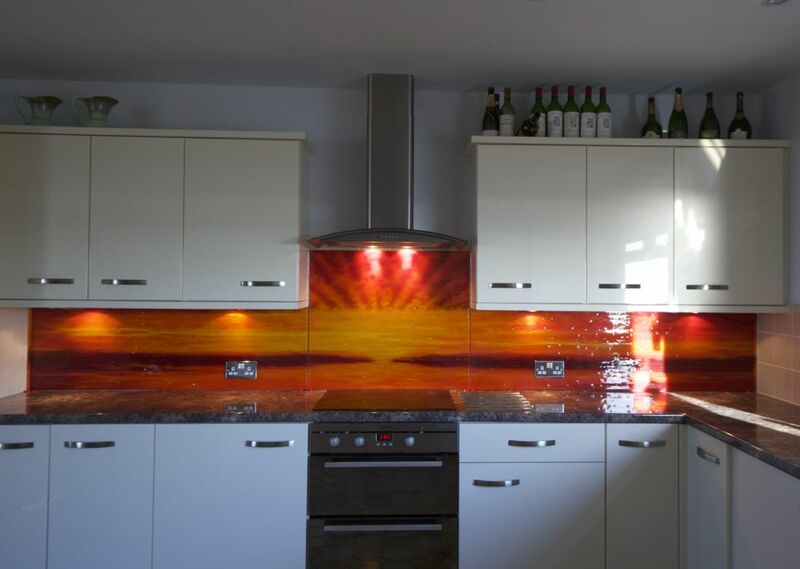 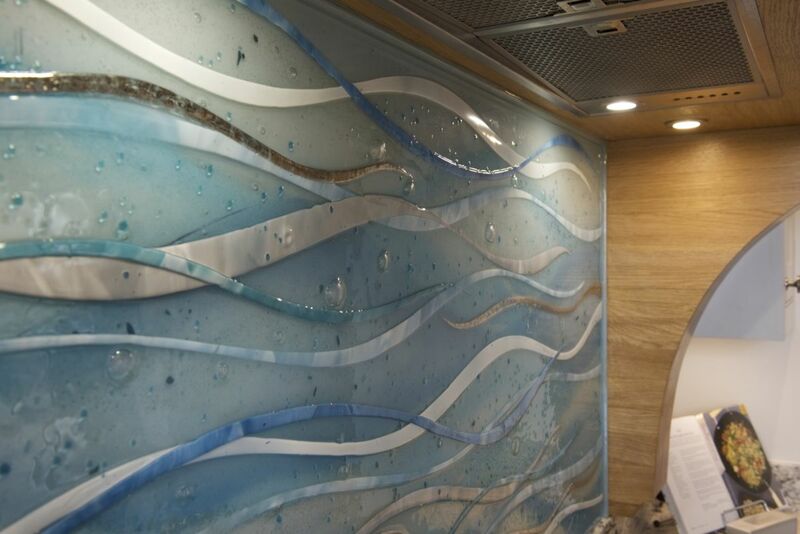 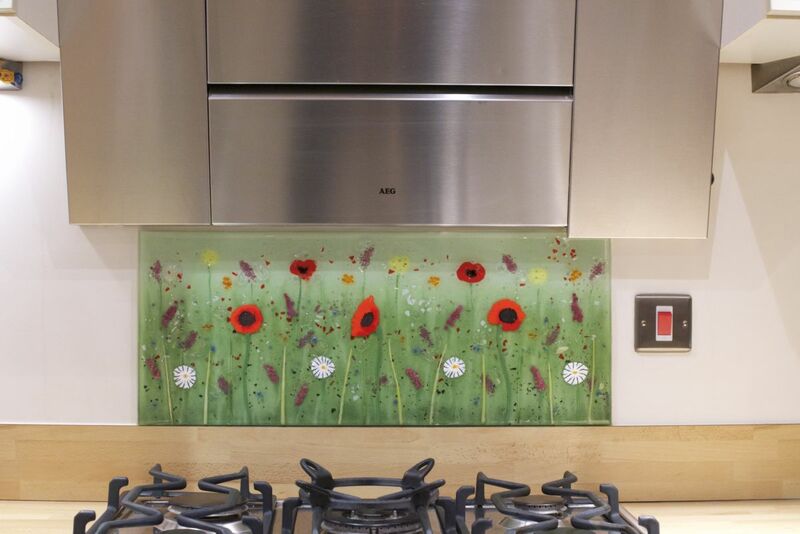 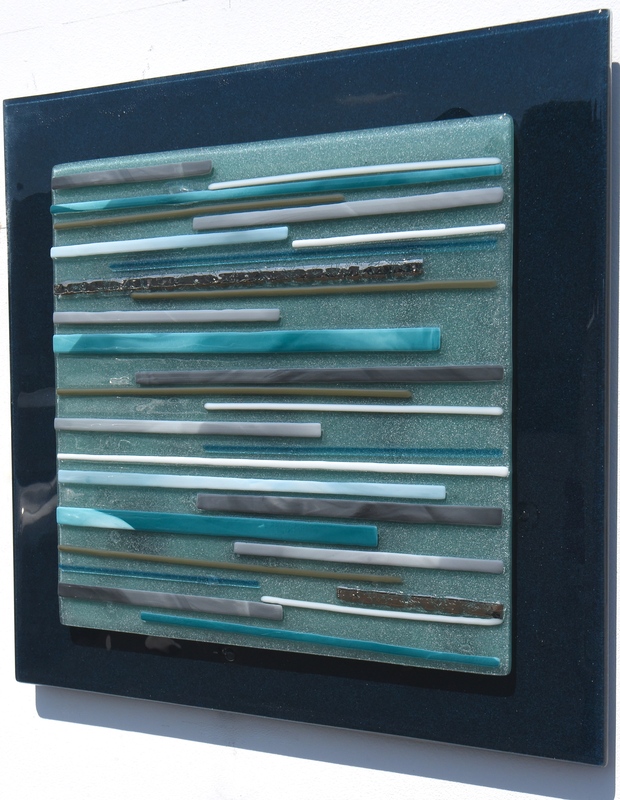 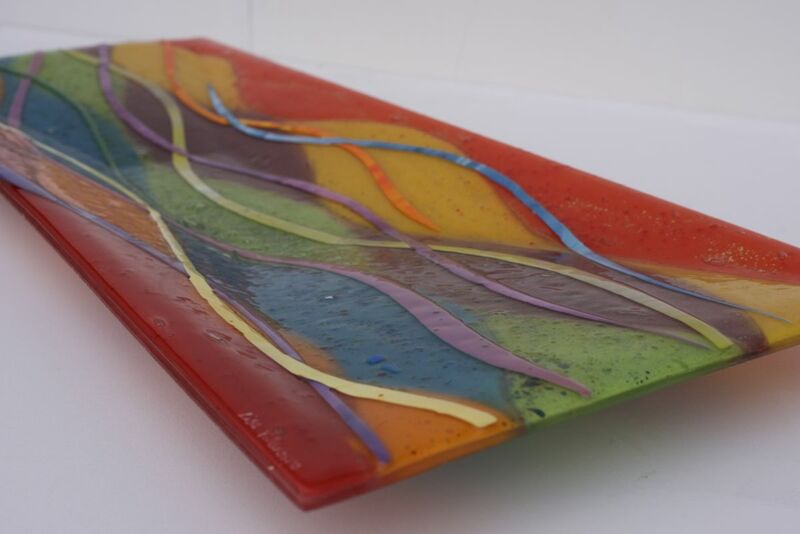 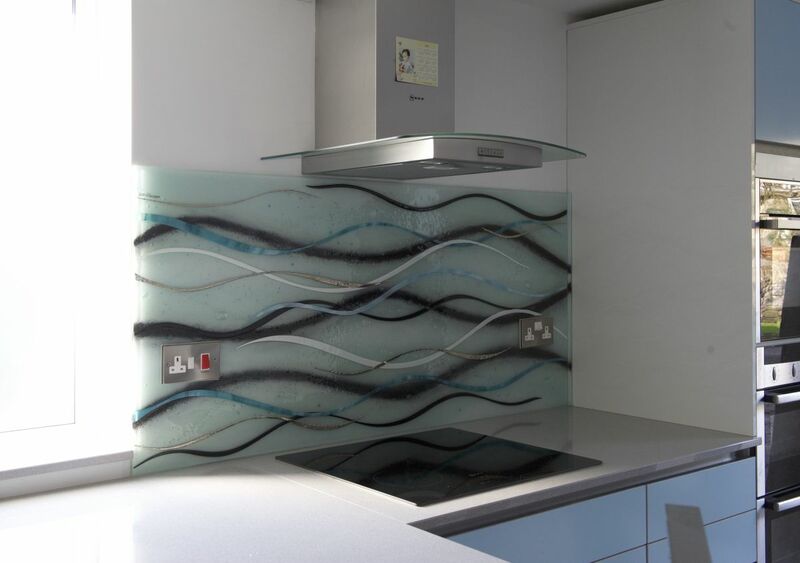 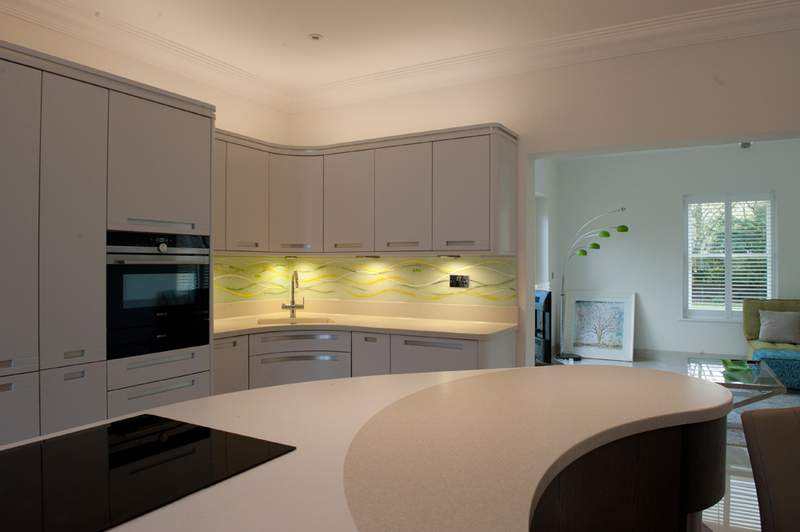 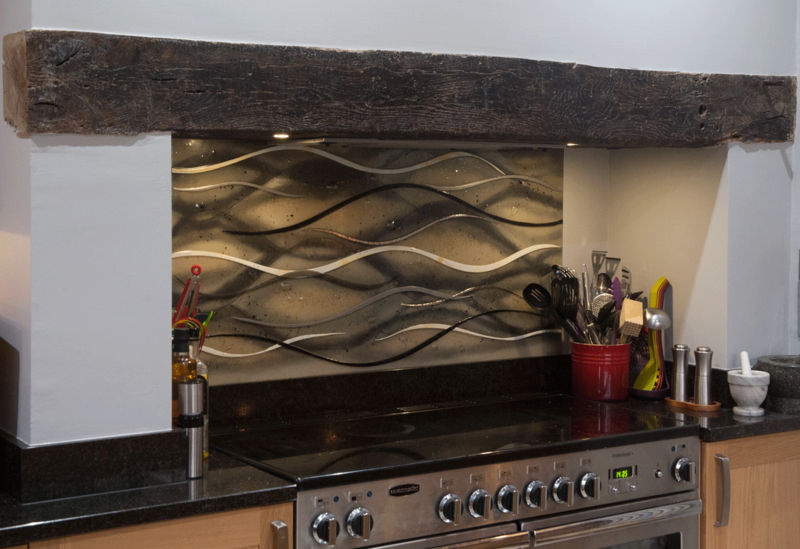 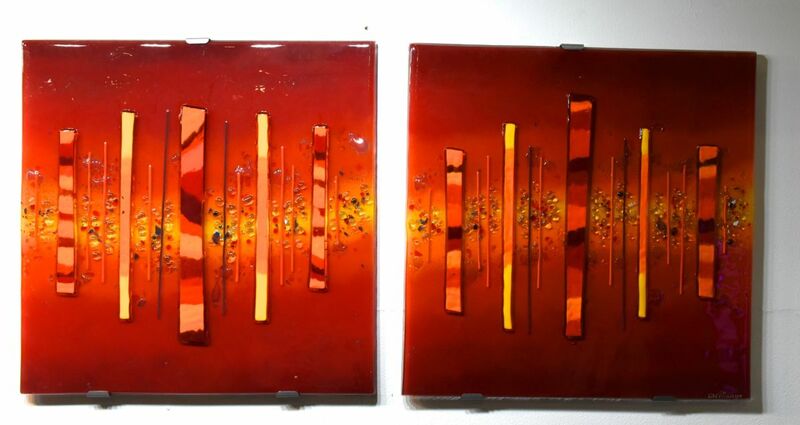 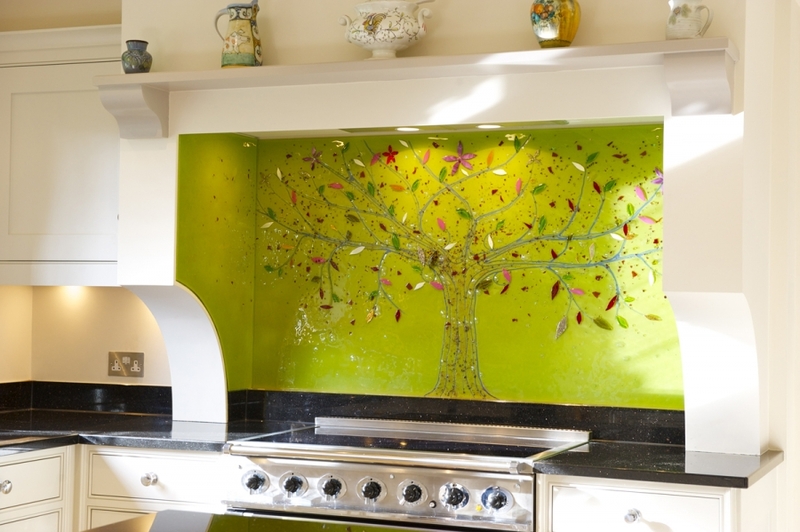 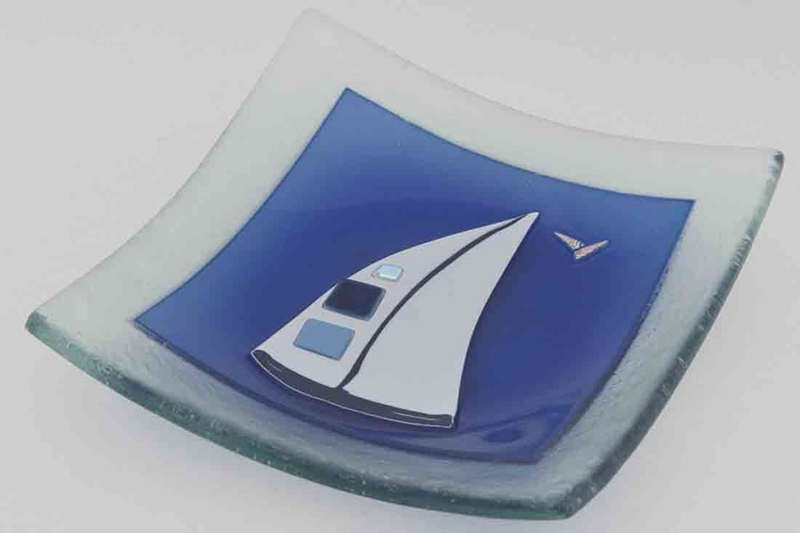 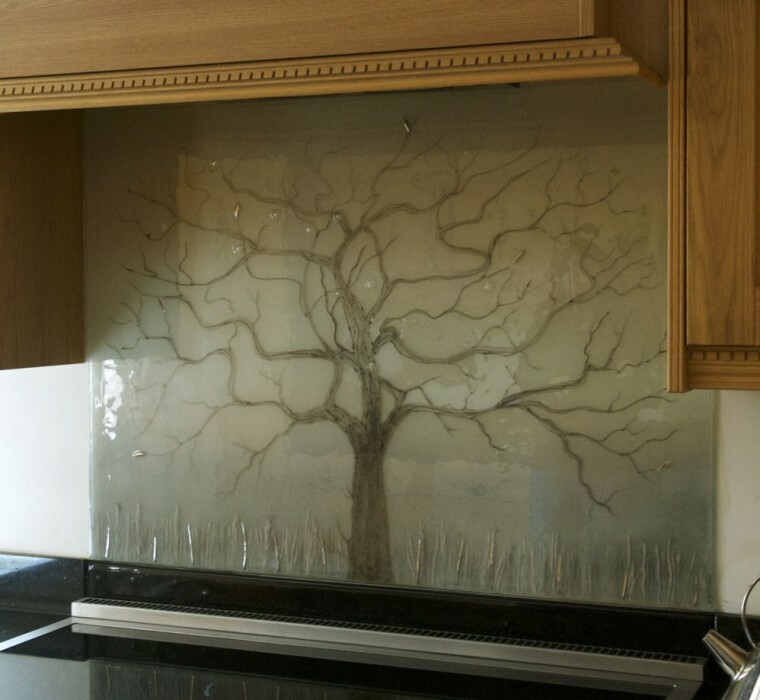 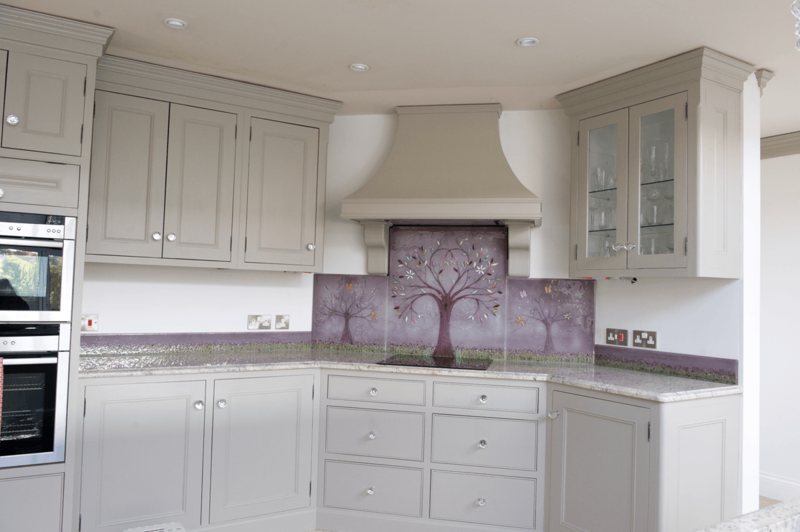 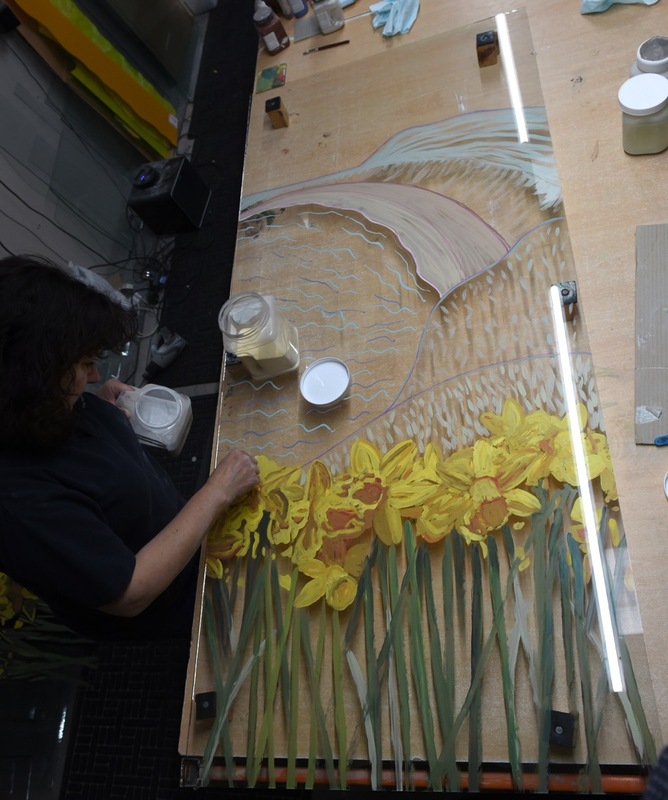 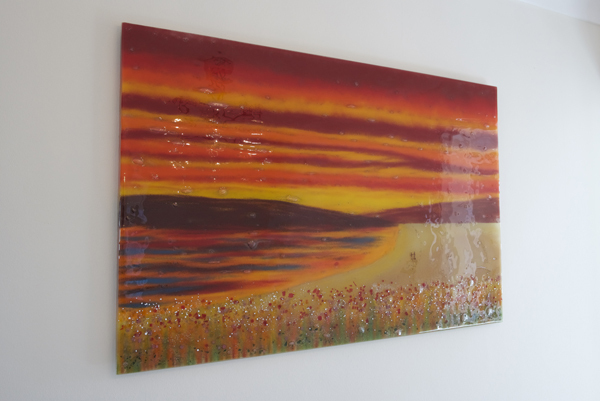 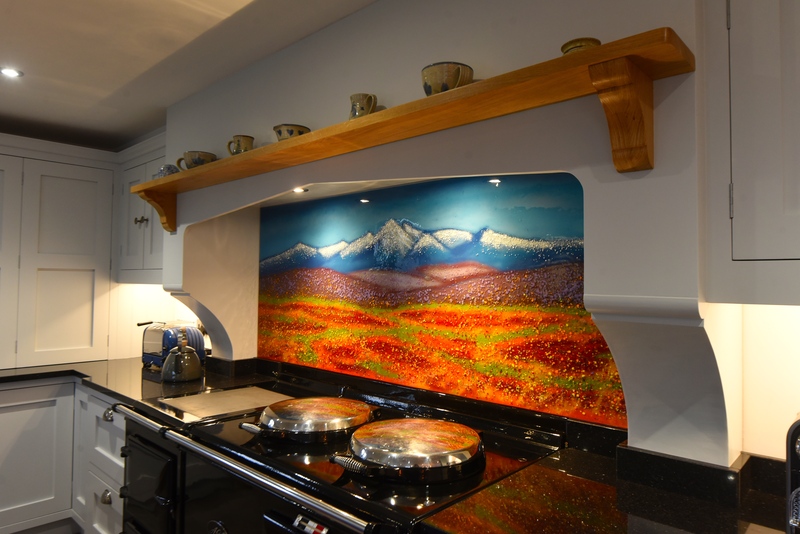 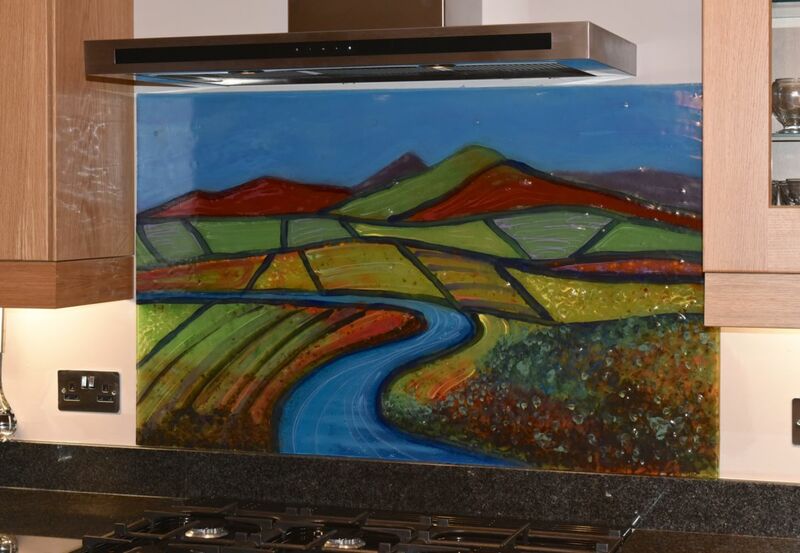 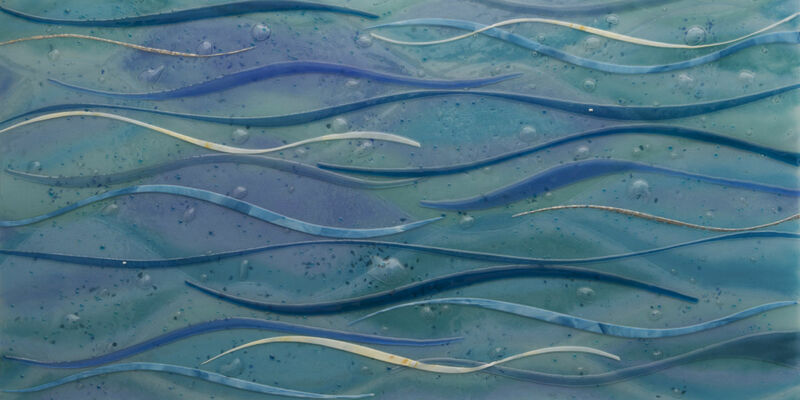 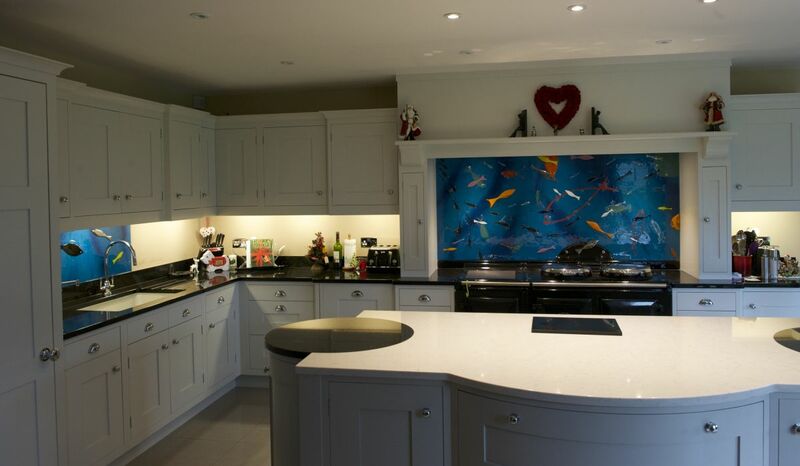 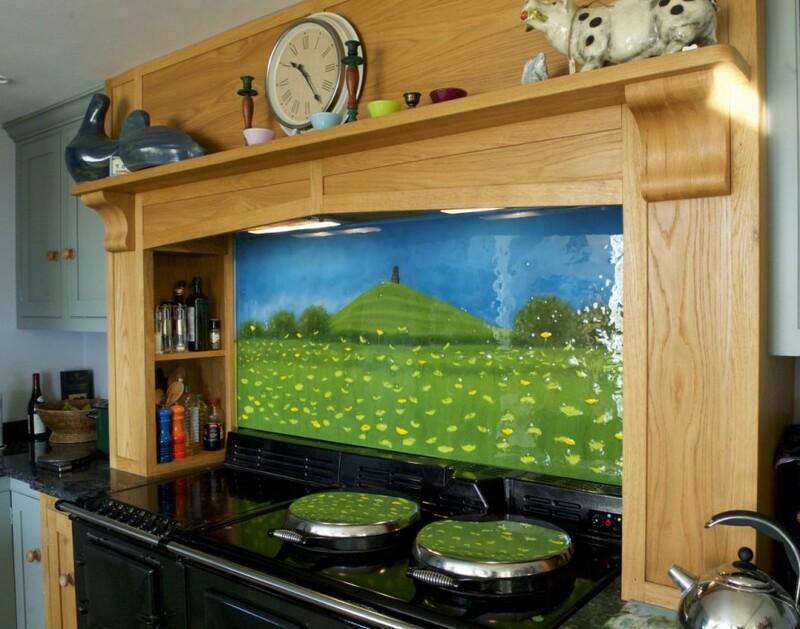 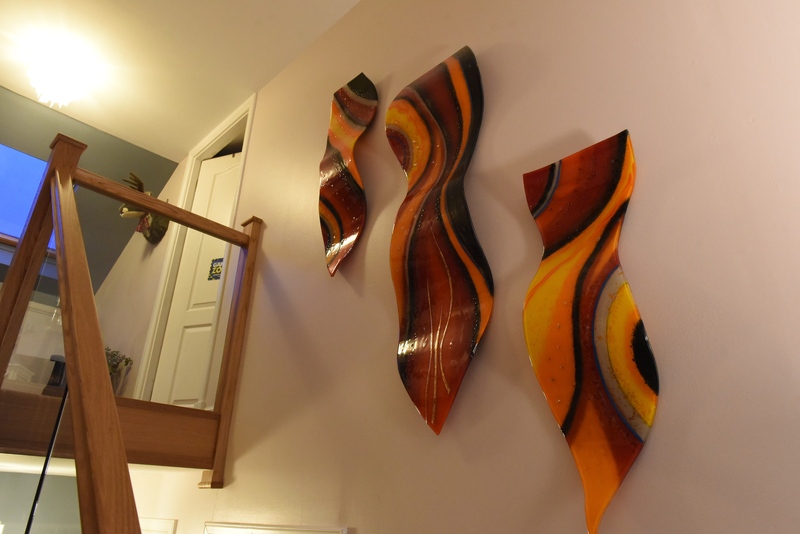 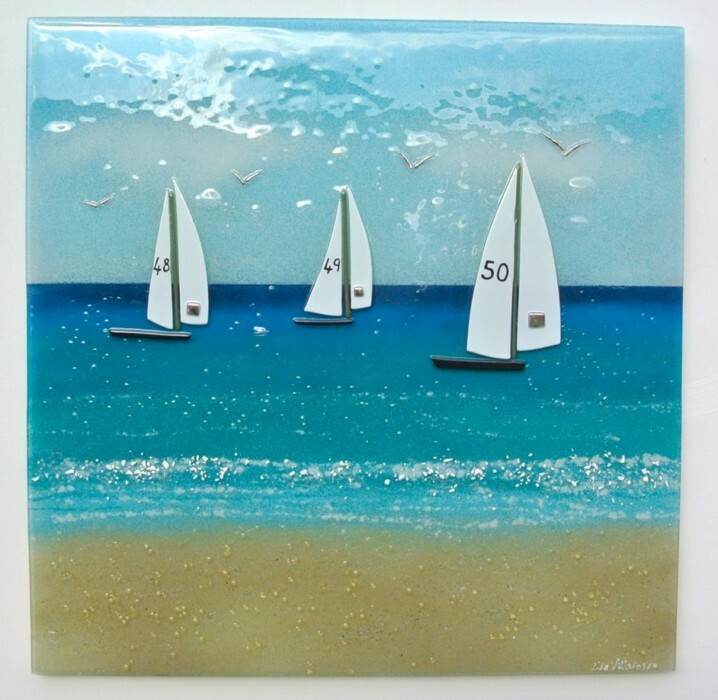 The immediate thing you’ll notice is just how much detail goes into one of our fused glass splashbacks. 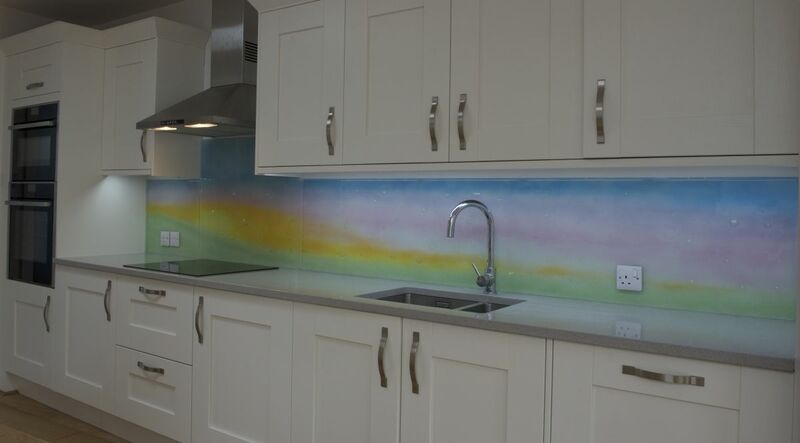 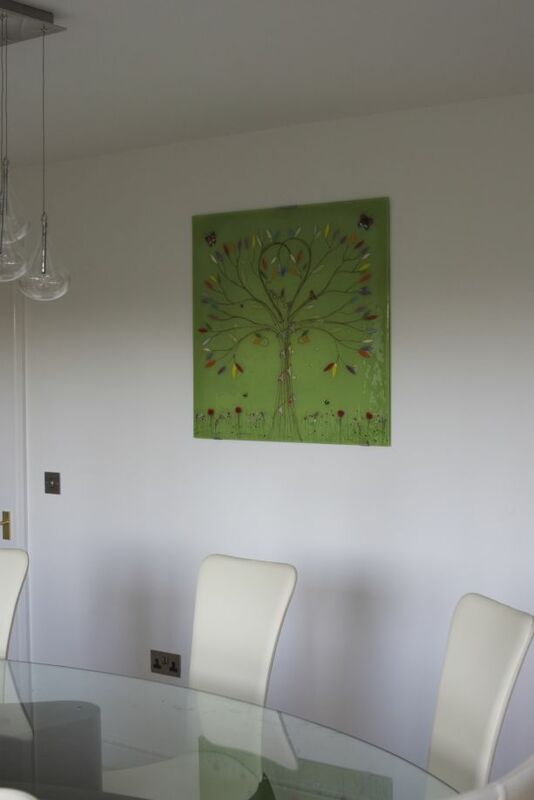 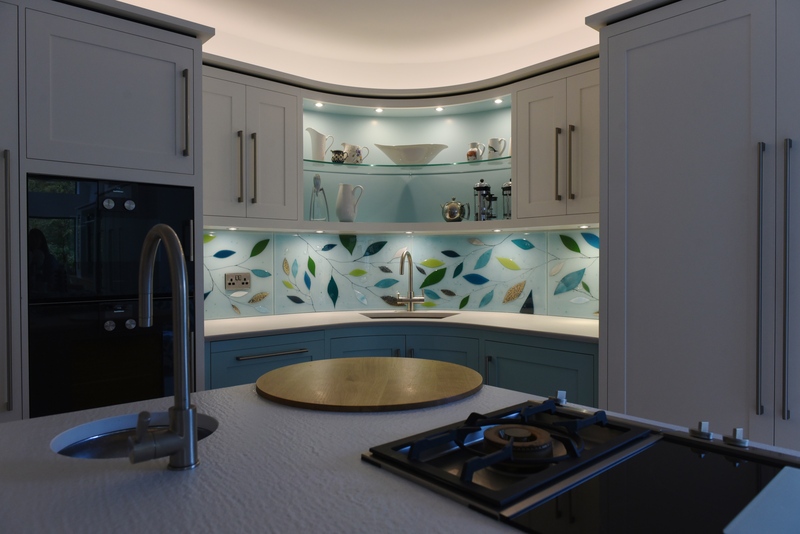 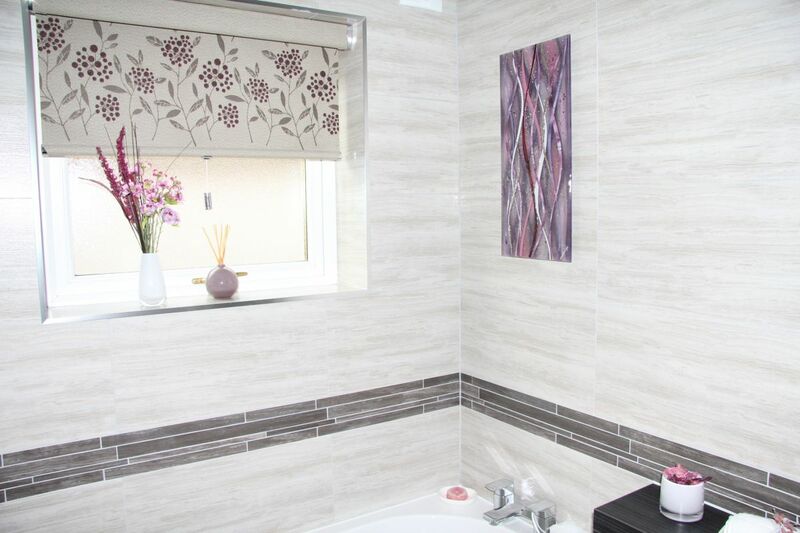 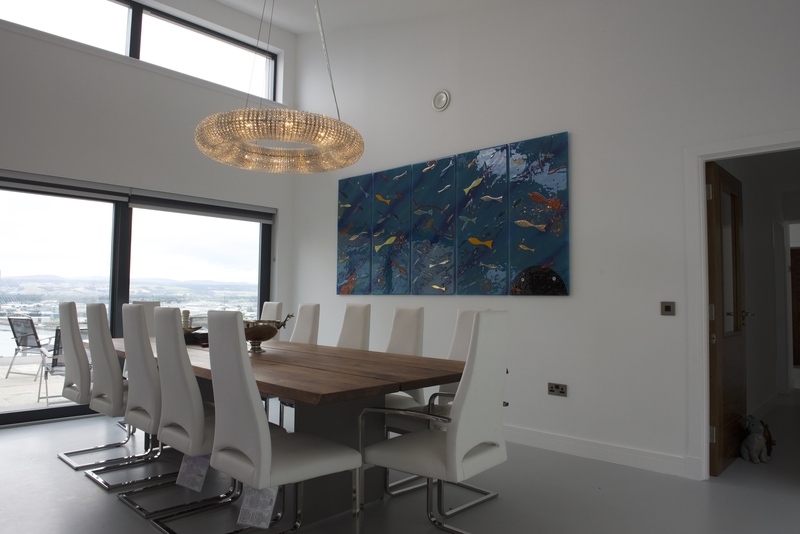 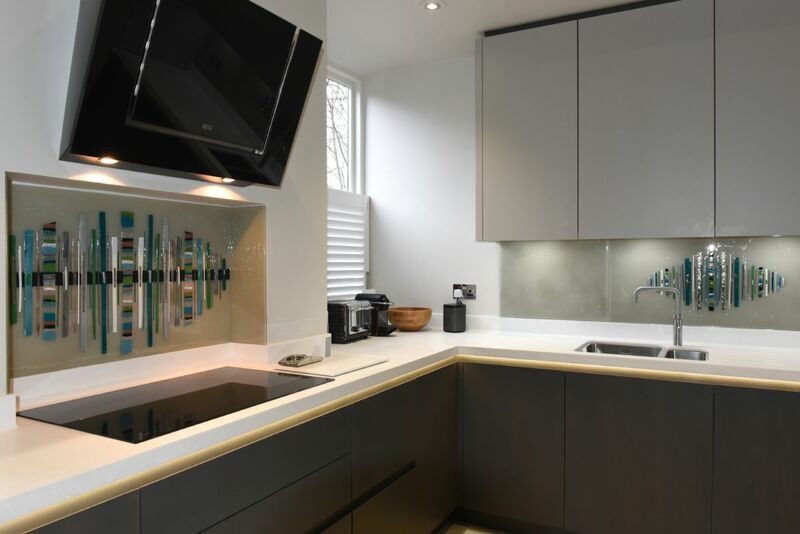 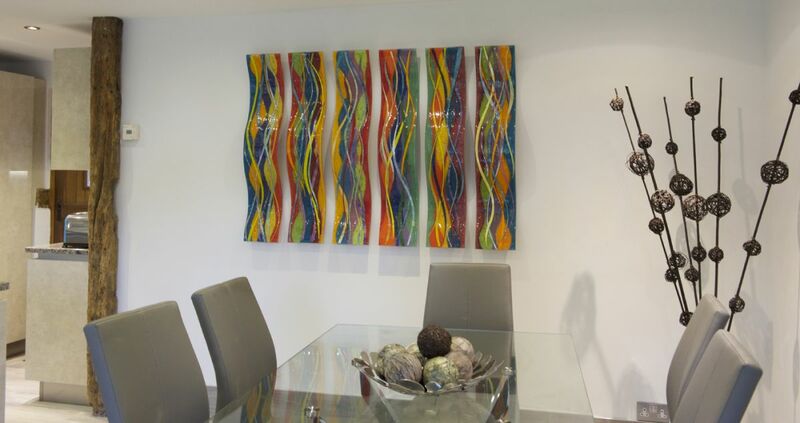 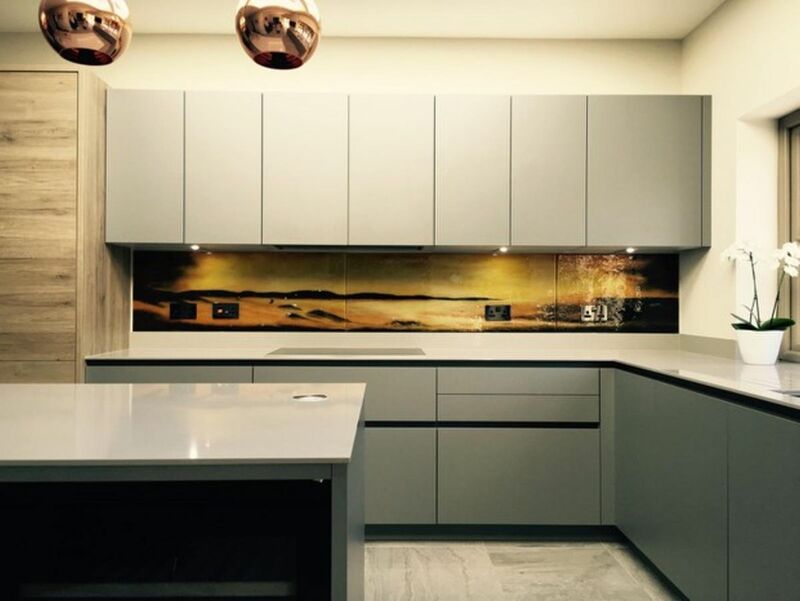 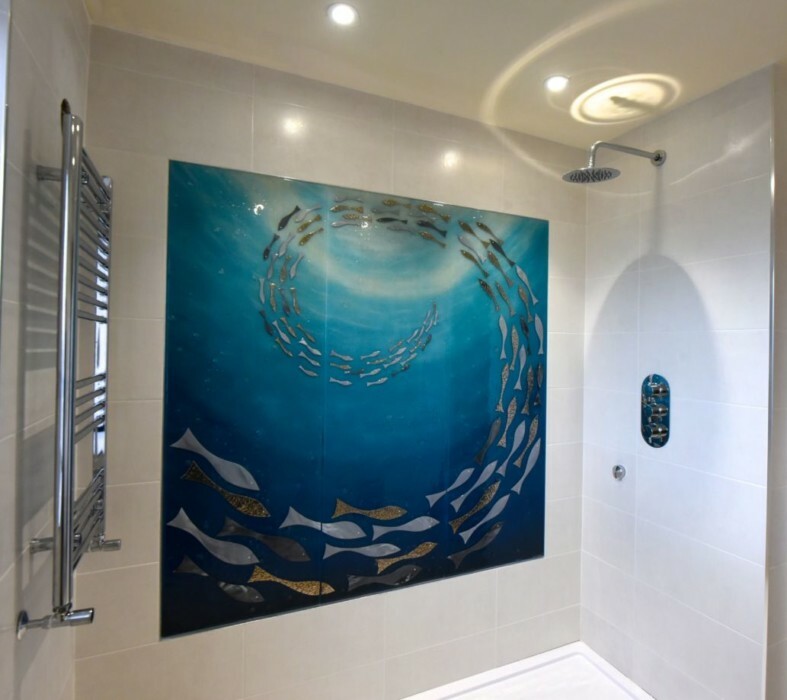 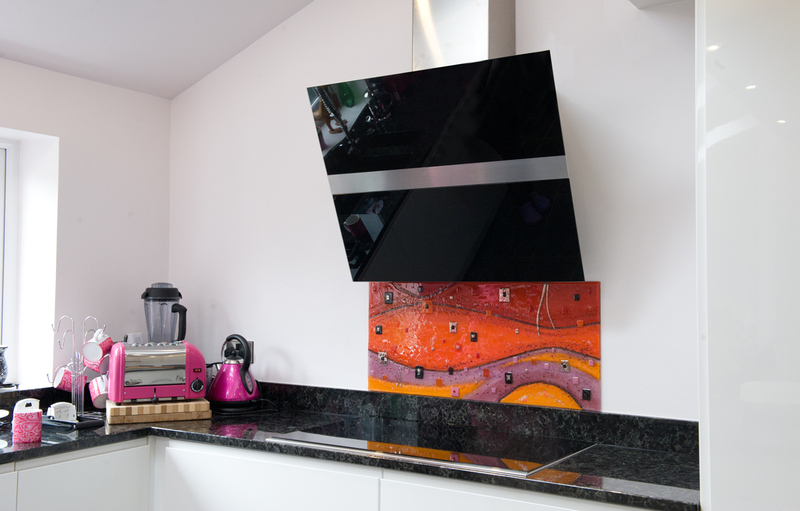 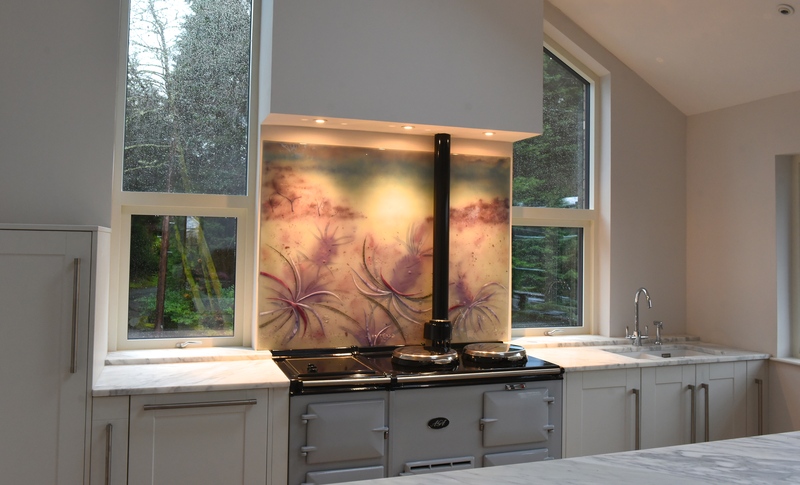 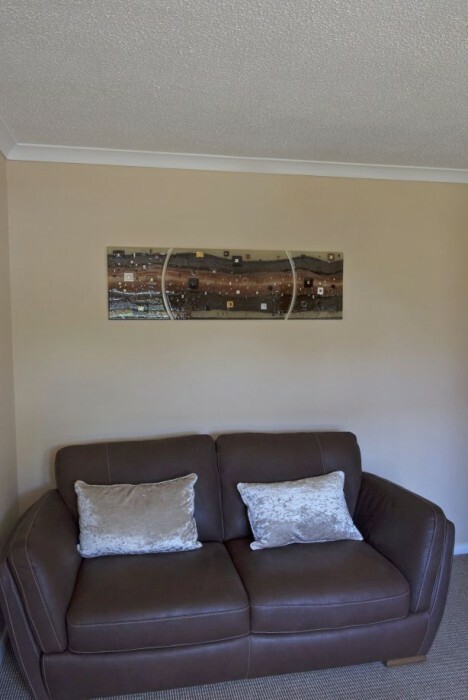 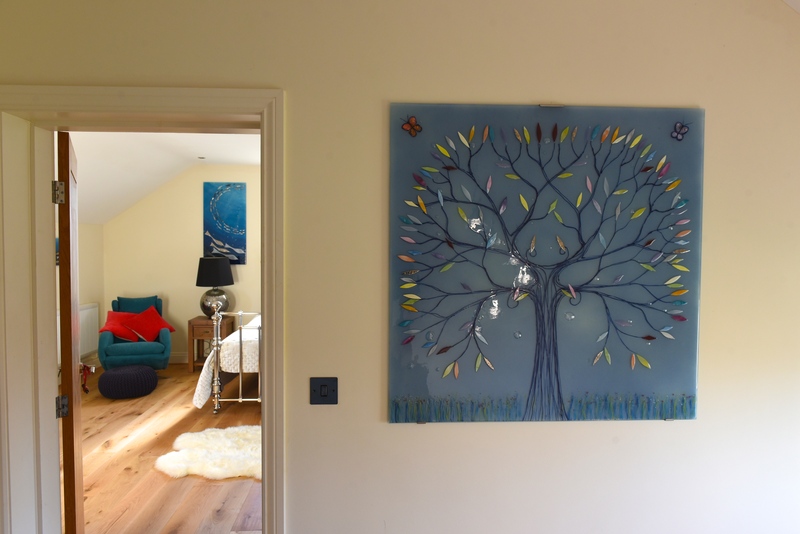 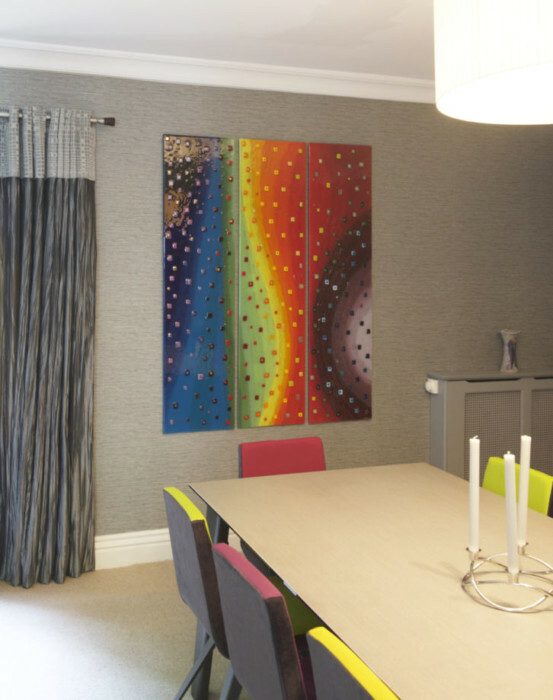 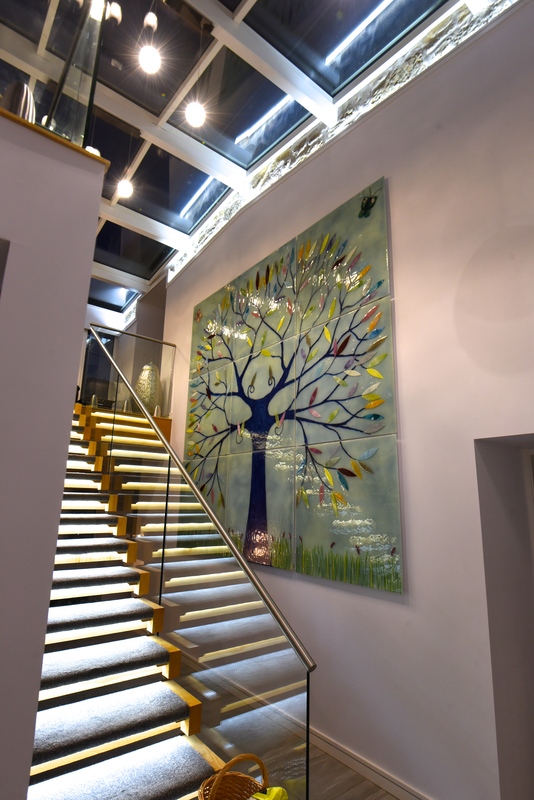 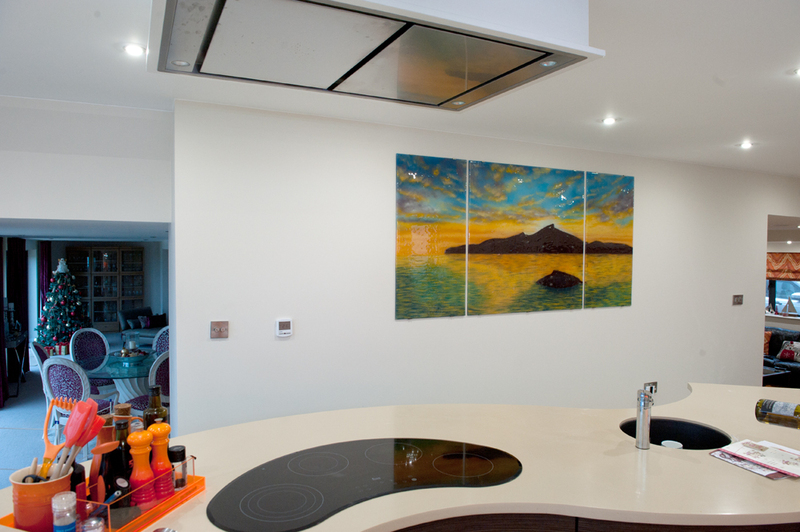 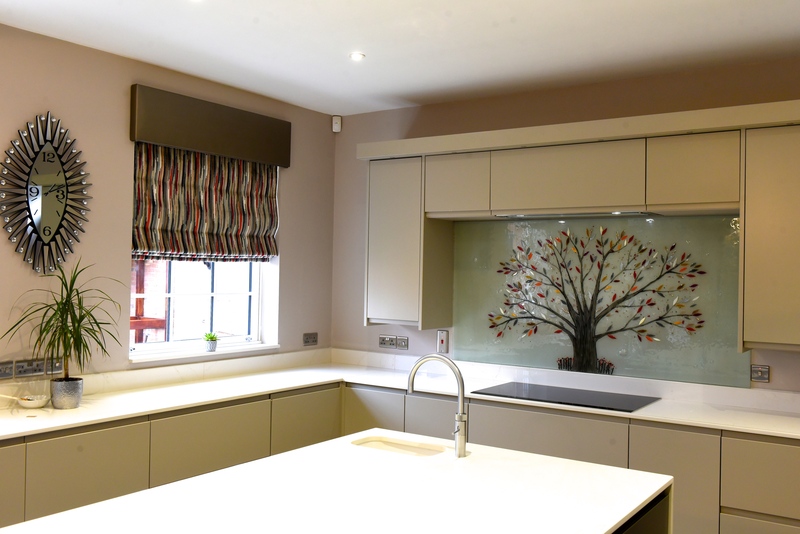 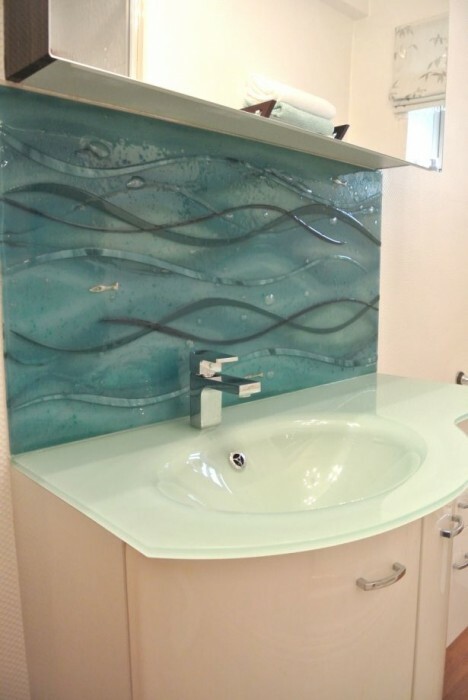 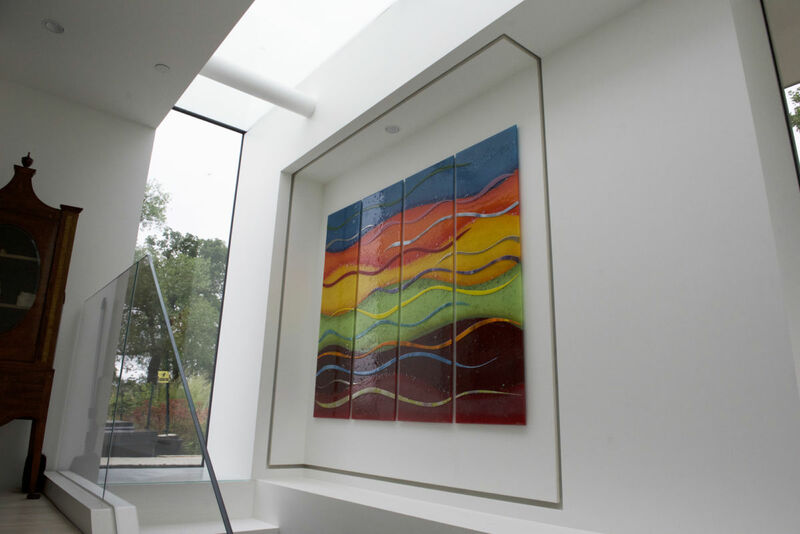 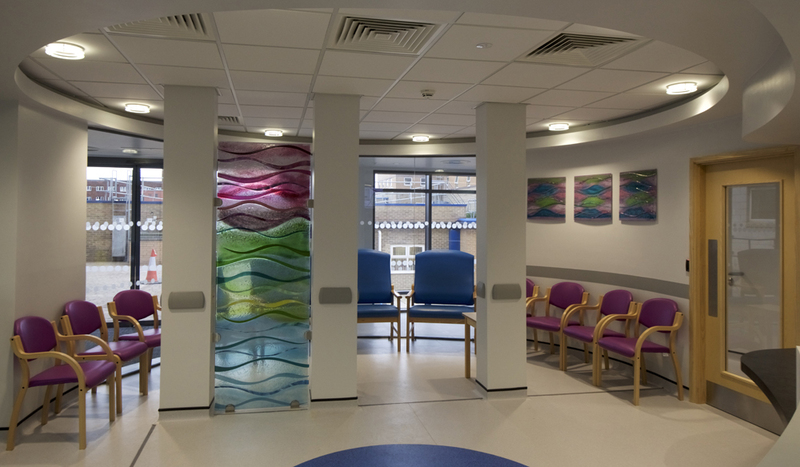 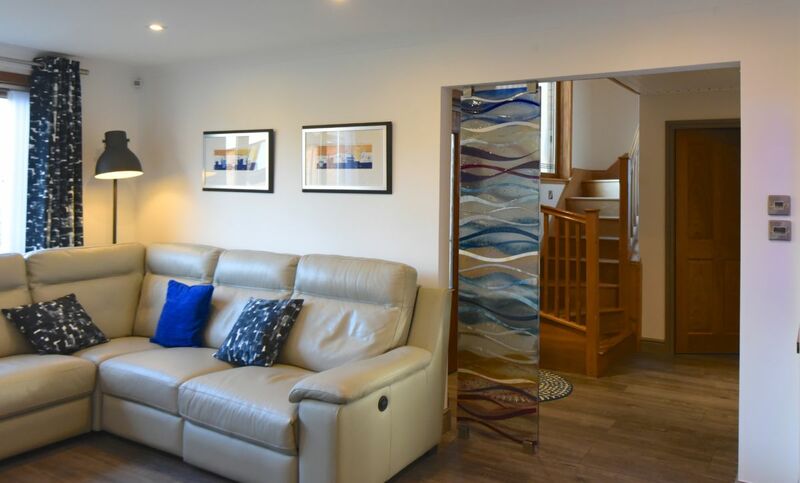 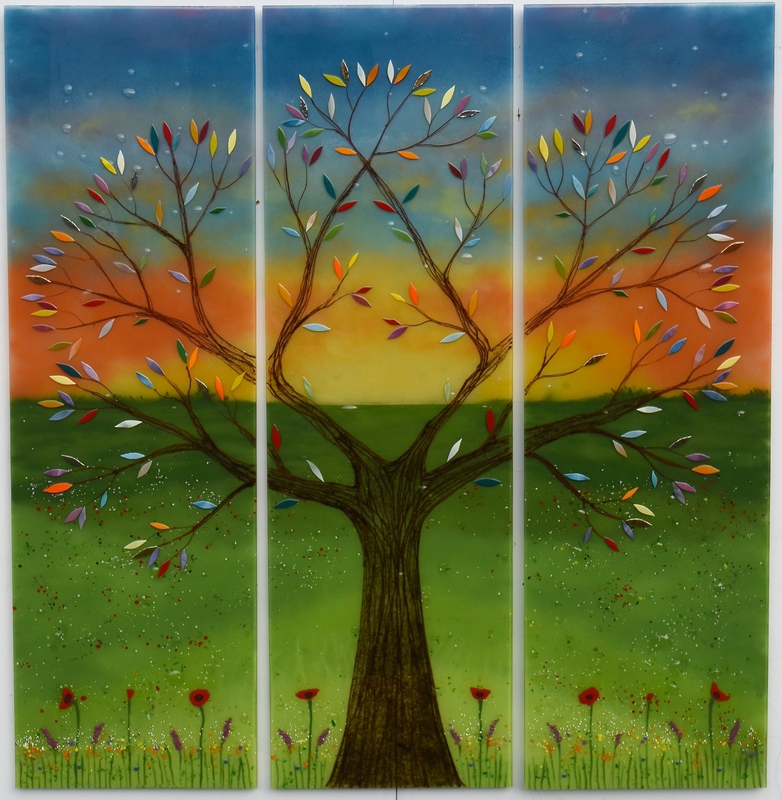 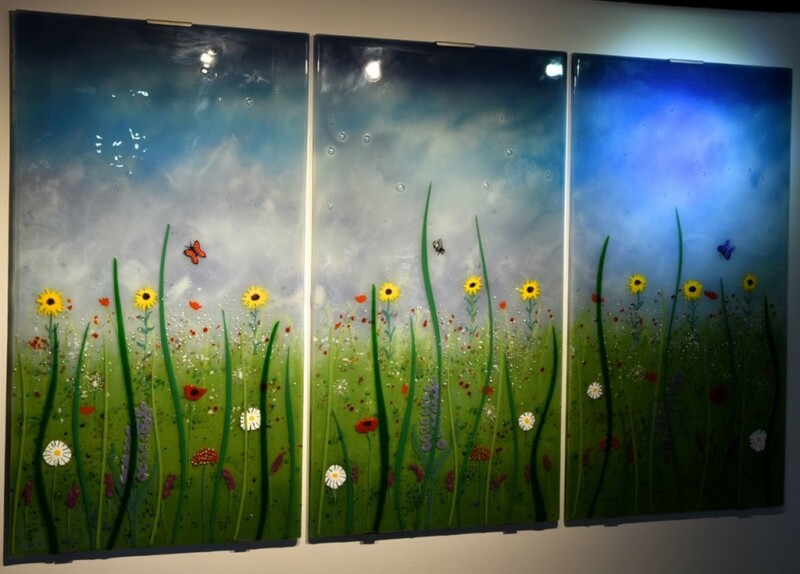 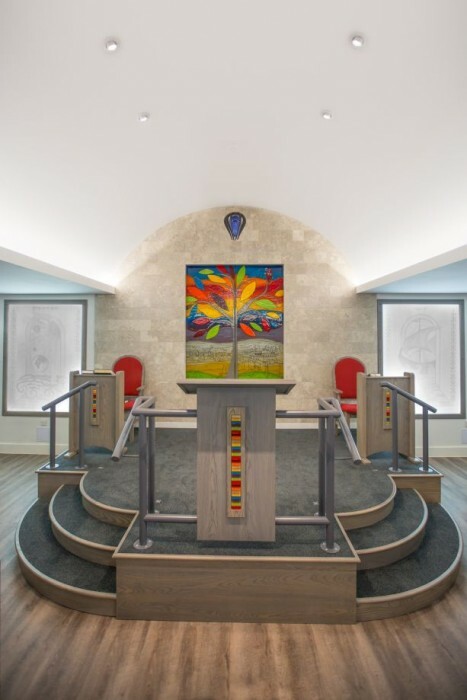 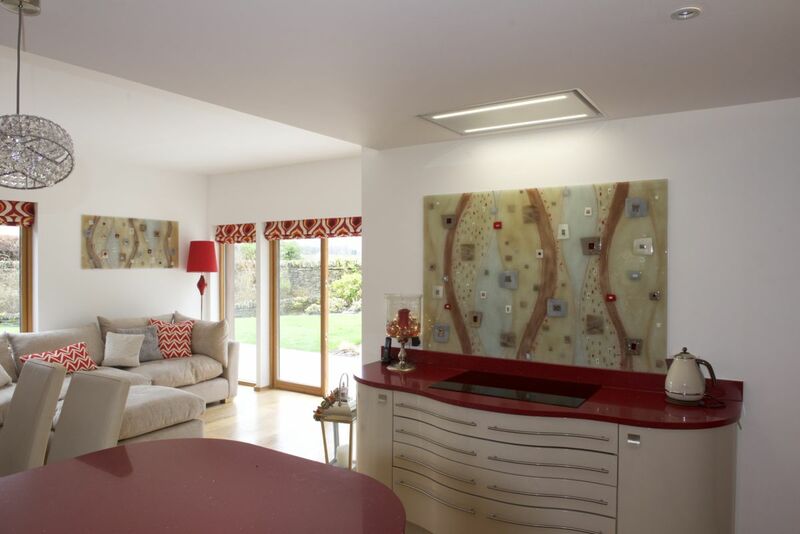 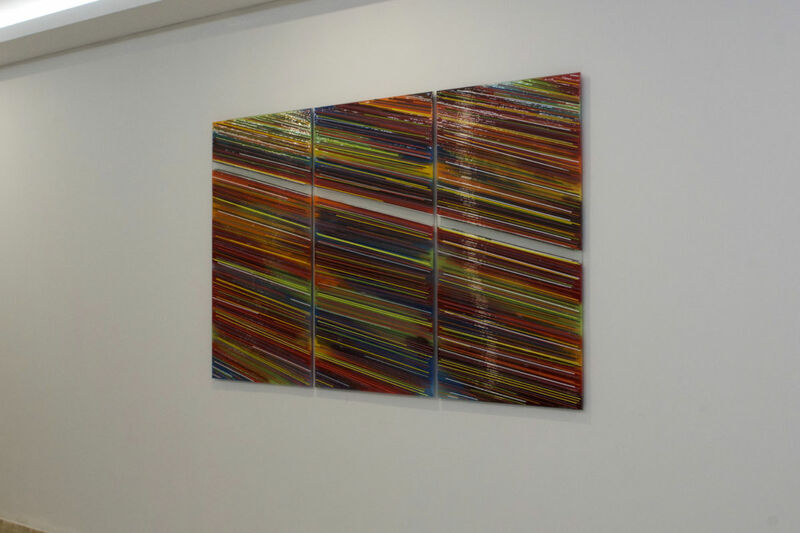 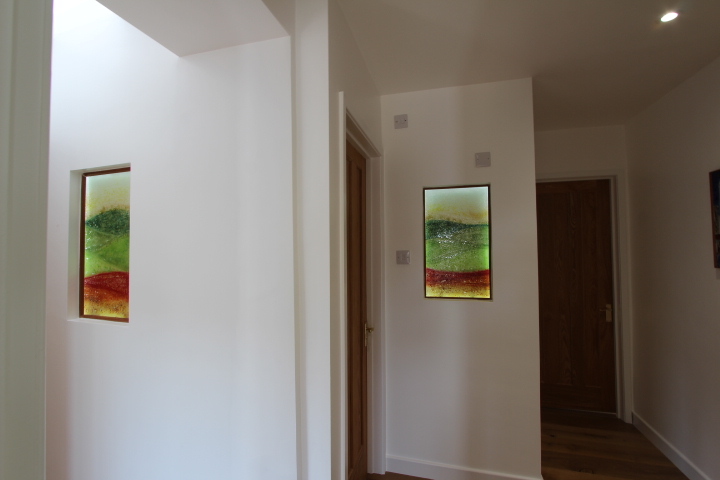 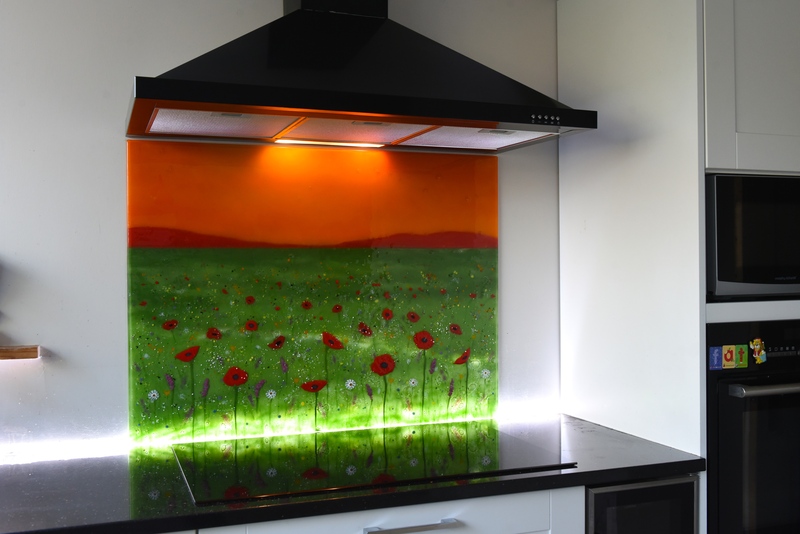 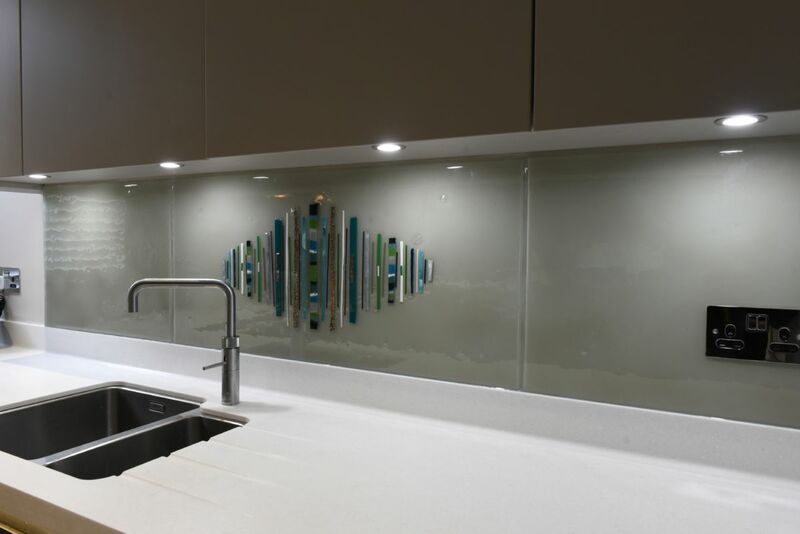 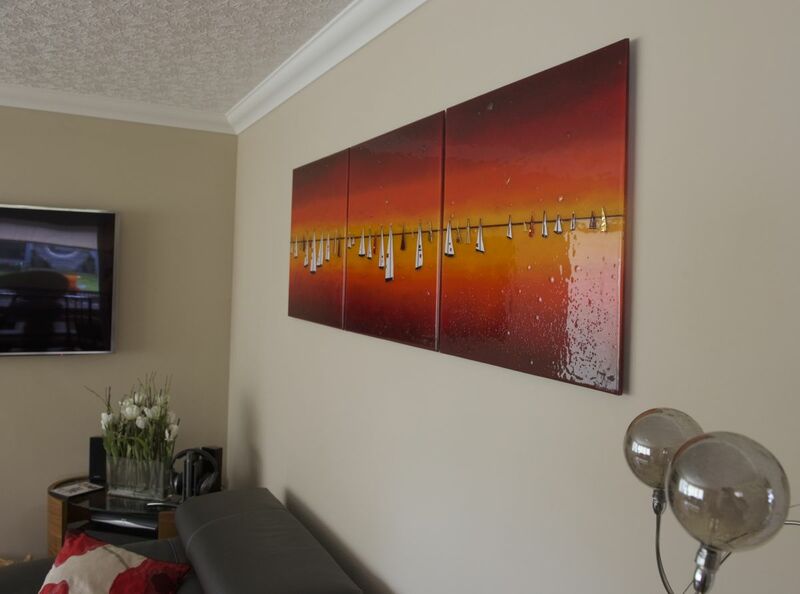 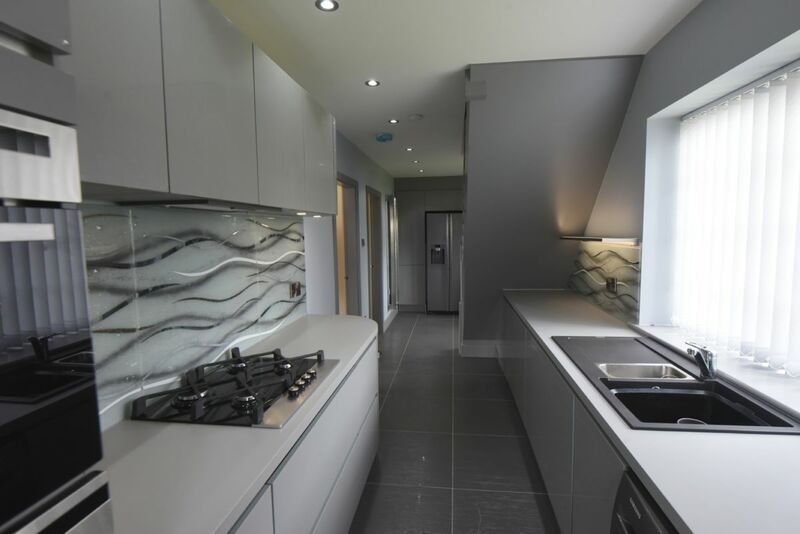 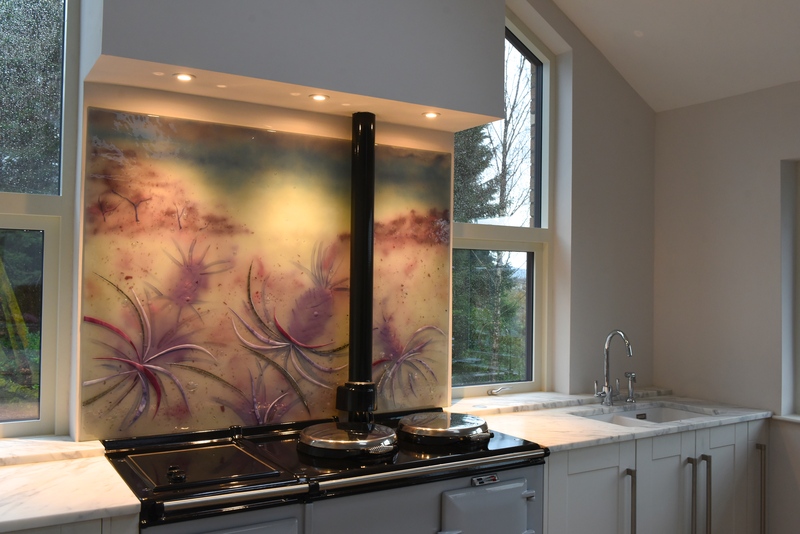 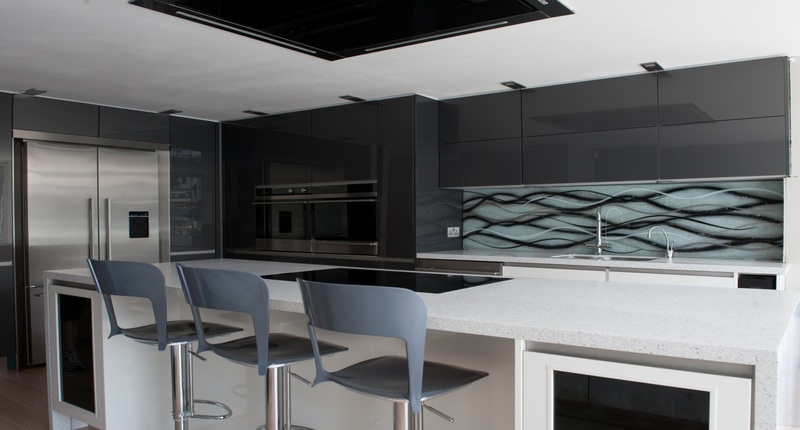 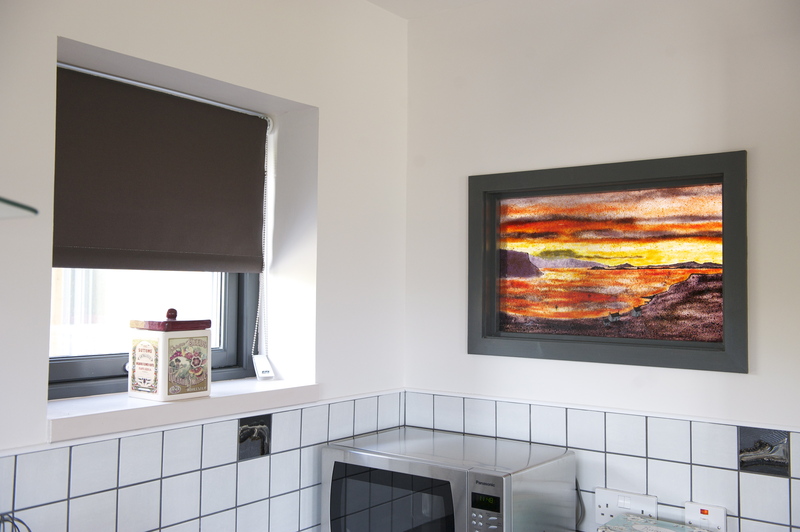 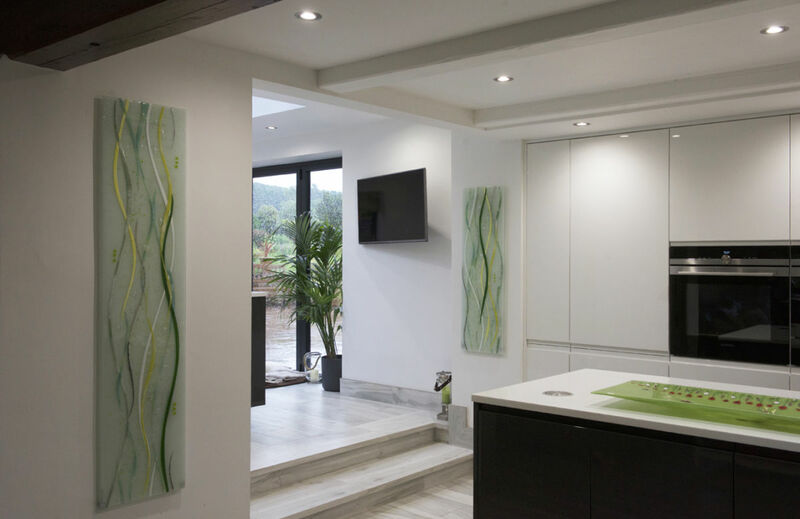 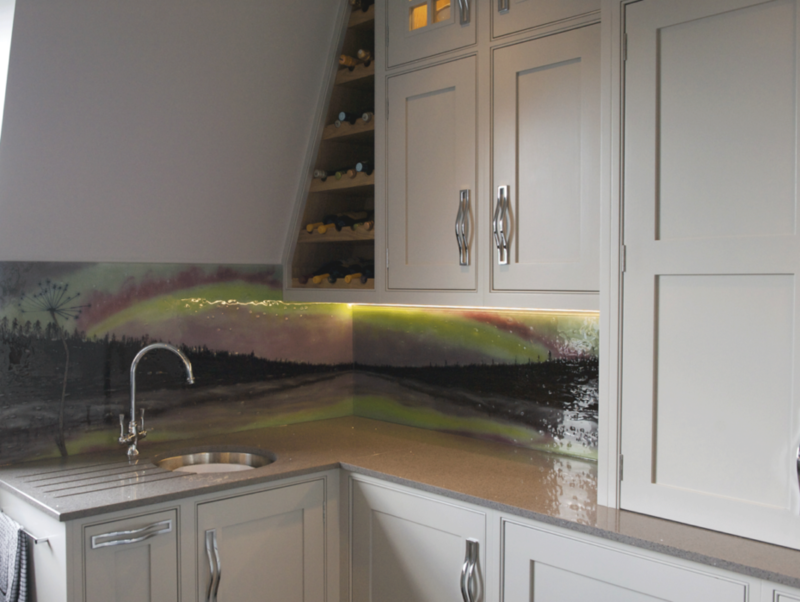 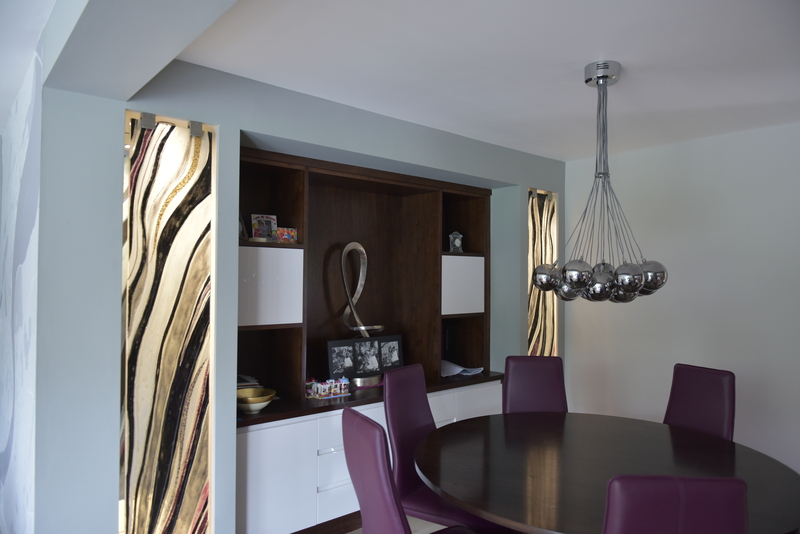 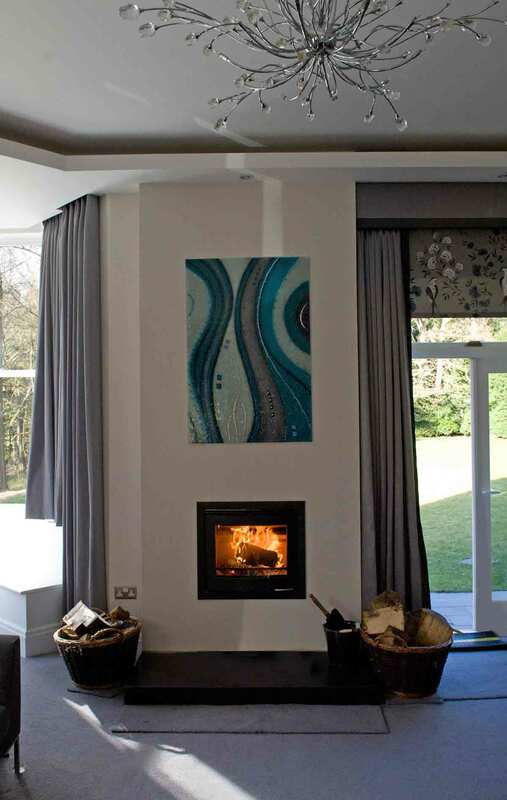 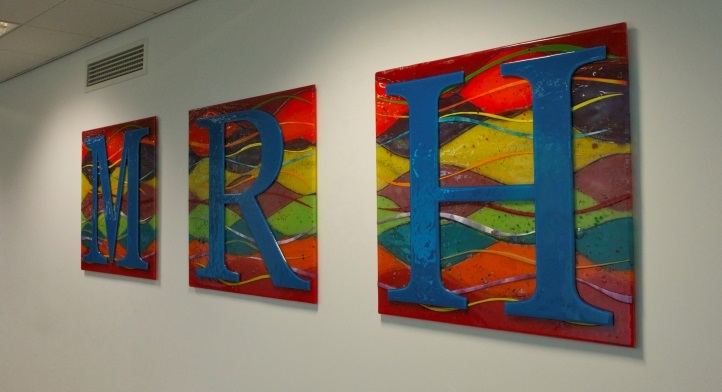 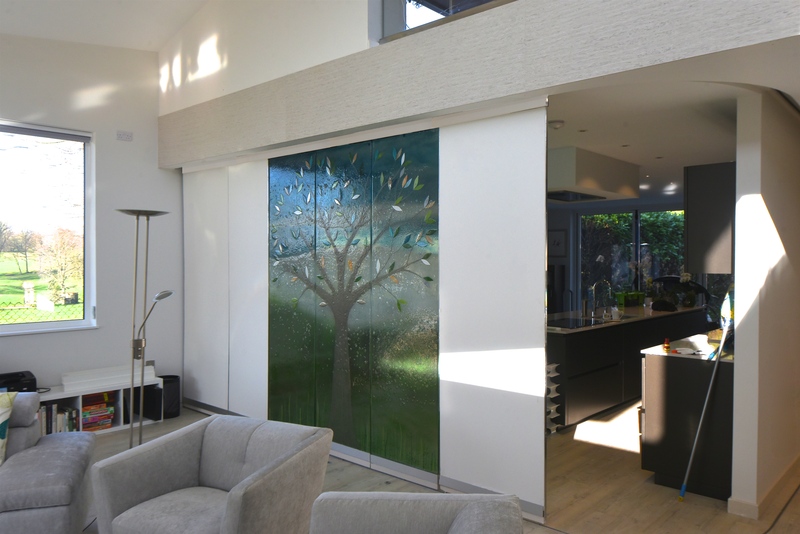 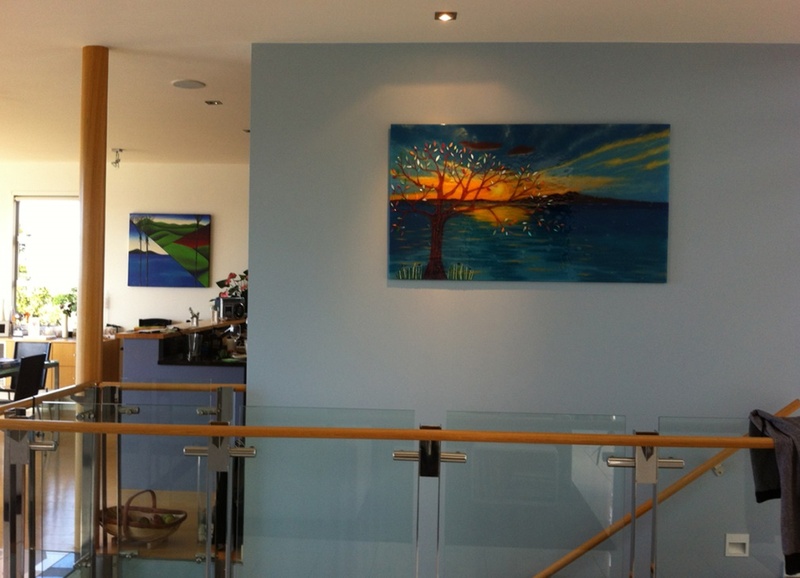 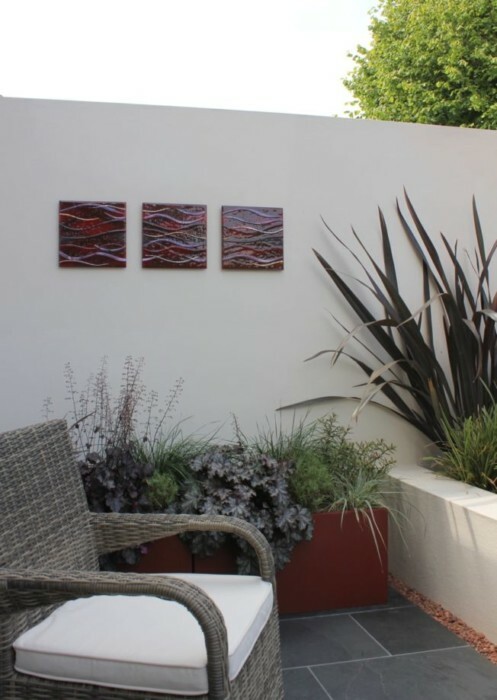 While most coloured splashbacks simply feature a single colour applied to the entire panel, fused glass is more of a canvas on which an incredible design can be brought to life. 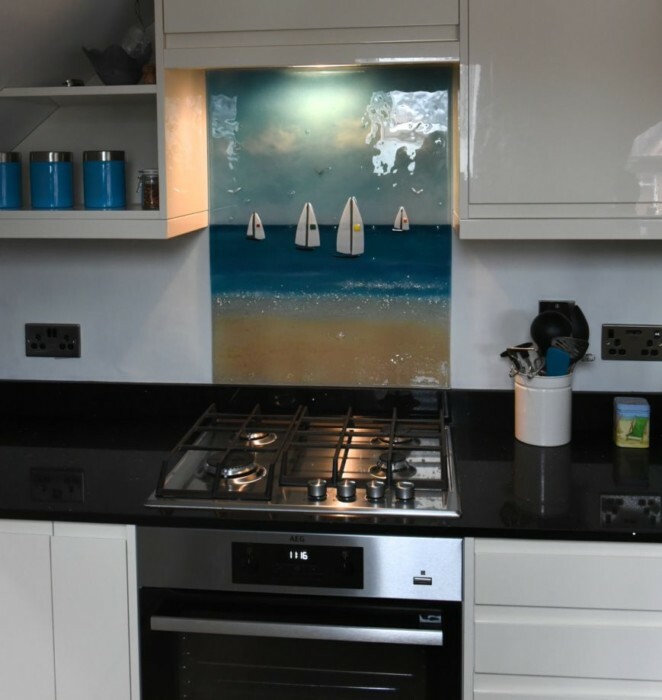 That’s not to say that we don’t like the simple approach, of course, we just know that there’s so much more you can do to make your kitchen truly look the way you want. 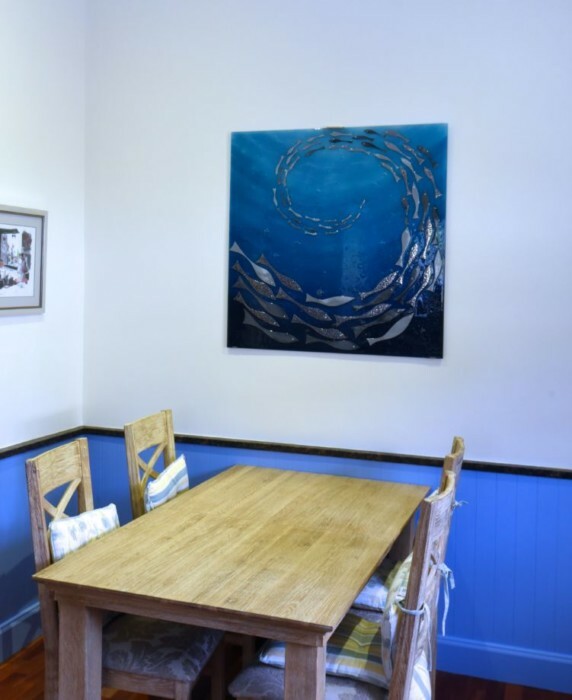 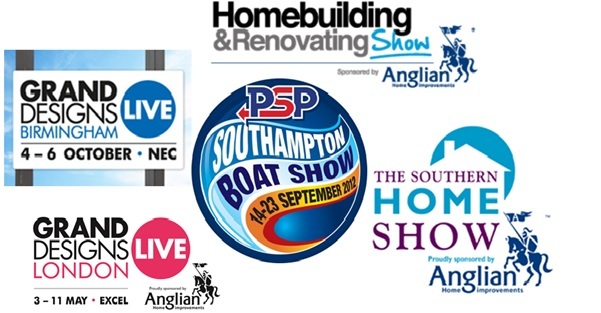 That should be clear to see for anyone who’s ever had a look through our tremendously diverse portfolio of previous work. 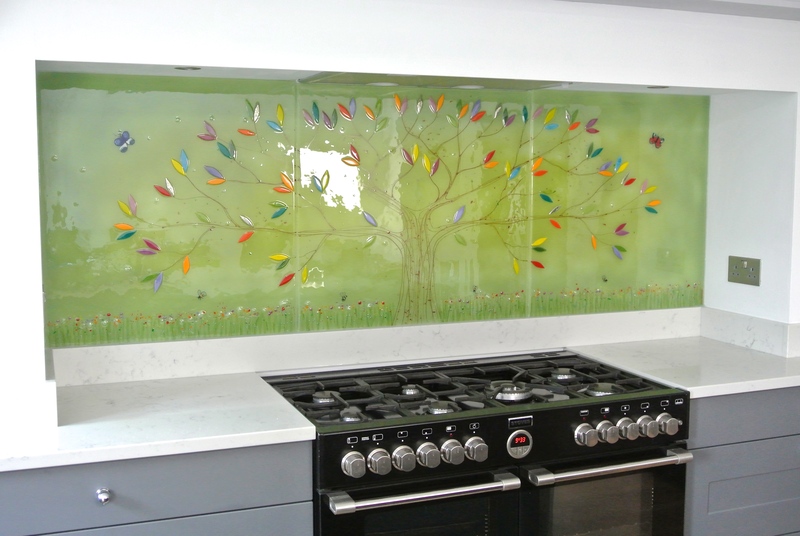 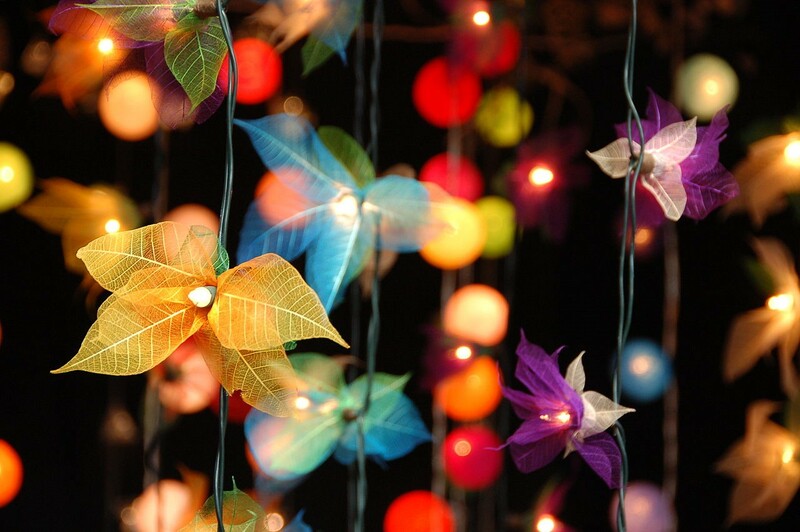 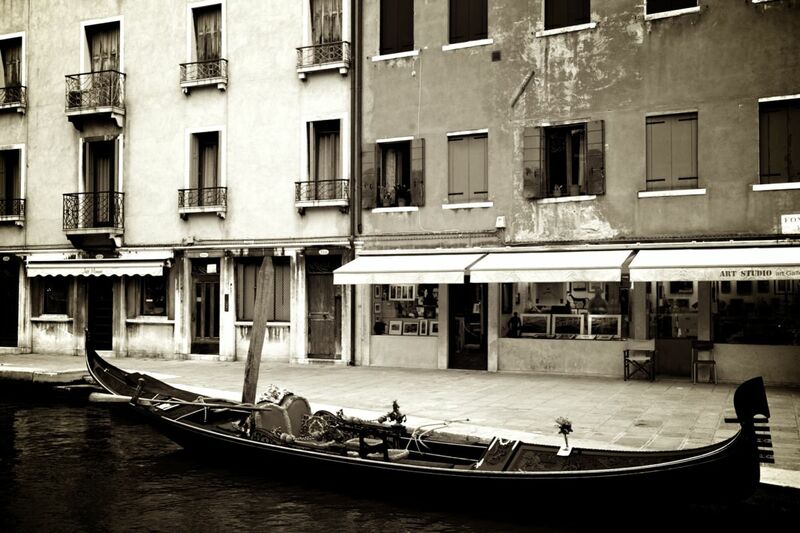 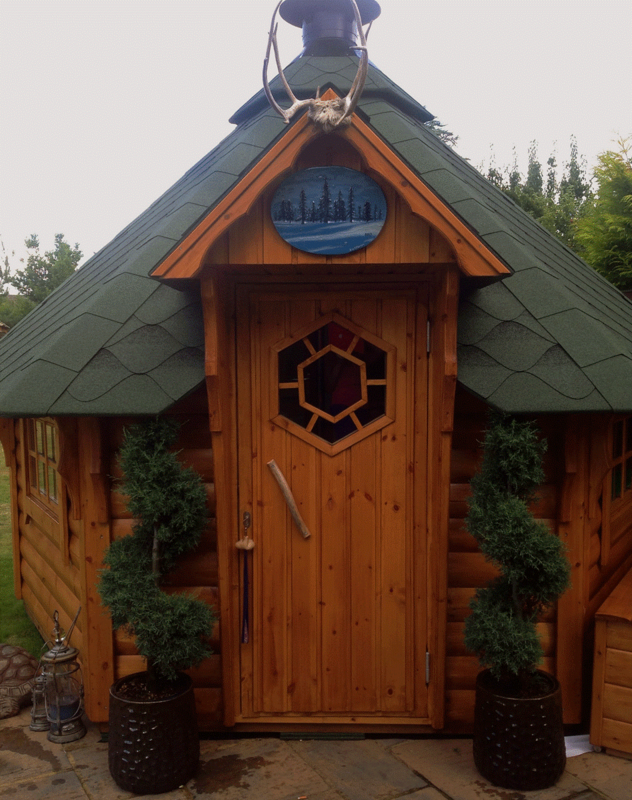 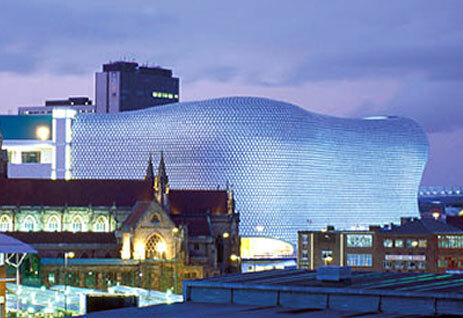 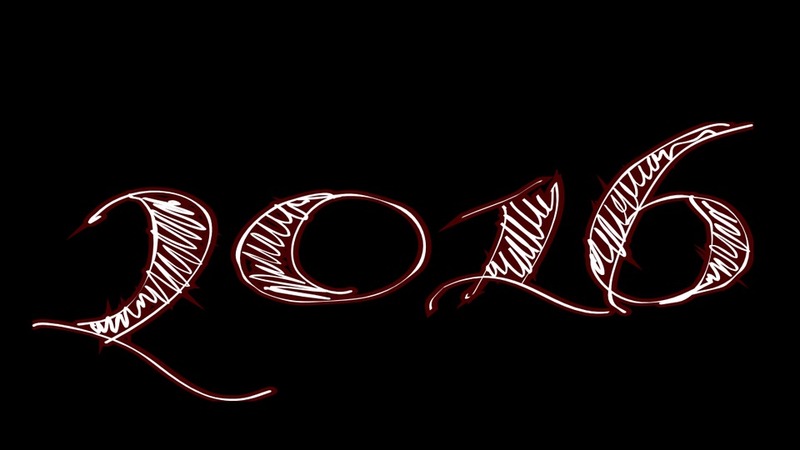 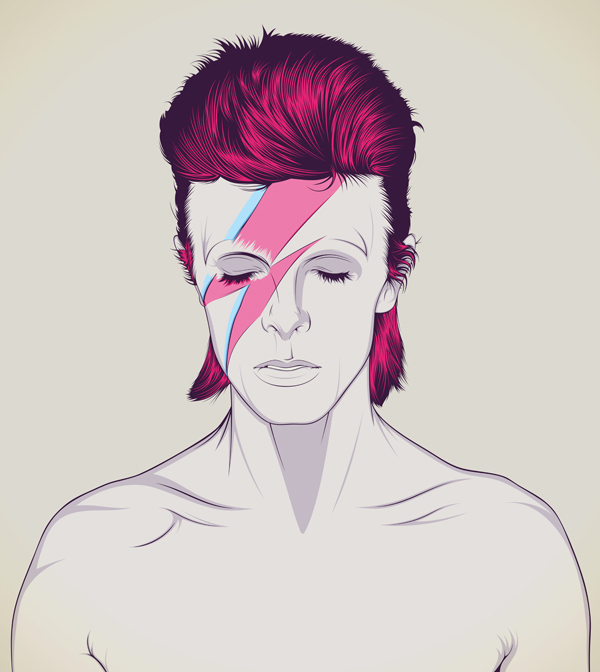 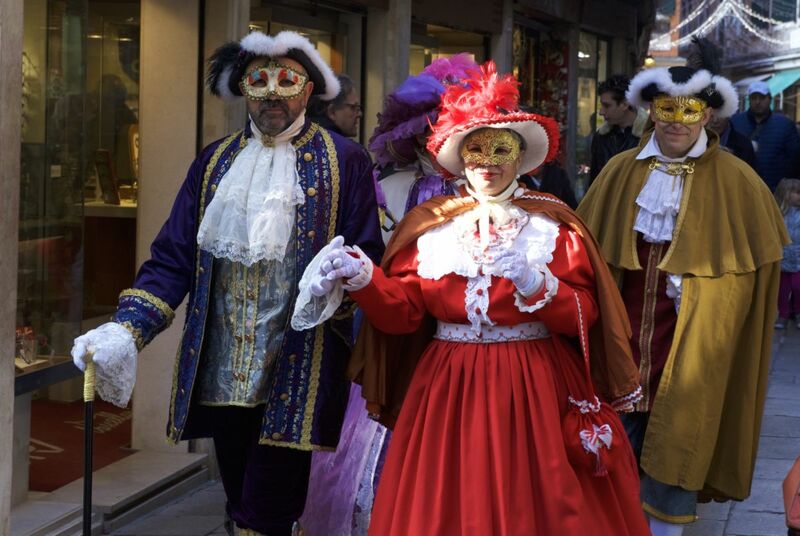 Customers always bring us interesting ideas that are always changing as time goes on! 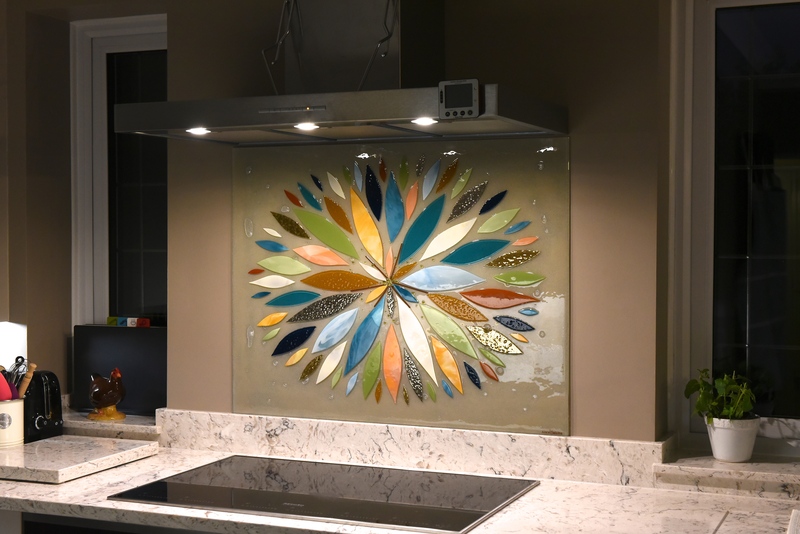 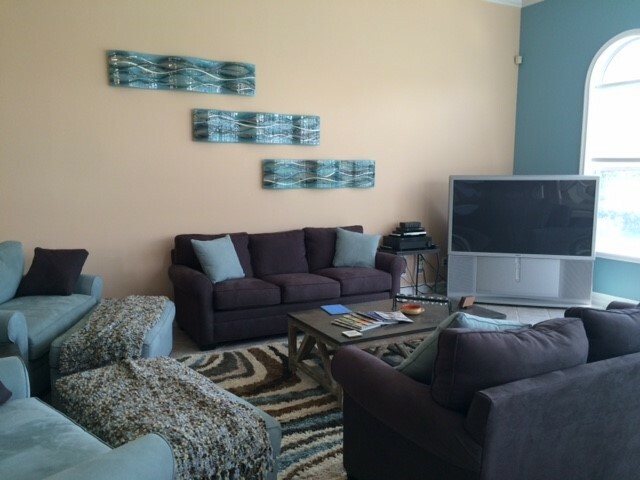 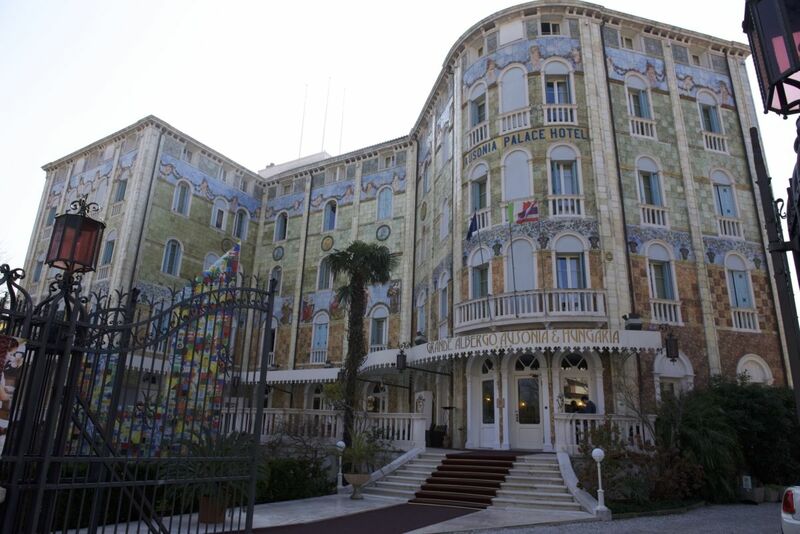 One piece could be a simple Dalaman in monochromatic hues while the next could be a grand wall panel featuring all the colours of the rainbow. 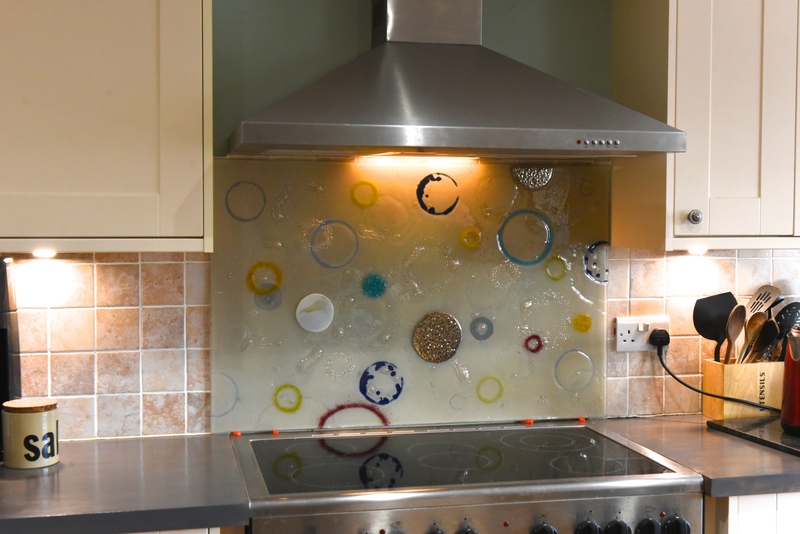 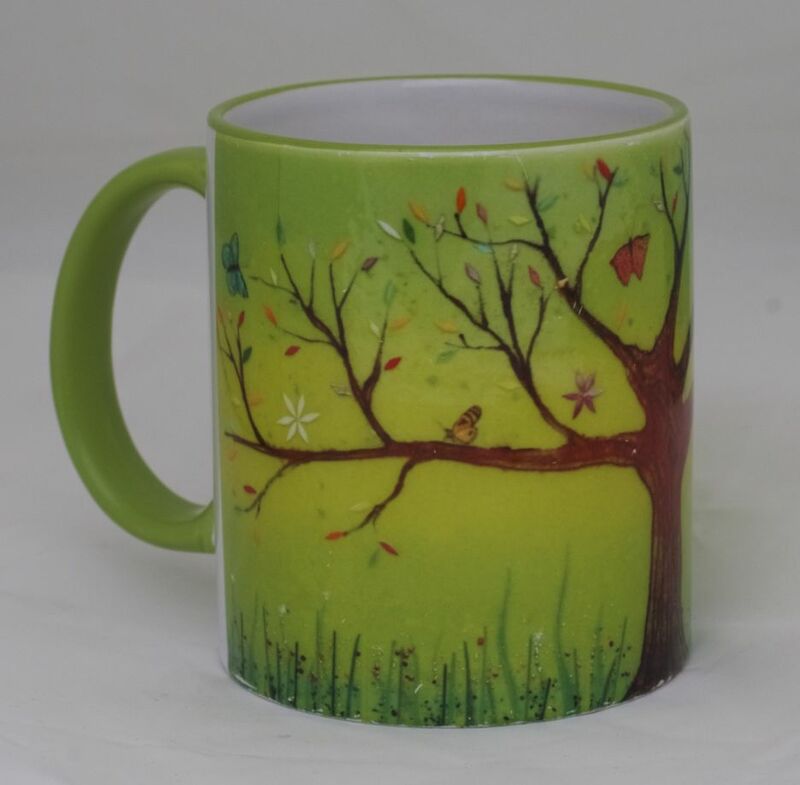 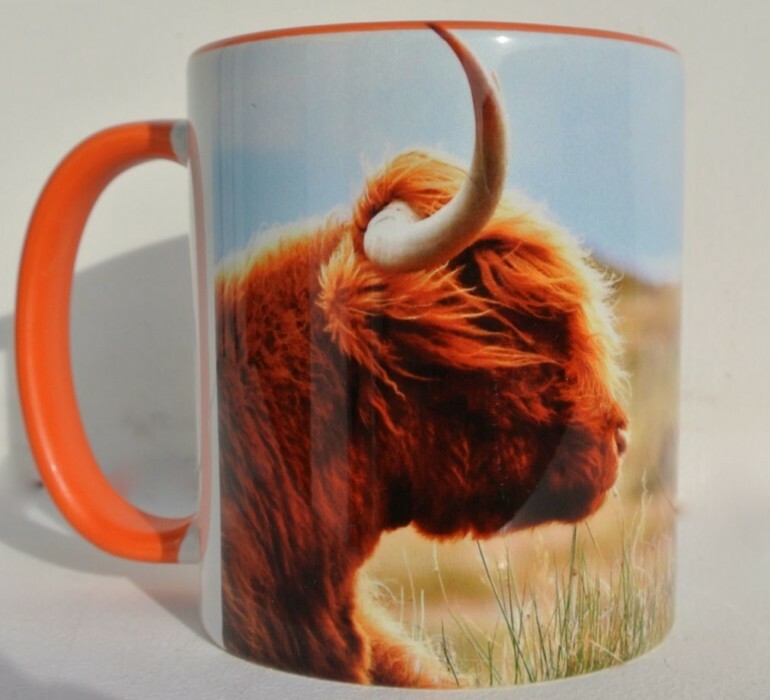 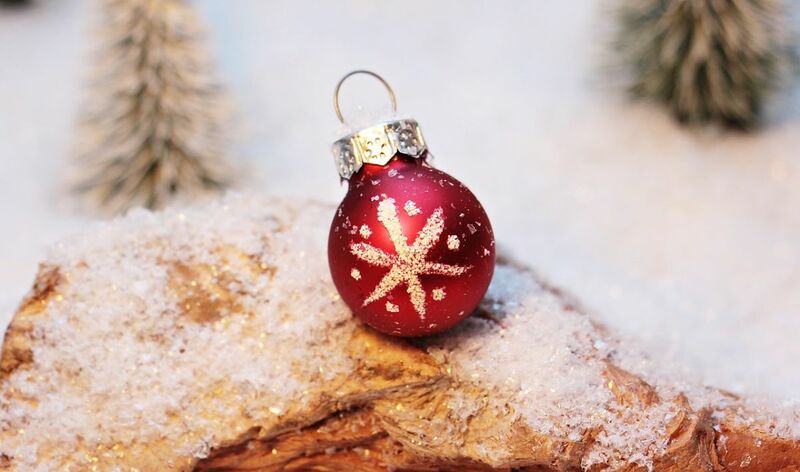 We also create smaller accessories and products such as drinks coasters and decorative bowls, so when we say your imagination is the limit, we truly mean it. 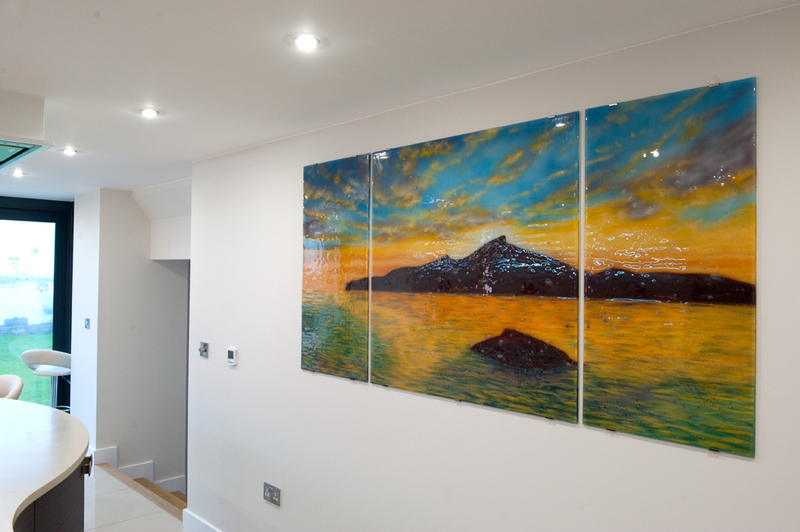 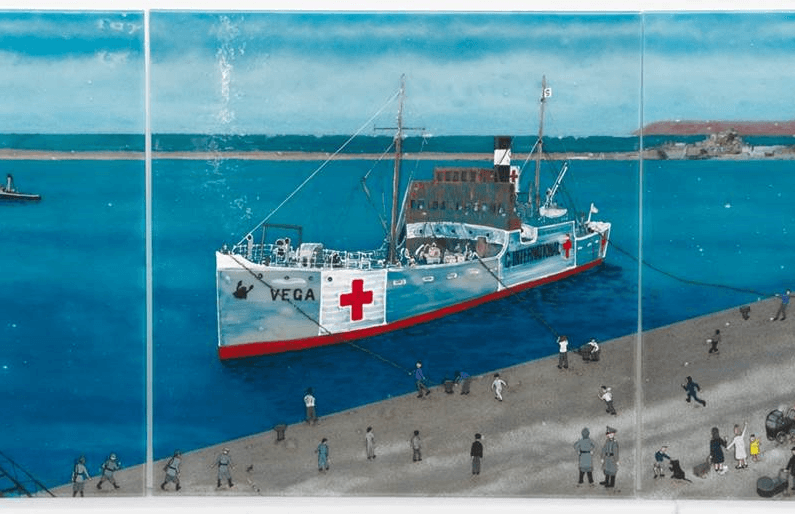 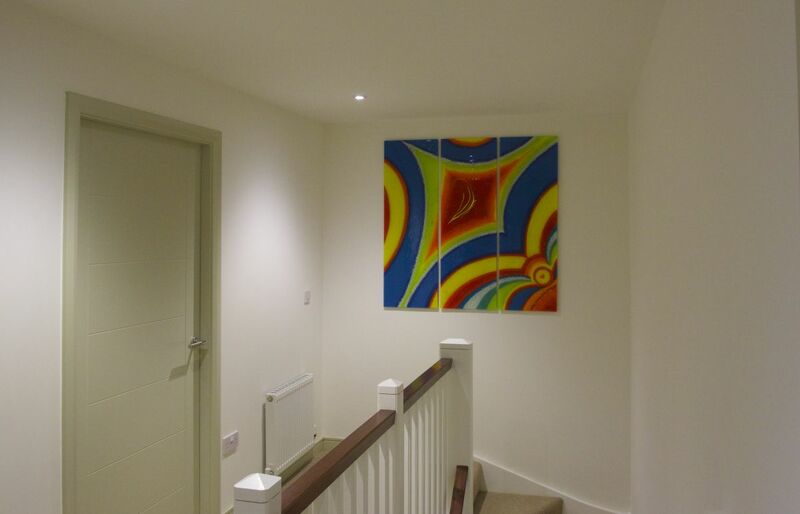 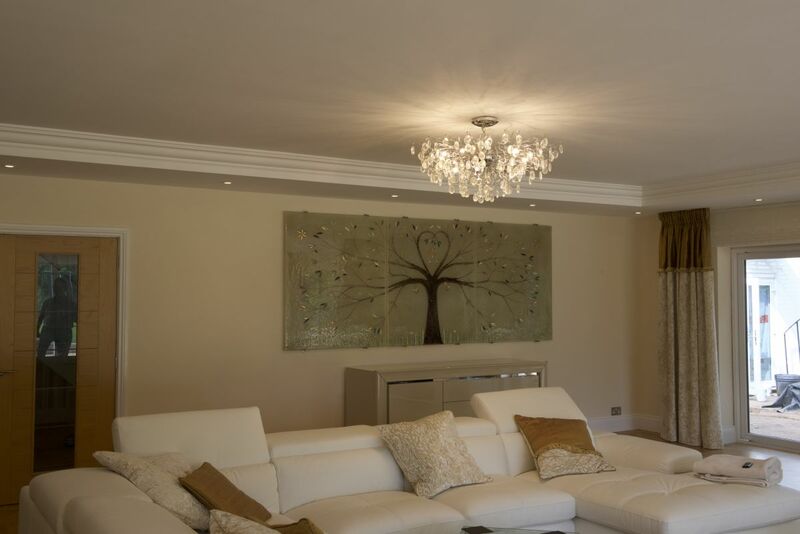 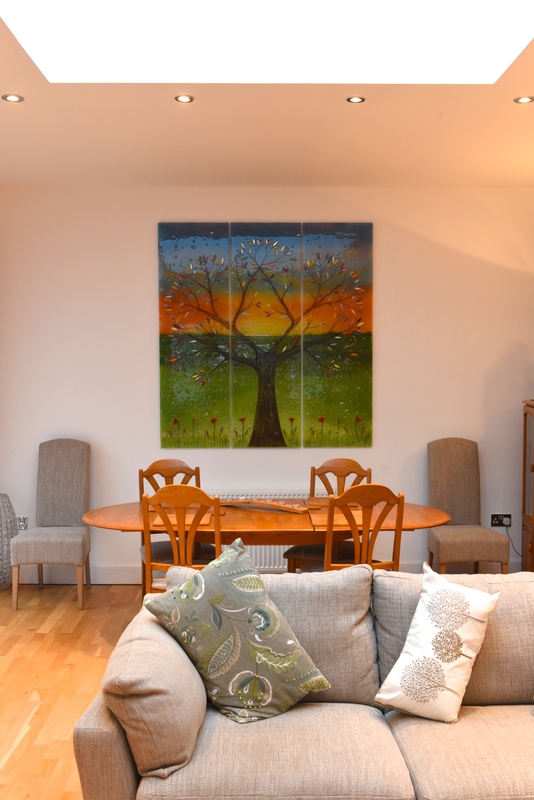 Paintings are also one of the things that we get requested to do the most, believe it or not, as they translate incredibly well with the right touch and always come out looking great. 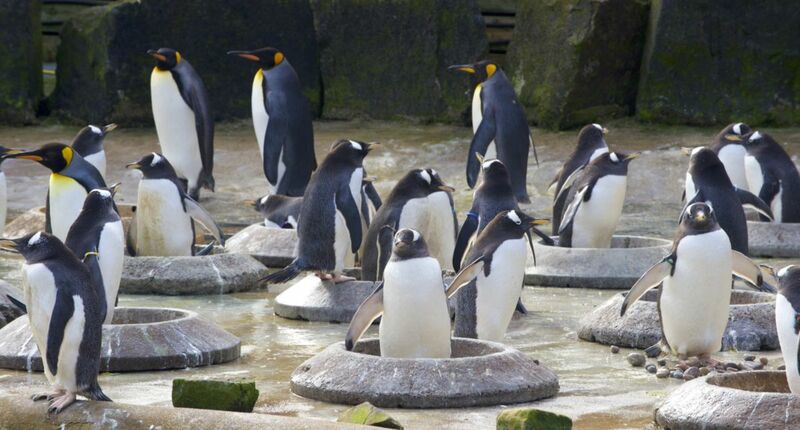 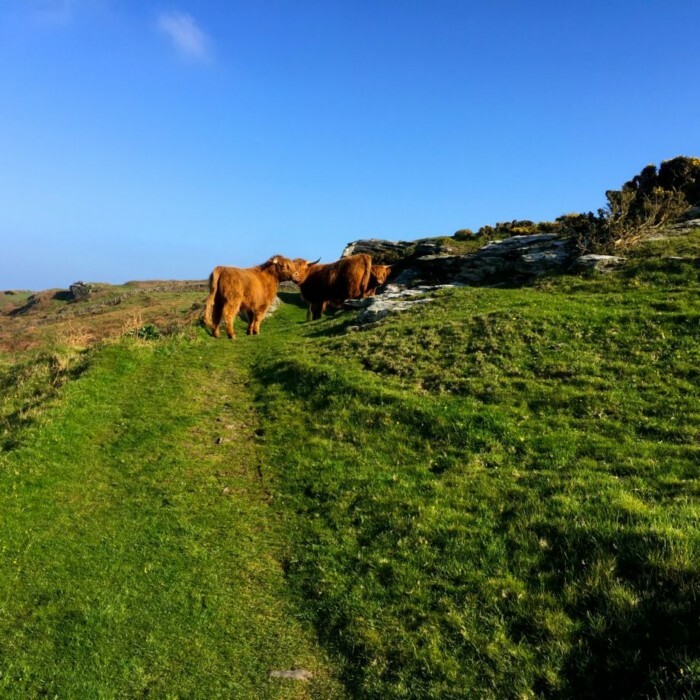 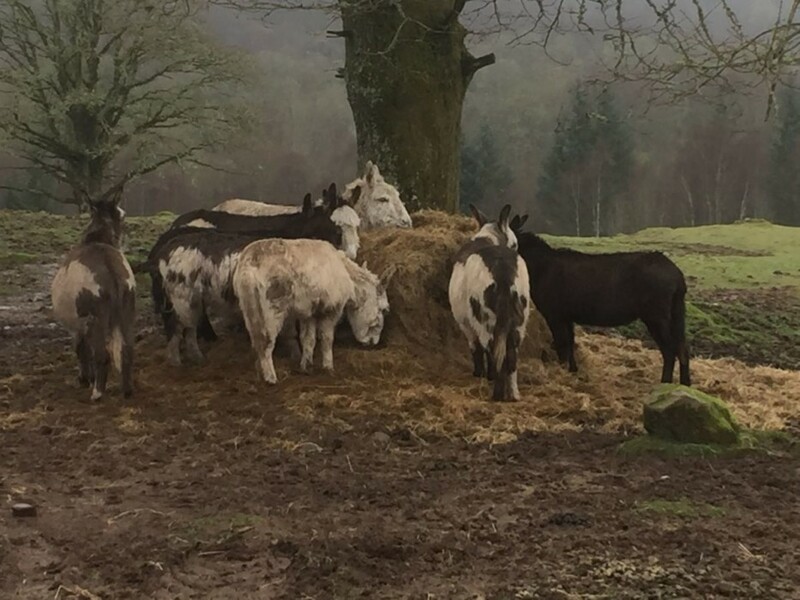 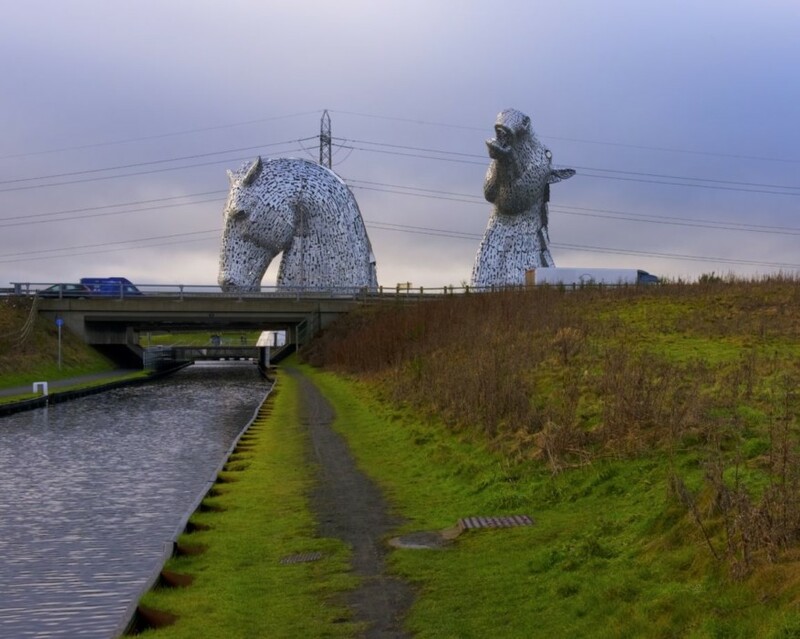 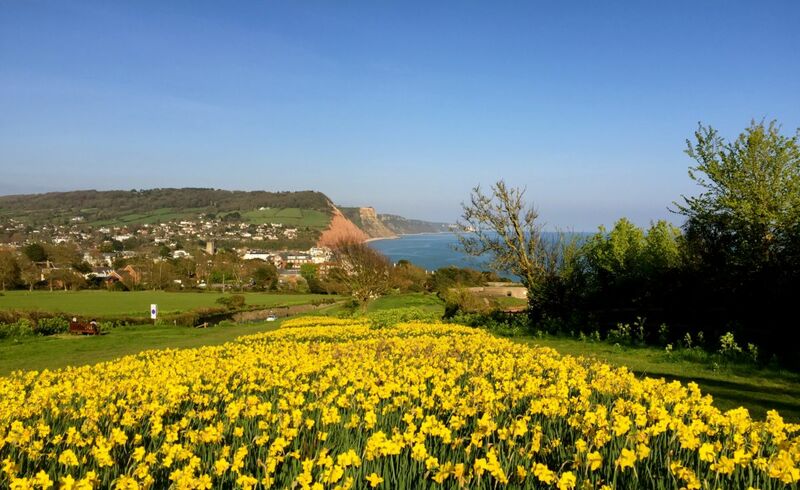 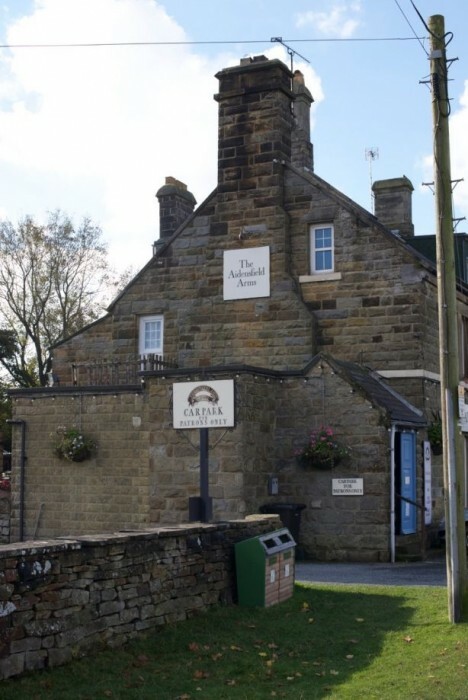 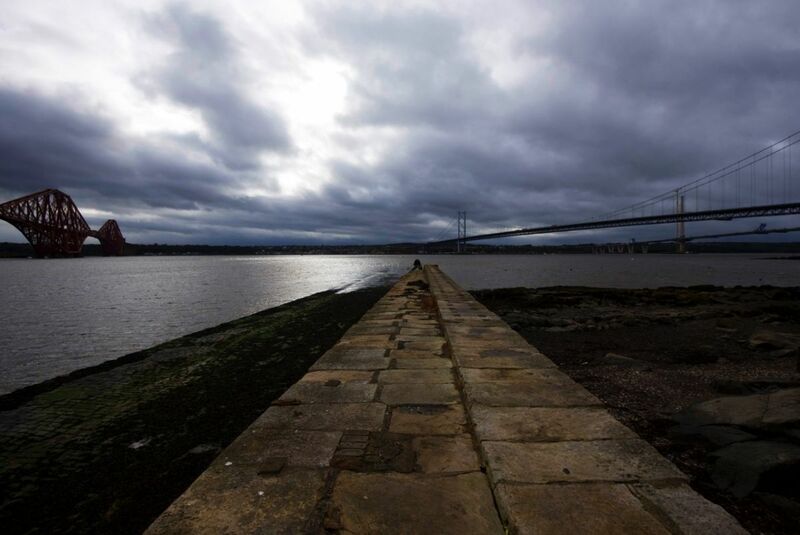 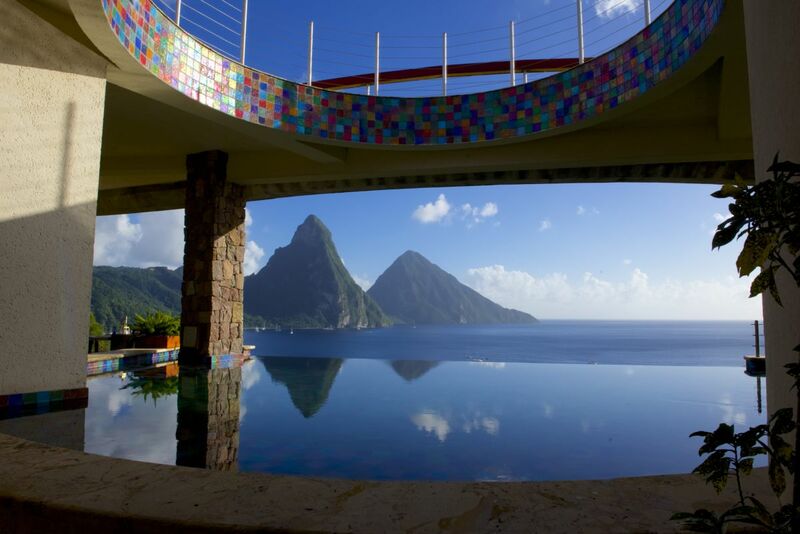 From picturesque landscapes featuring rolling hills and gorgeous skies, something that Lisa has been particularly complemented on, all the way to seaside towns and beaches complete with pets out for a walk, there’s really no limit to what you could have translated. 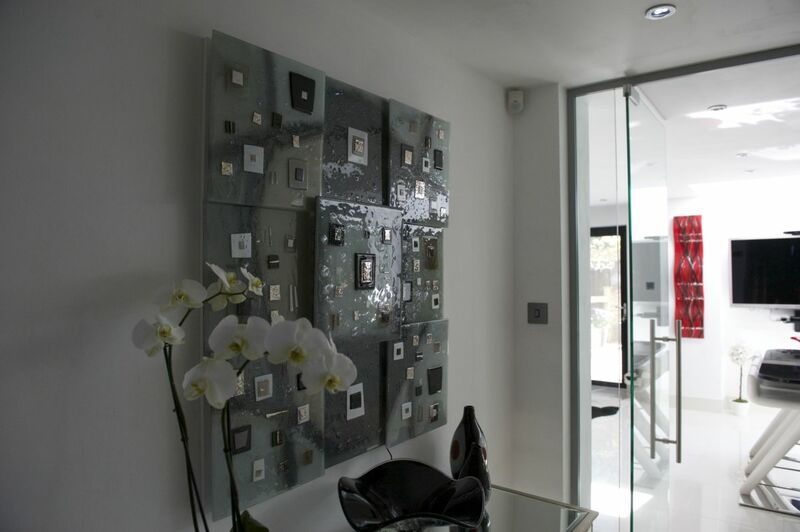 When all is said and done, you’re guaranteed to have your hands on something that’s unique, special and absolutely stunning. 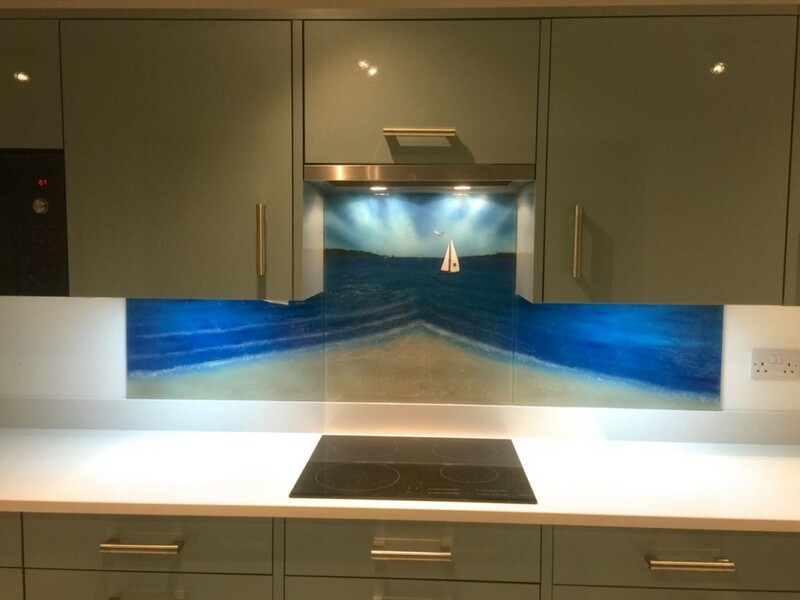 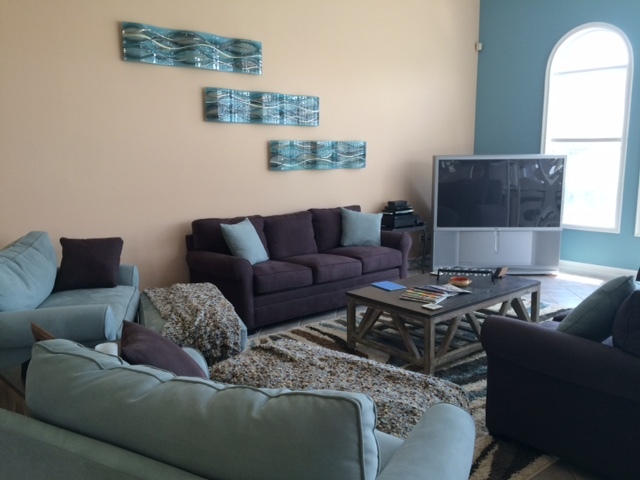 No other home will have a piece like it! 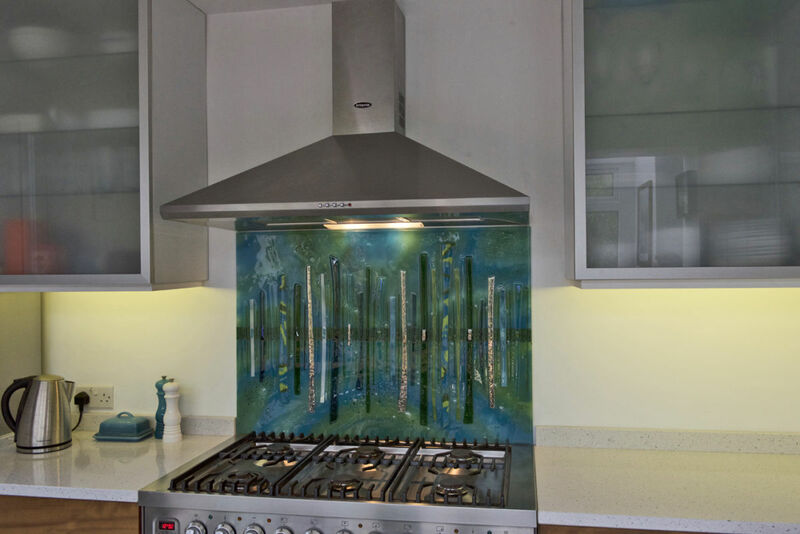 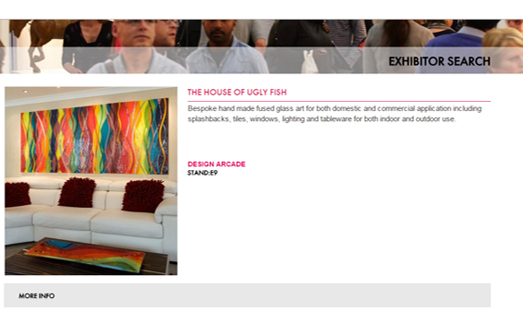 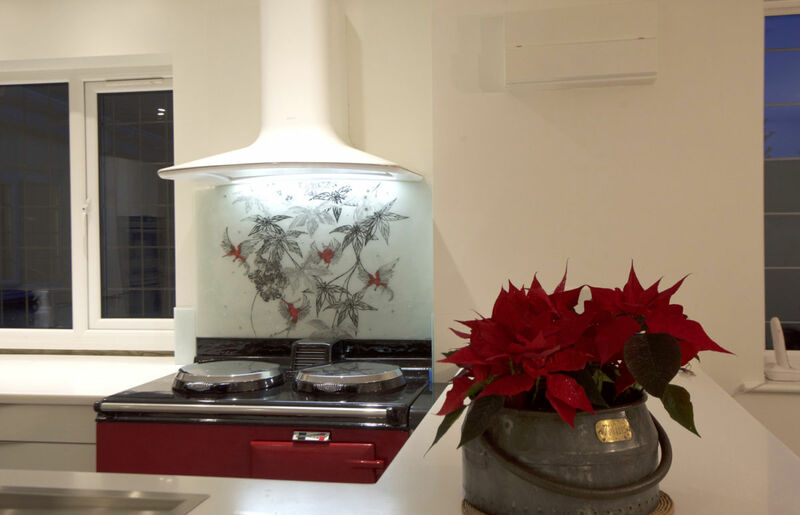 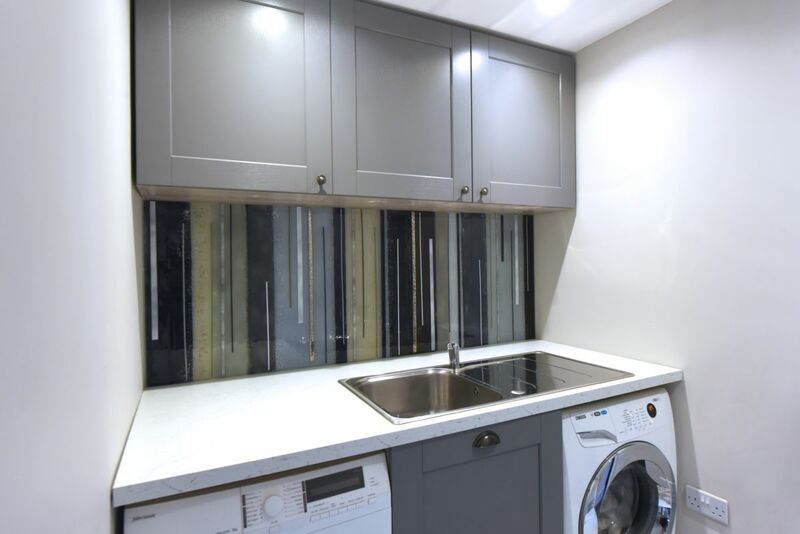 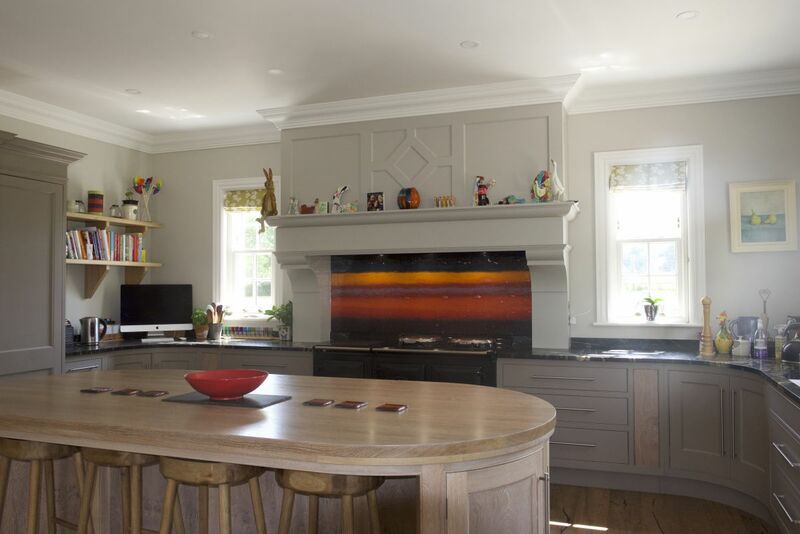 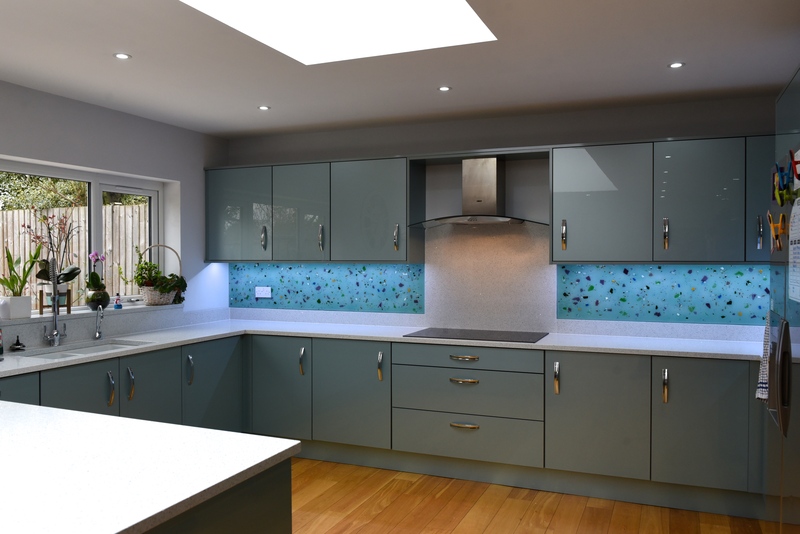 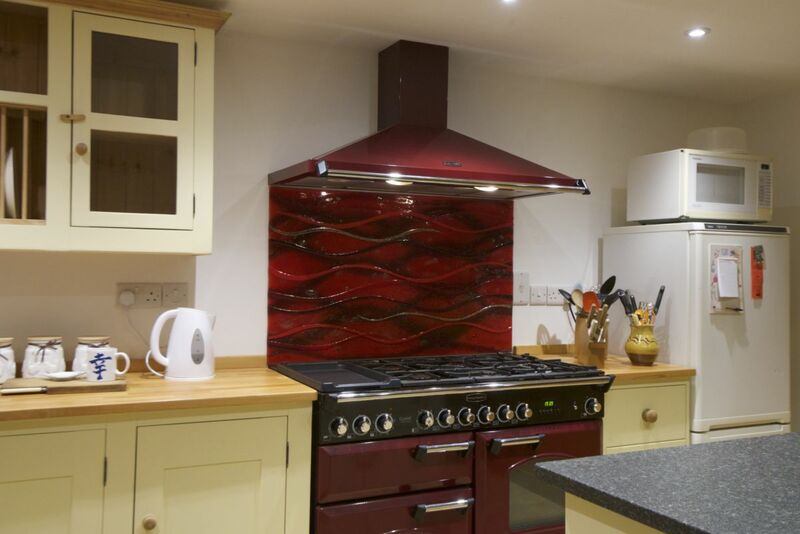 If you happen to come across coloured splashbacks for the kitchen, but you find yourself wanting something a little more when you do, then you’ll probably want to see what The House of Ugly Fish could do for you next. 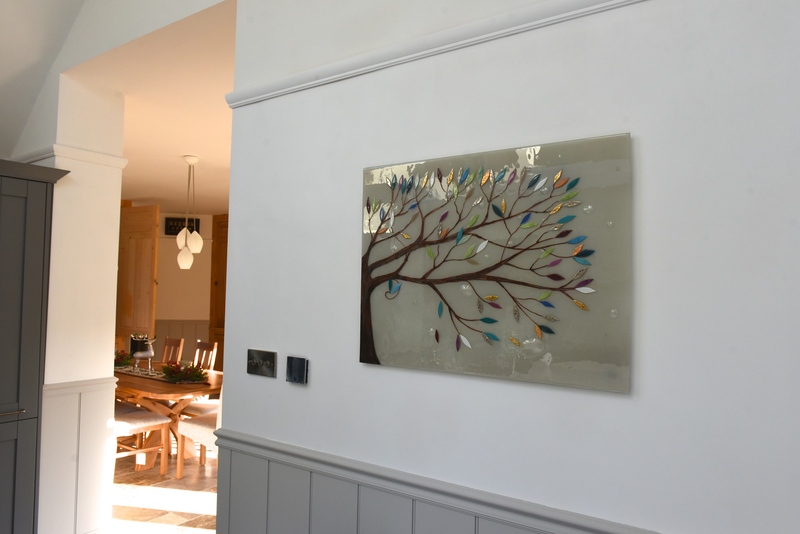 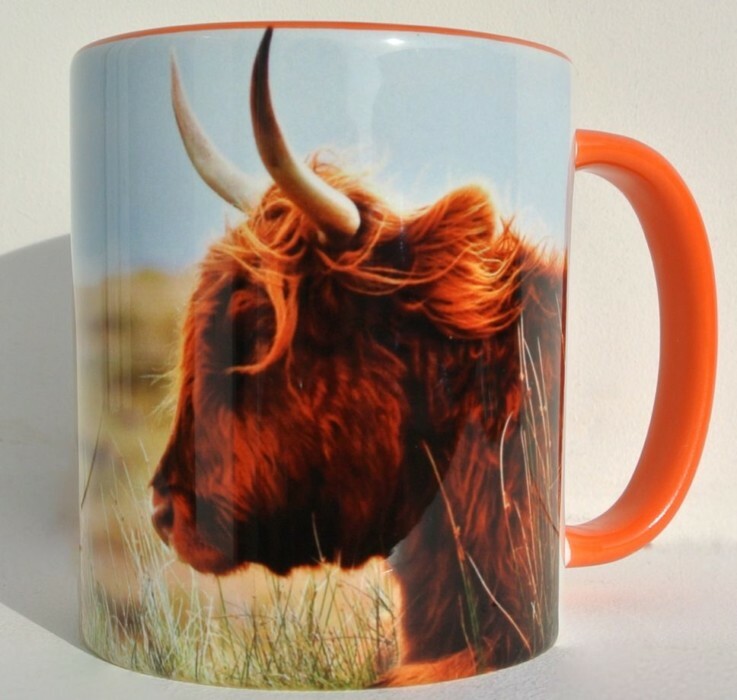 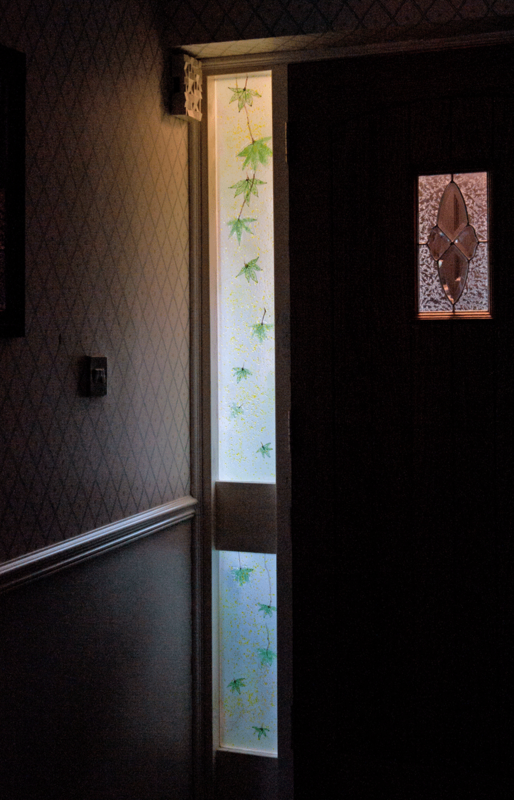 We’re ready to get started on the perfect personalised piece of glass, so make sure you don’t hesitate to pick up the phone and get in touch as soon as you can. 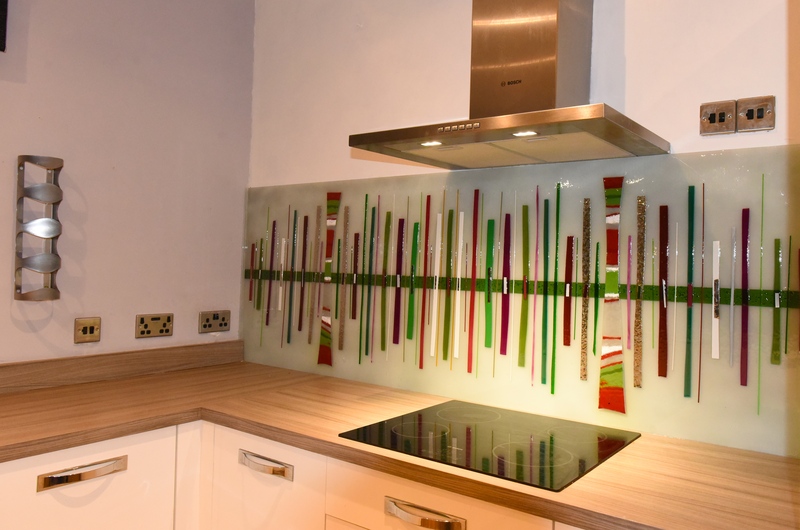 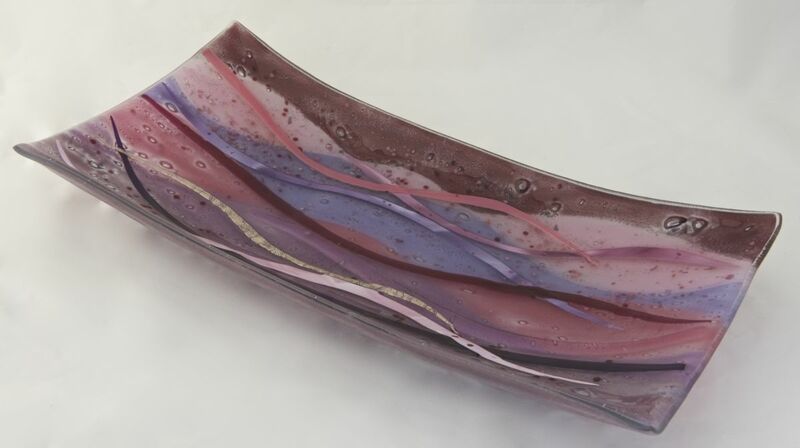 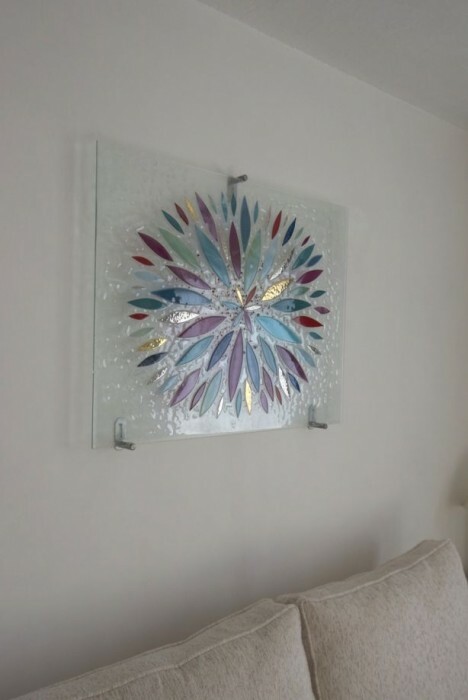 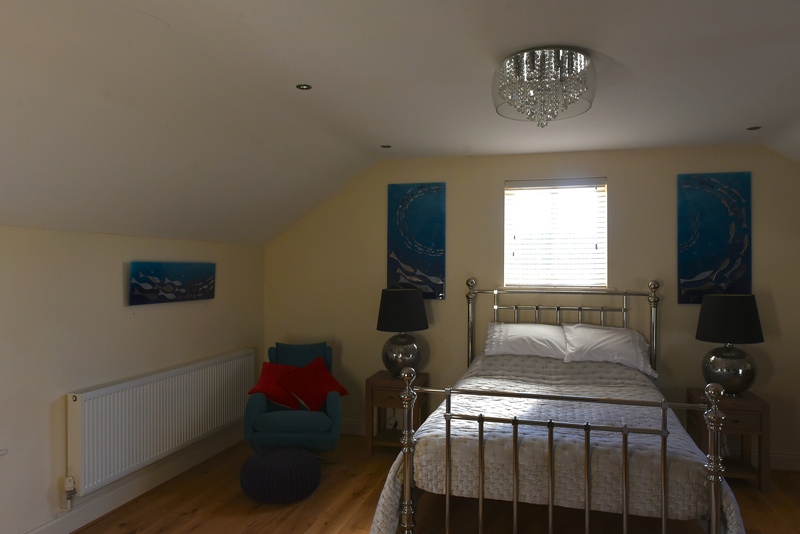 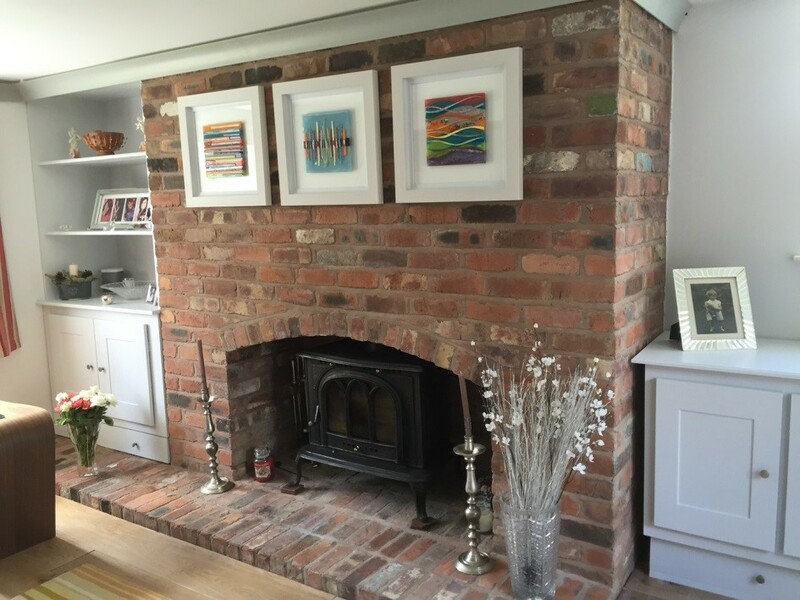 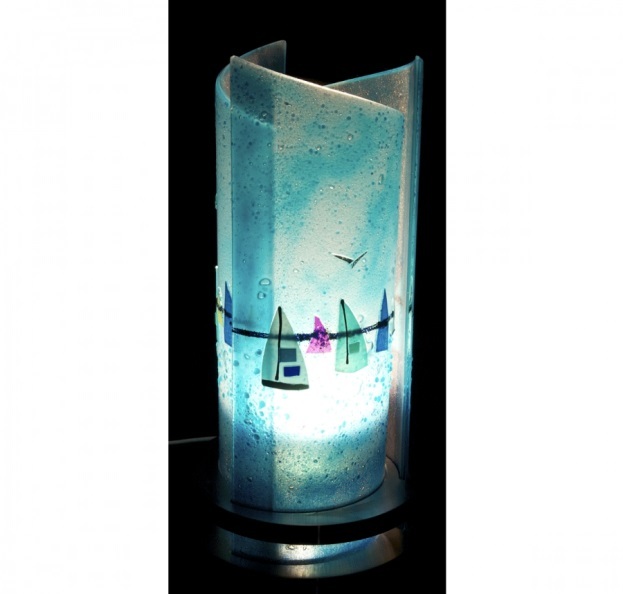 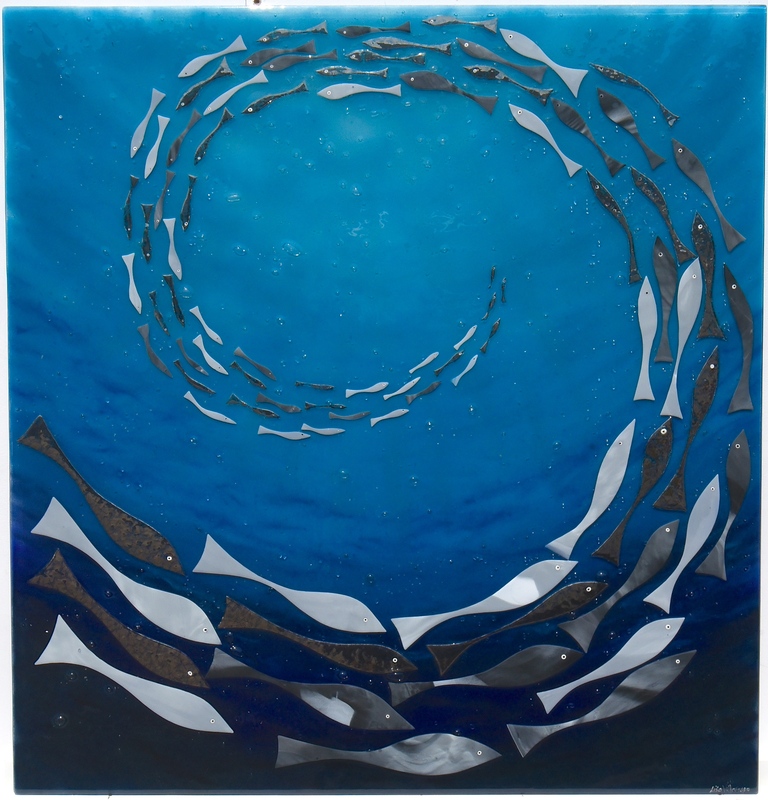 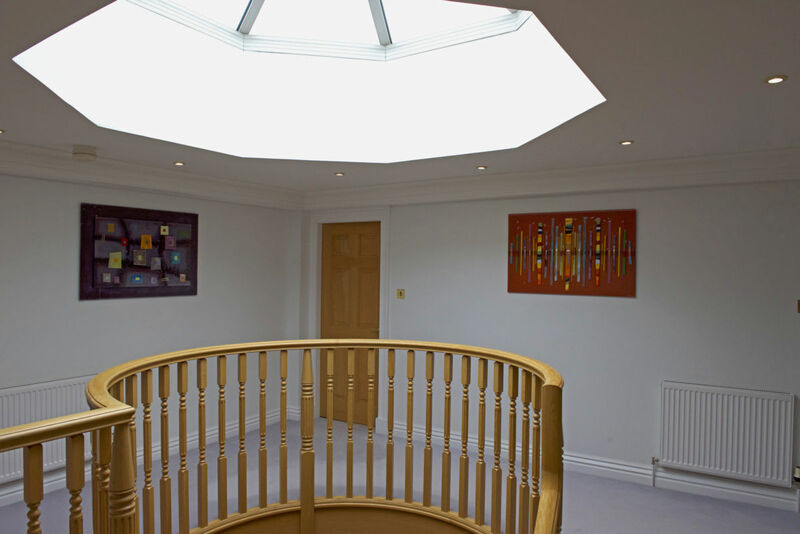 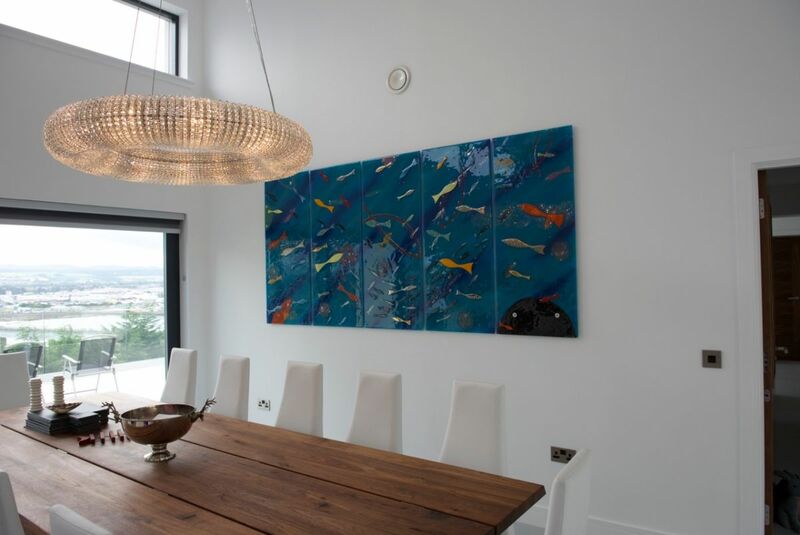 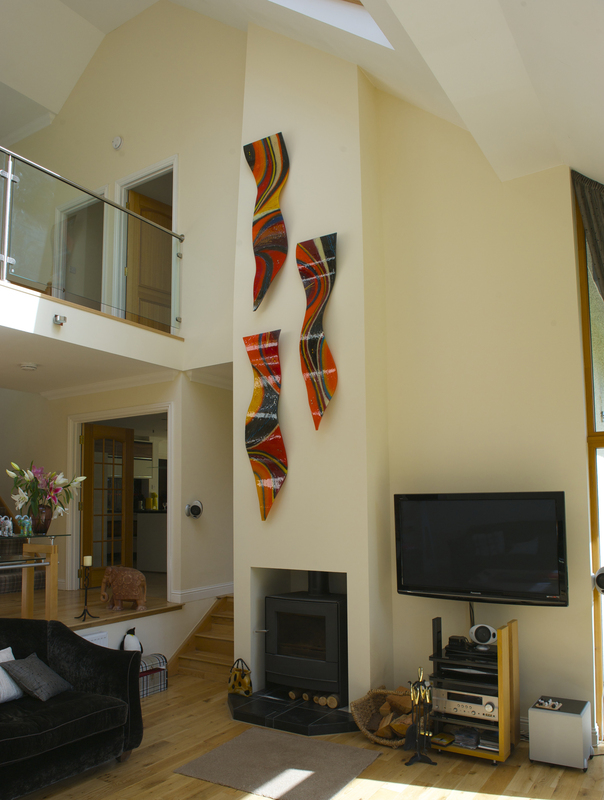 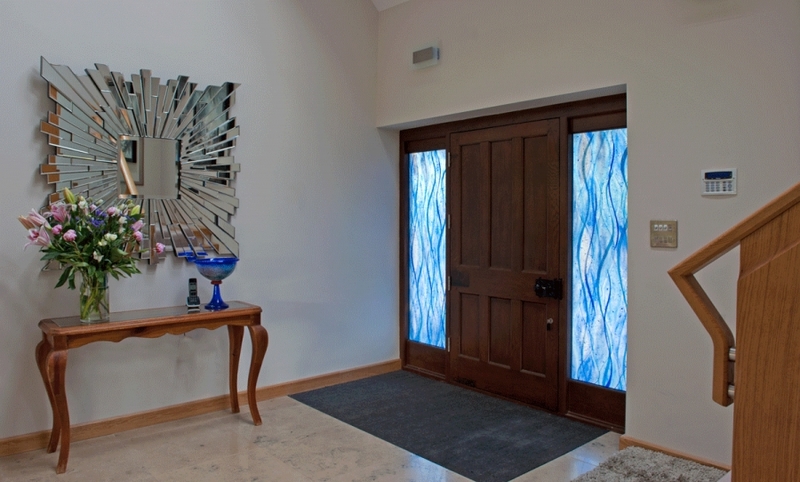 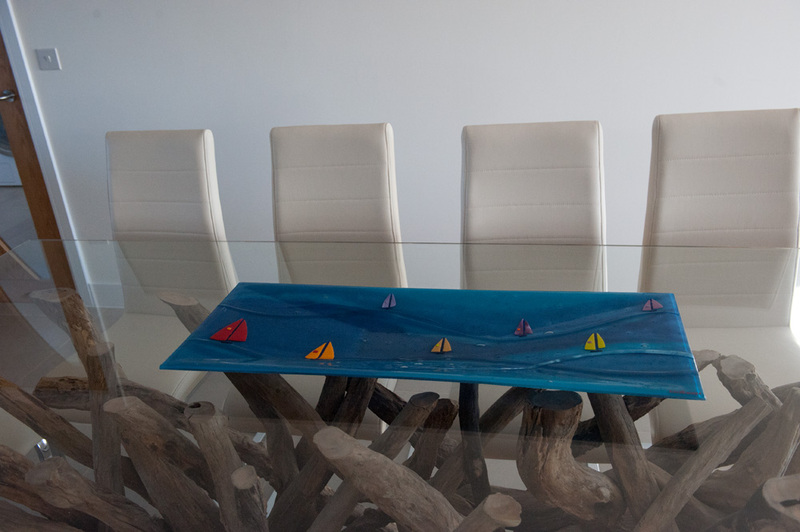 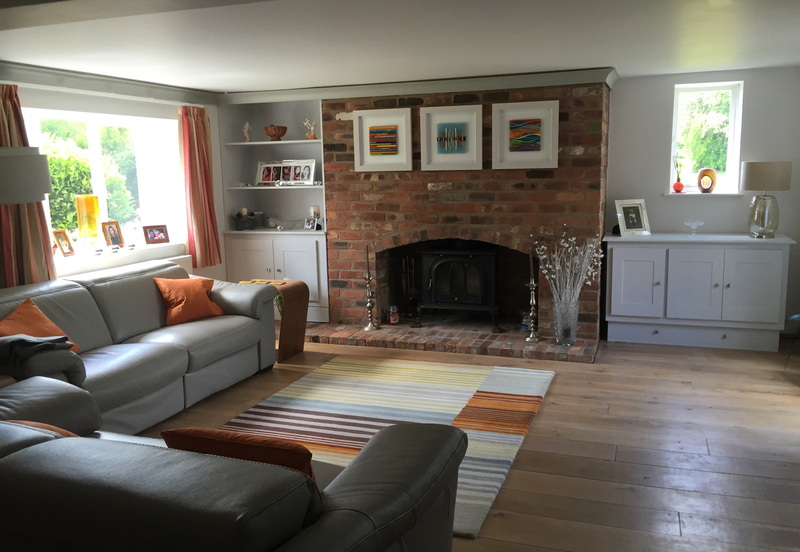 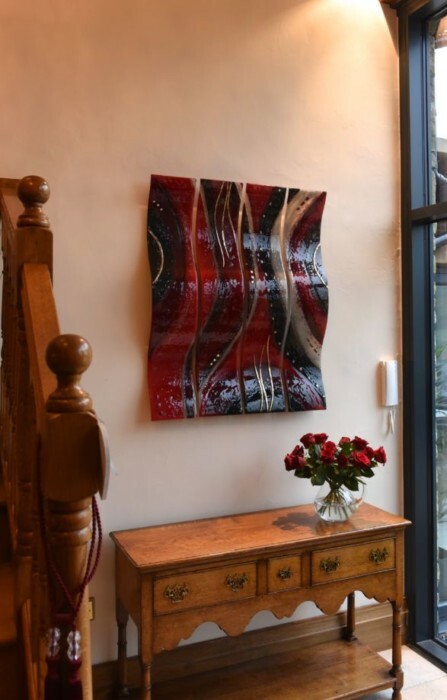 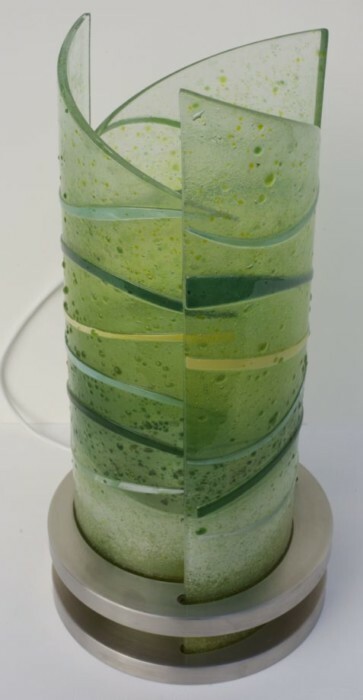 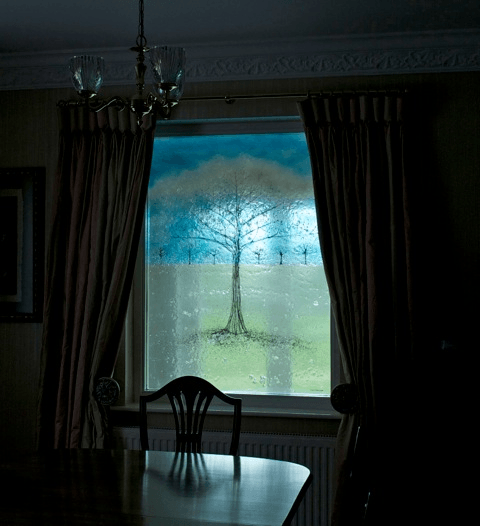 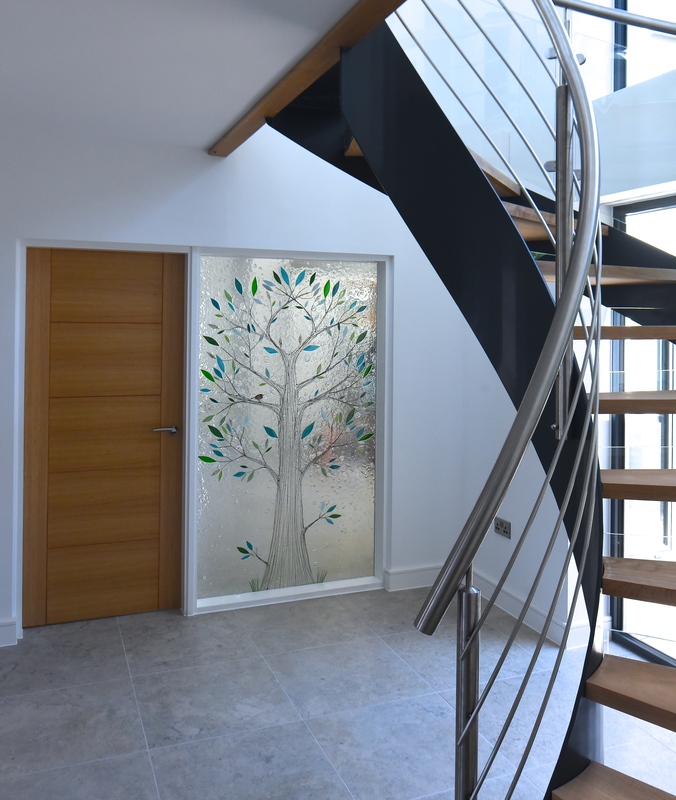 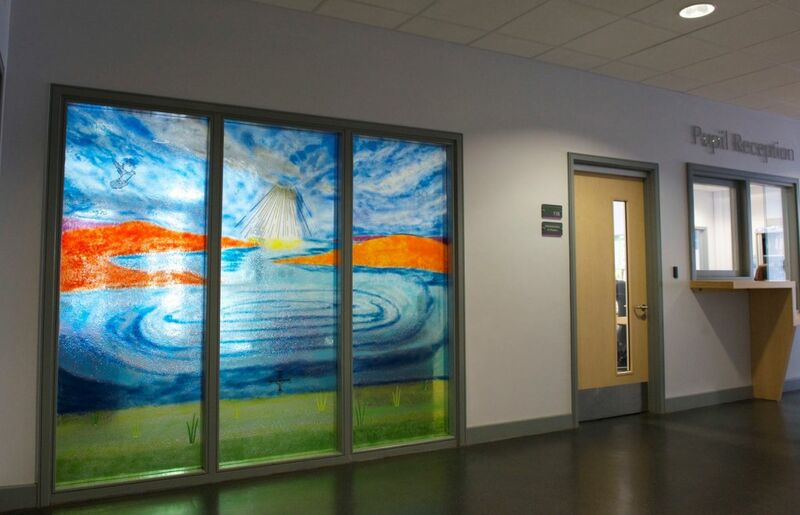 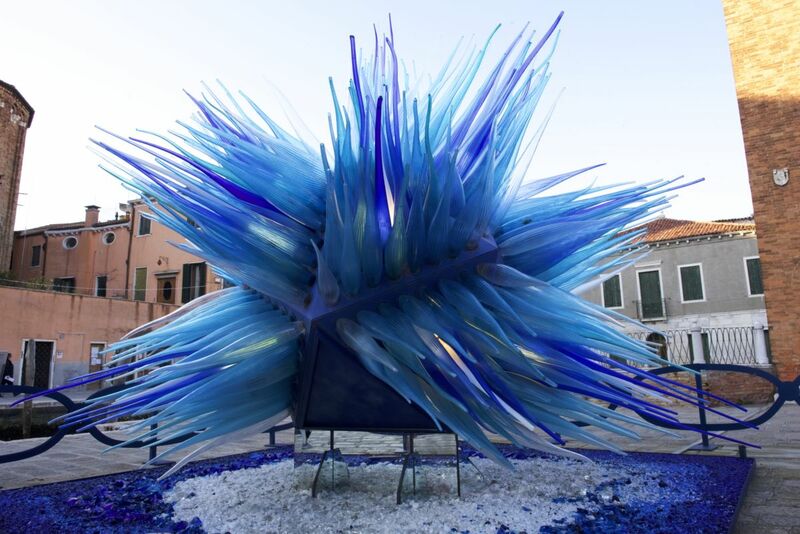 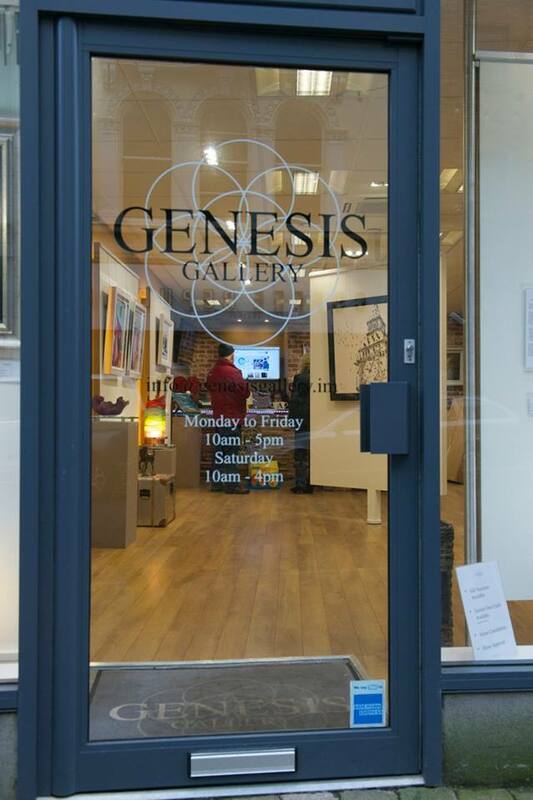 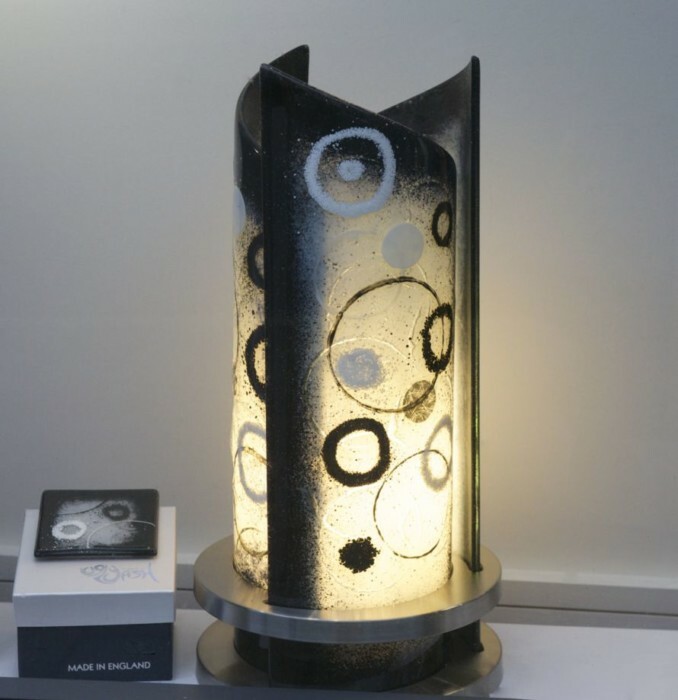 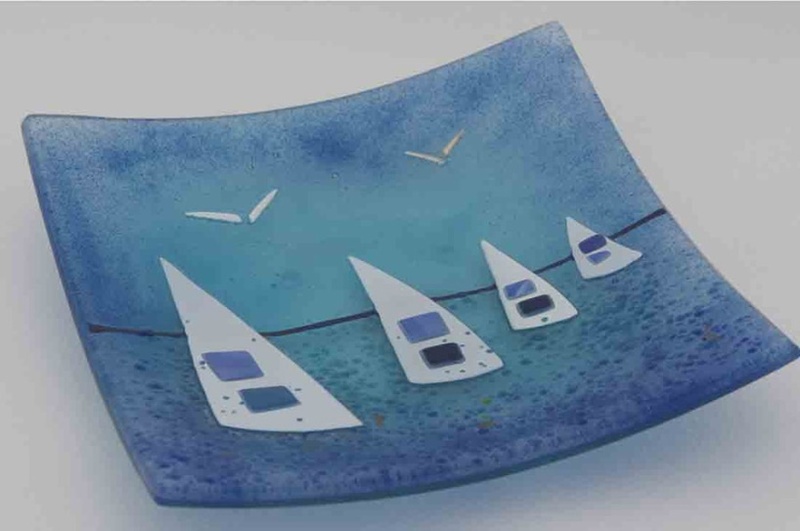 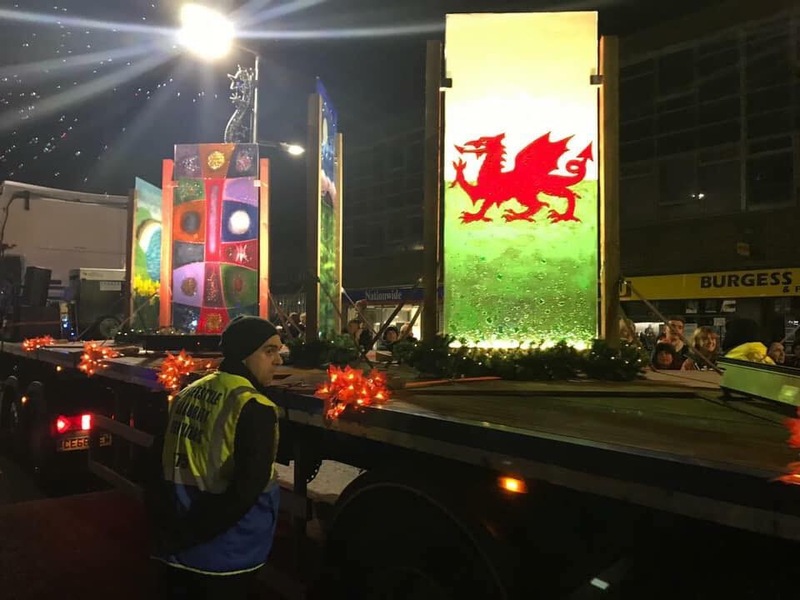 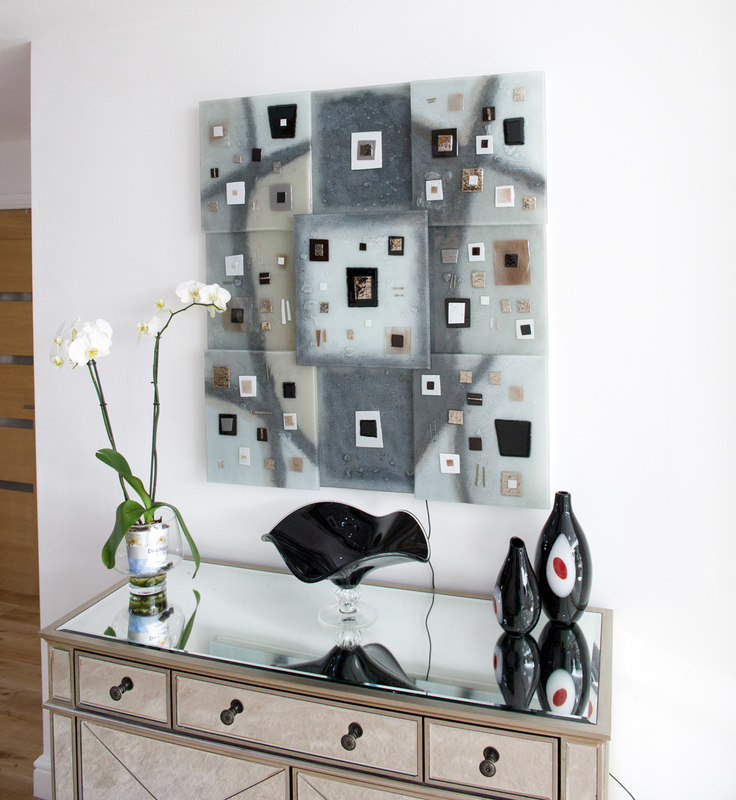 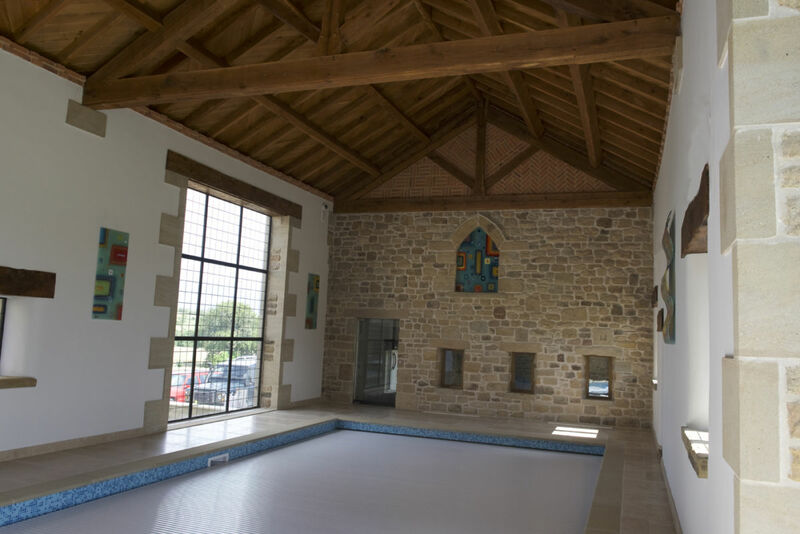 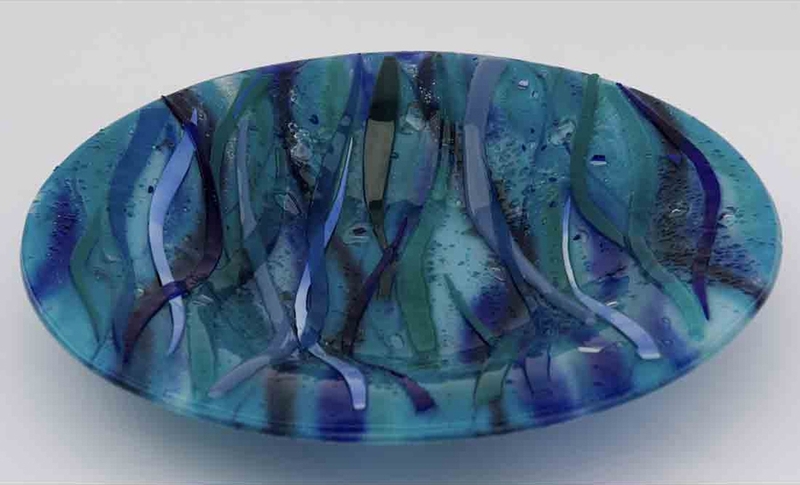 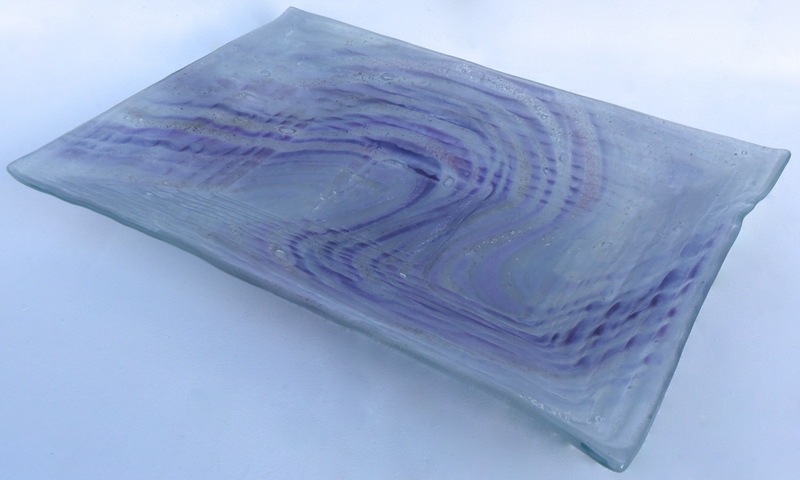 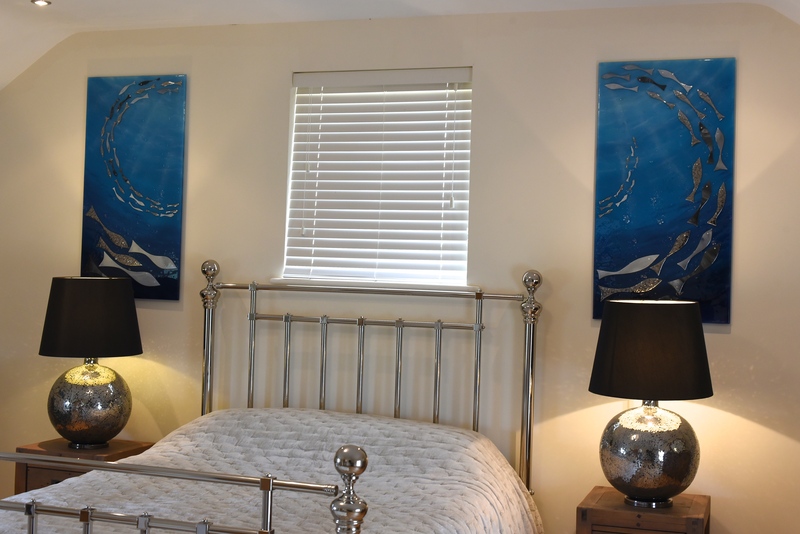 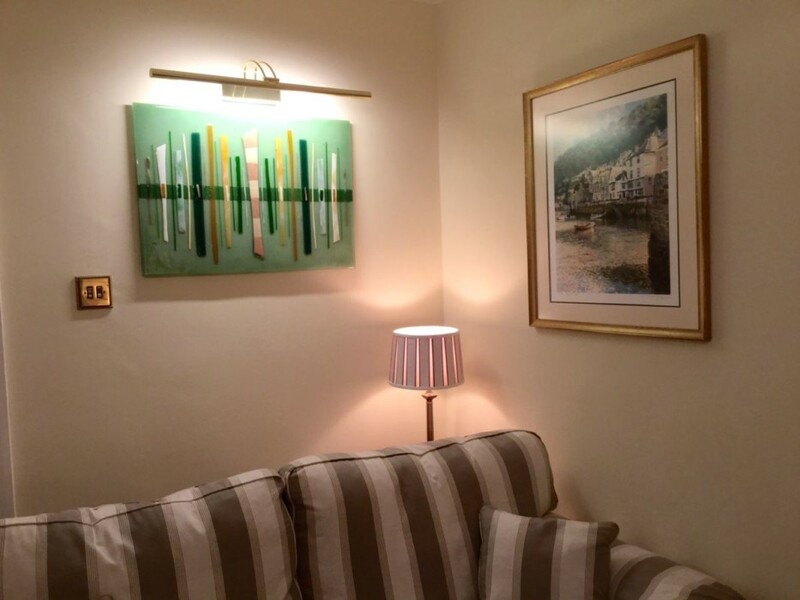 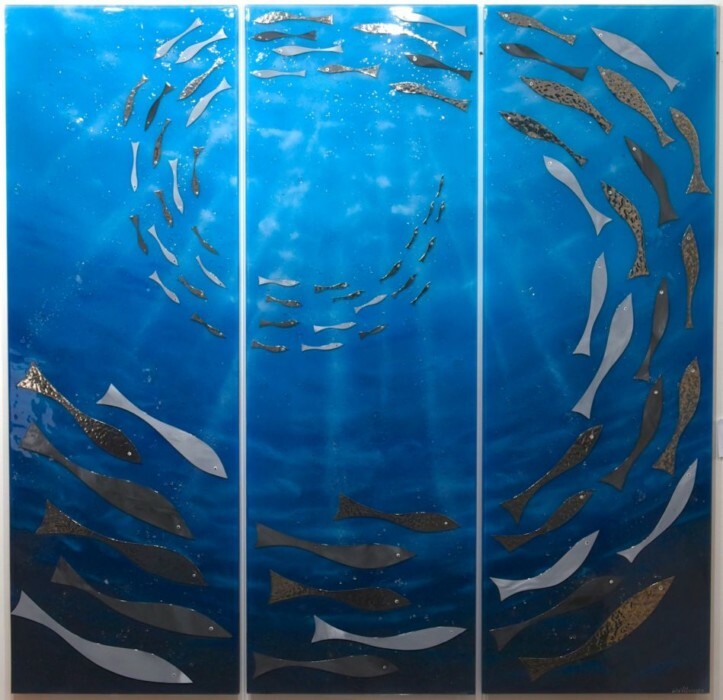 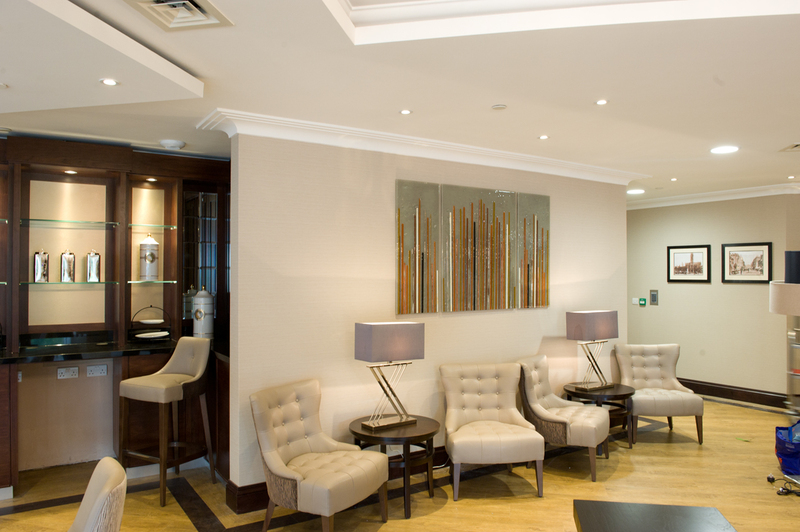 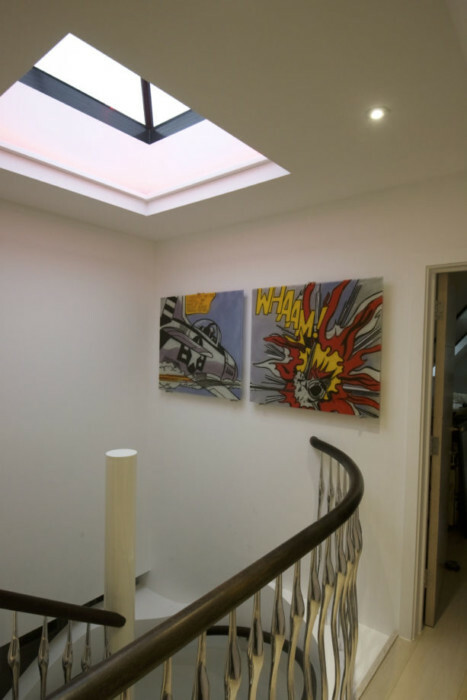 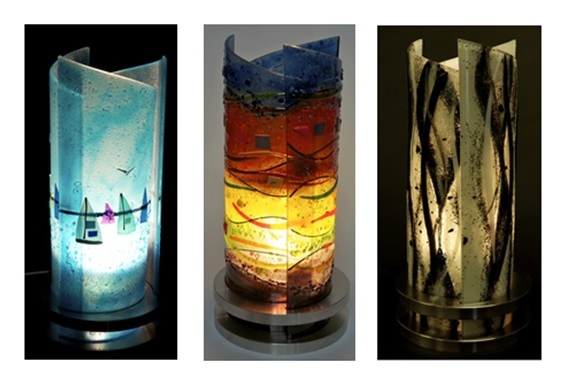 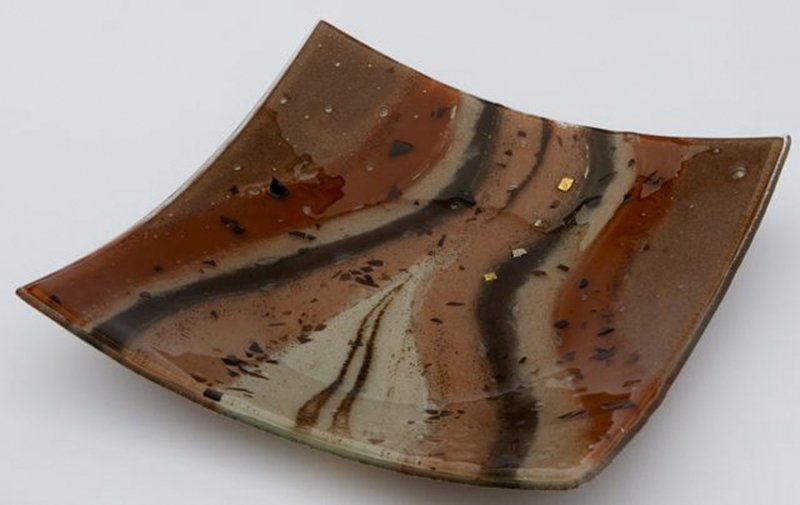 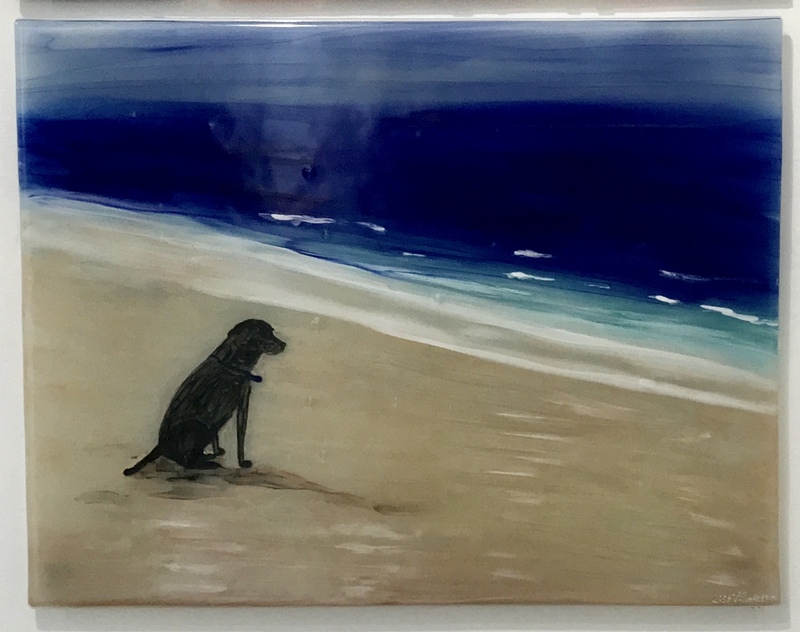 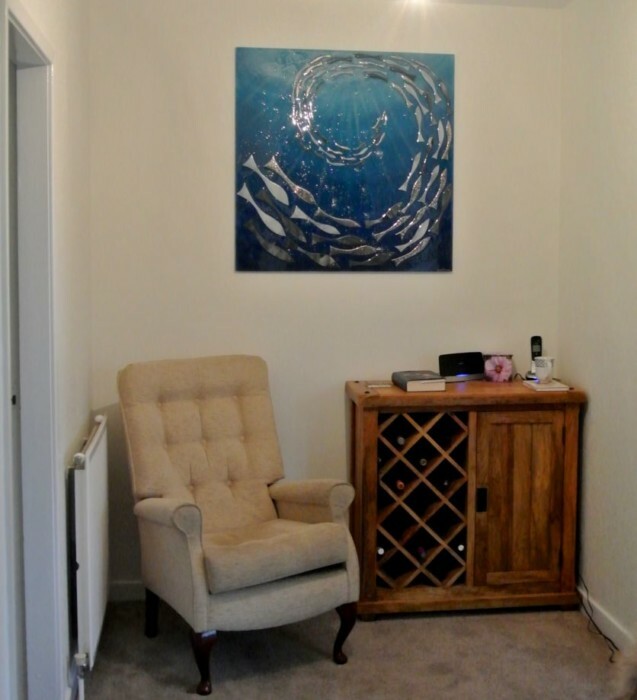 Just a simple email enquiry or phone call is all you need to do, as long as you’re ready to let us know all about your ideas for the perfect bespoke glass art!